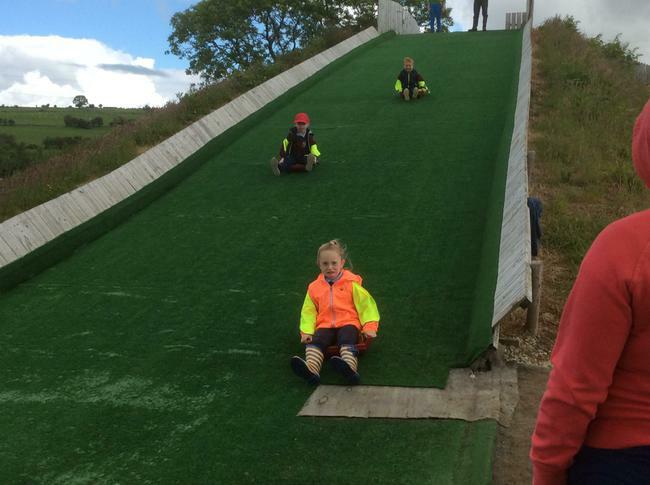 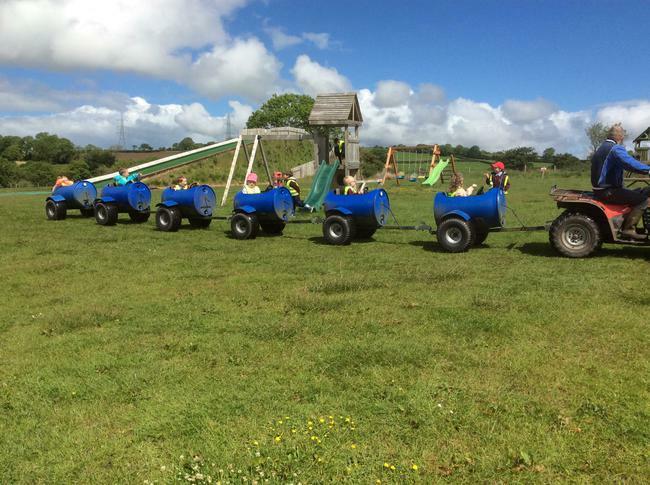 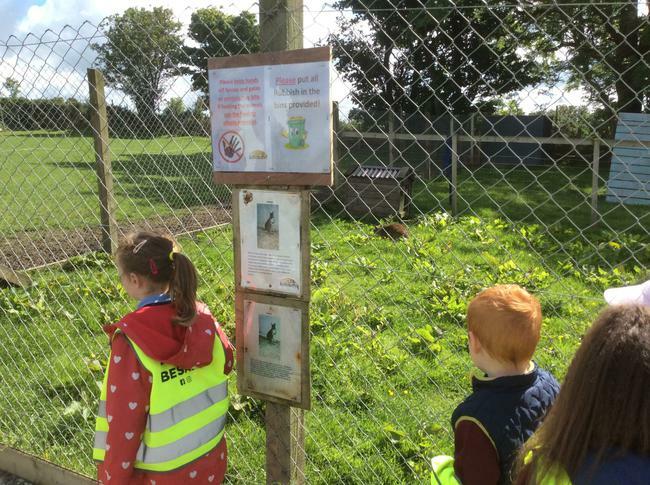 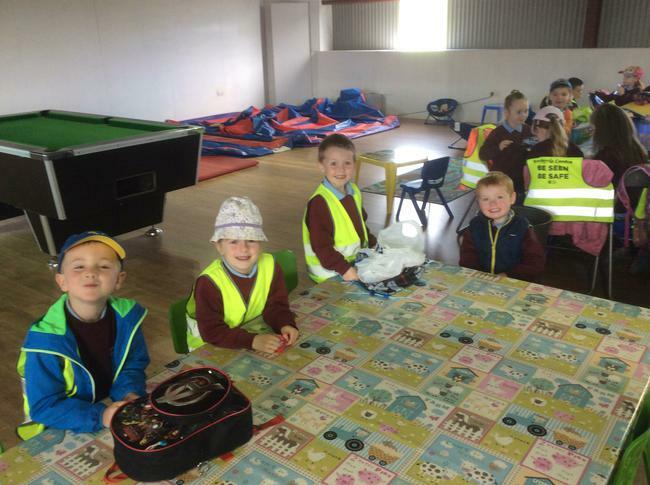 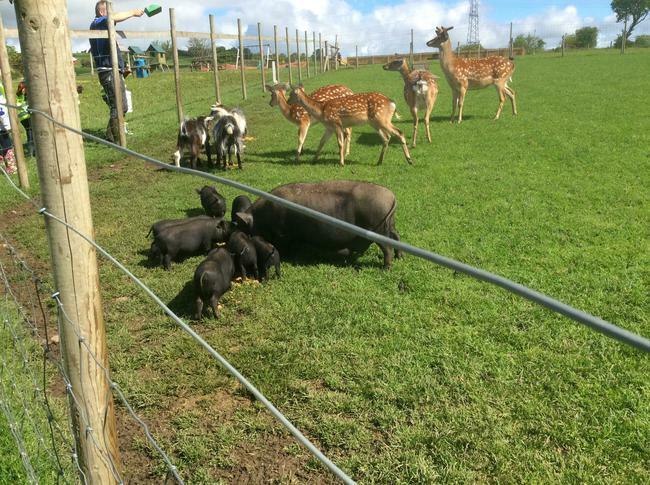 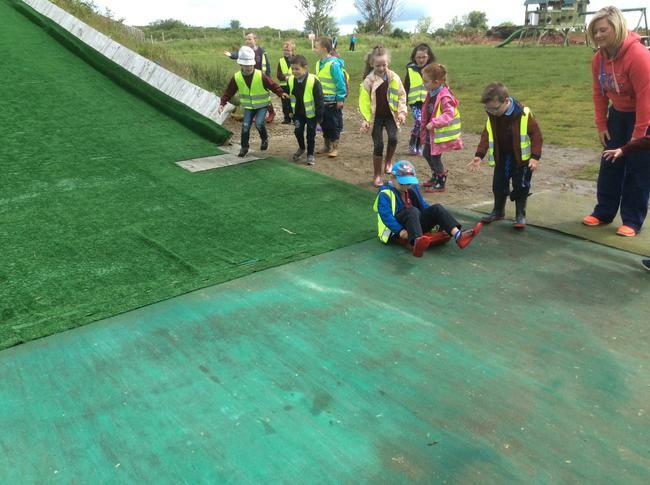 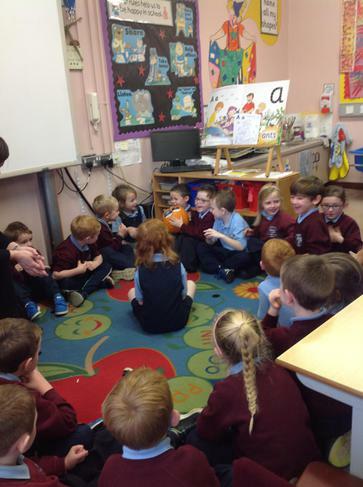 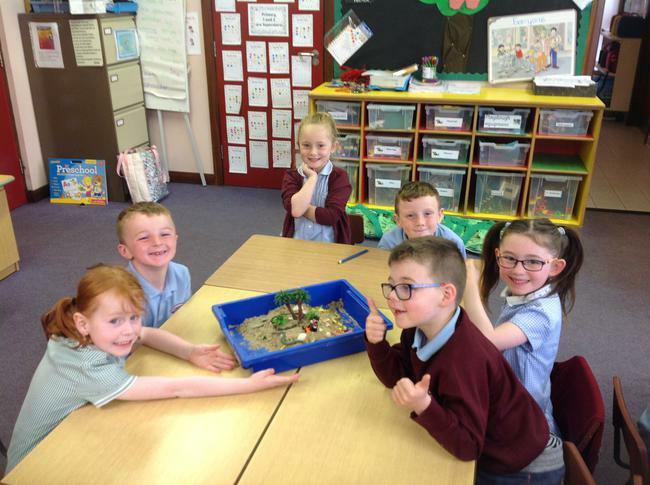 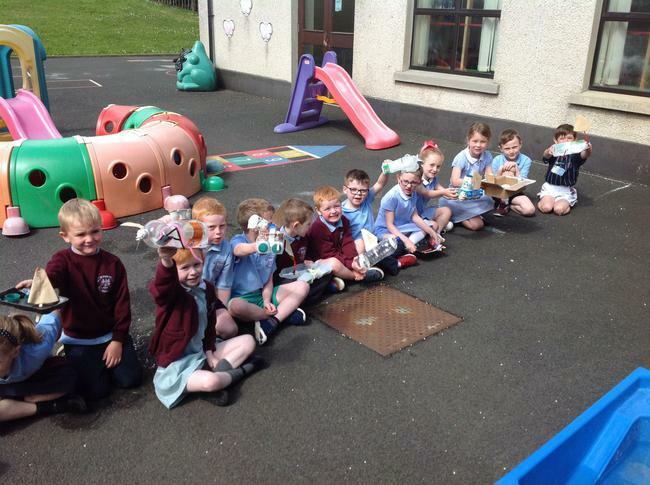 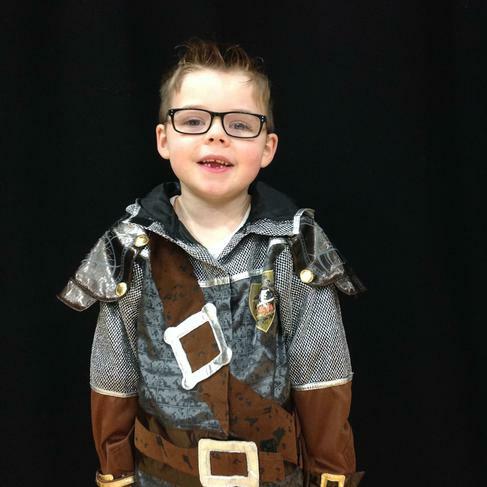 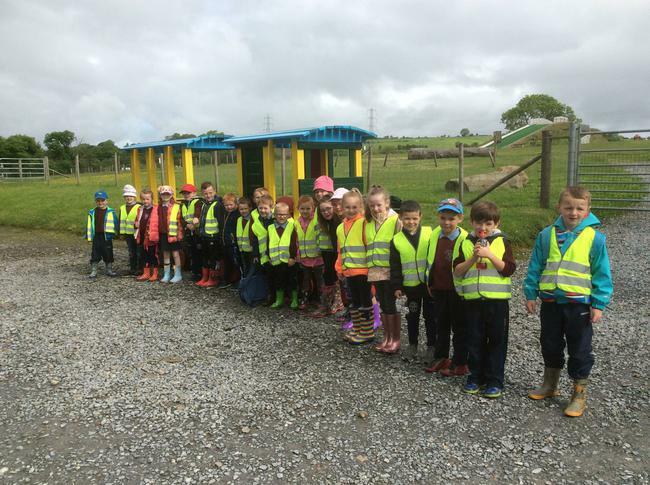 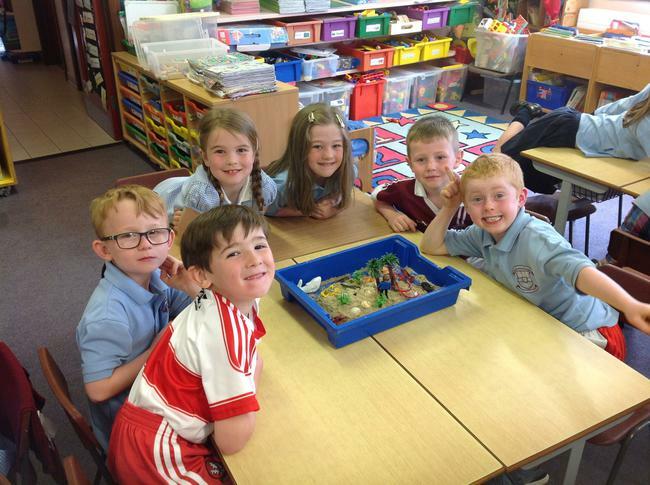 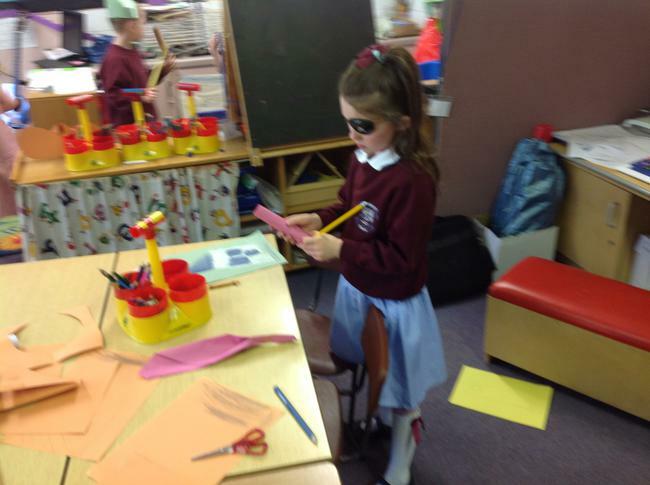 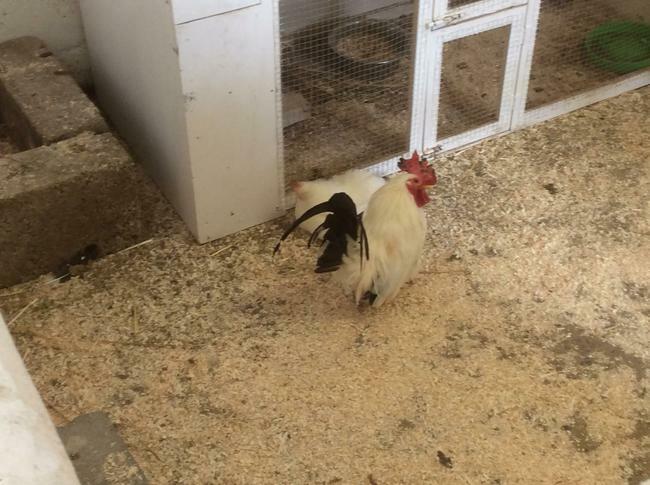 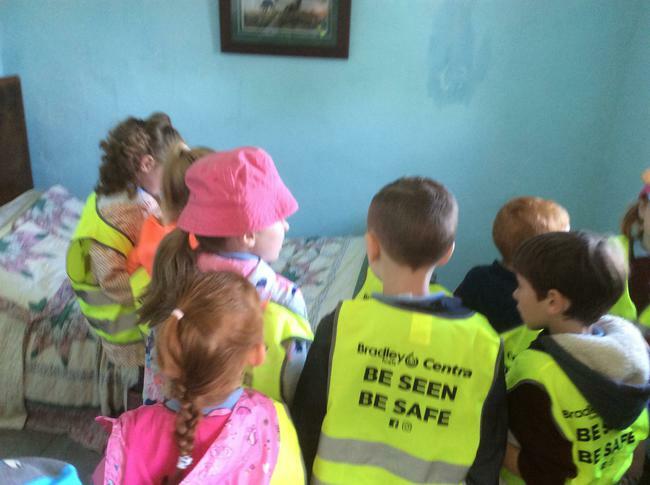 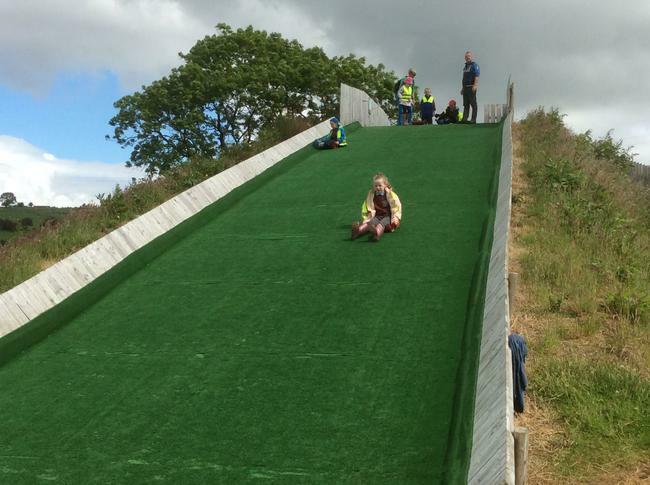 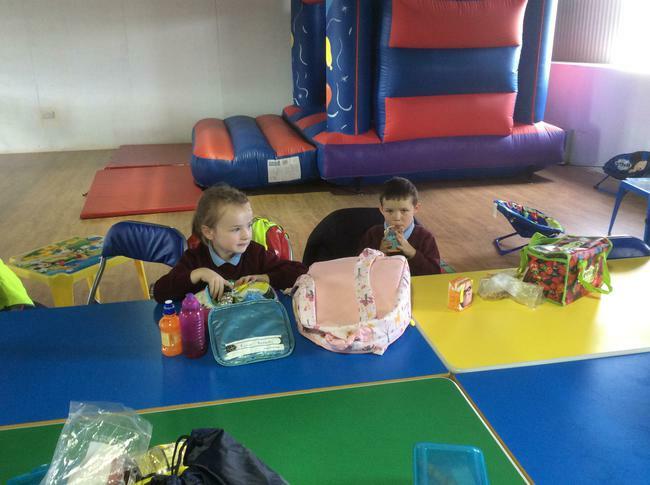 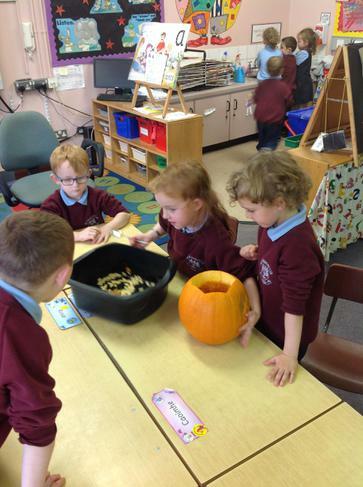 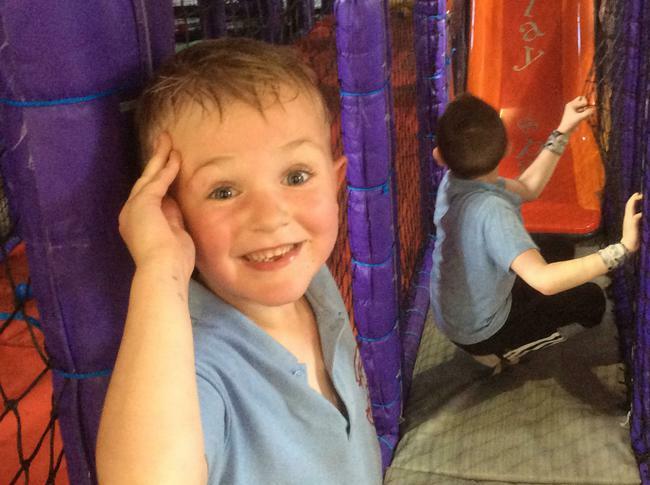 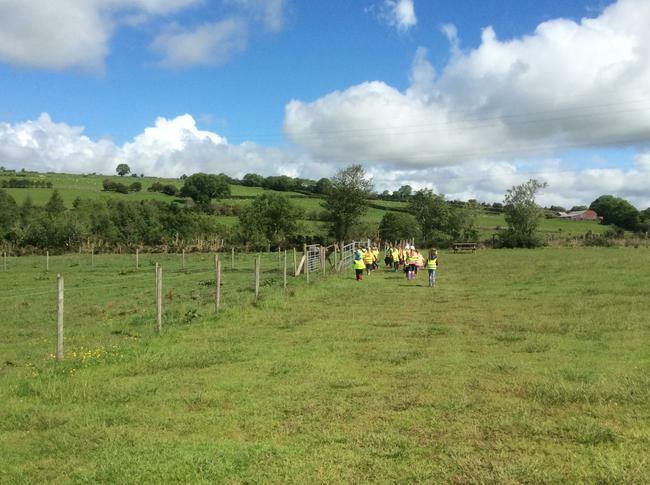 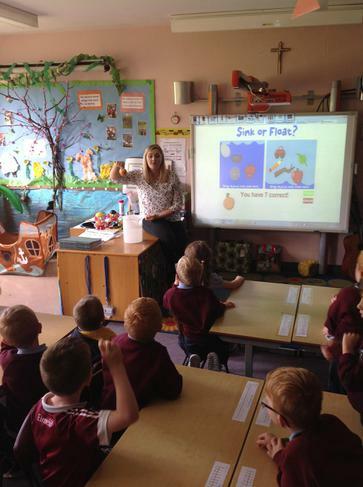 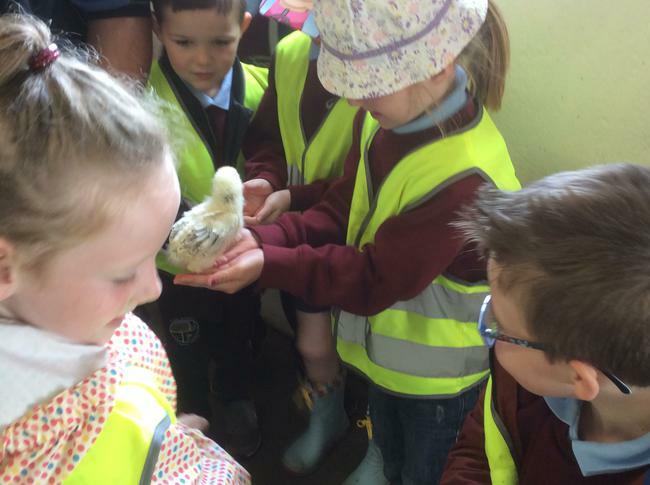 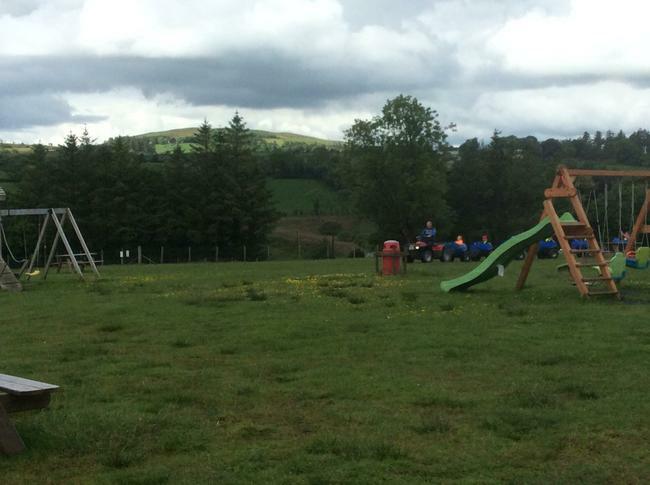 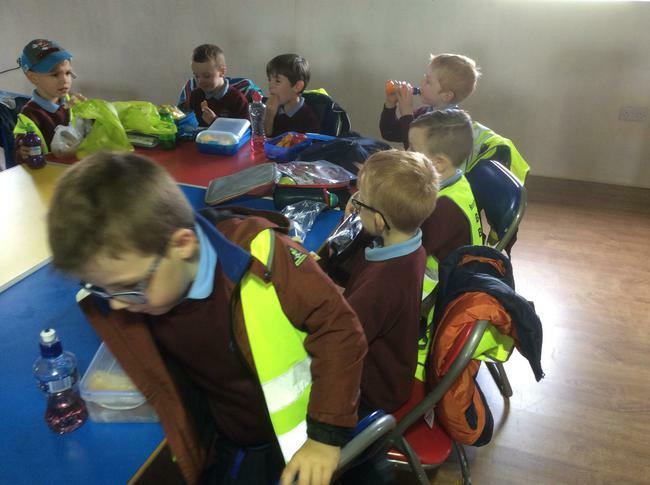 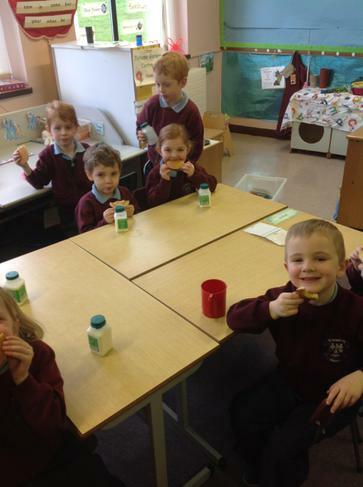 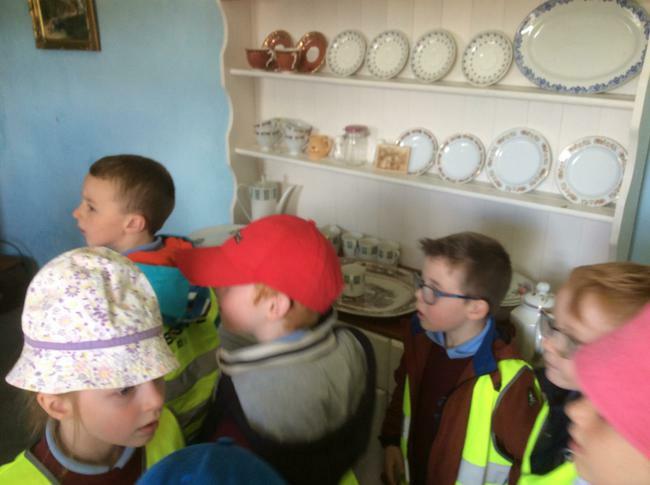 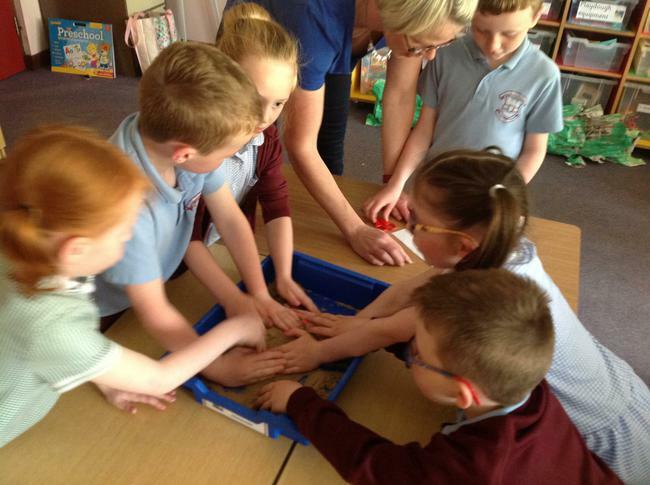 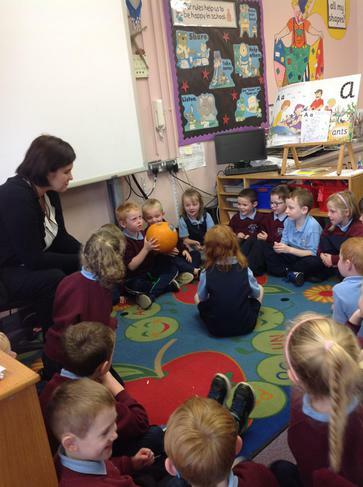 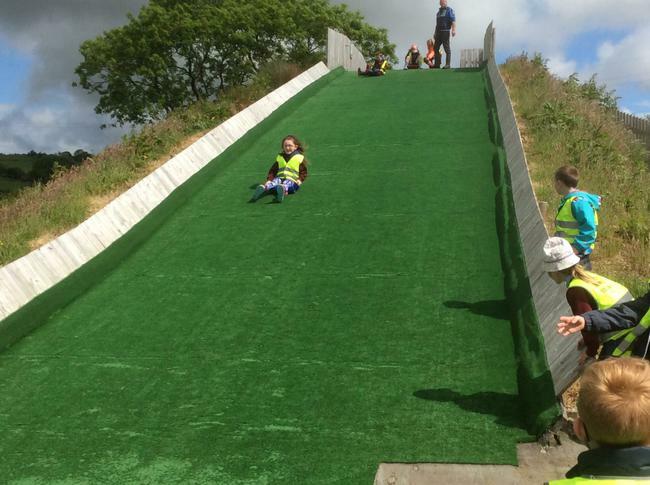 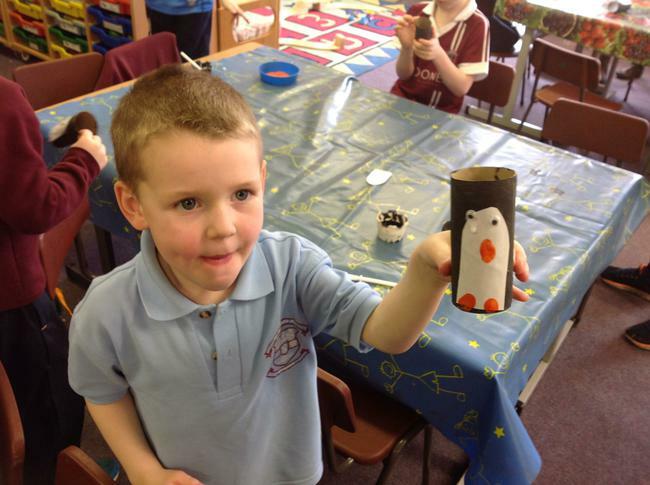 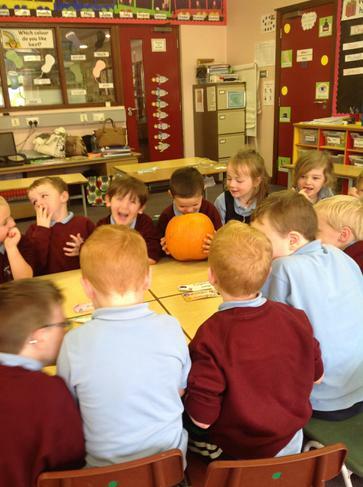 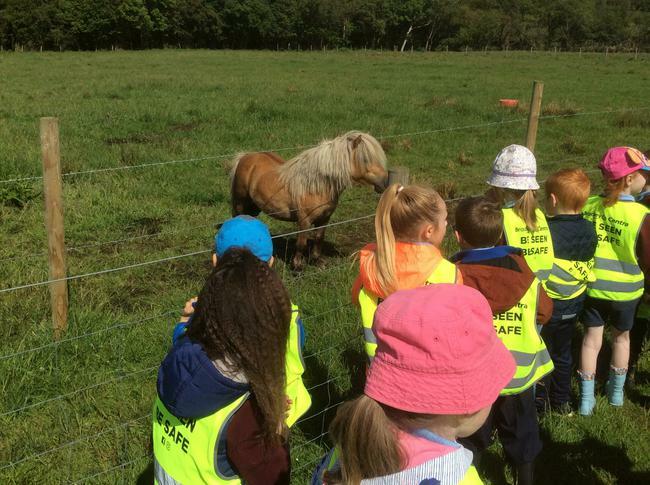 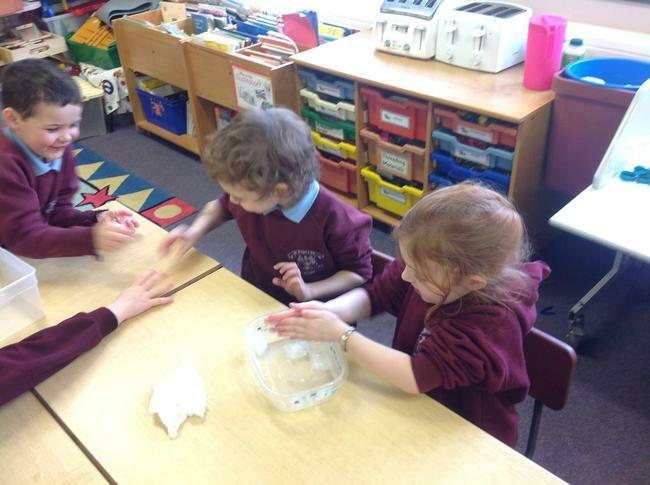 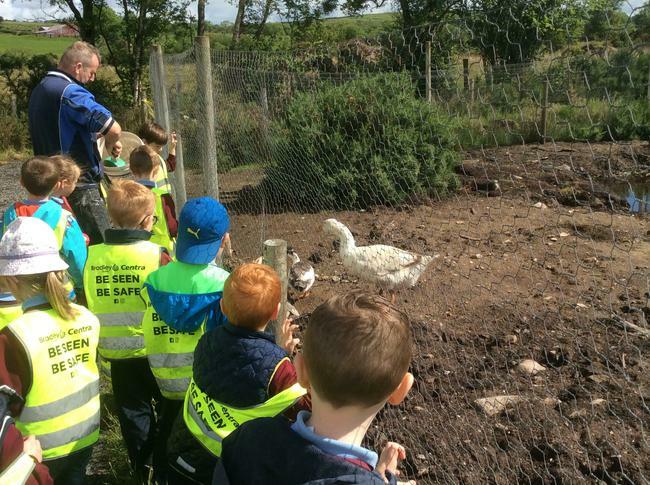 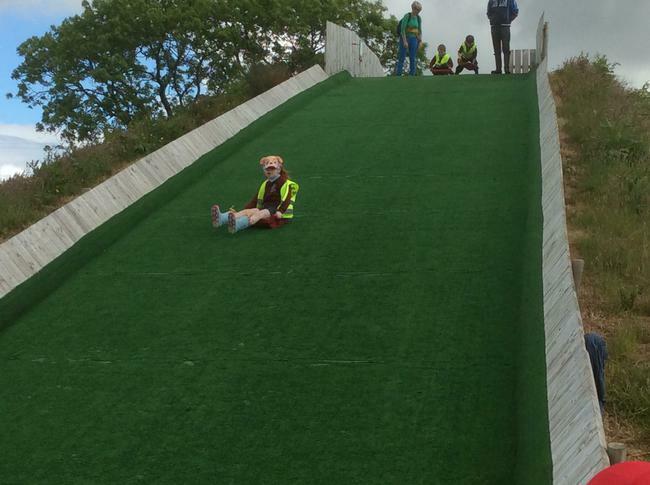 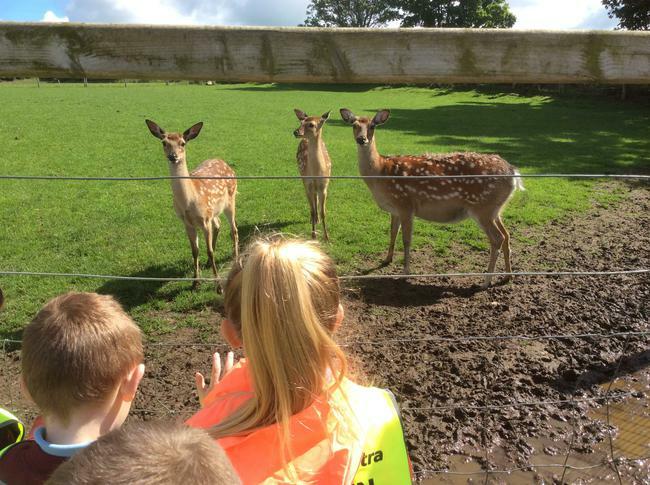 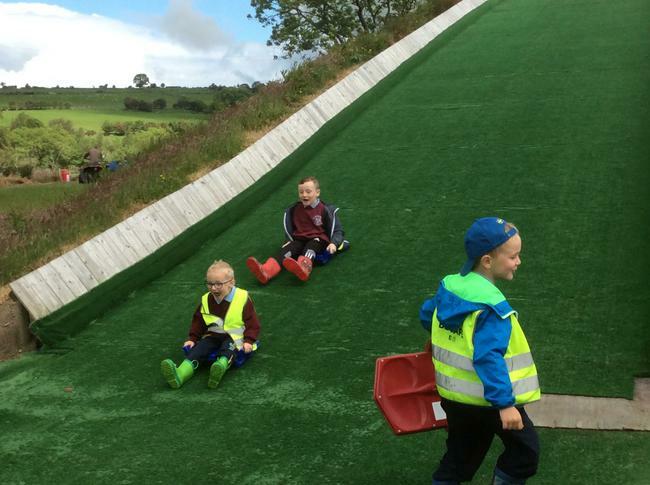 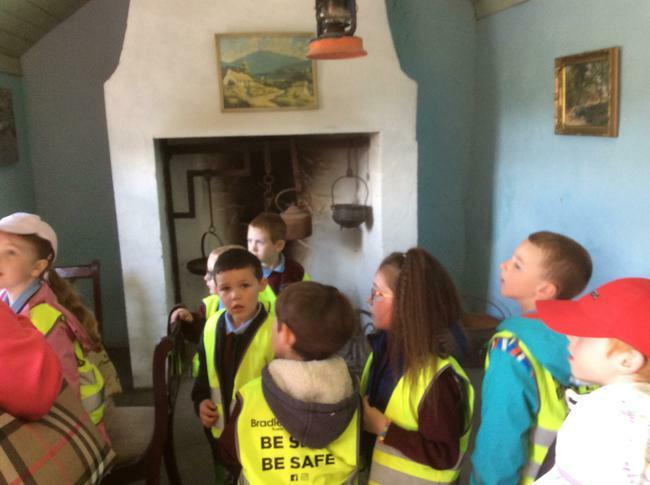 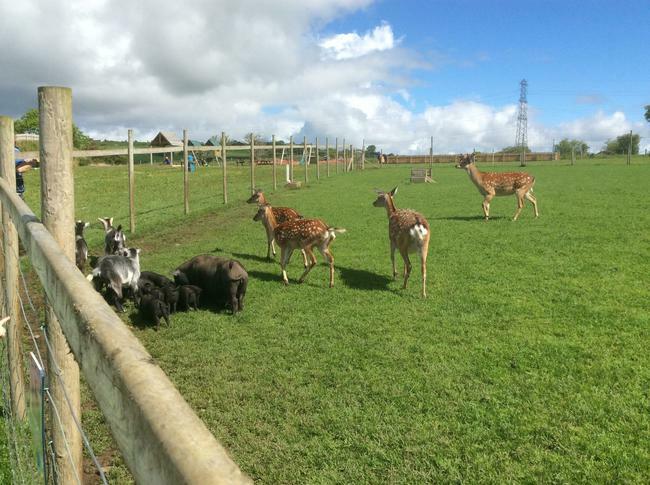 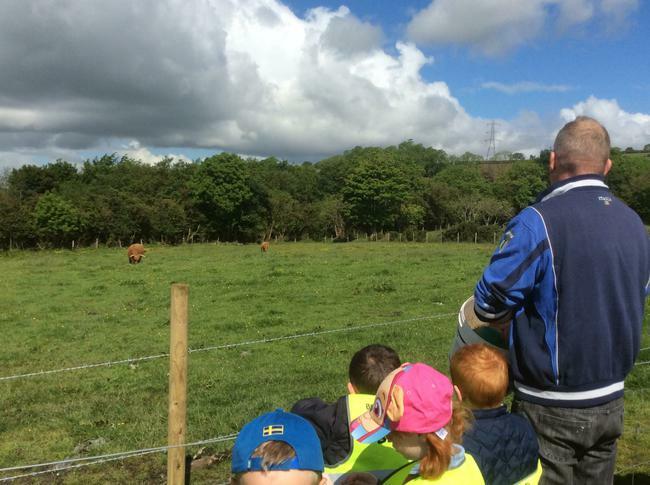 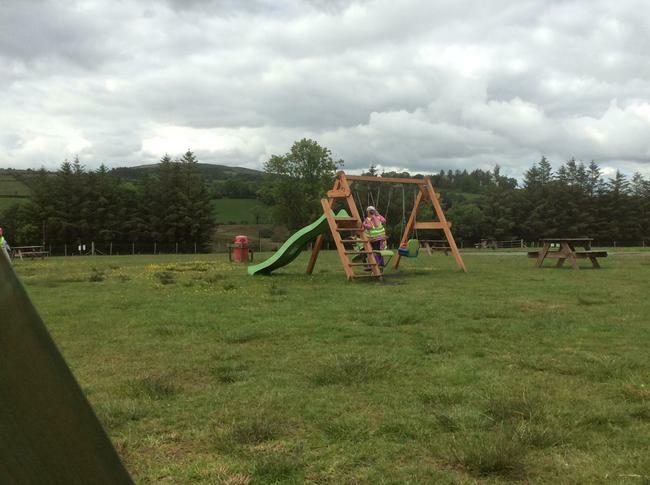 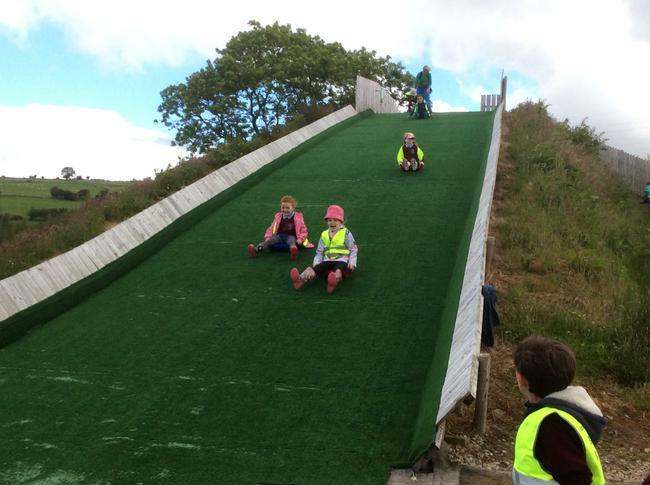 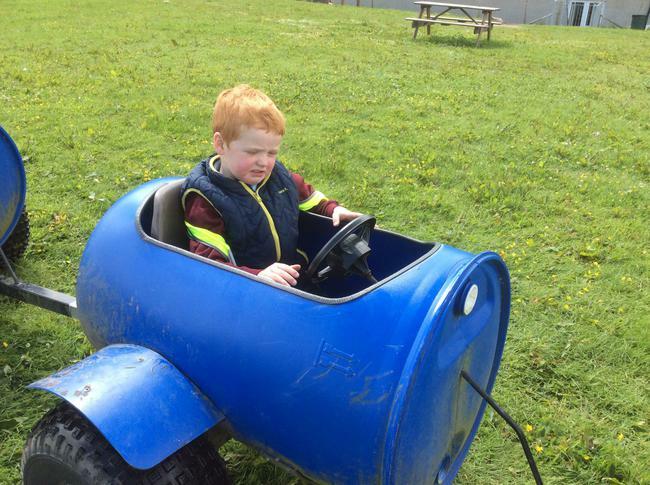 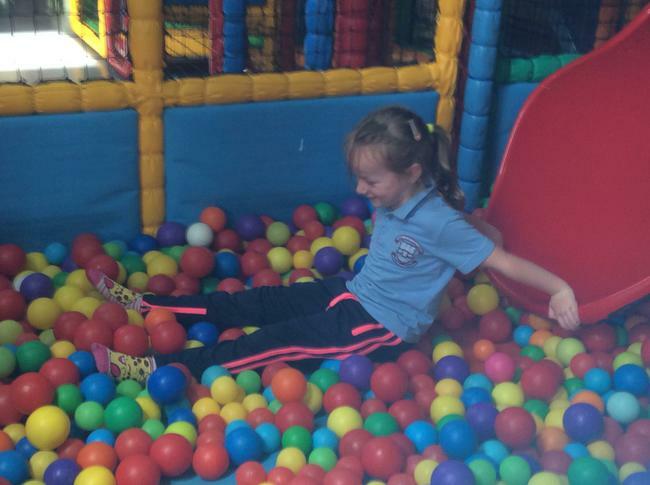 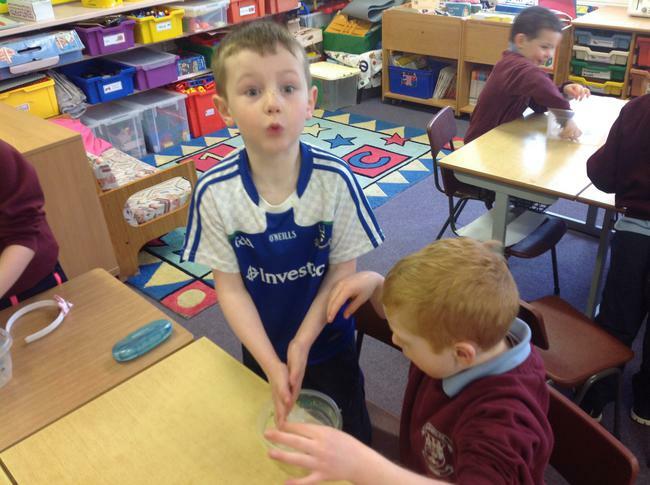 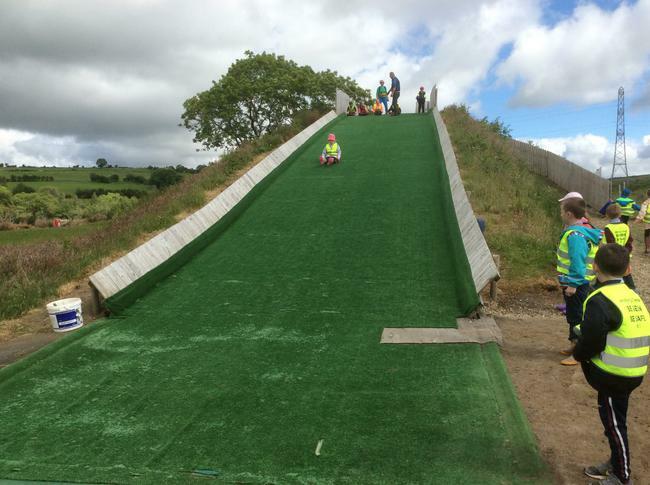 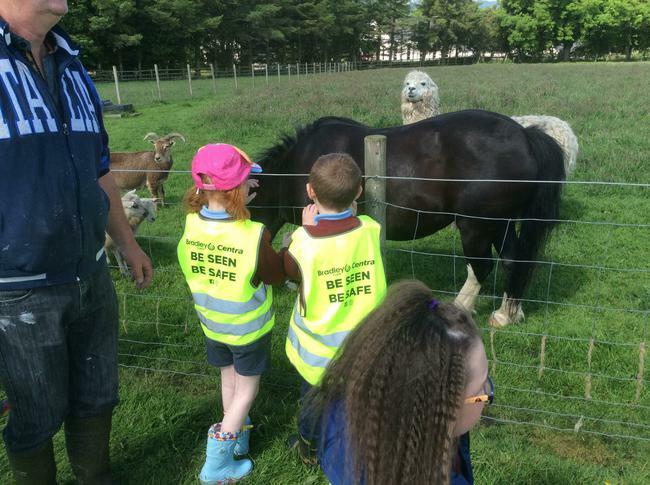 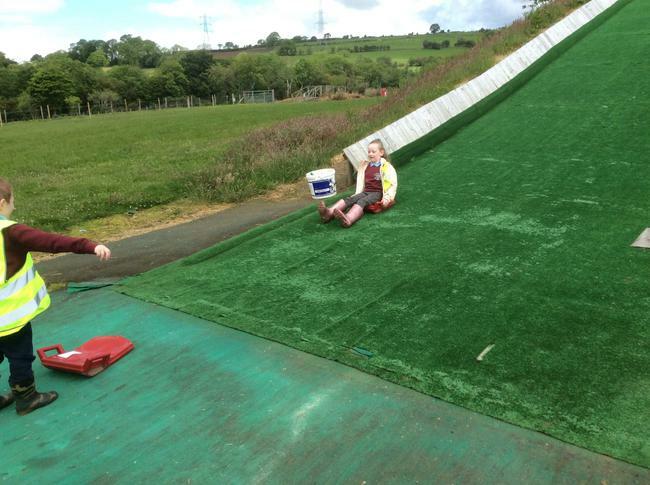 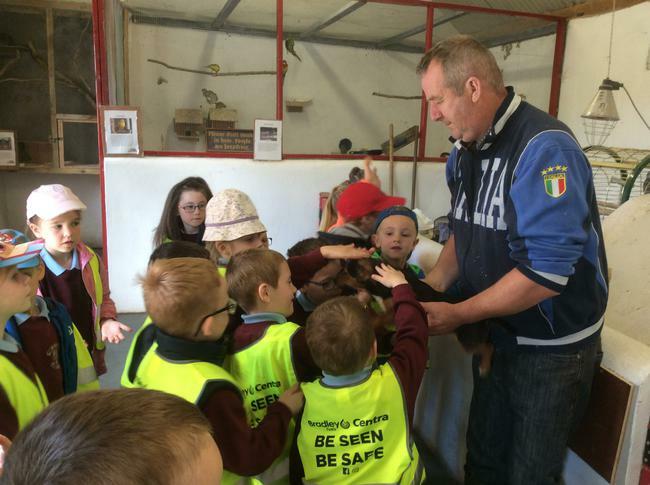 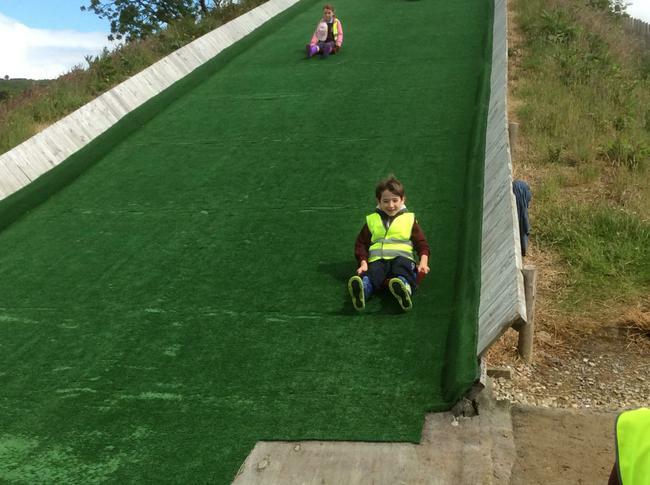 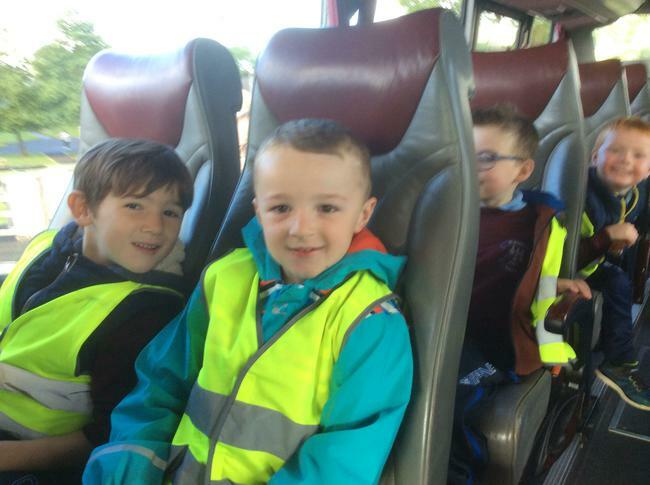 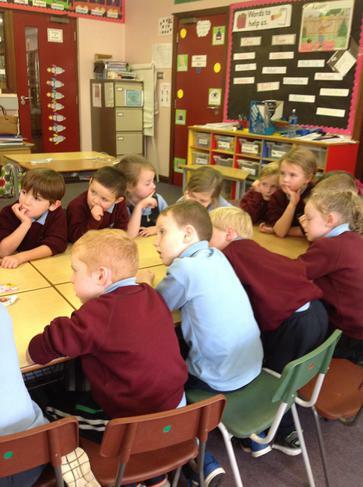 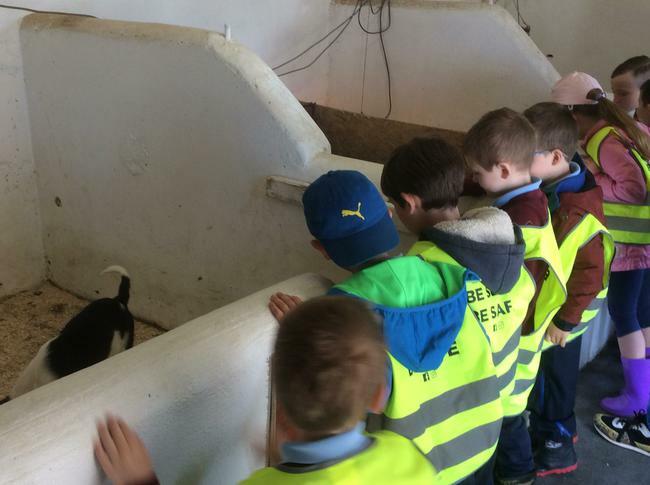 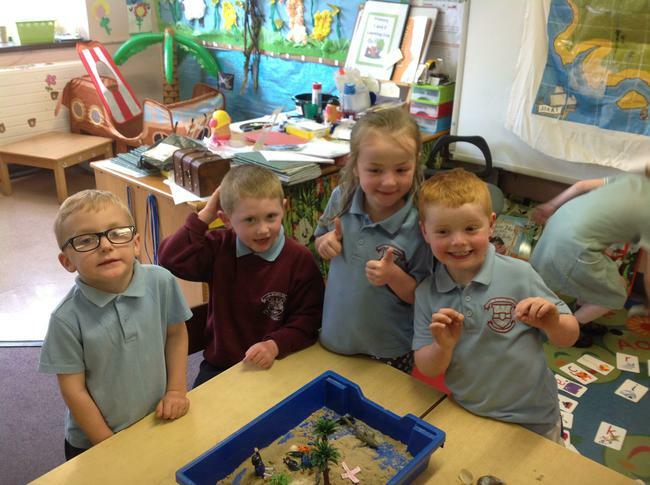 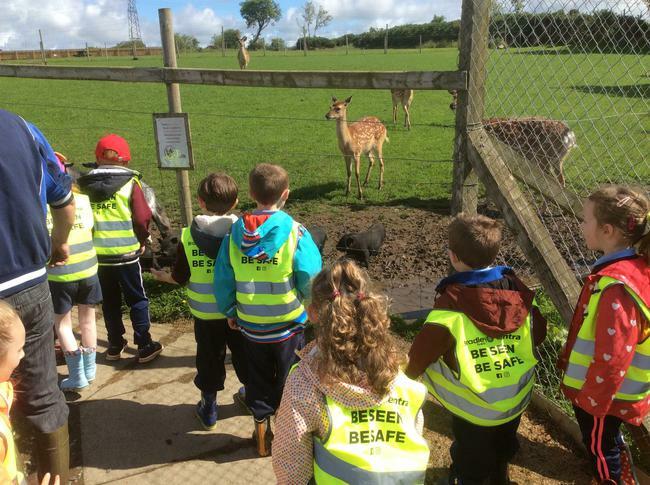 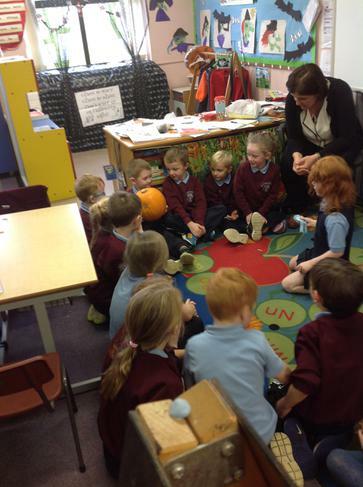 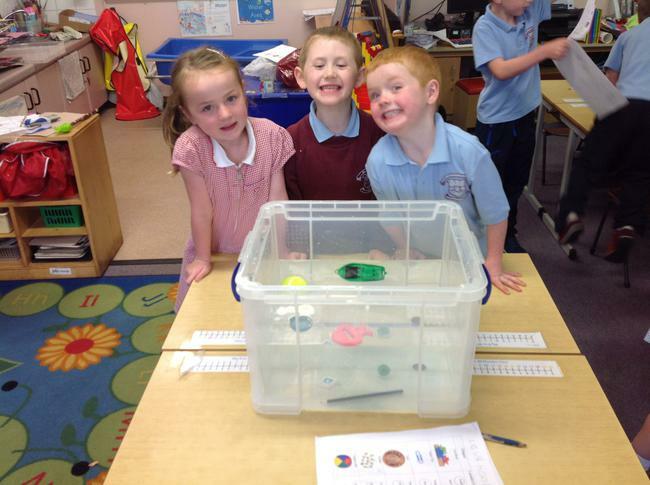 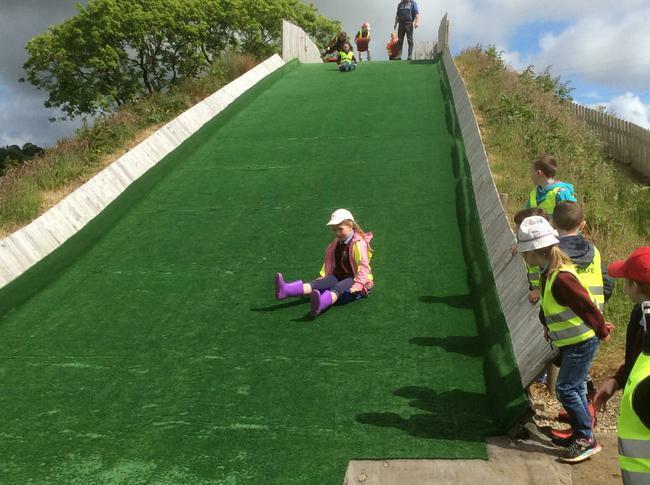 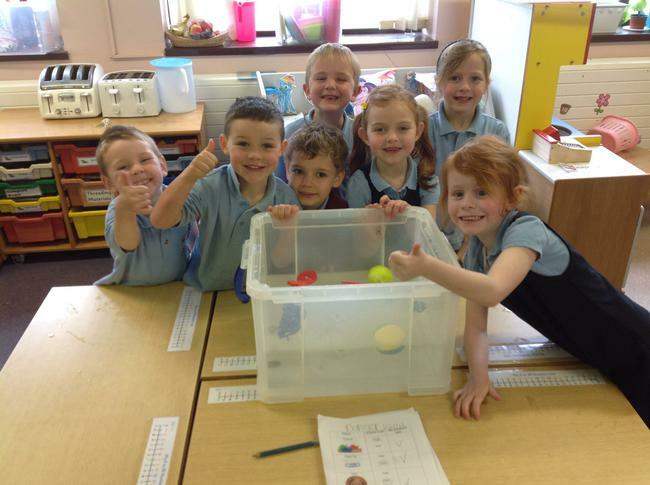 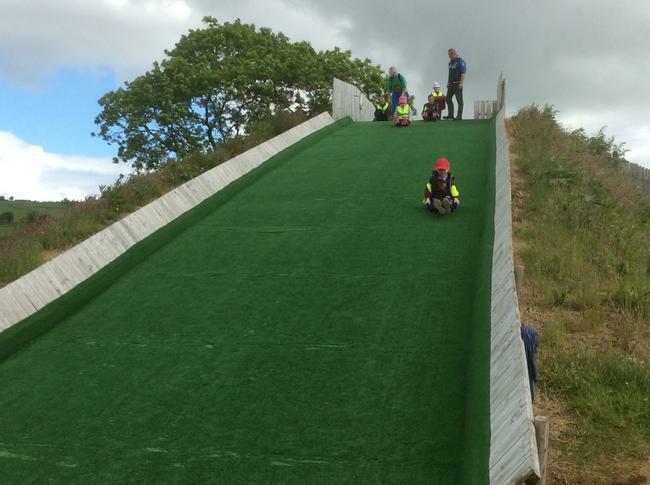 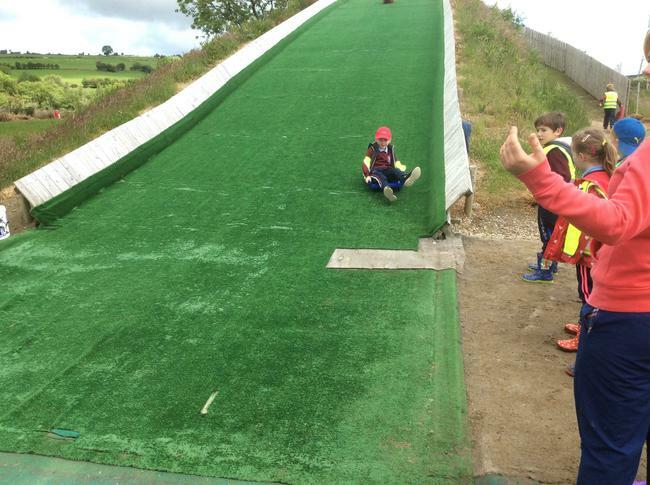 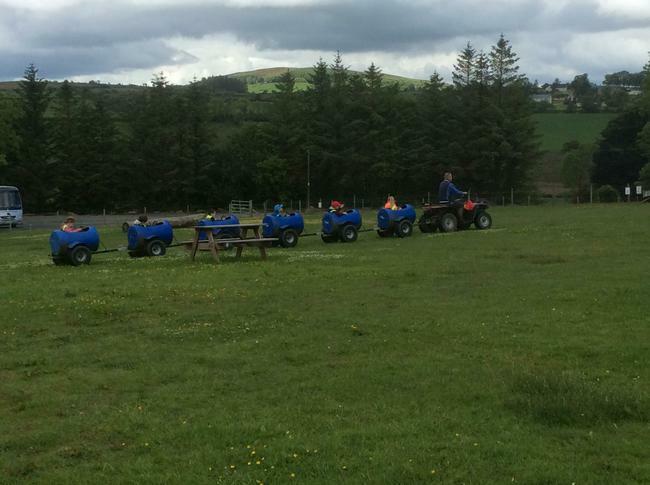 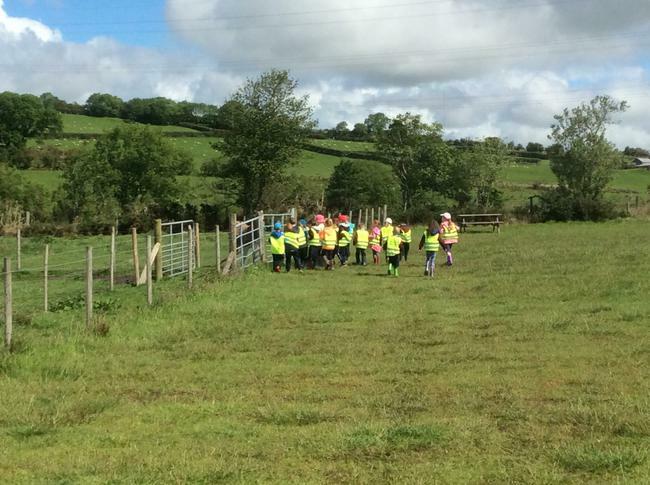 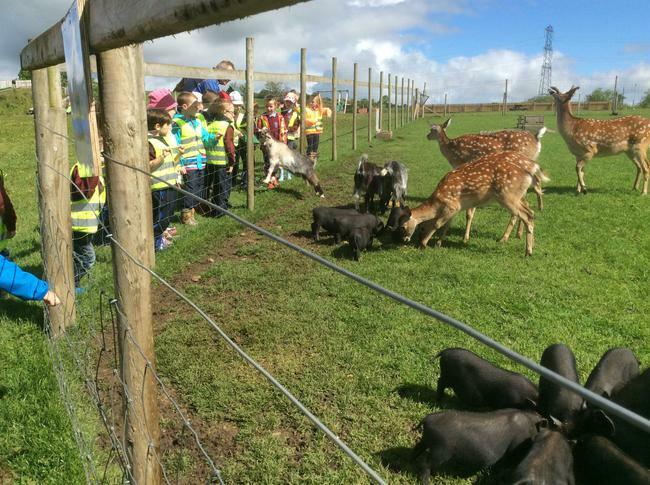 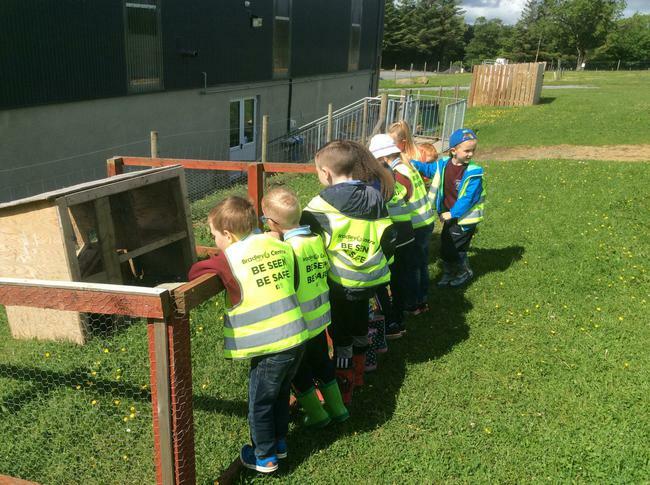 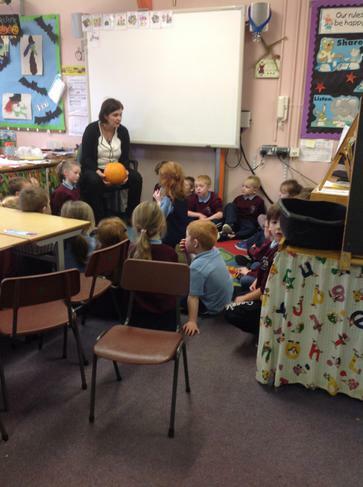 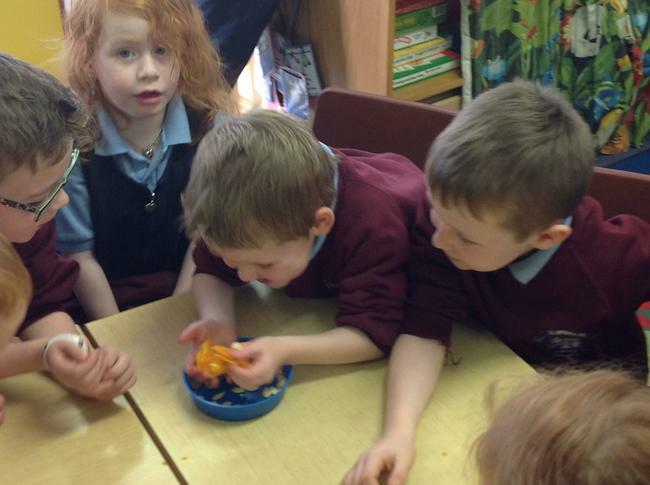 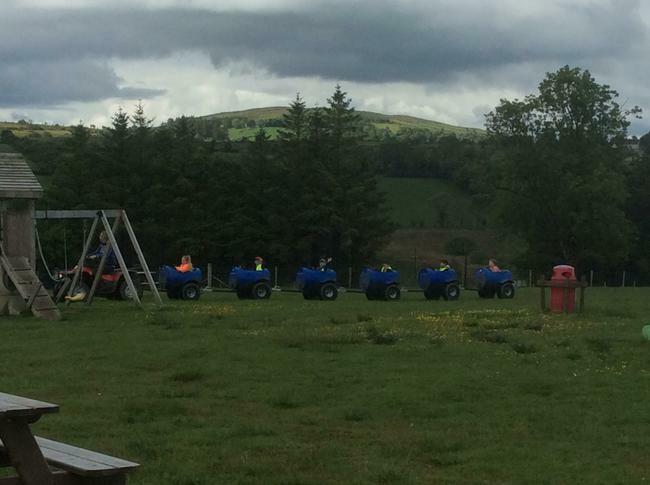 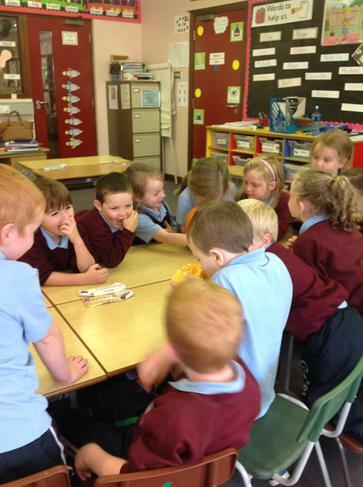 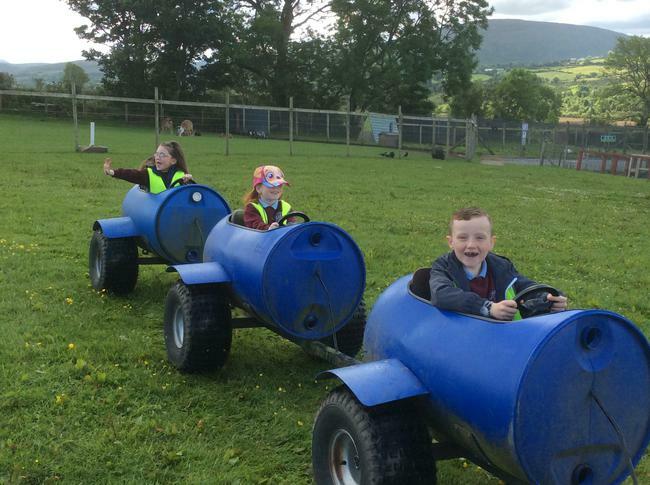 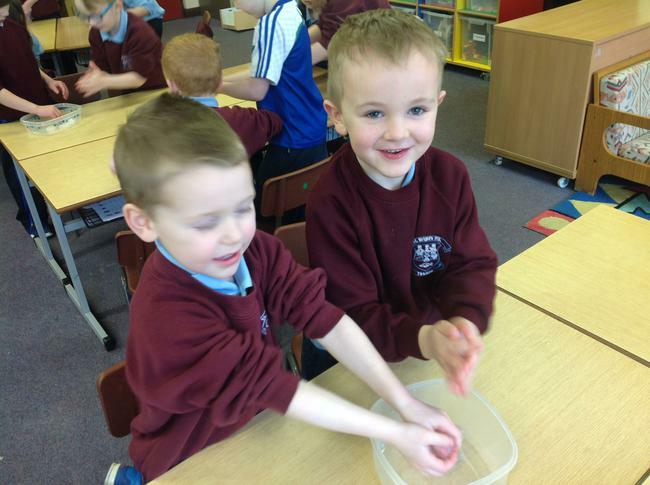 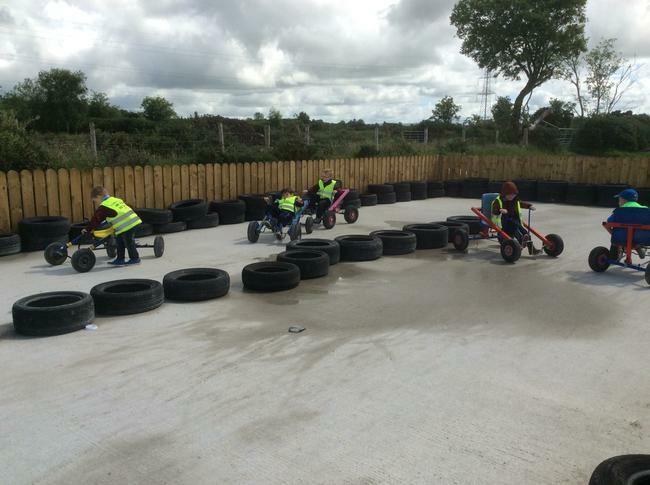 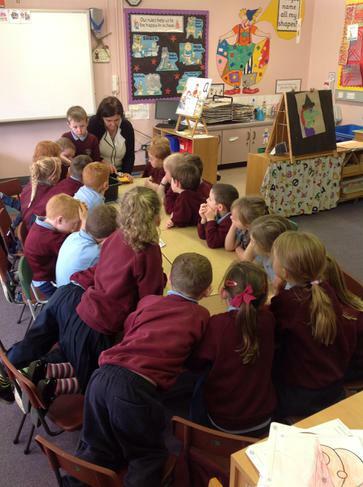 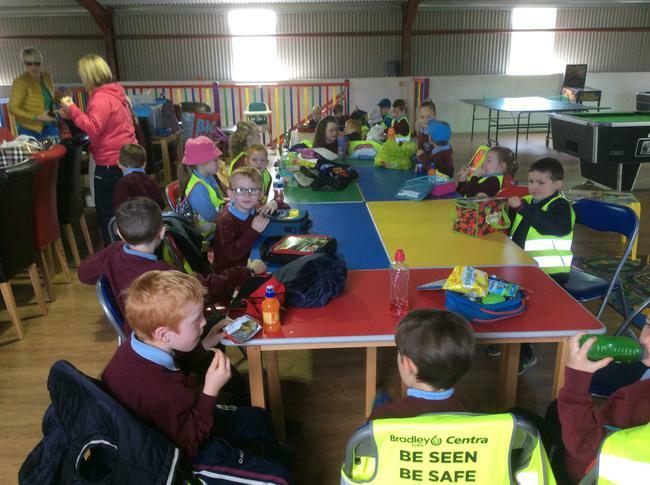 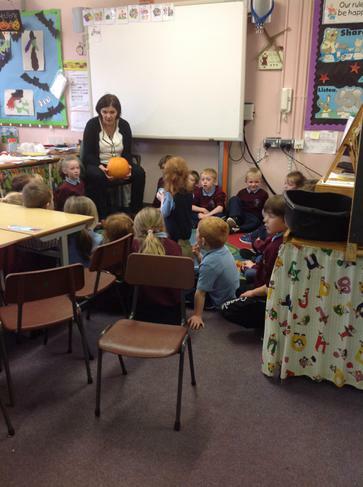 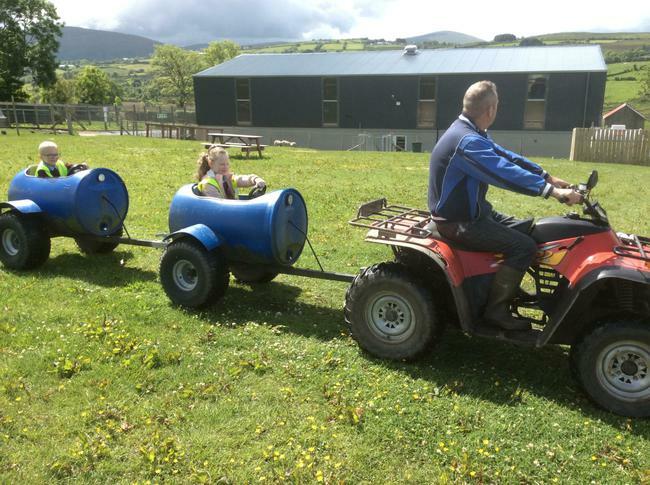 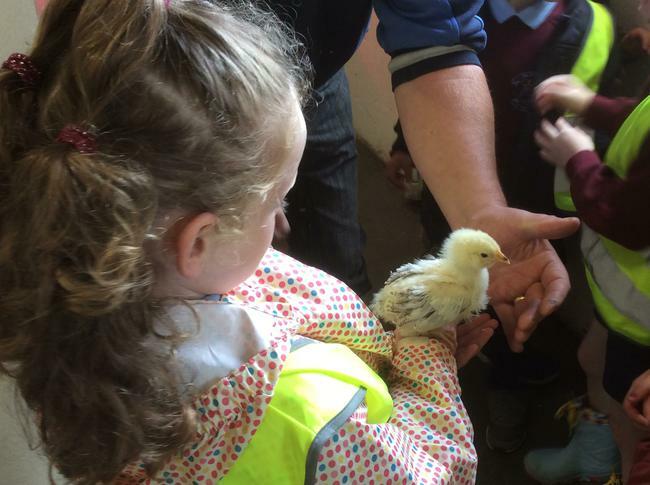 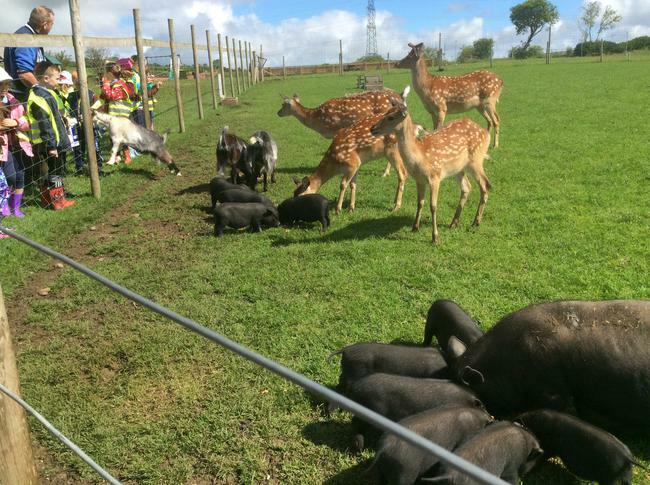 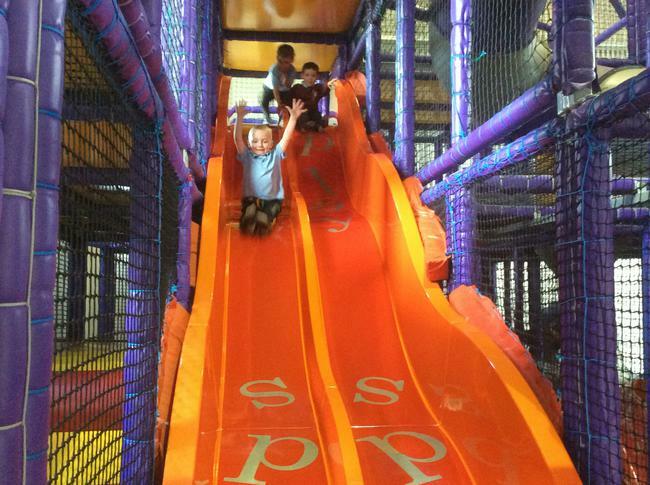 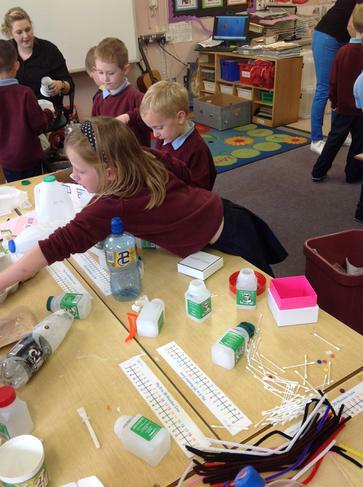 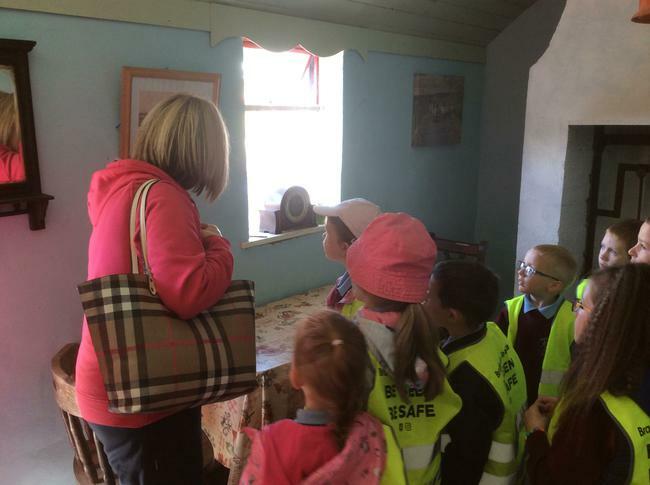 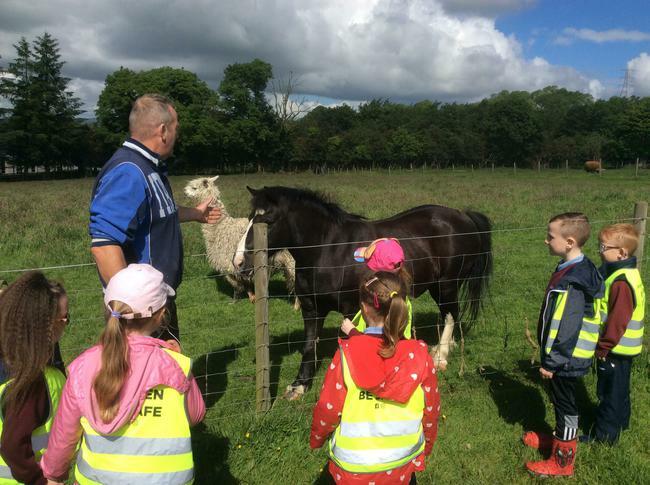 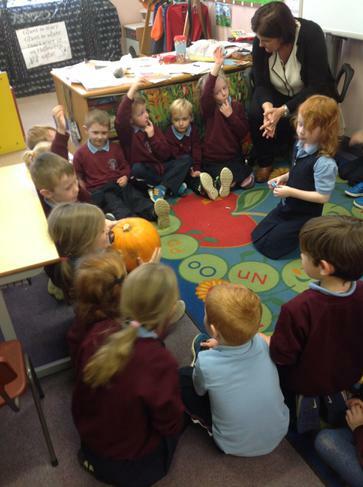 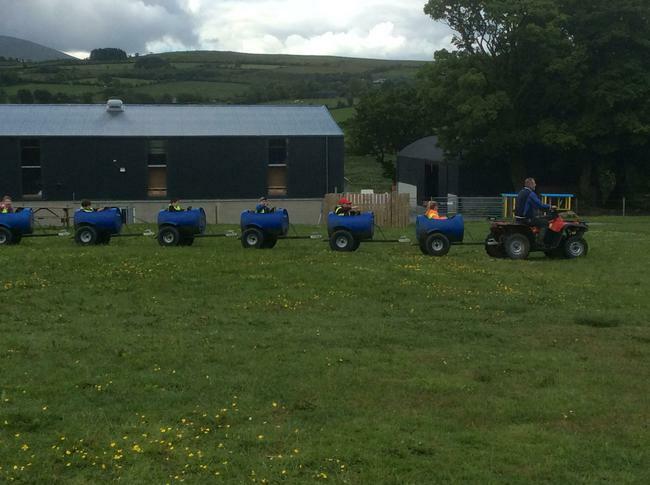 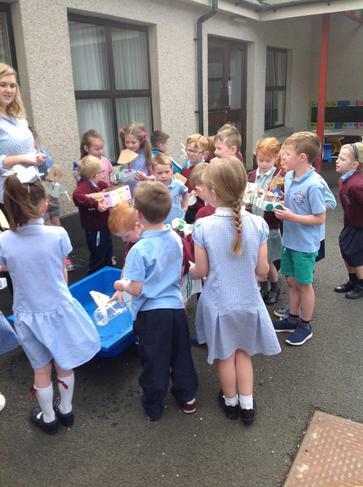 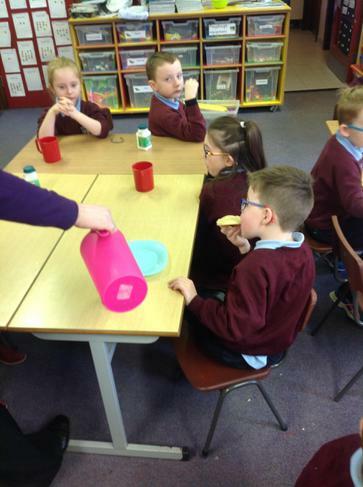 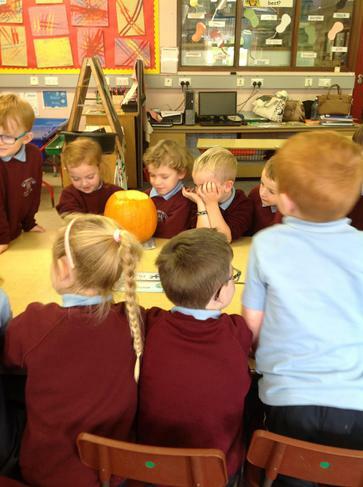 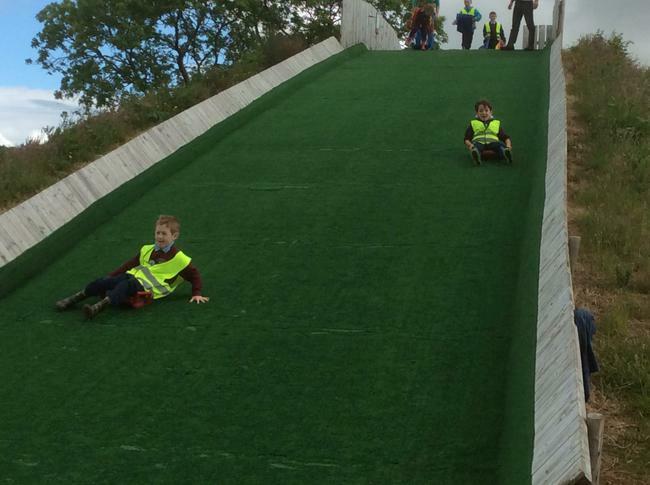 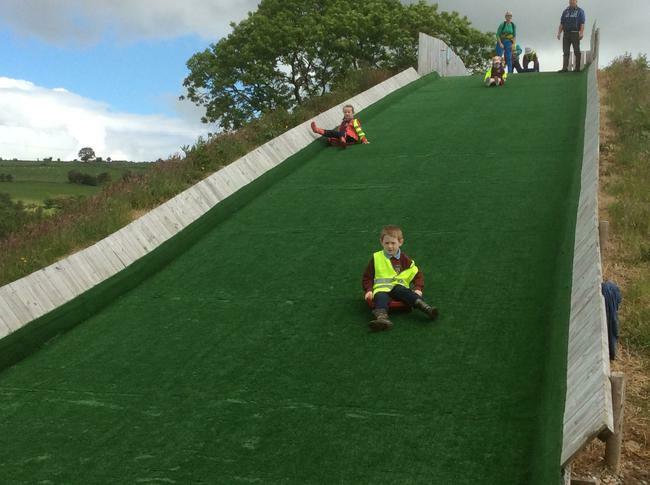 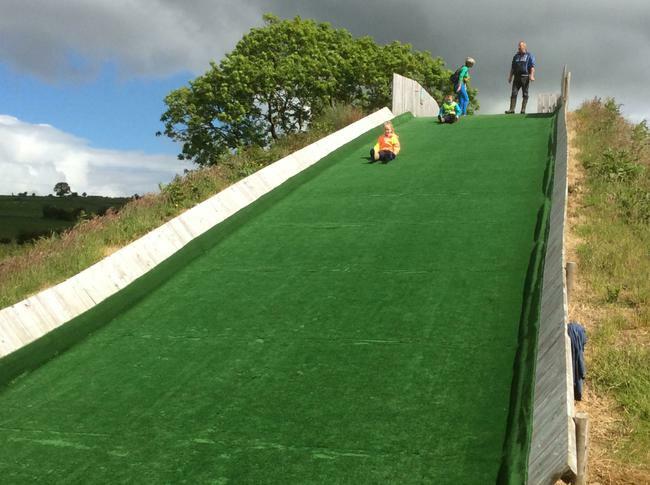 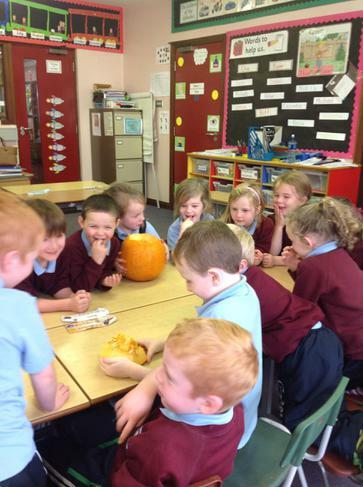 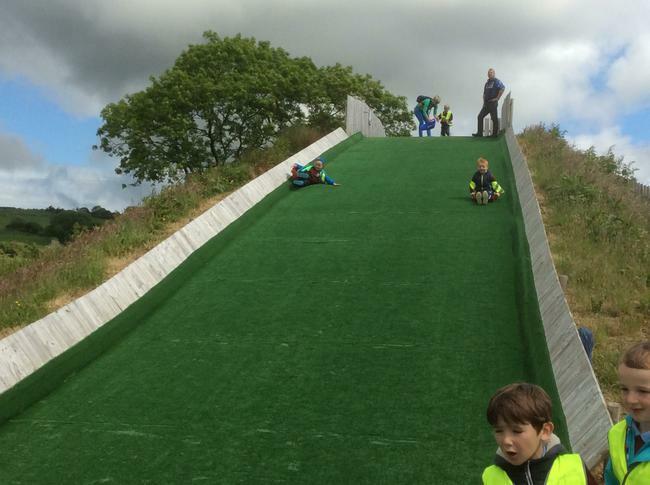 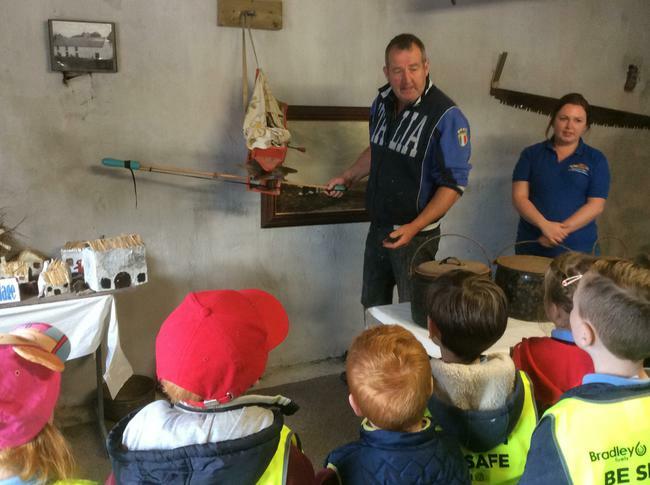 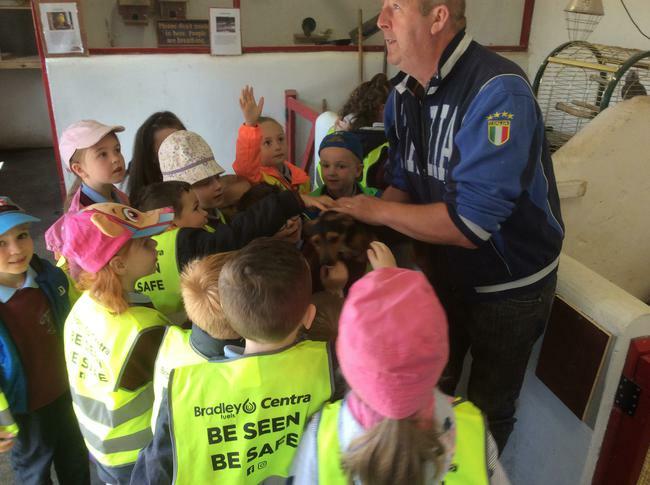 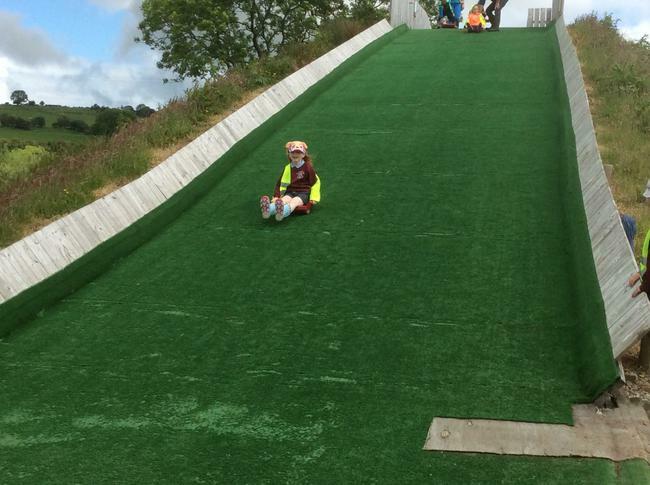 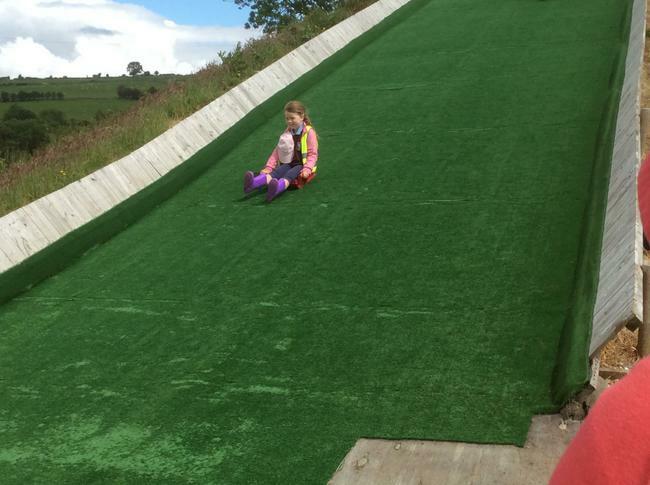 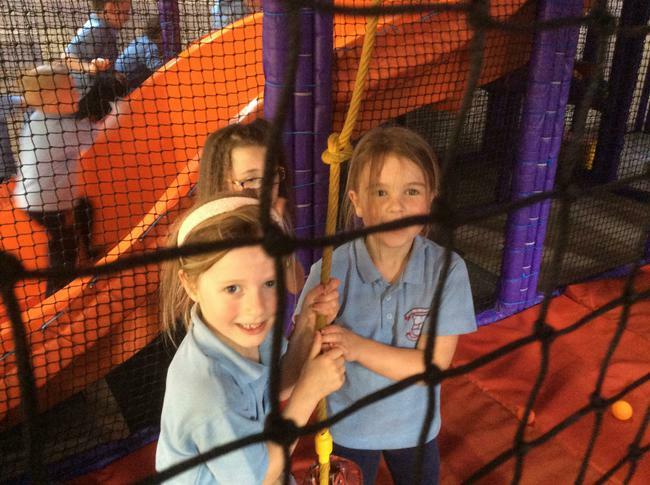 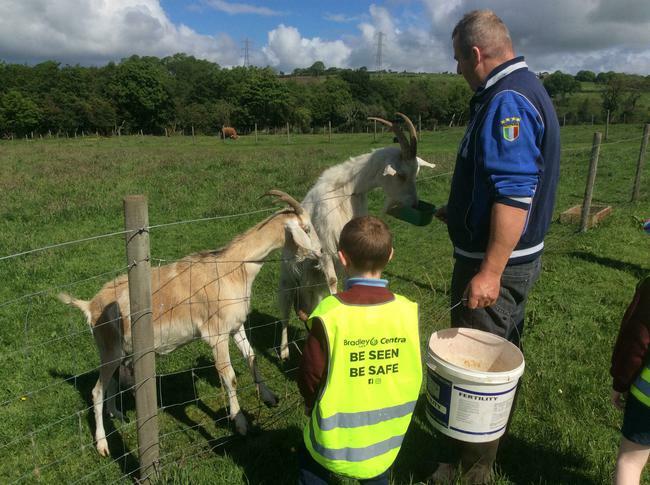 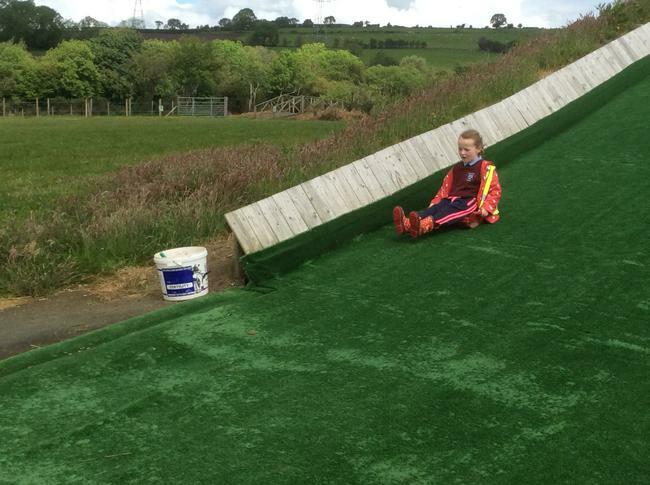 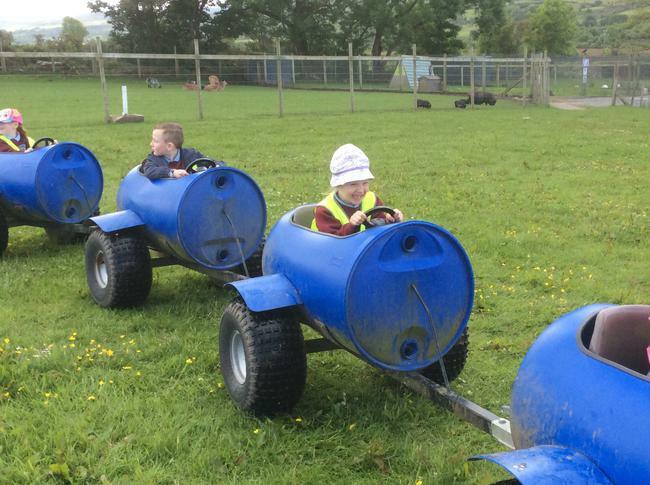 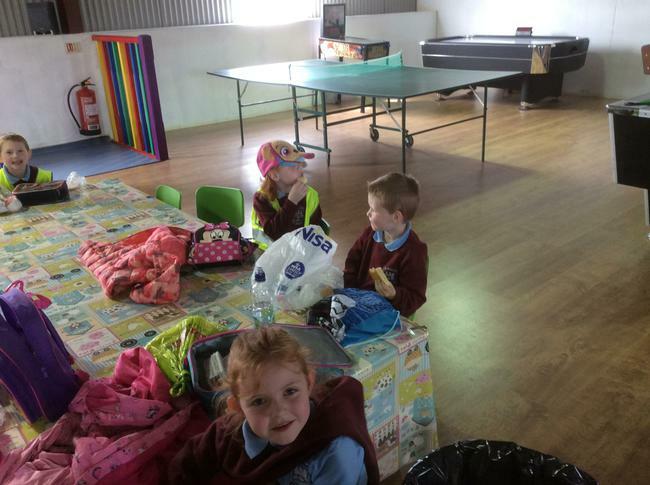 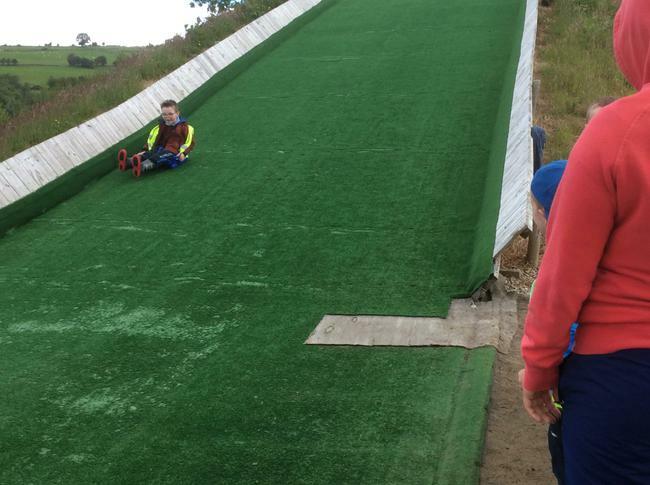 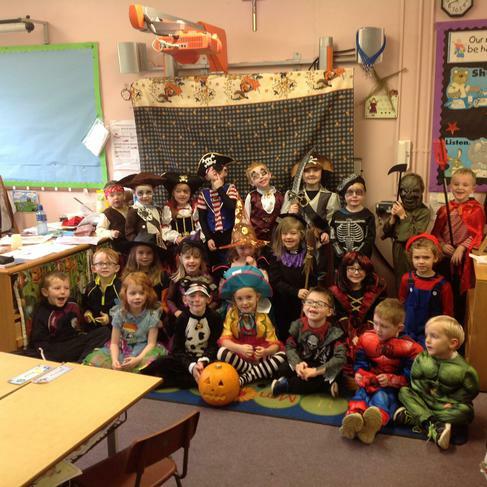 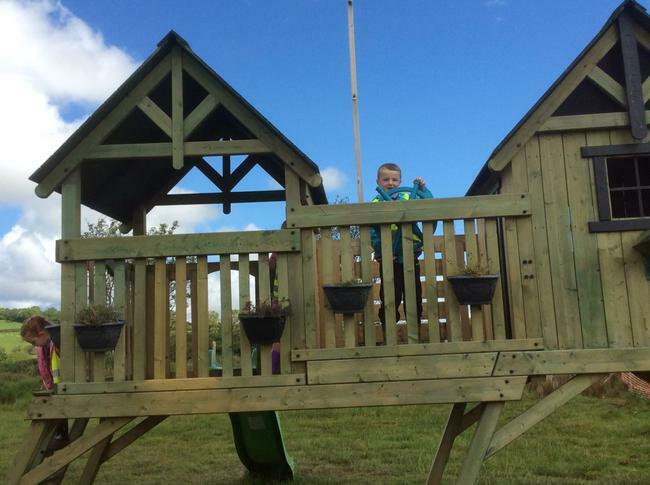 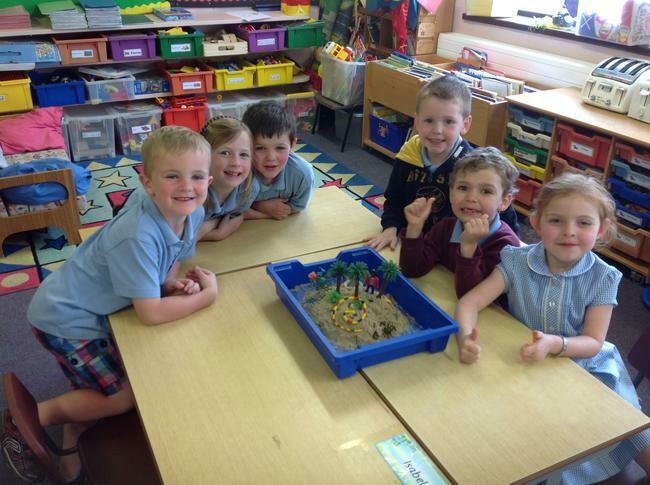 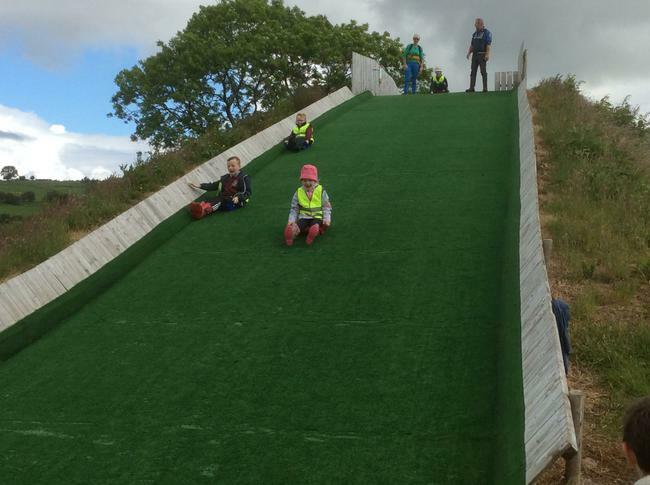 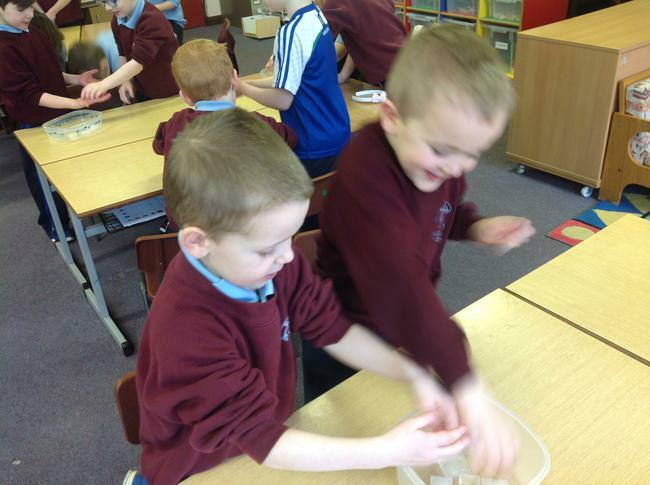 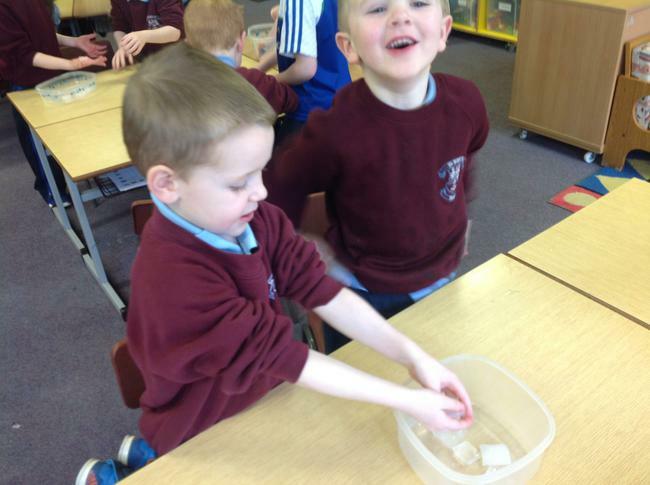 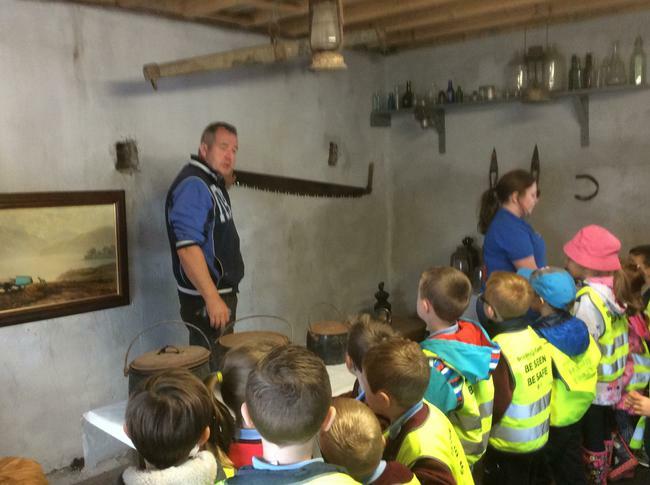 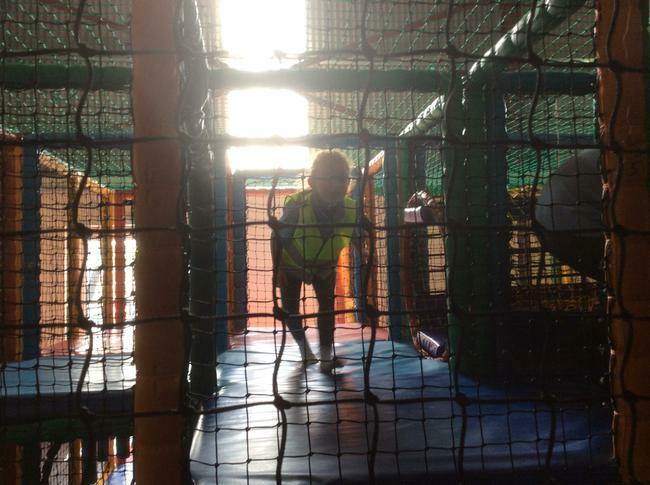 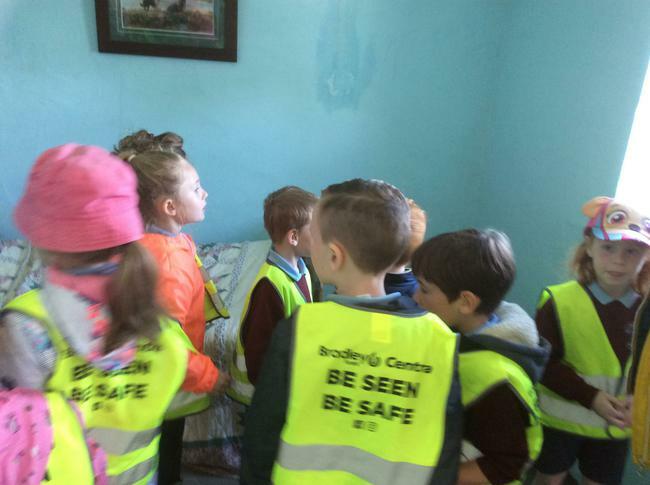 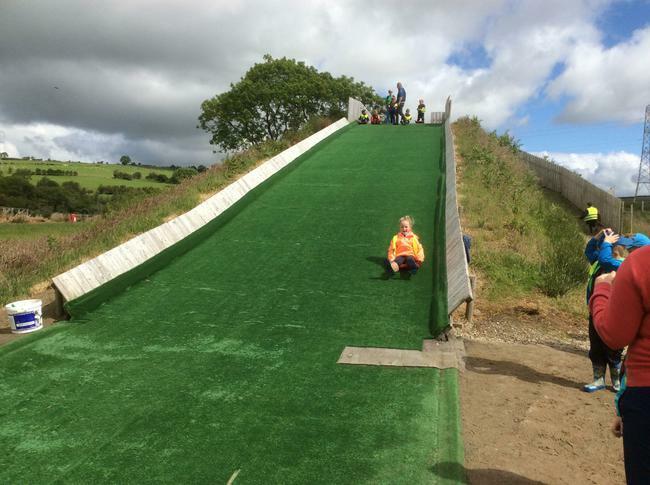 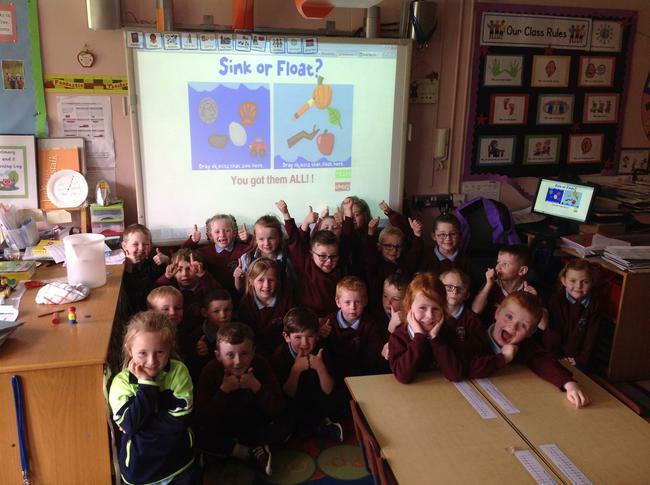 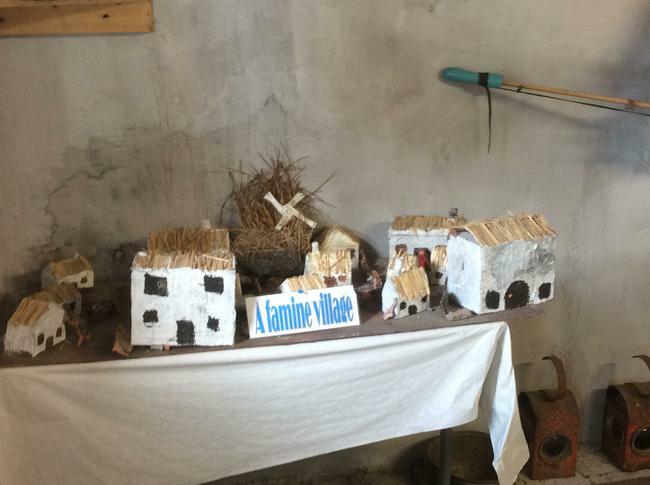 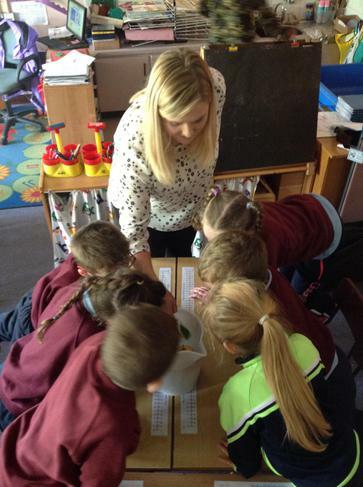 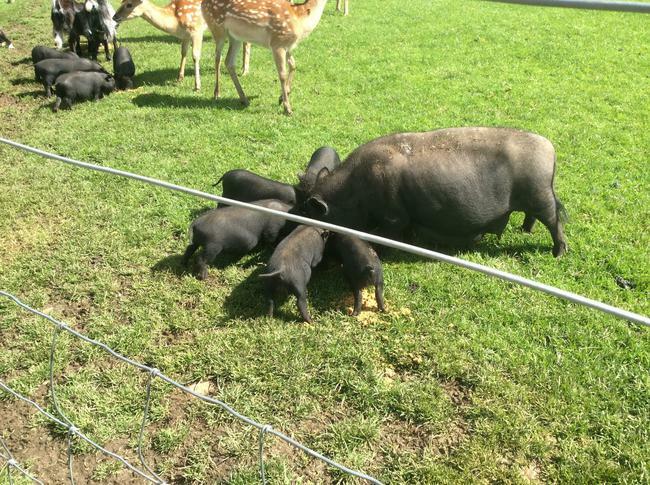 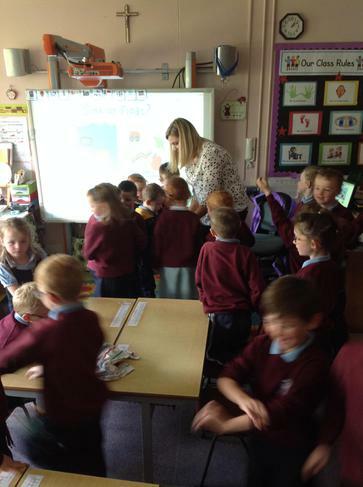 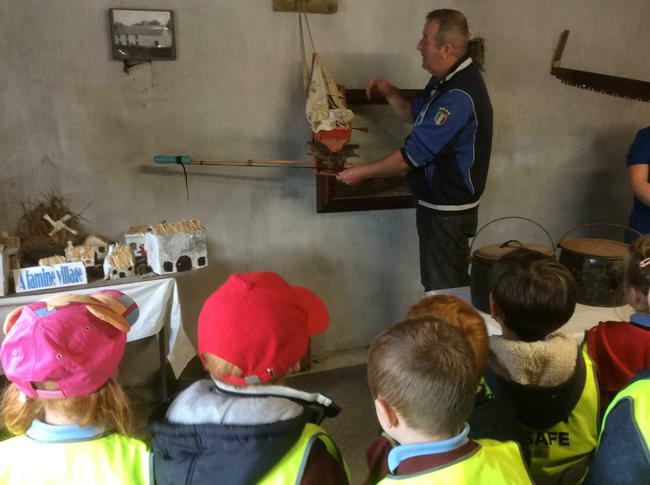 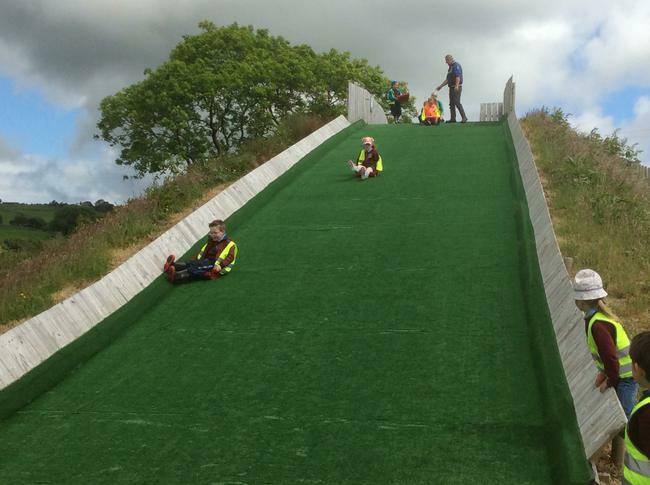 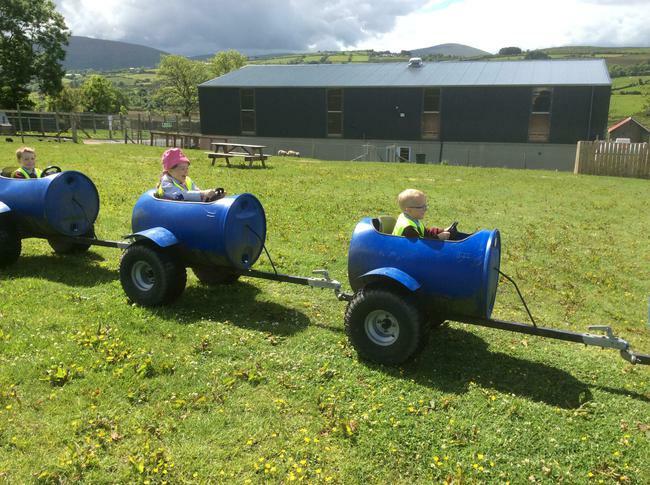 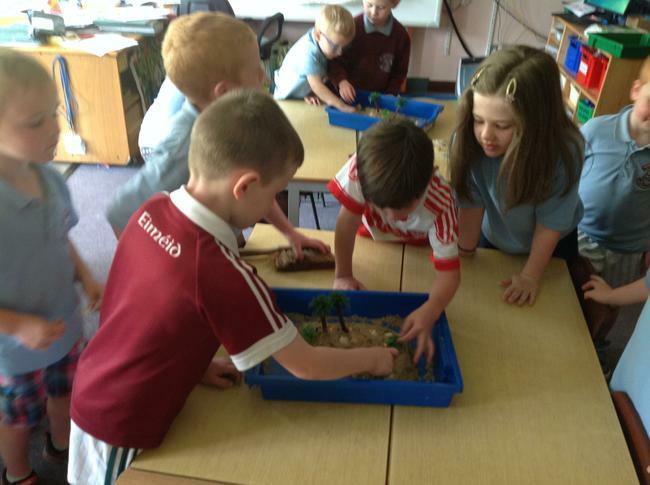 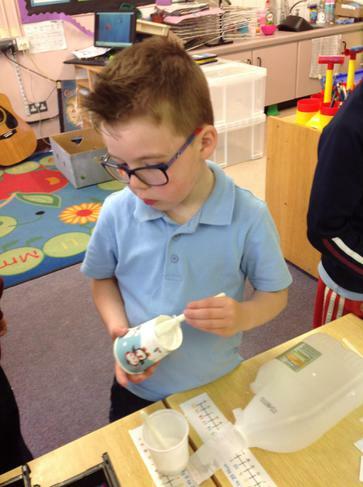 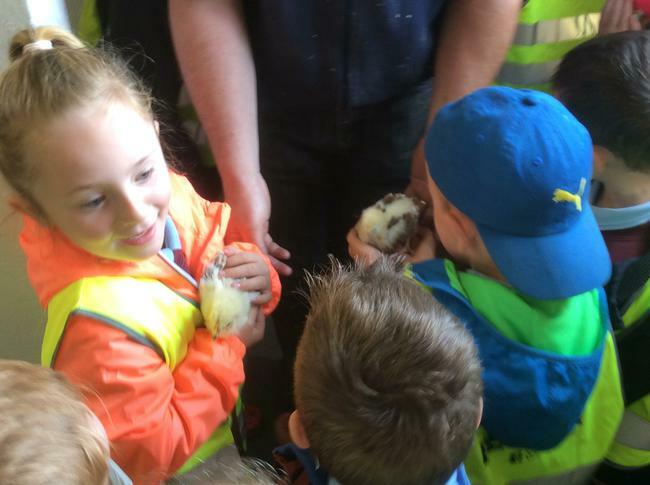 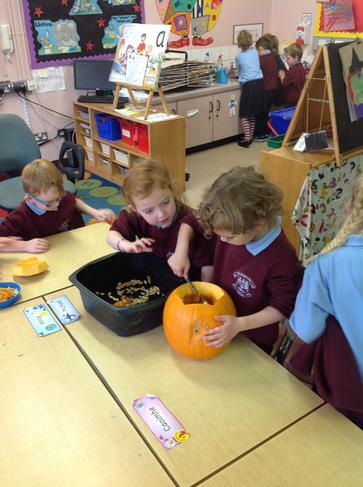 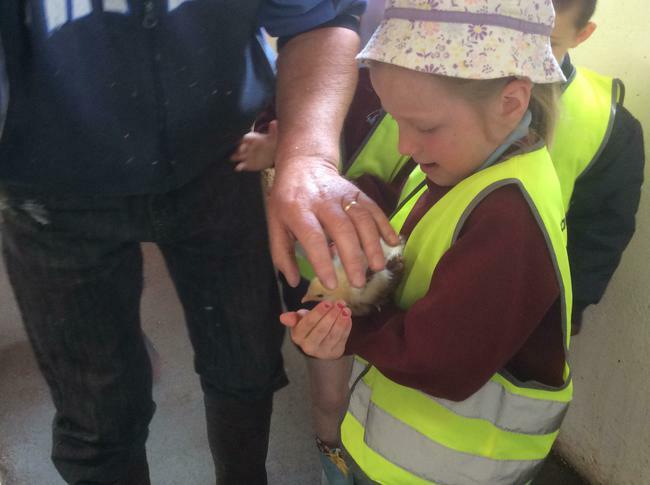 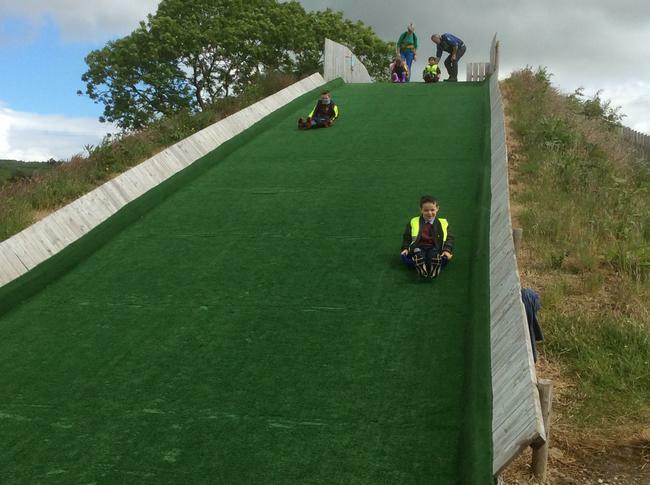 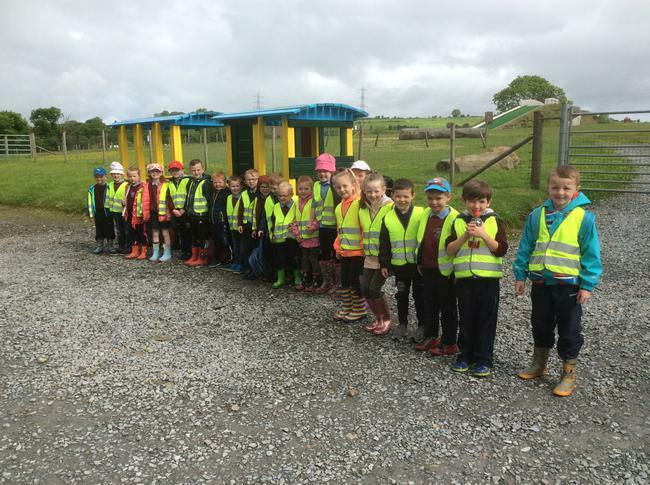 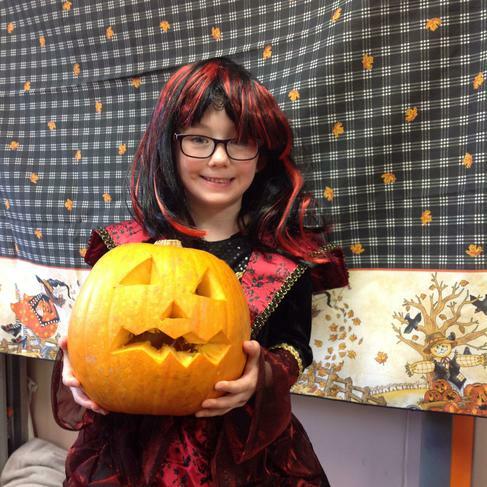 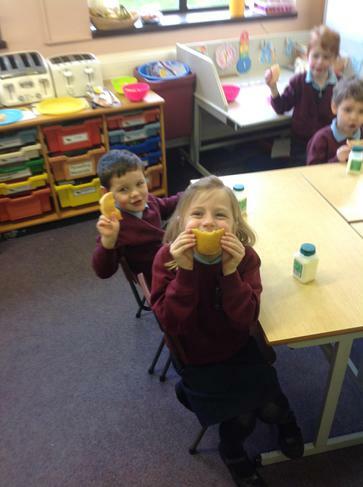 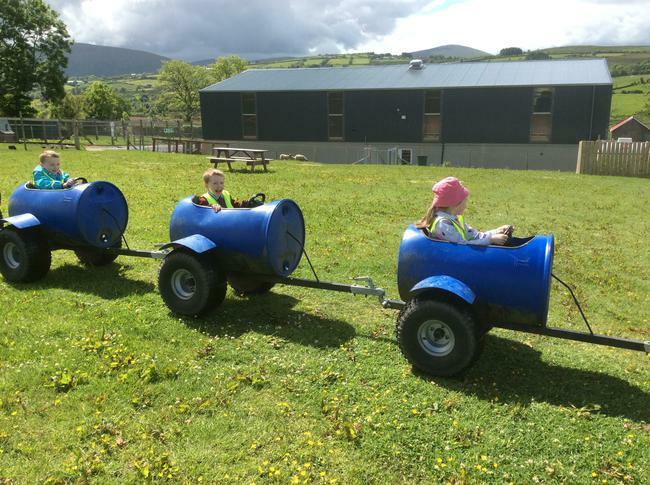 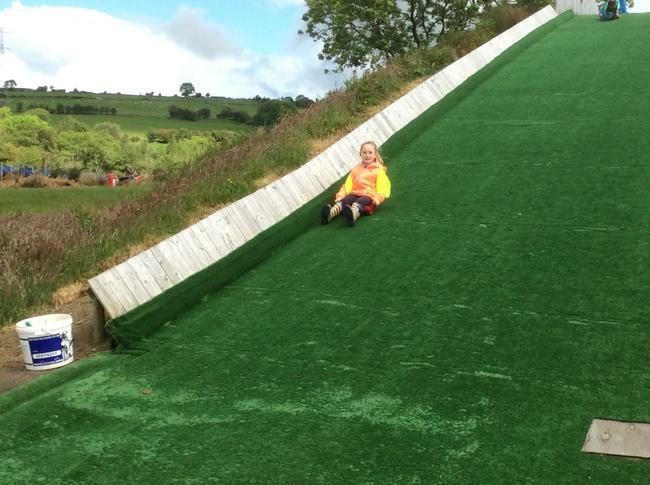 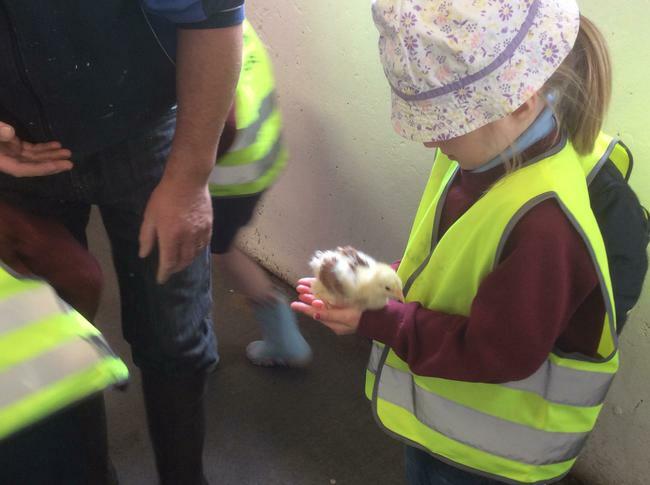 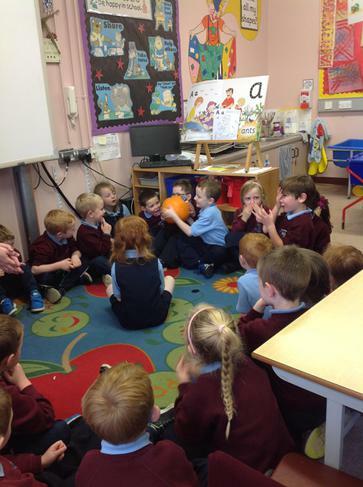 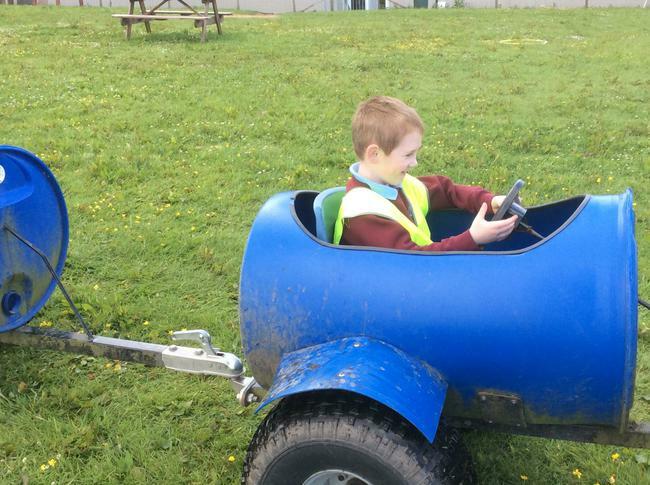 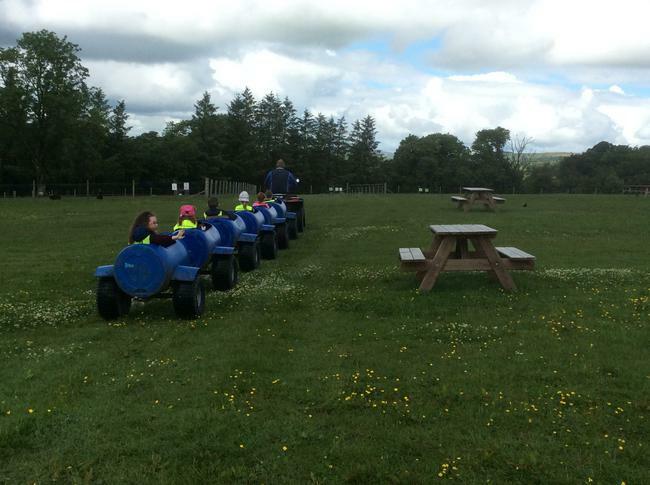 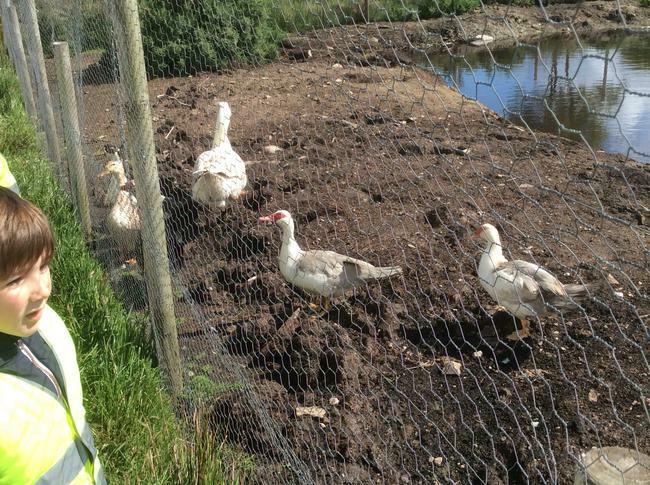 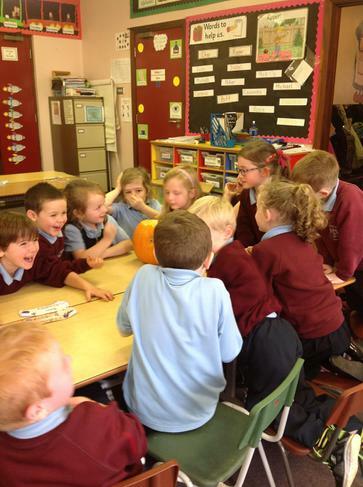 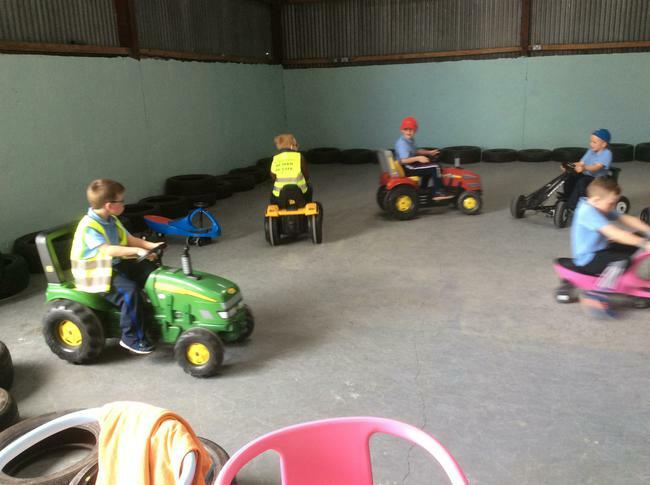 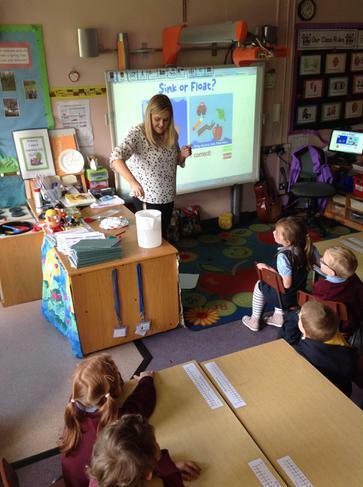 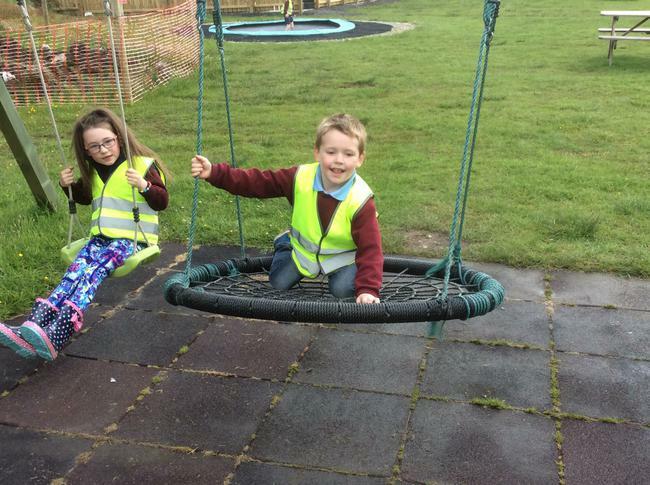 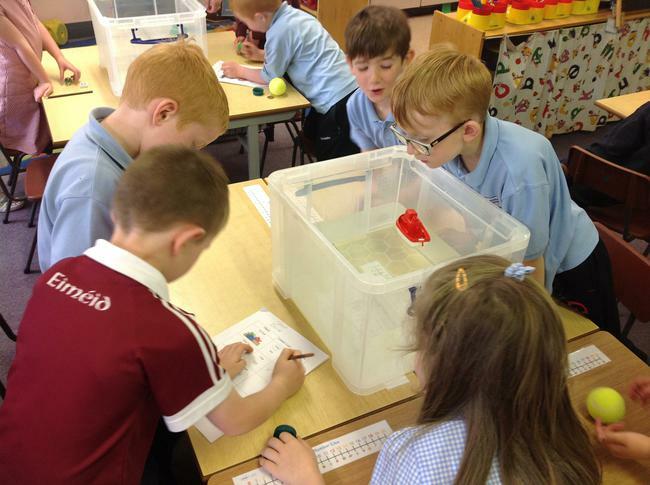 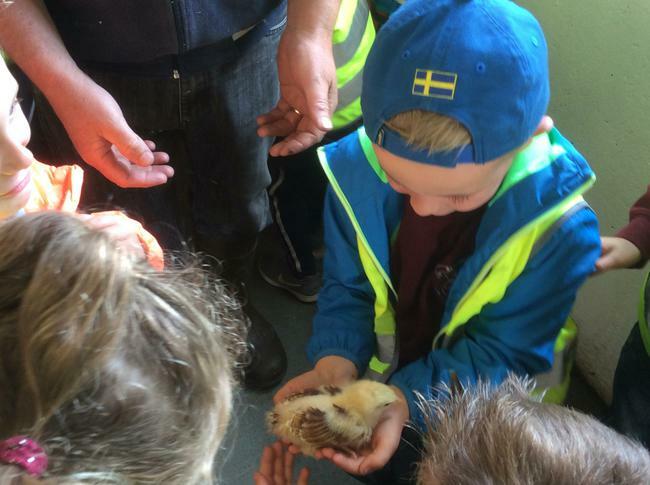 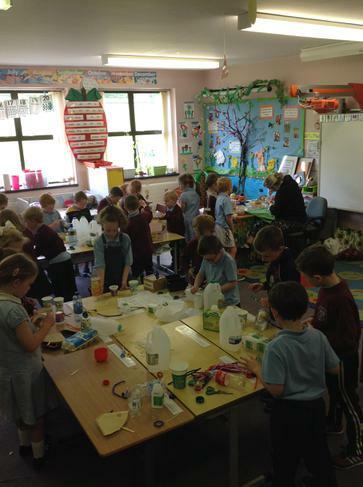 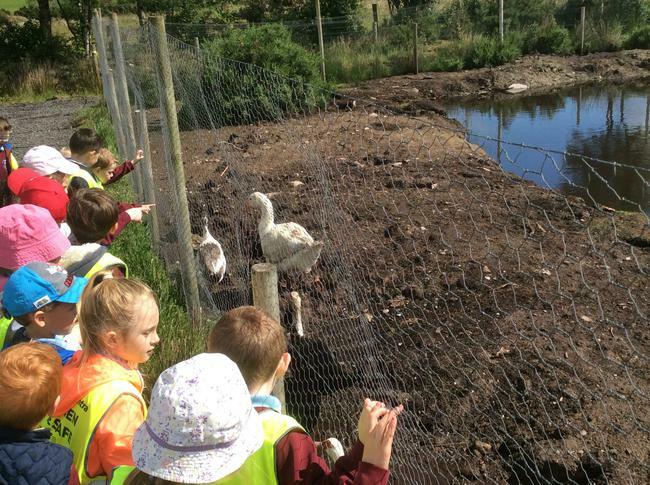 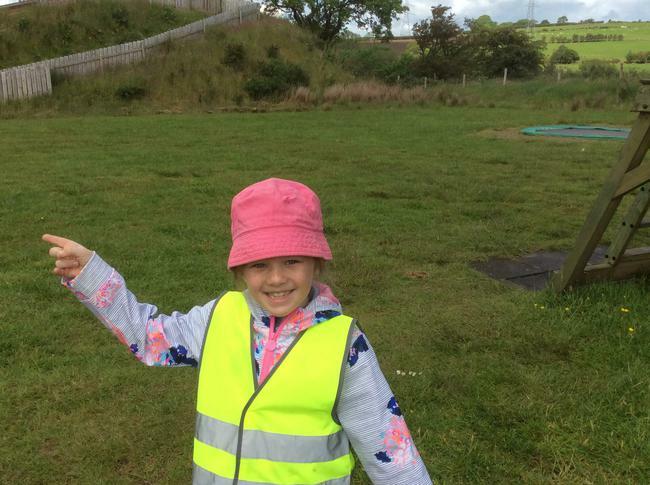 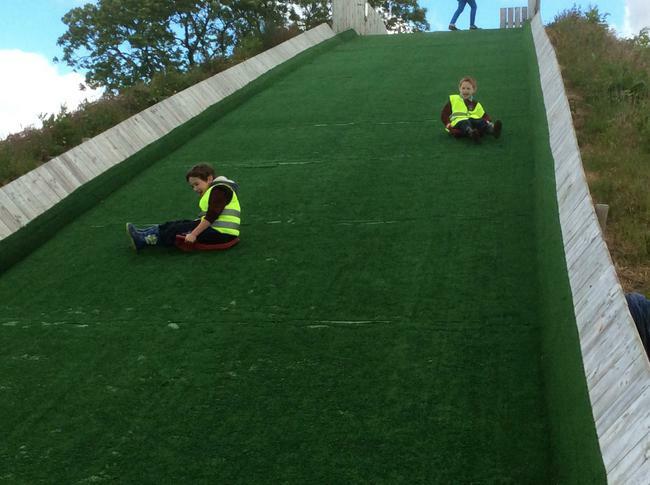 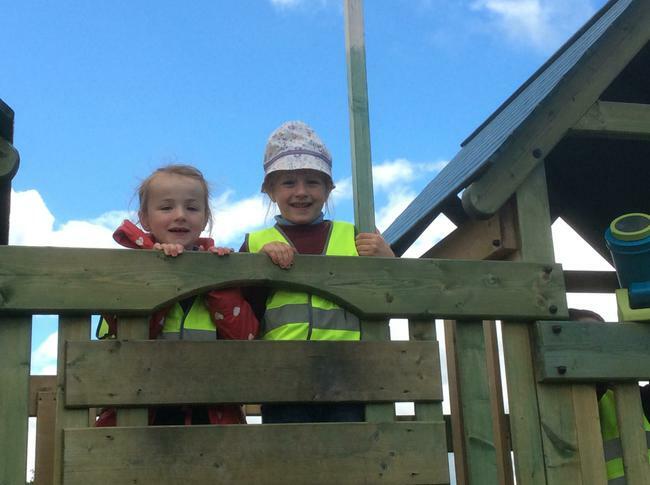 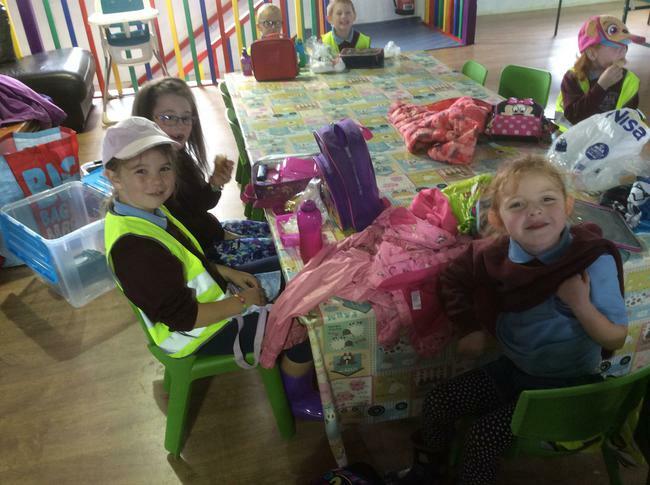 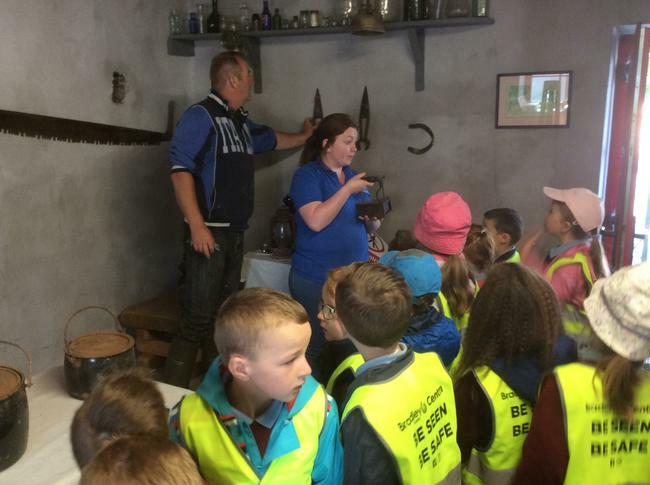 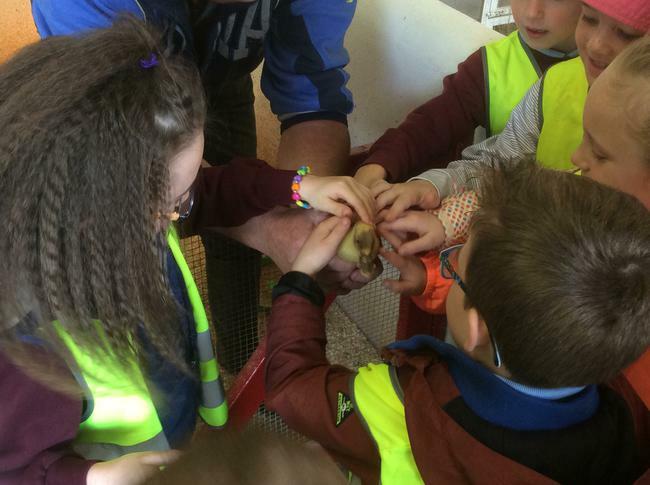 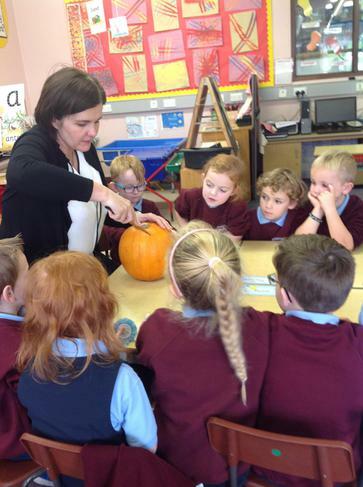 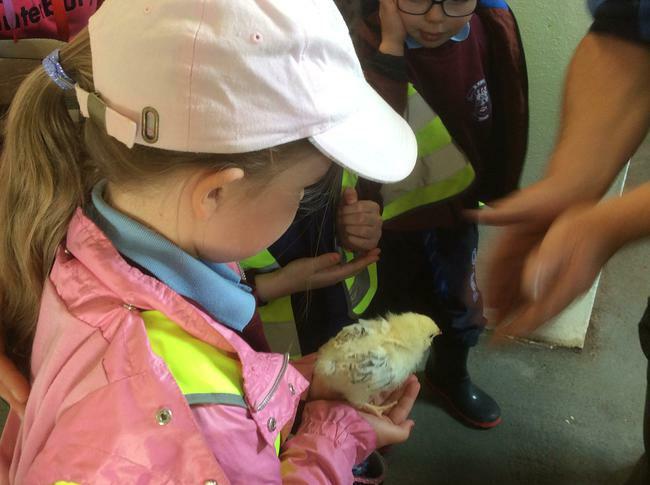 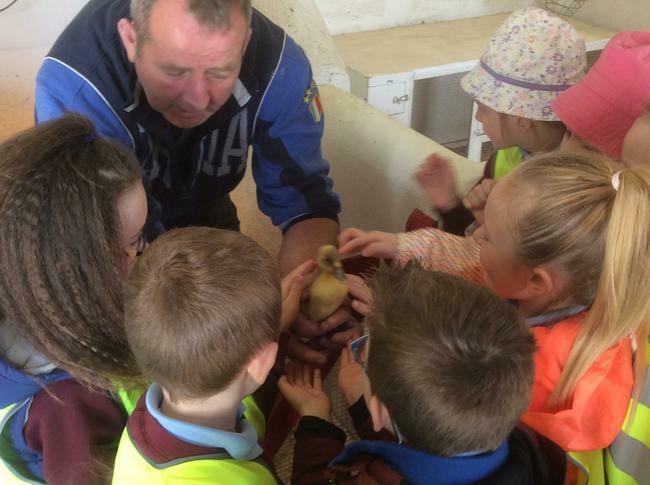 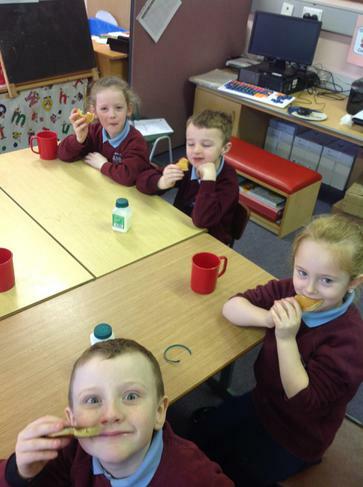 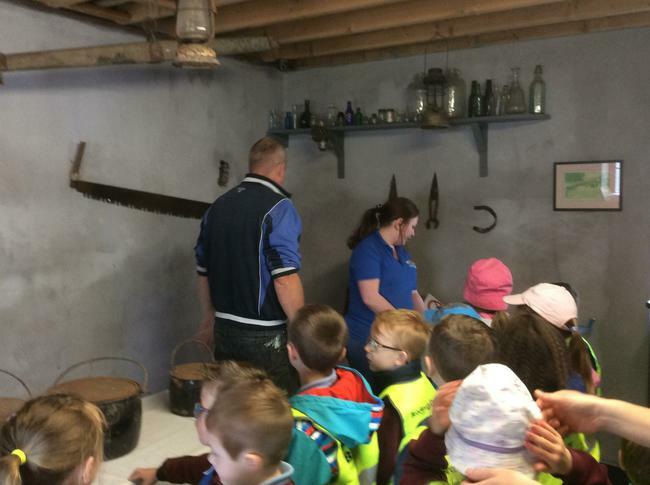 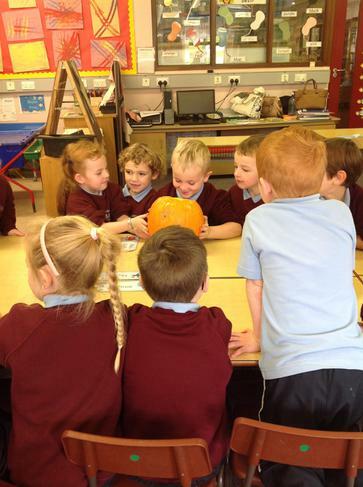 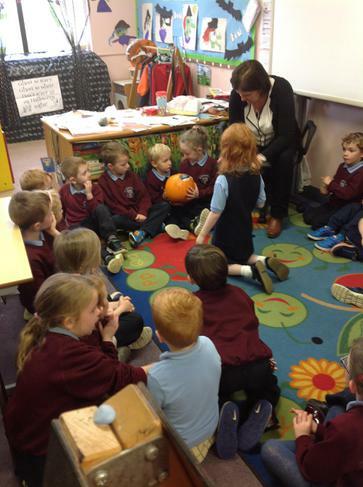 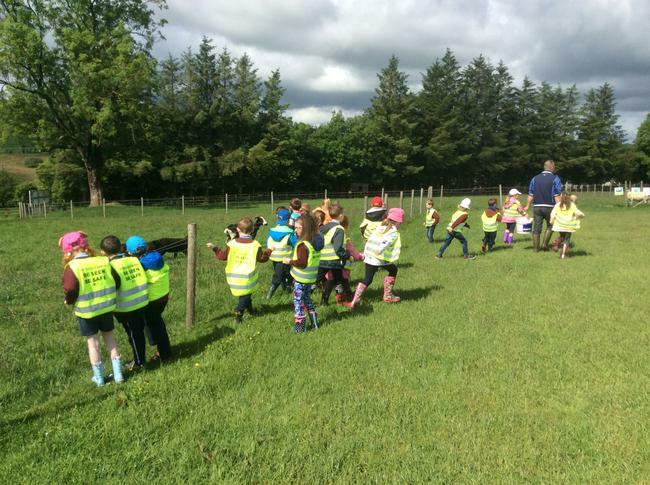 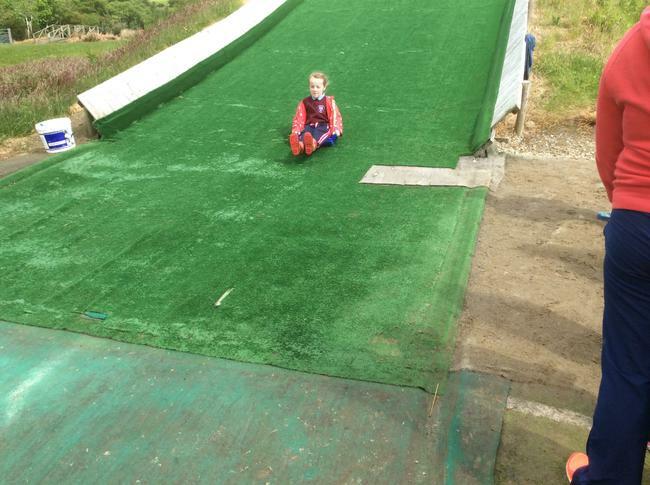 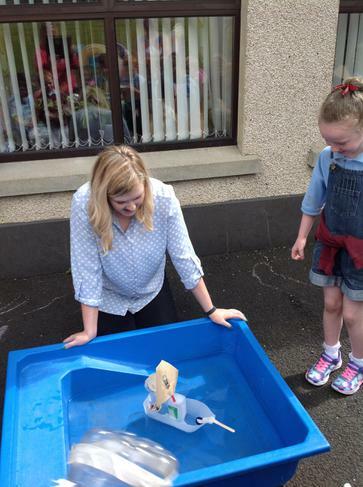 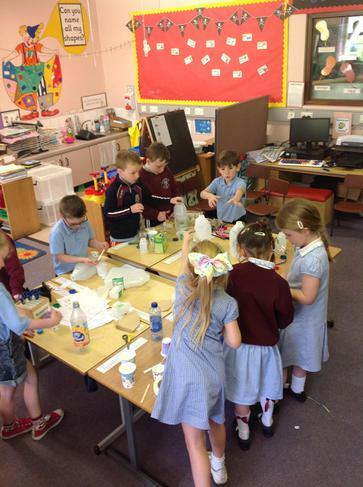 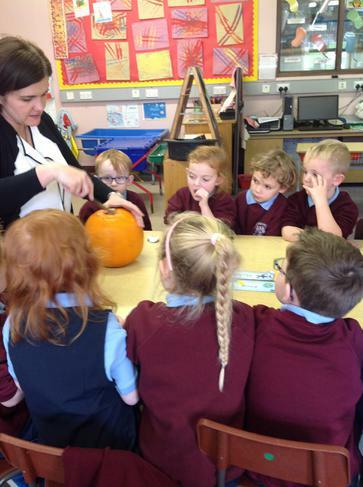 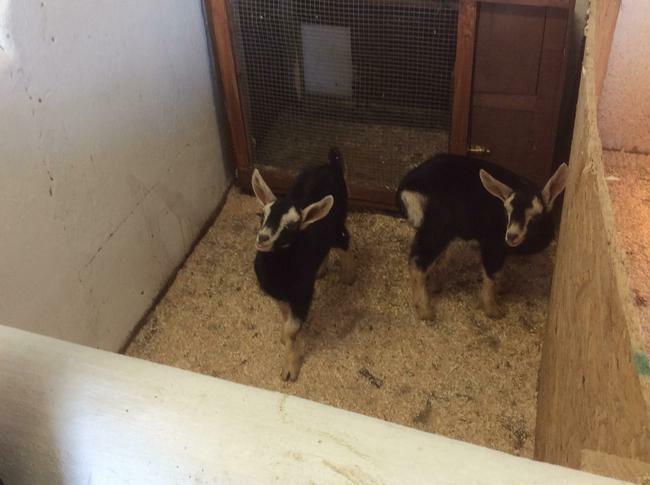 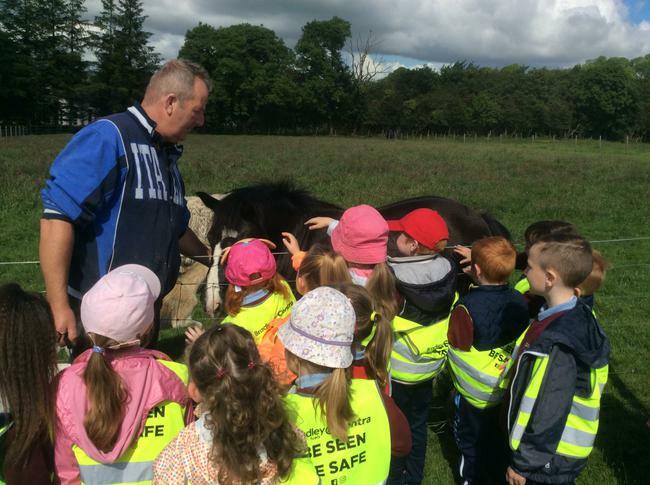 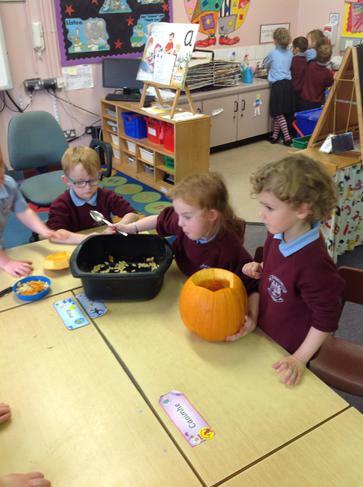 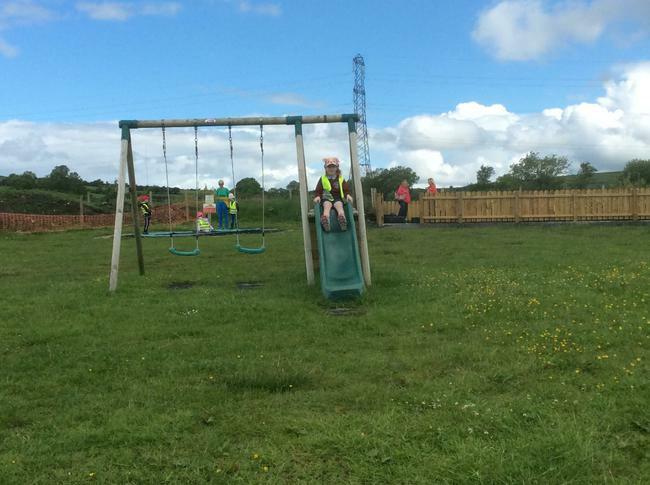 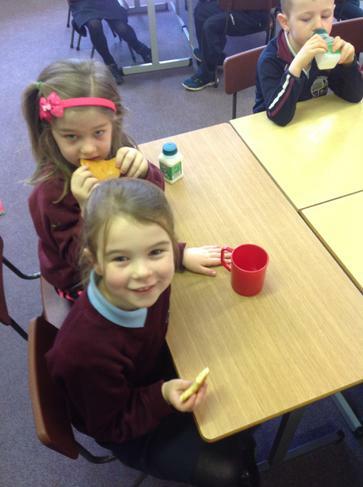 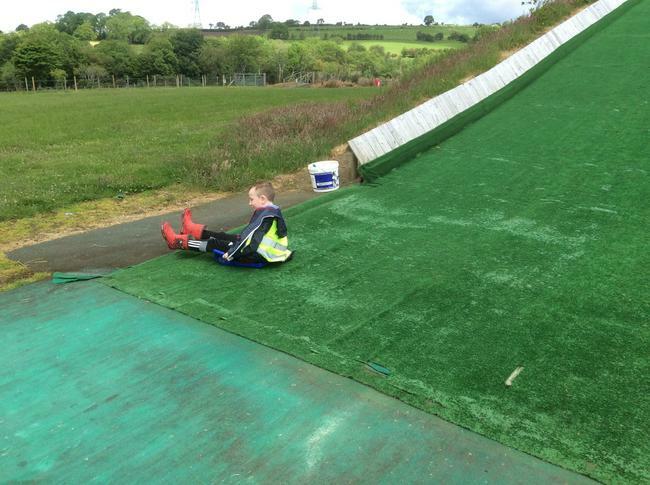 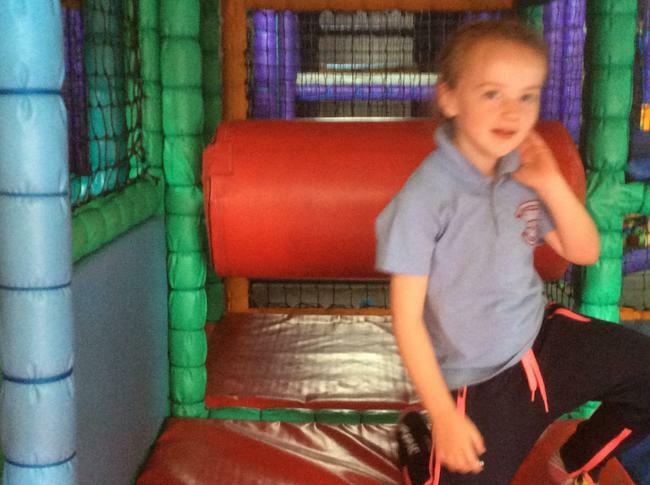 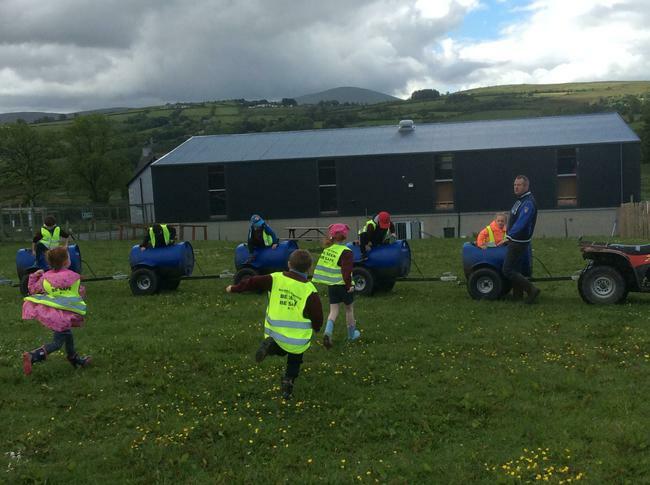 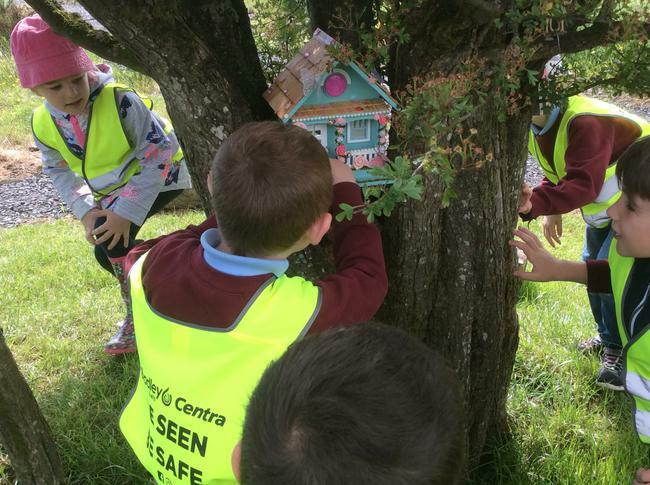 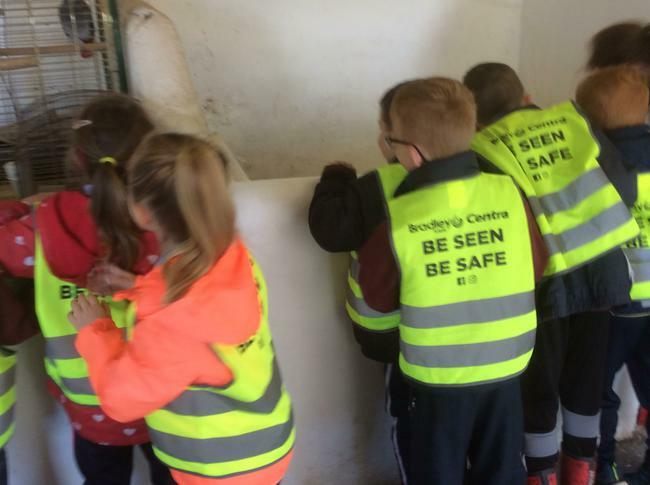 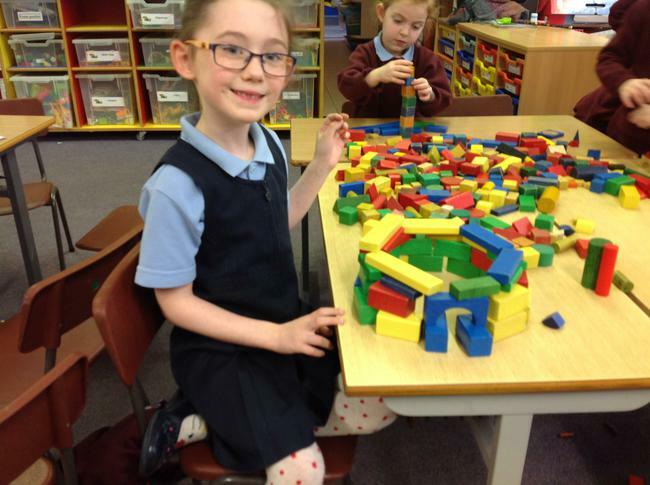 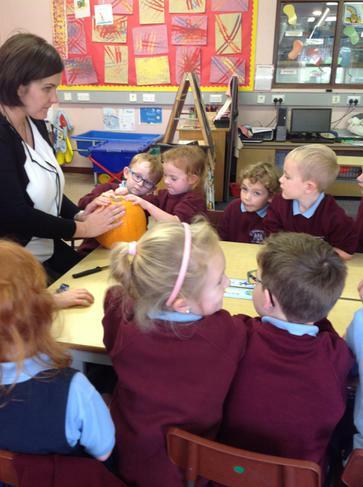 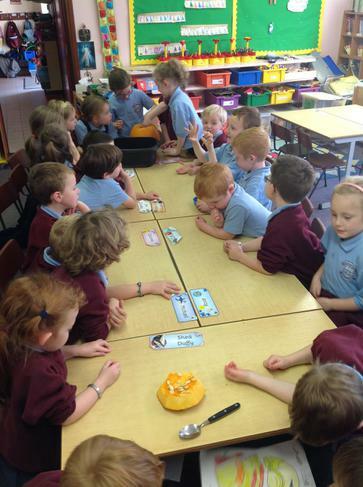 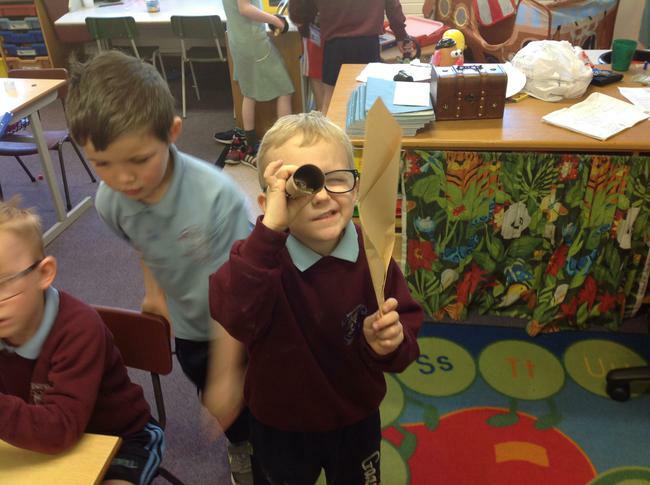 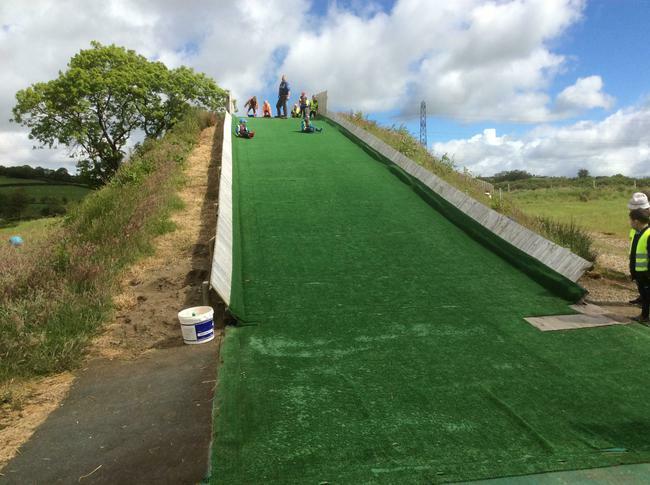 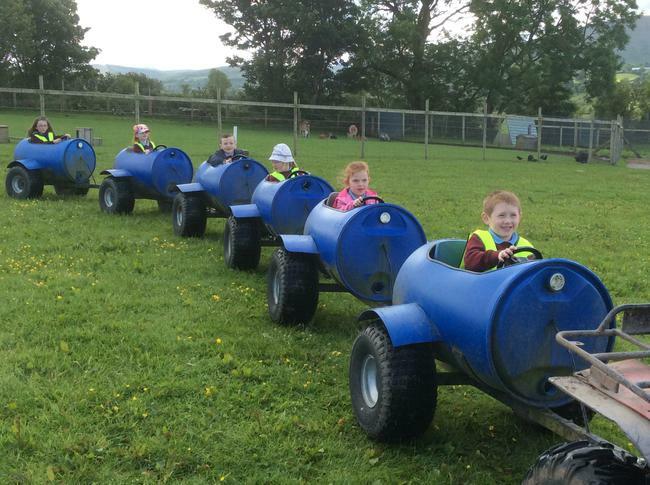 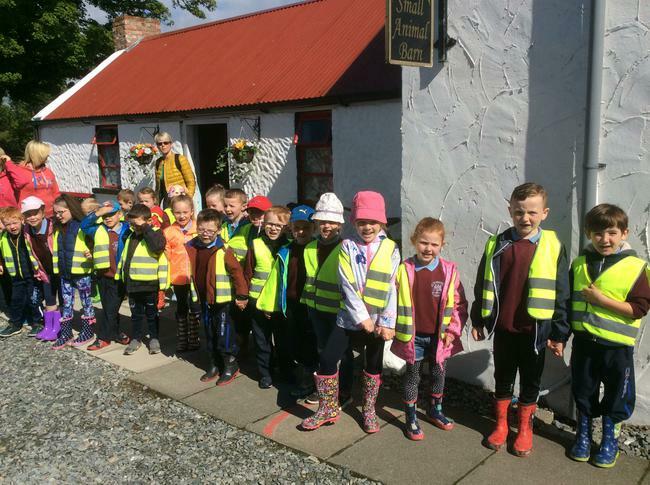 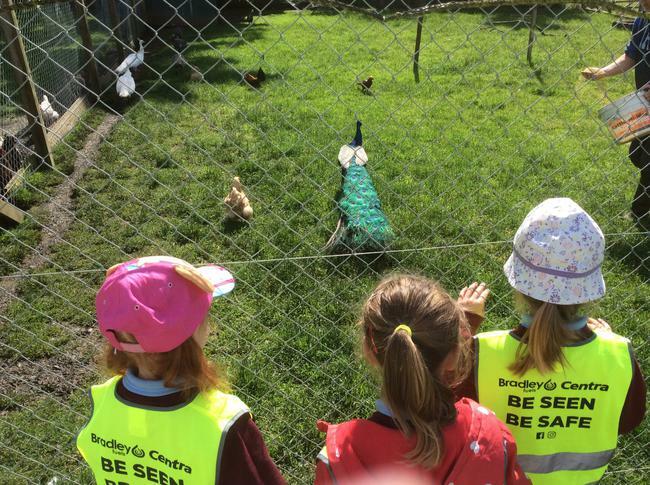 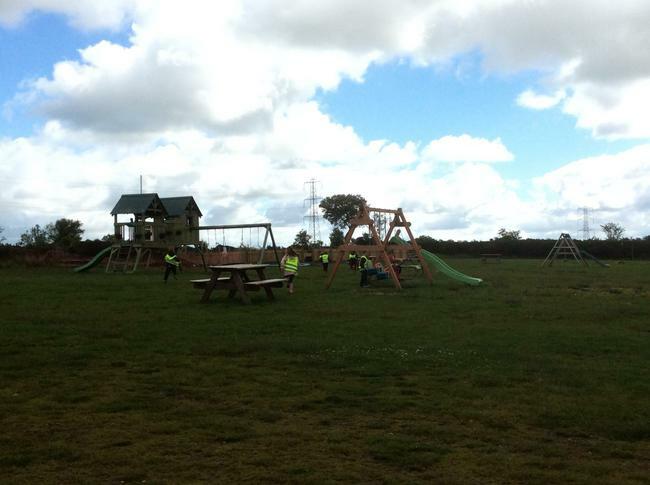 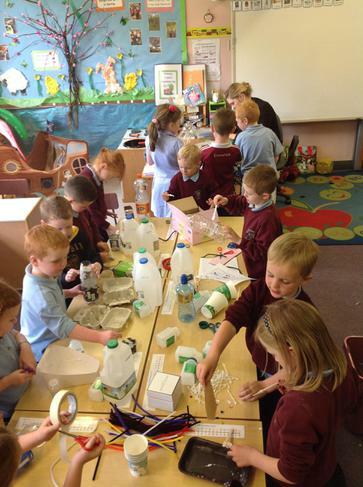 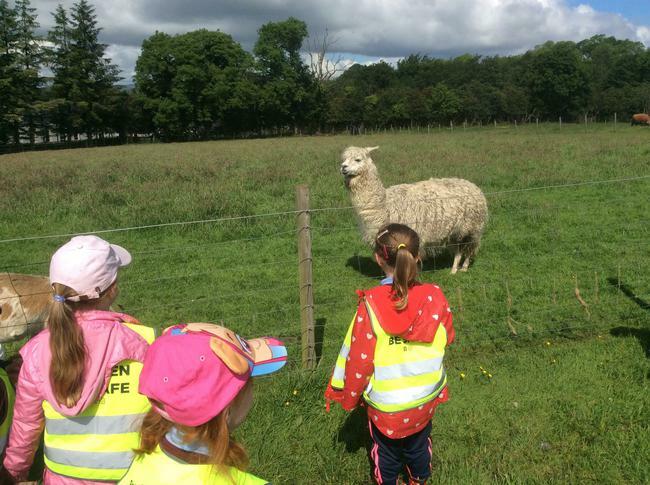 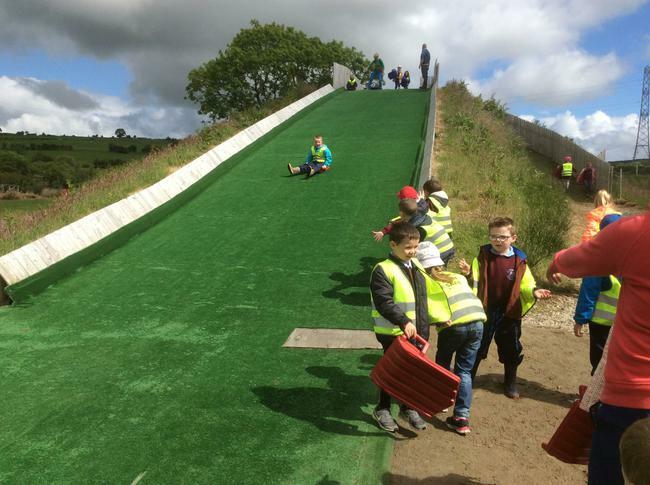 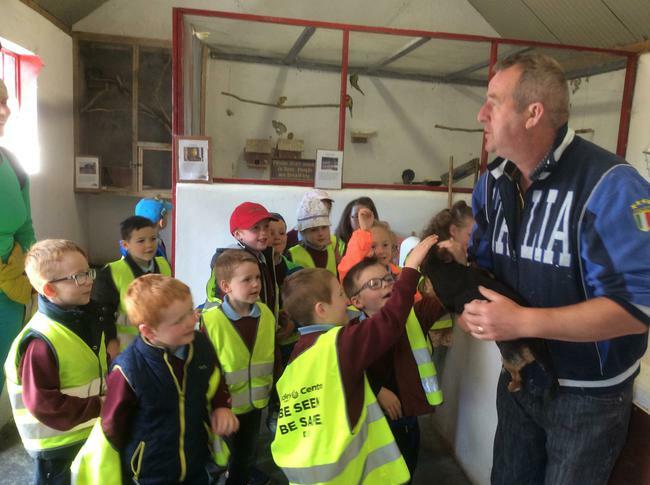 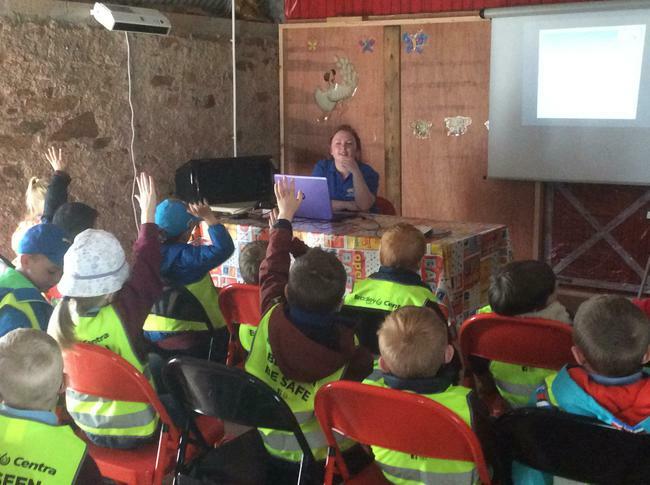 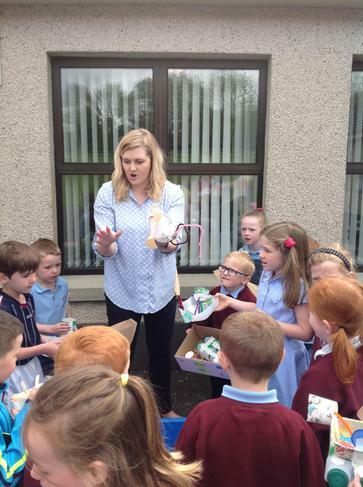 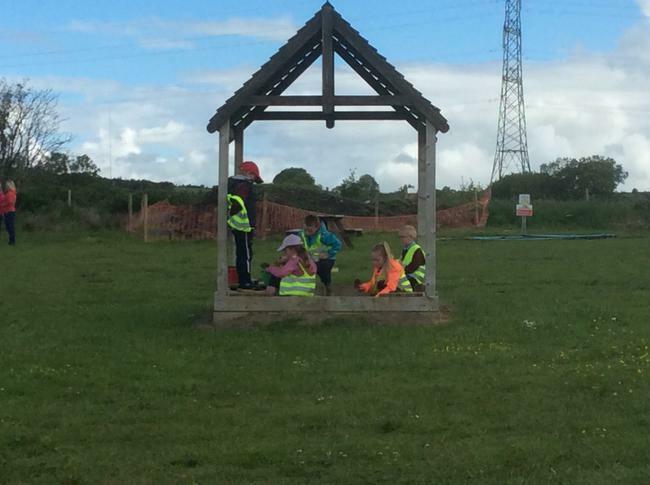 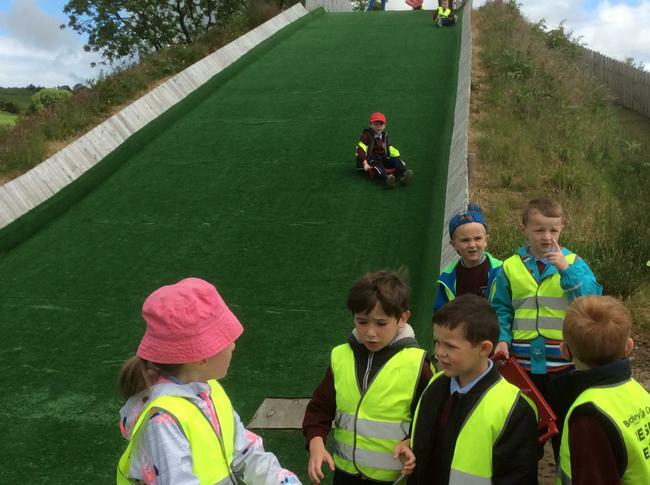 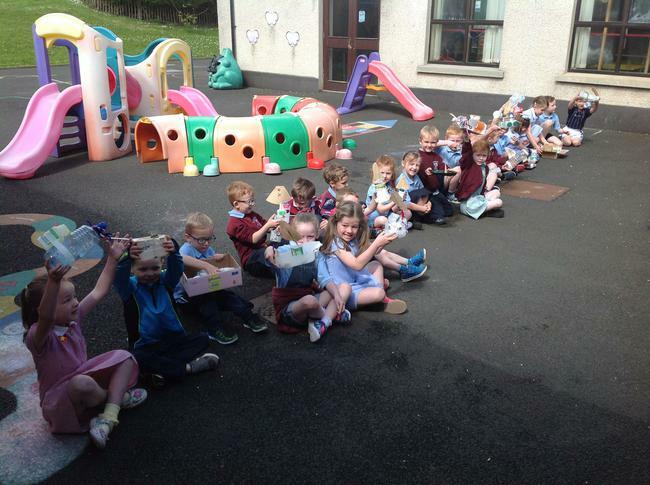 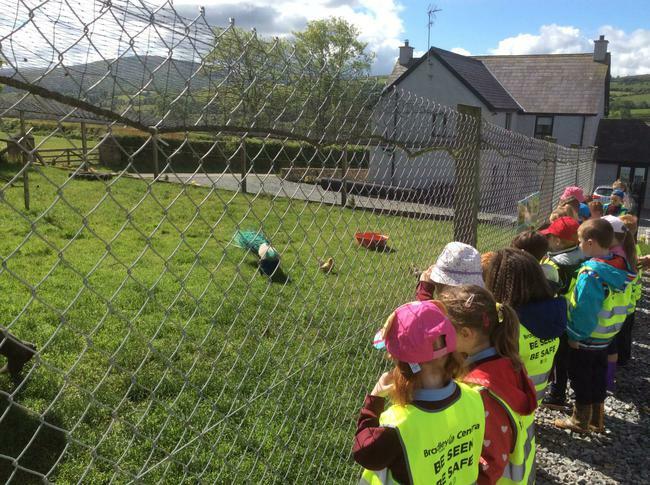 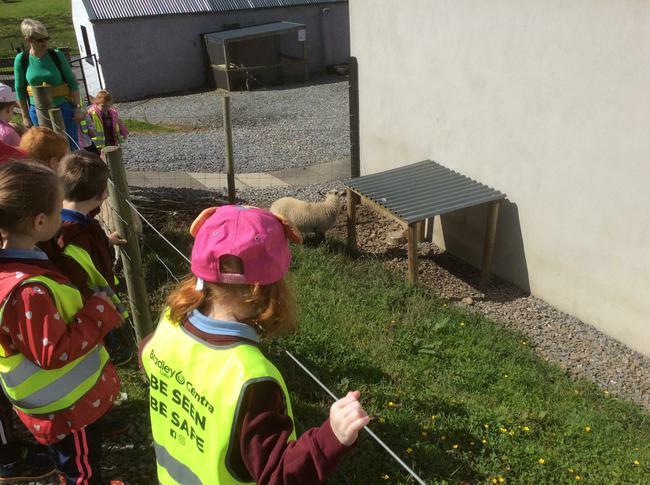 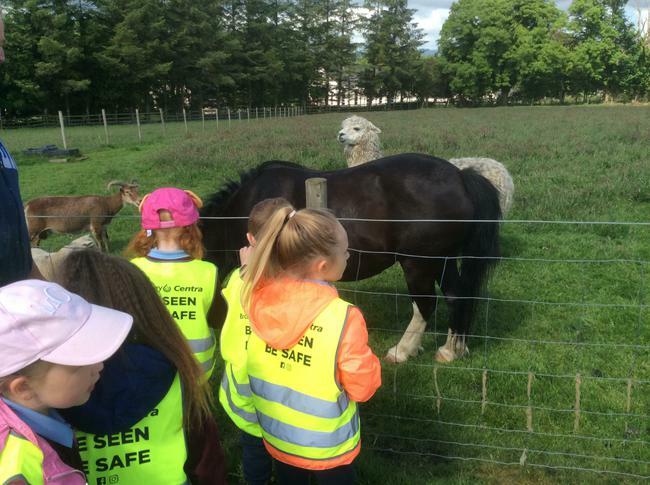 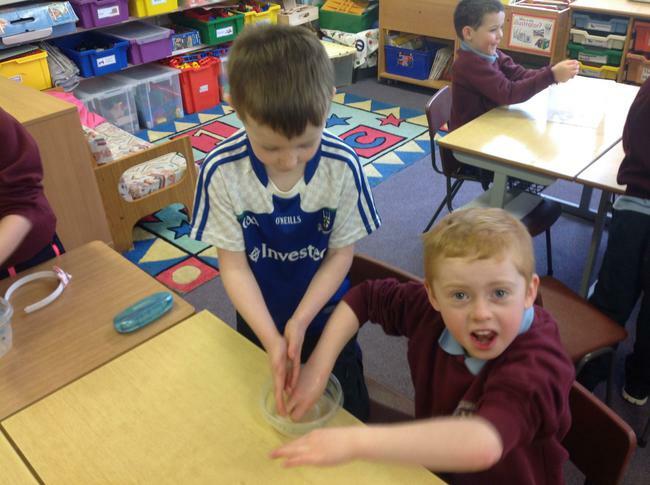 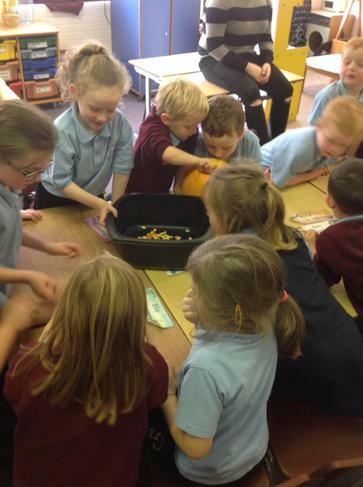 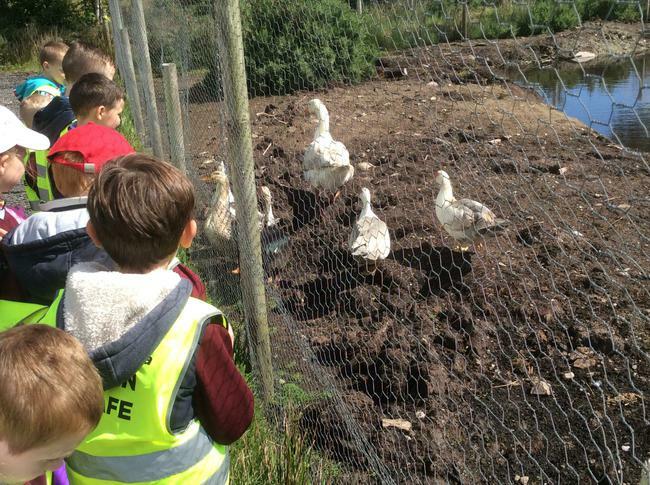 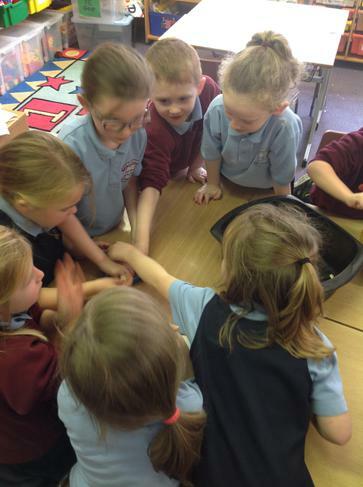 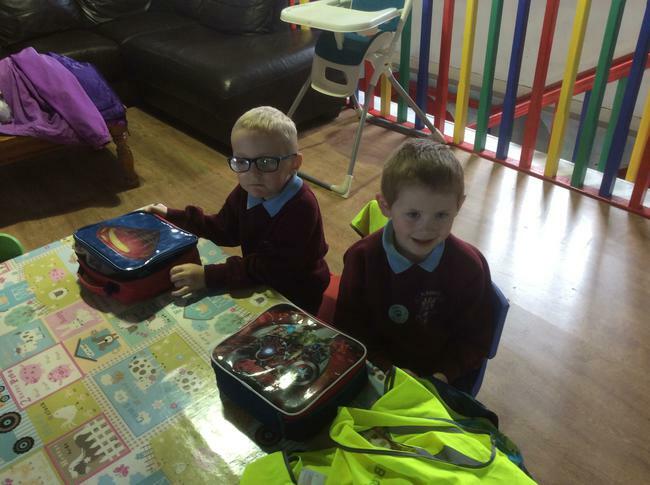 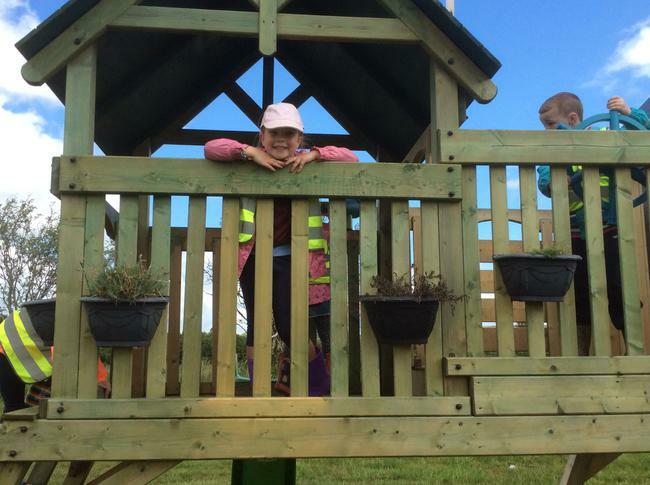 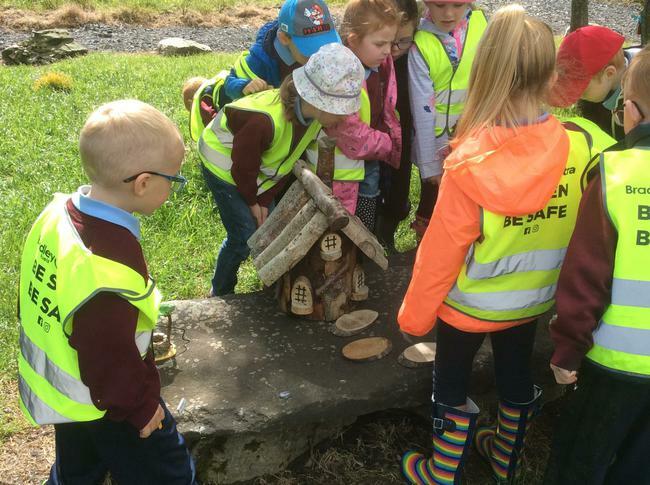 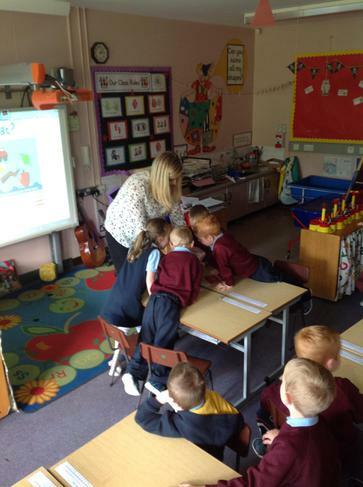 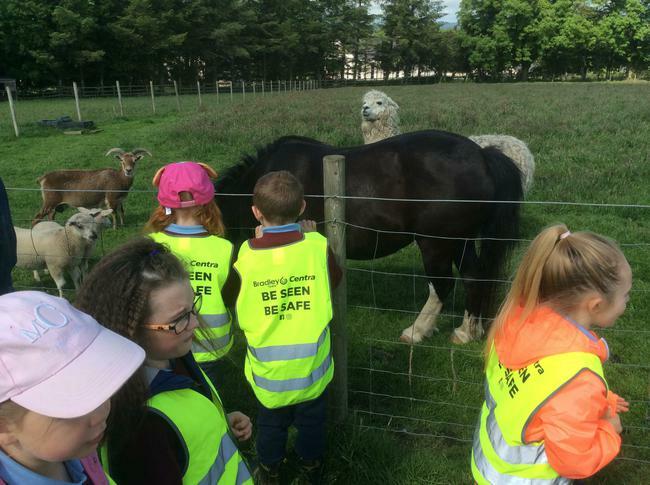 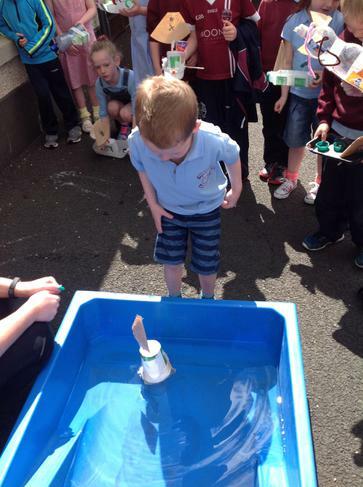 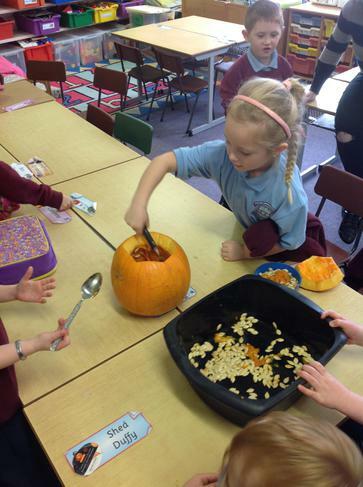 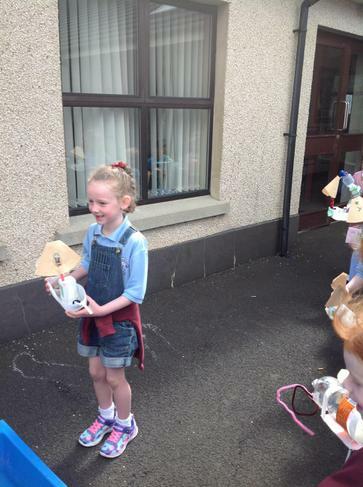 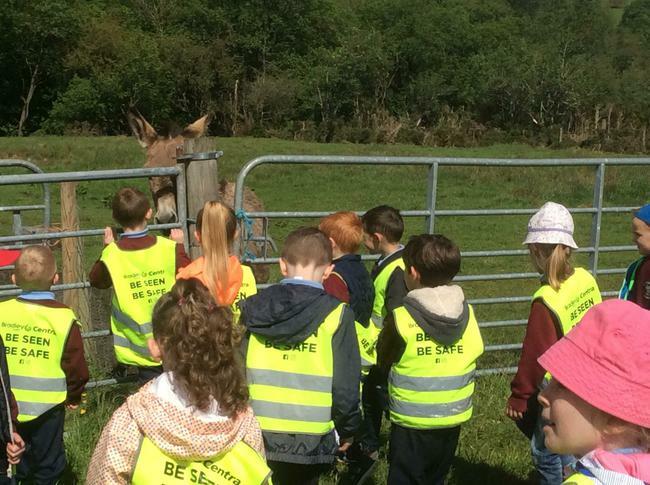 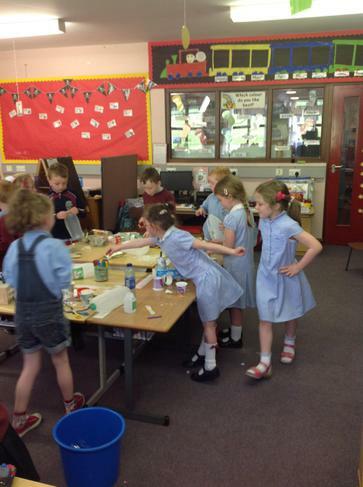 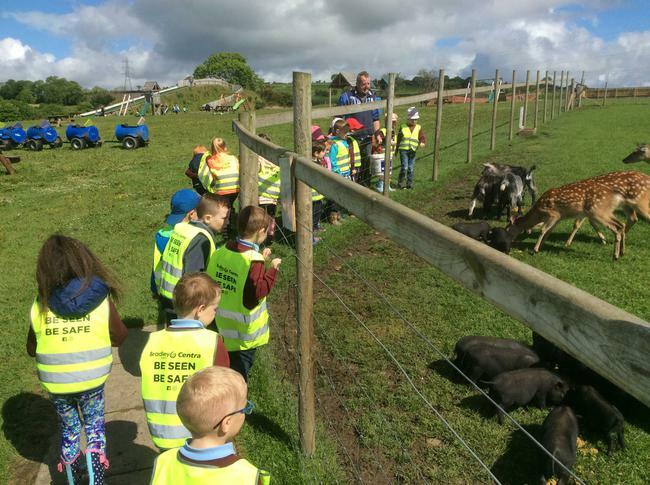 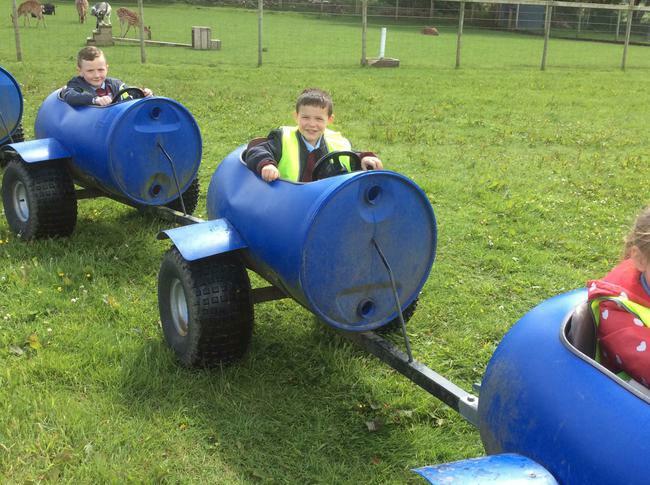 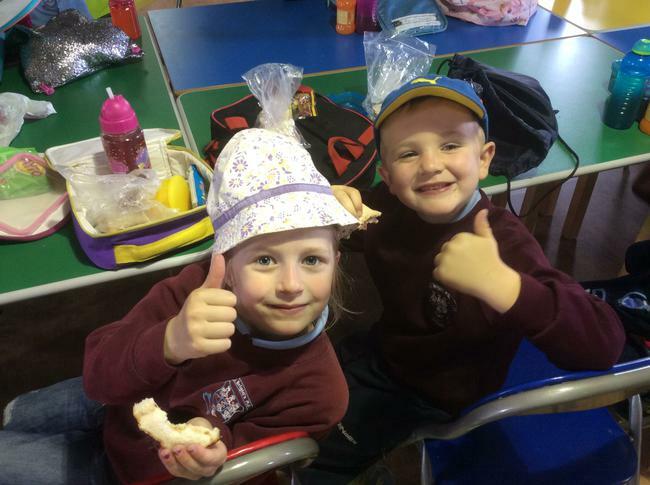 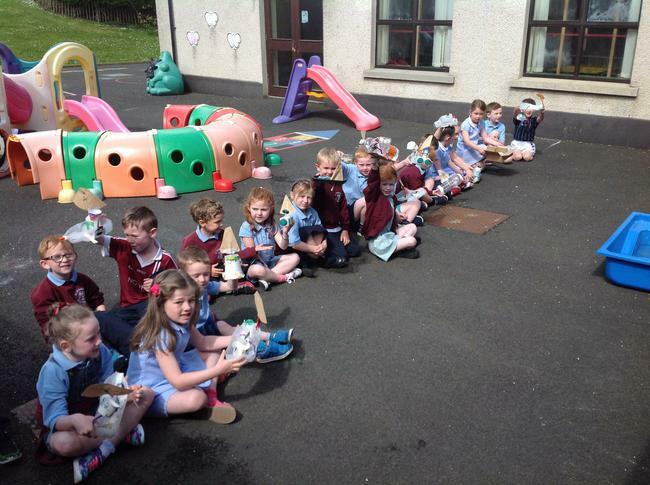 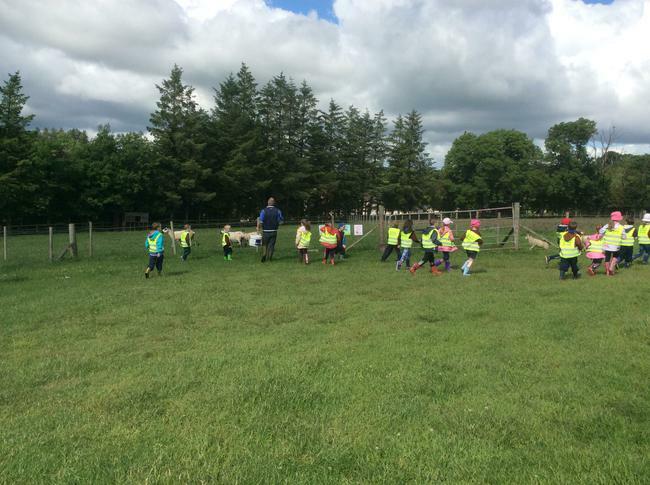 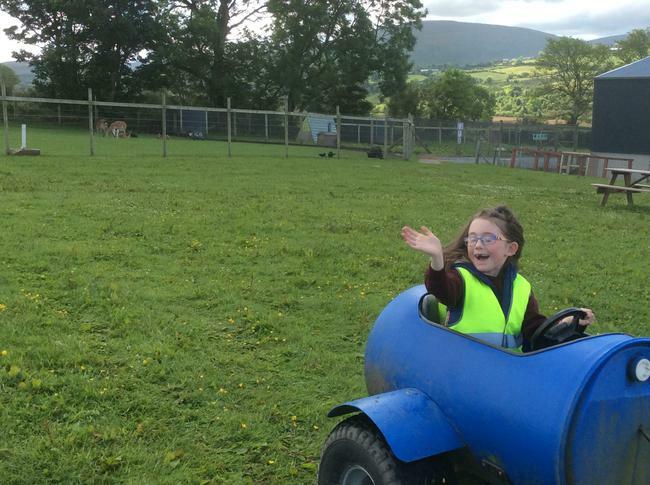 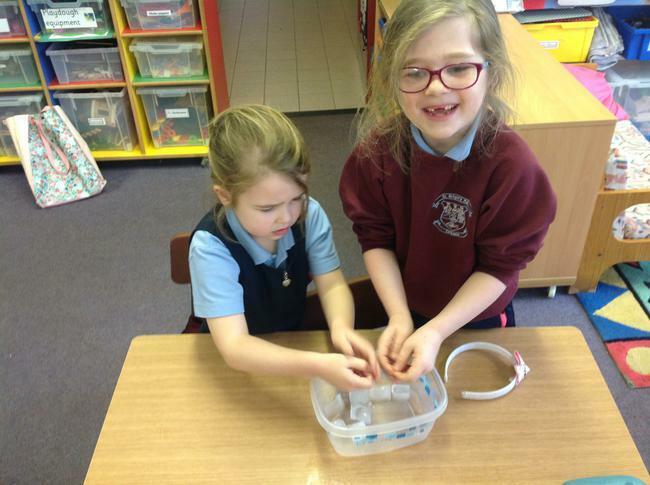 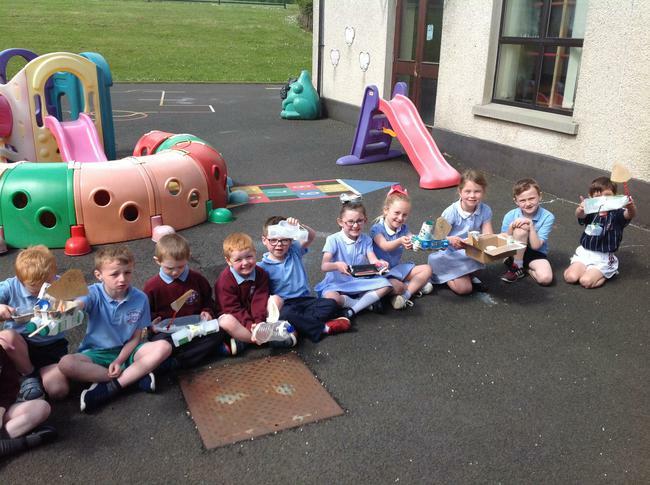 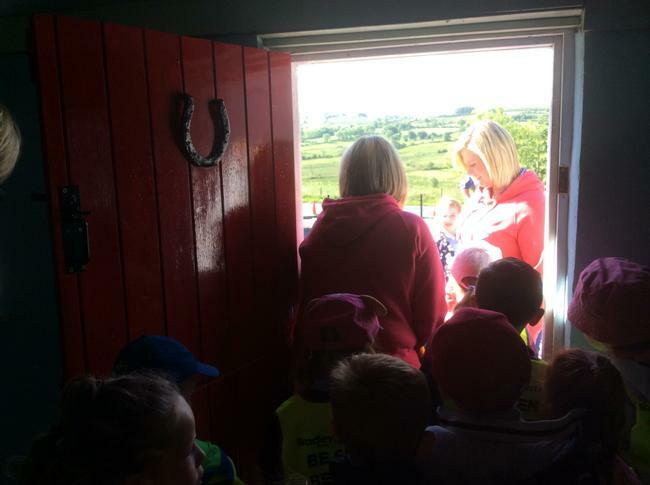 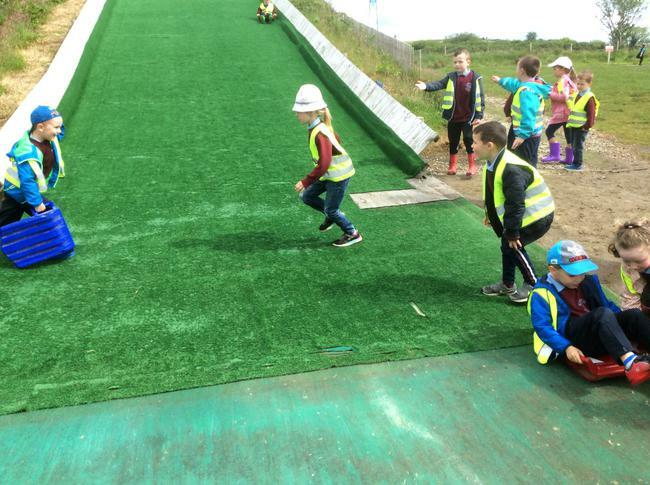 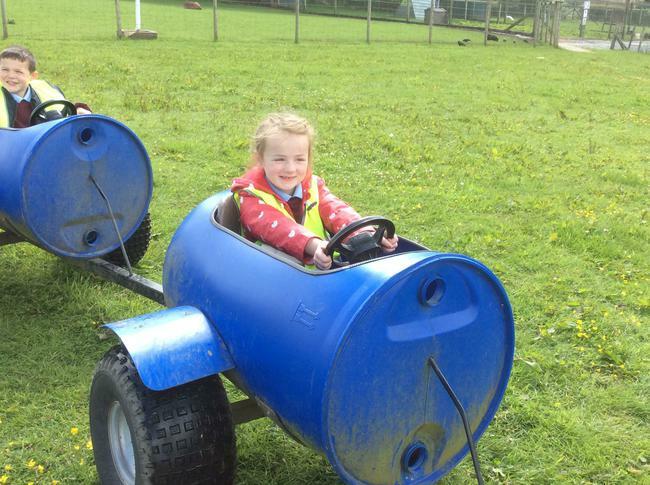 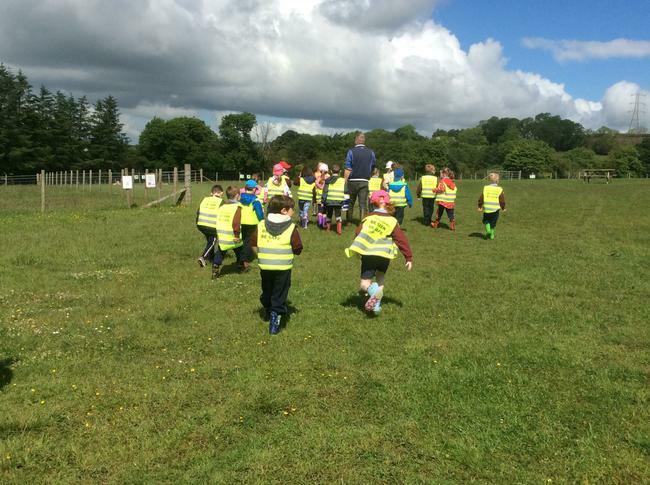 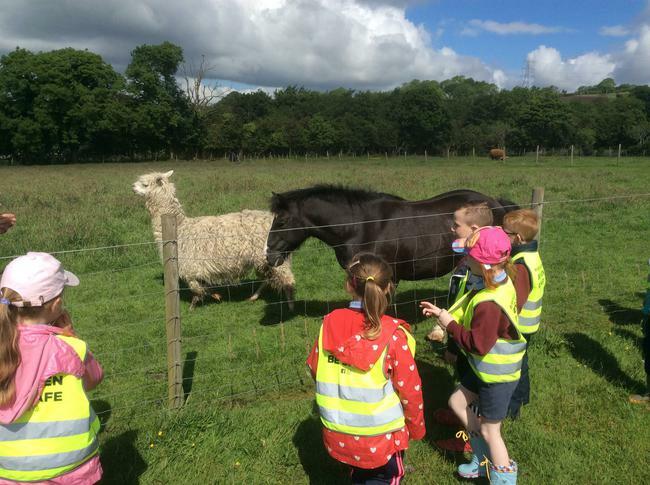 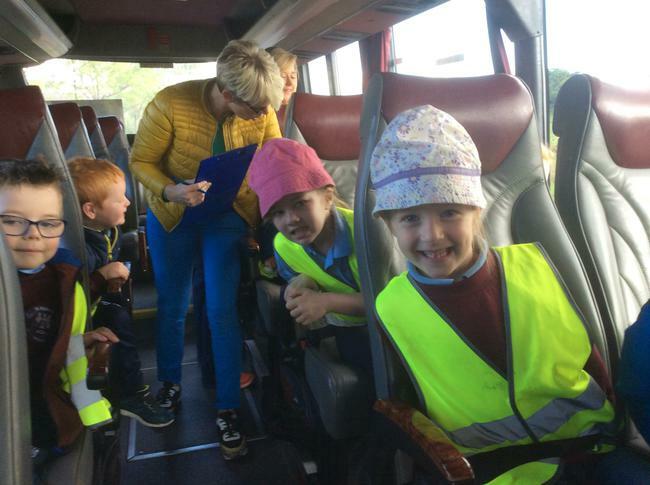 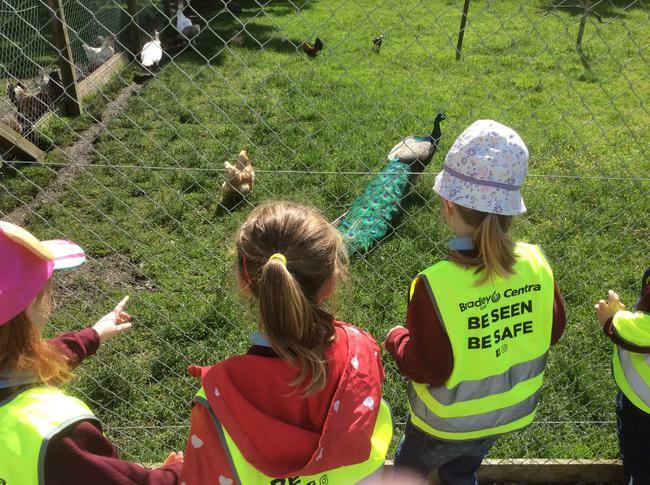 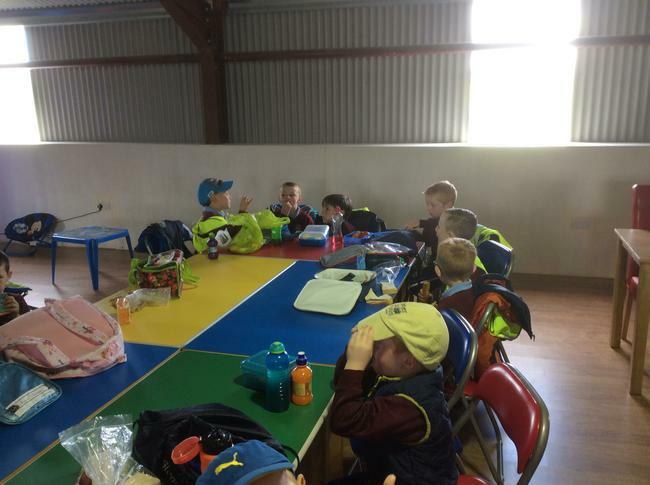 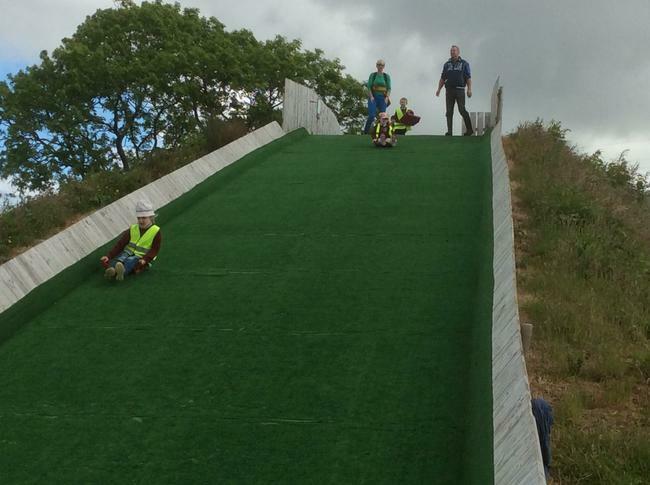 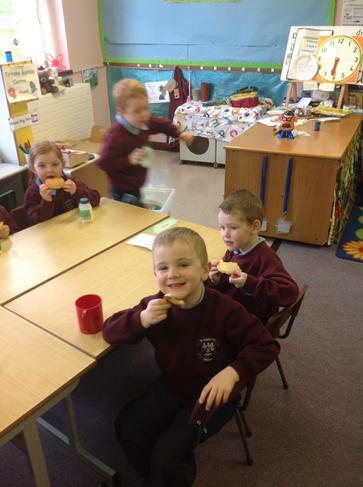 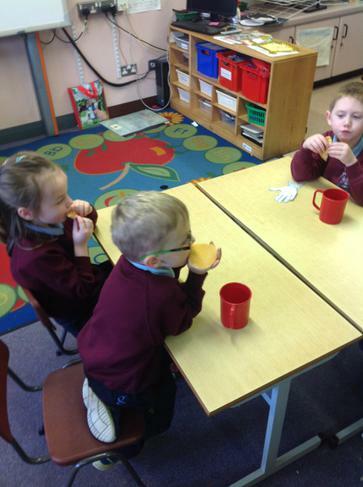 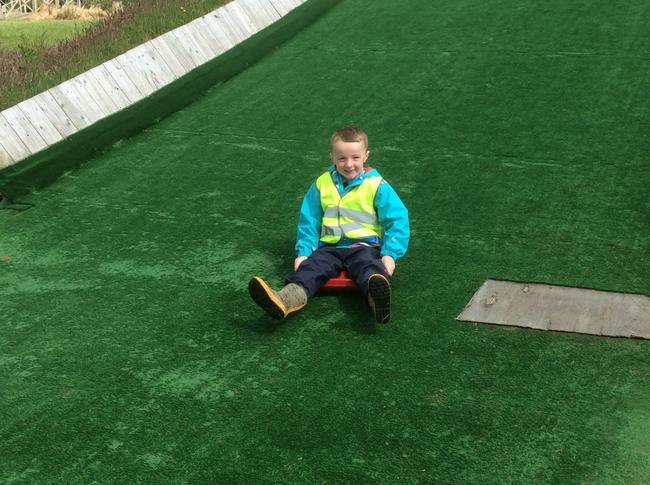 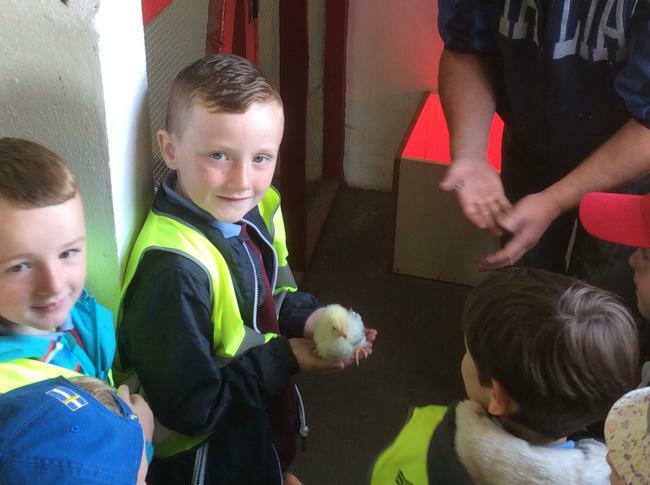 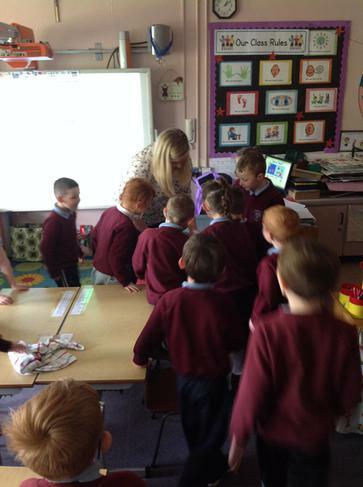 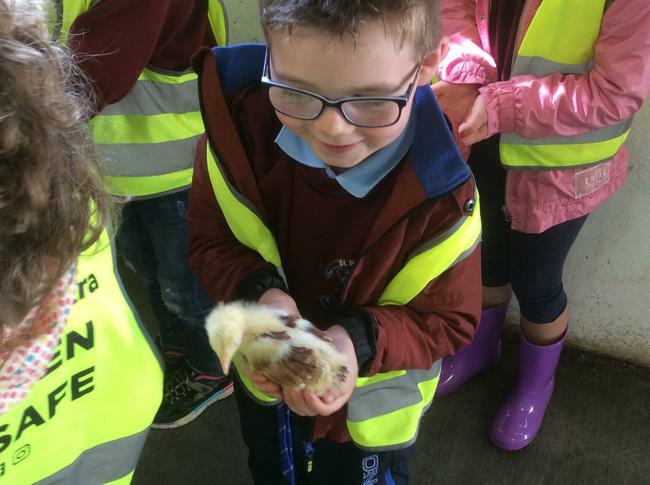 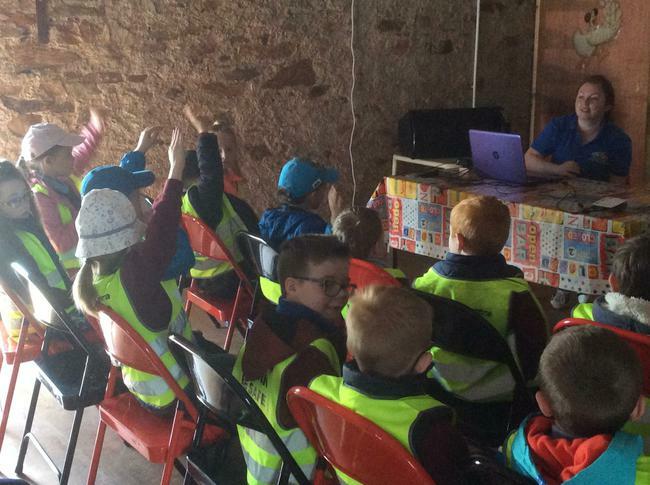 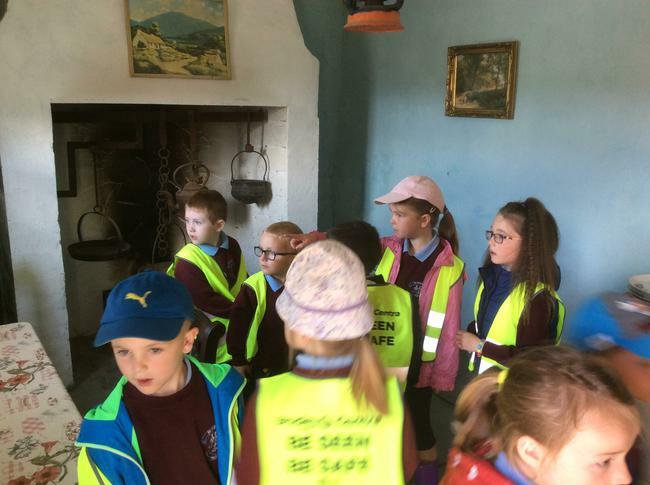 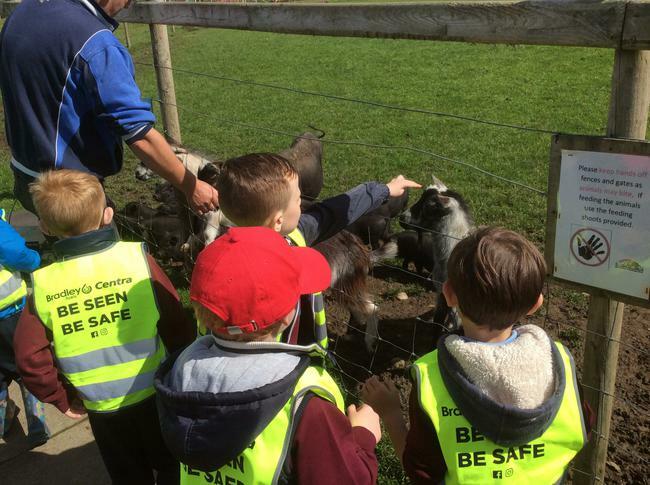 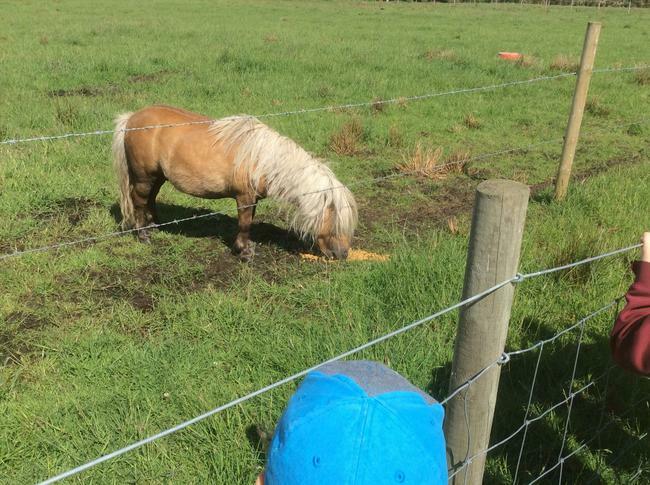 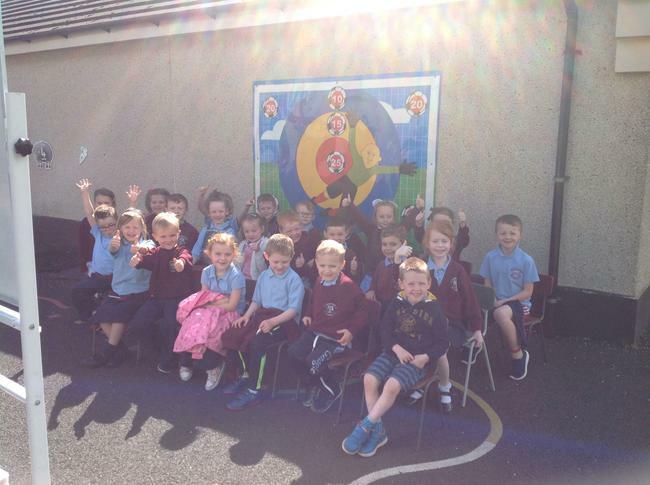 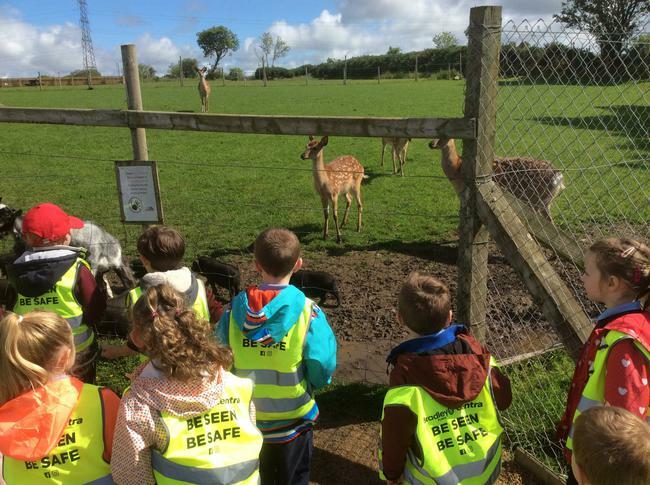 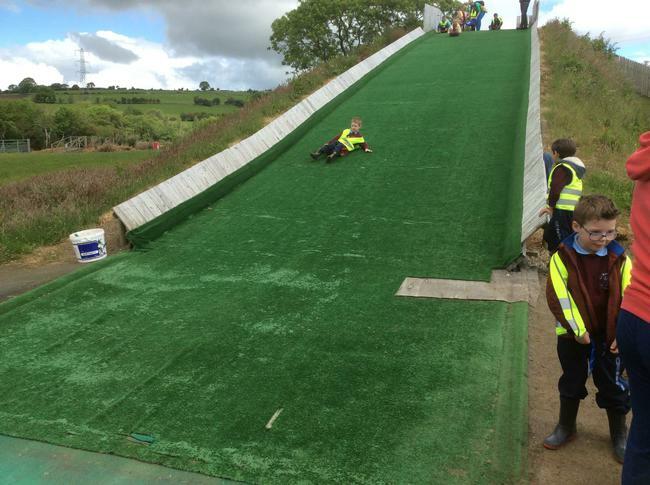 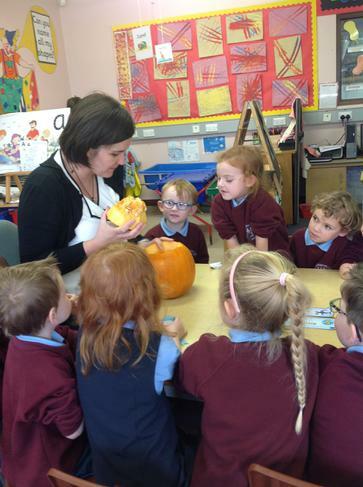 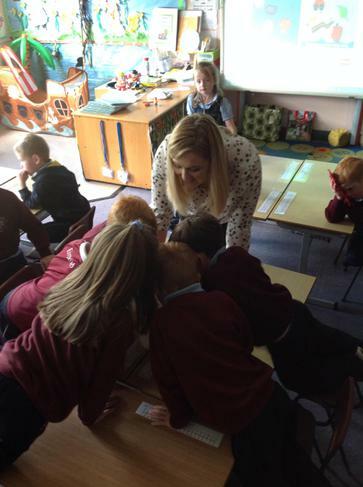 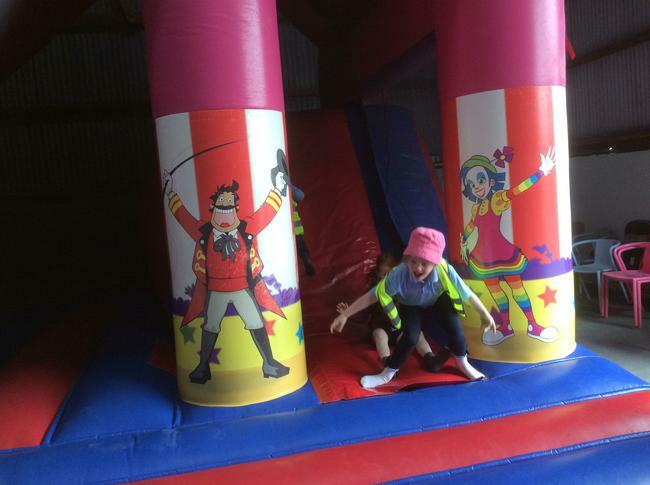 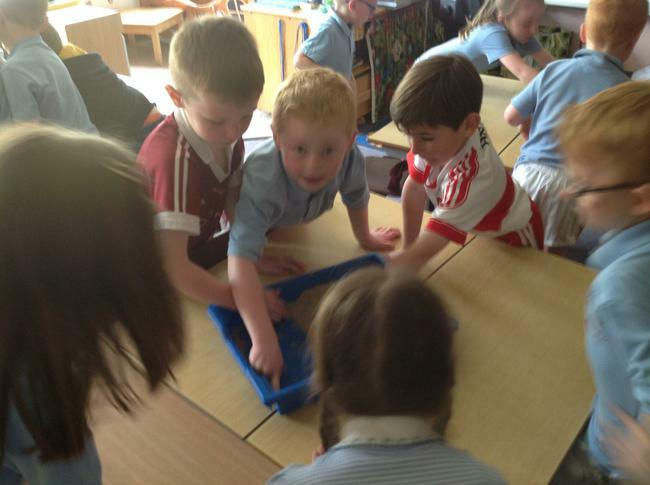 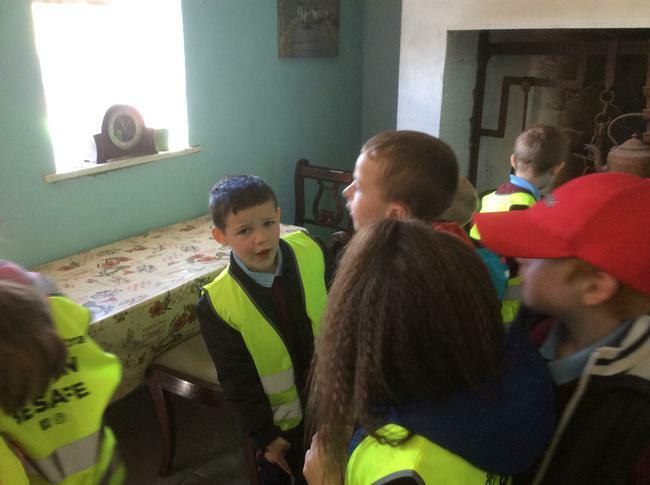 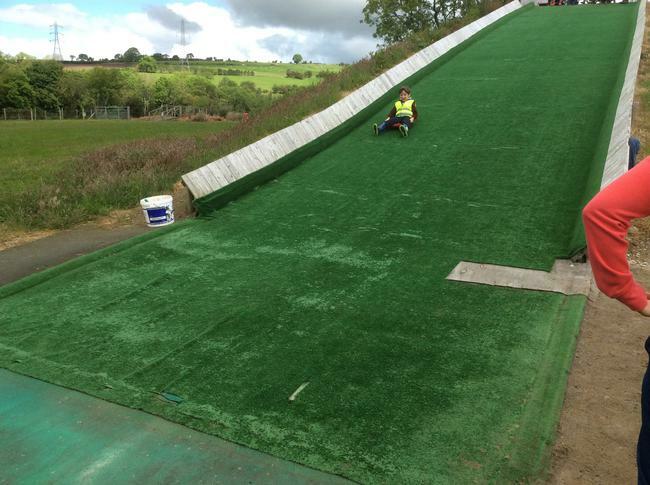 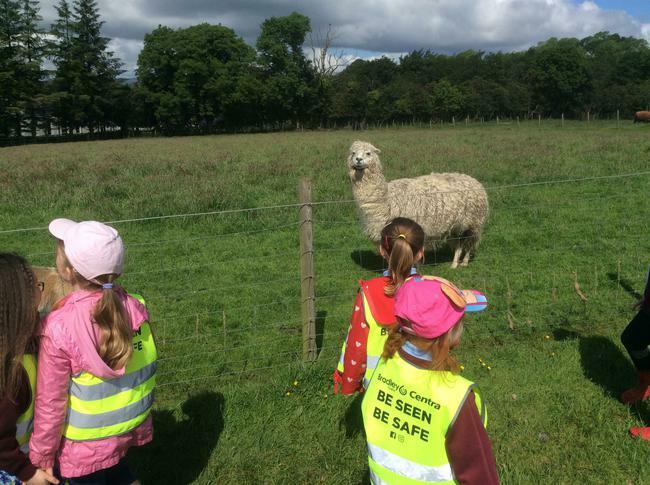 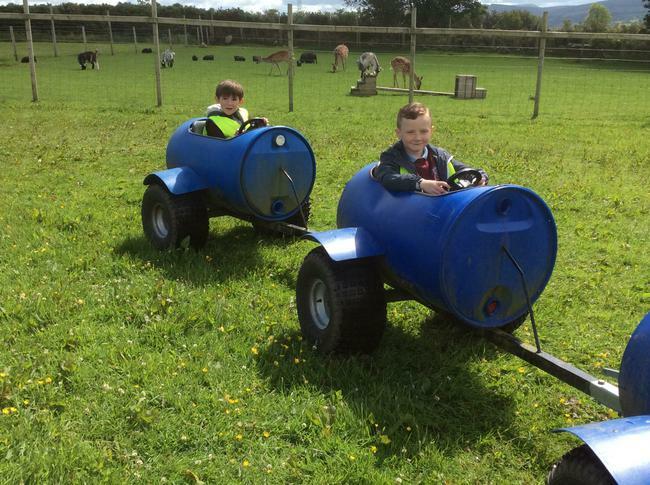 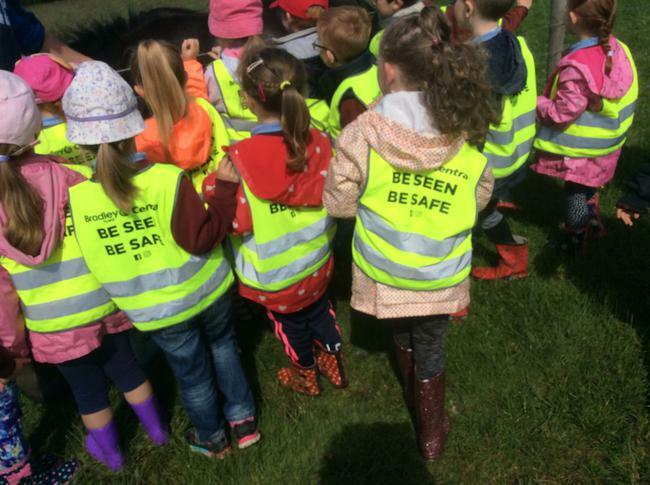 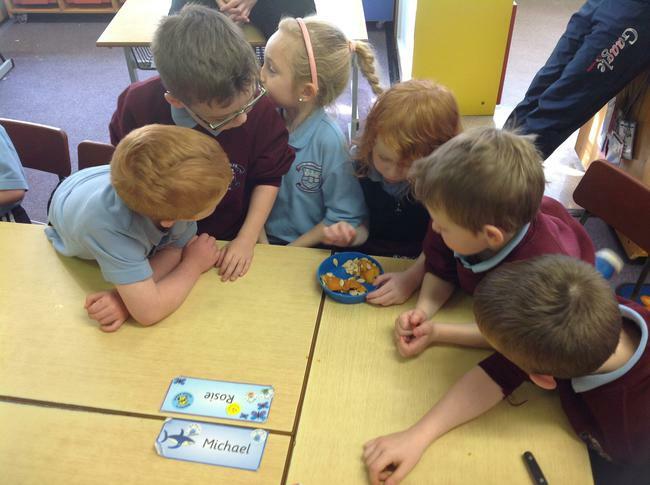 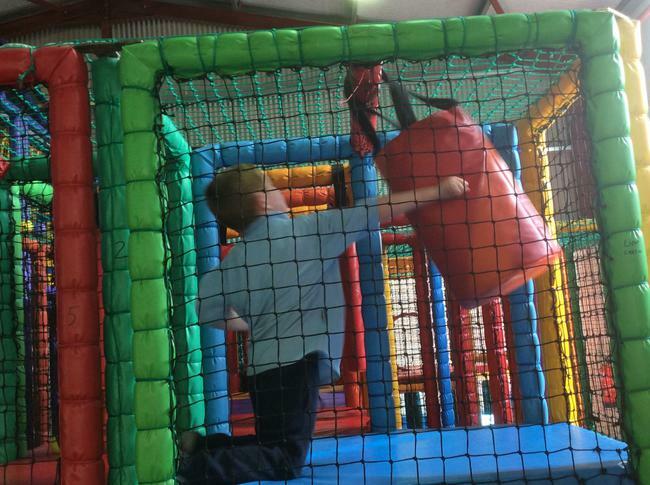 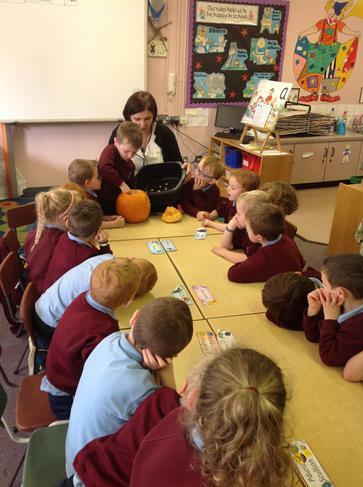 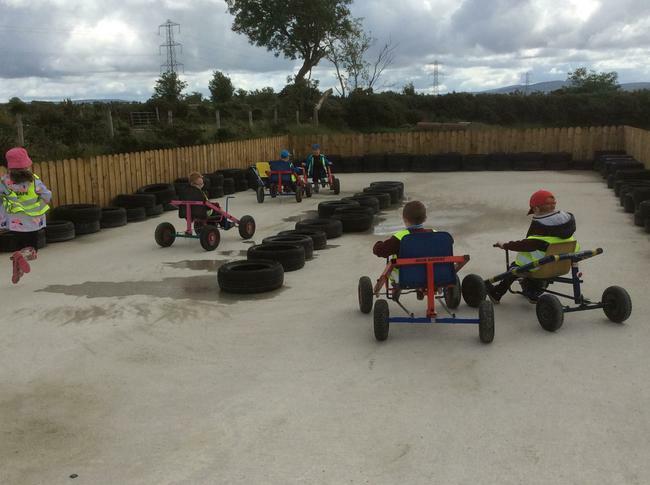 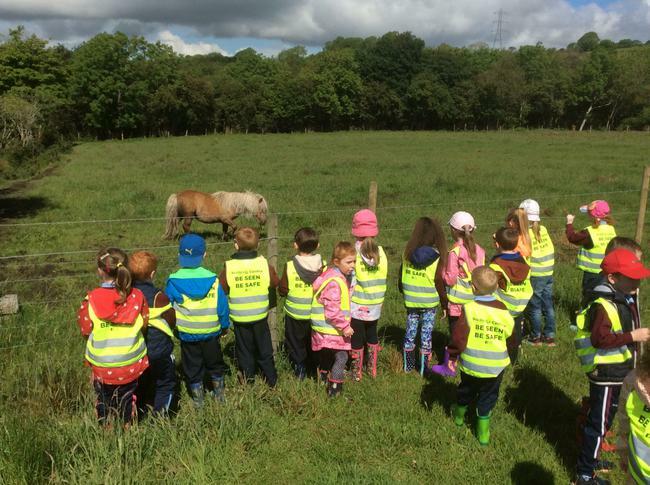 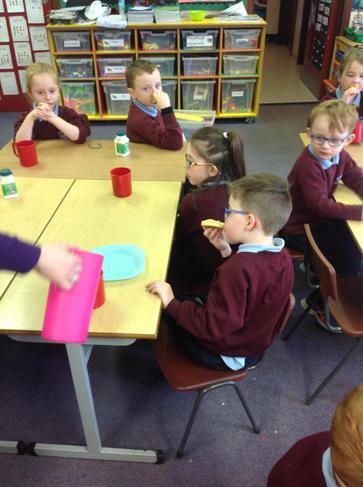 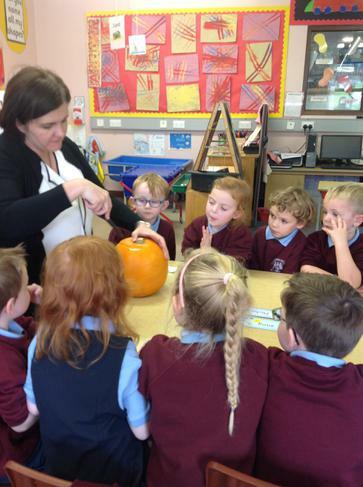 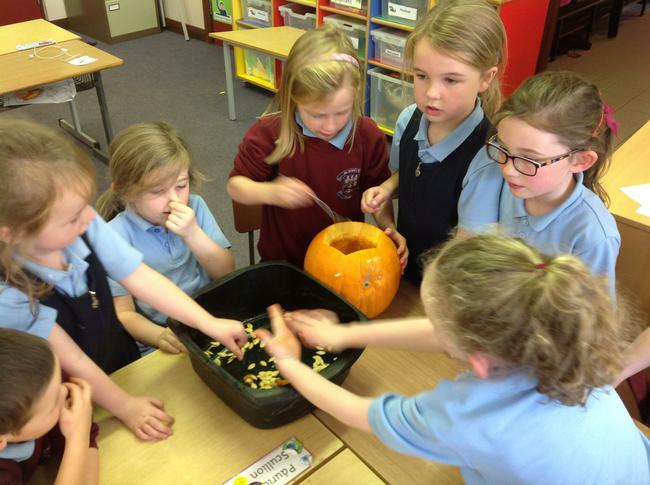 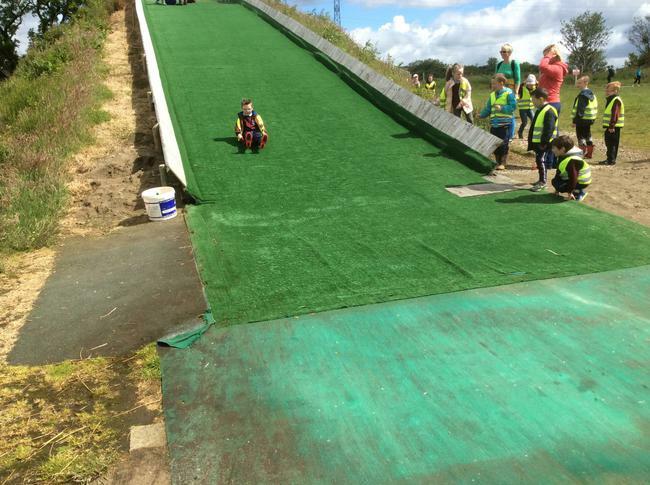 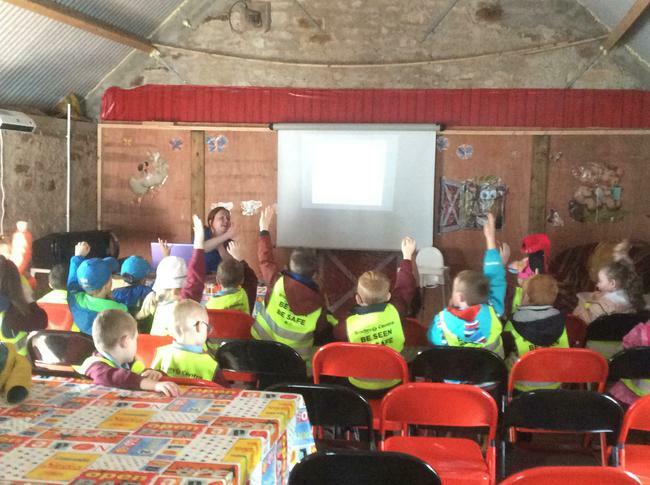 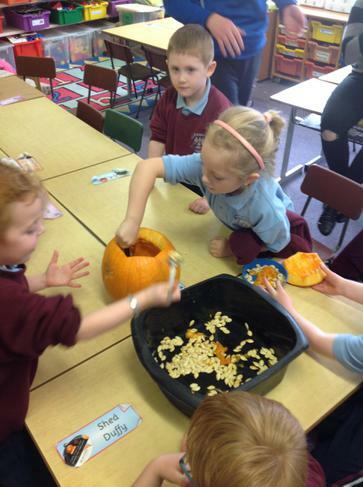 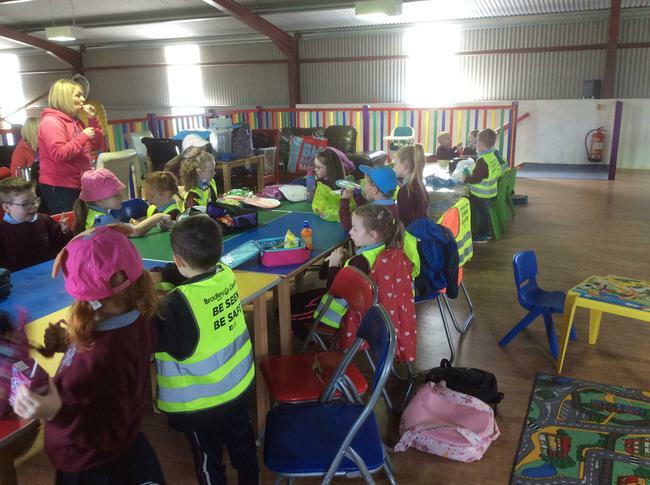 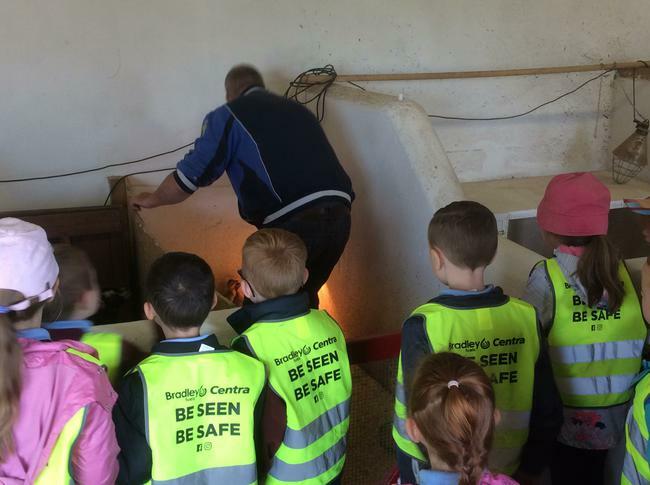 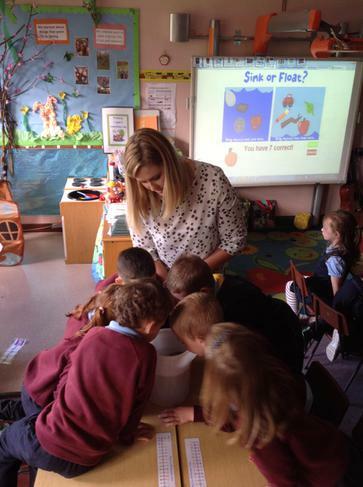 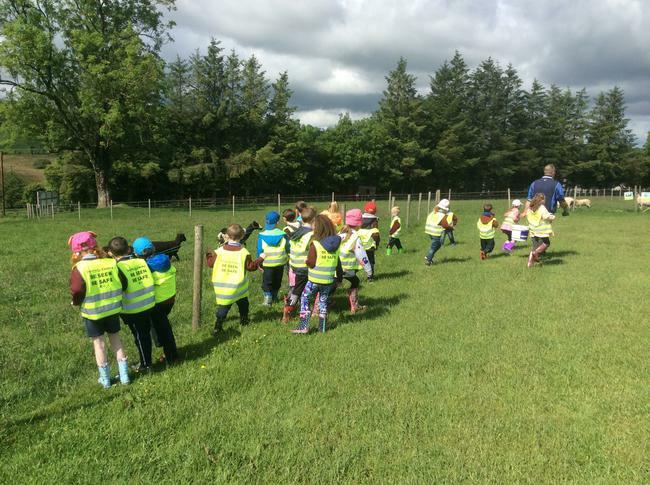 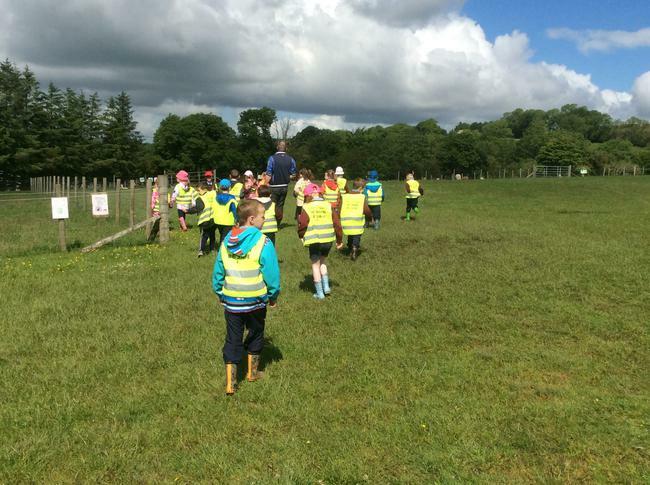 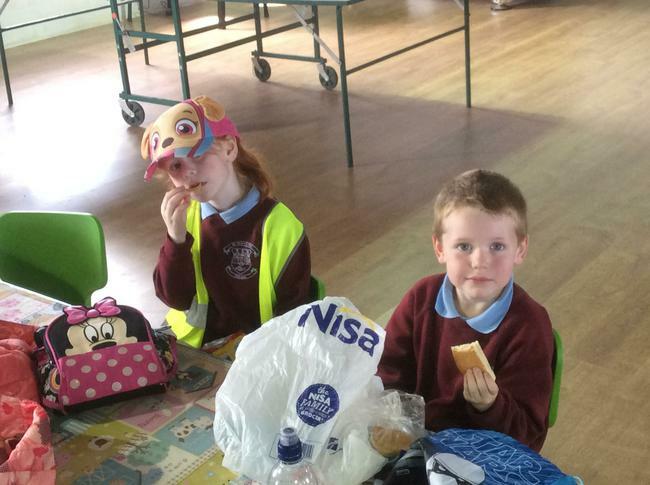 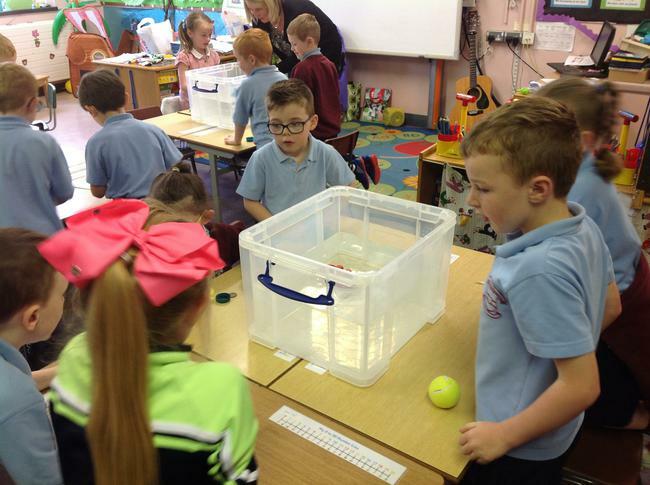 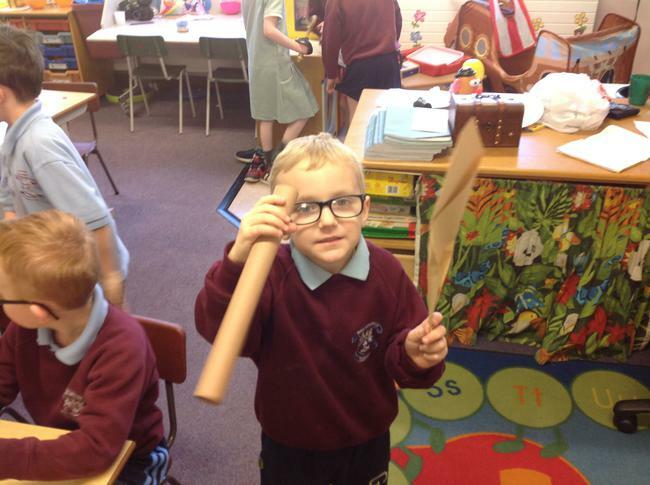 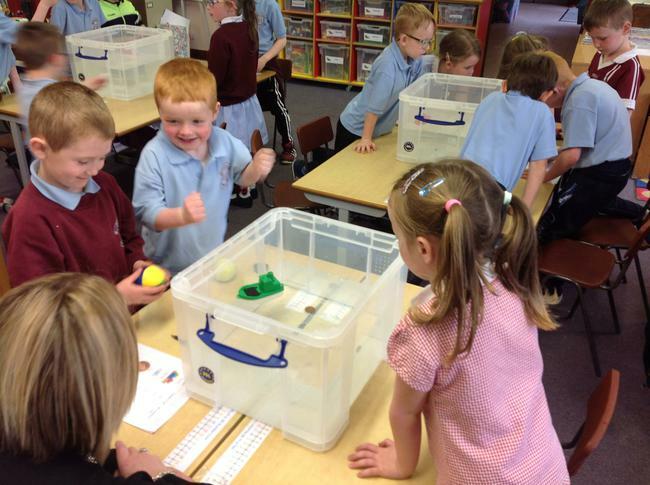 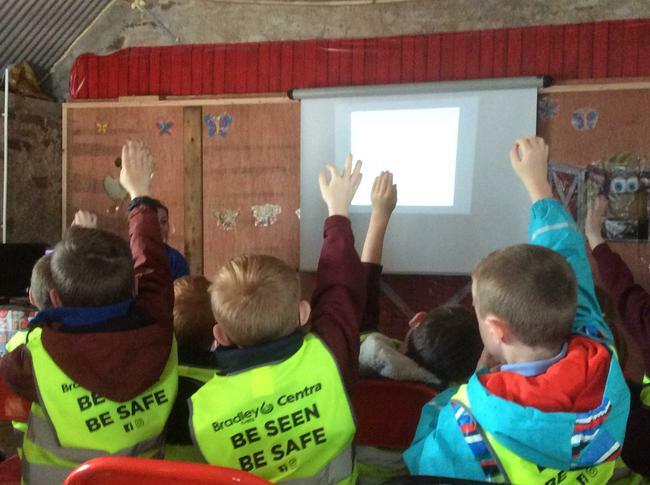 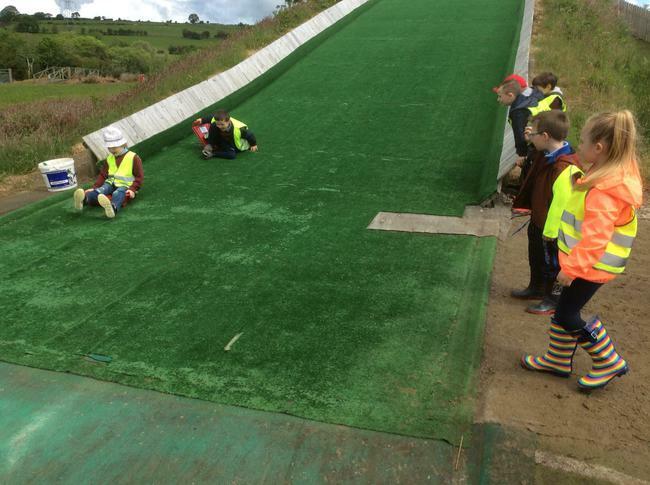 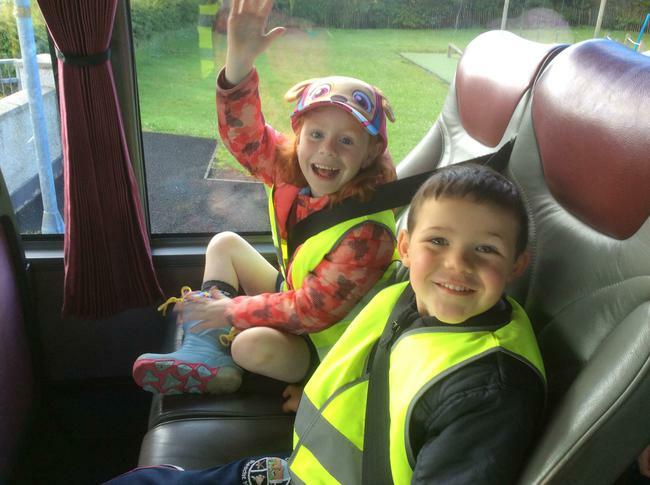 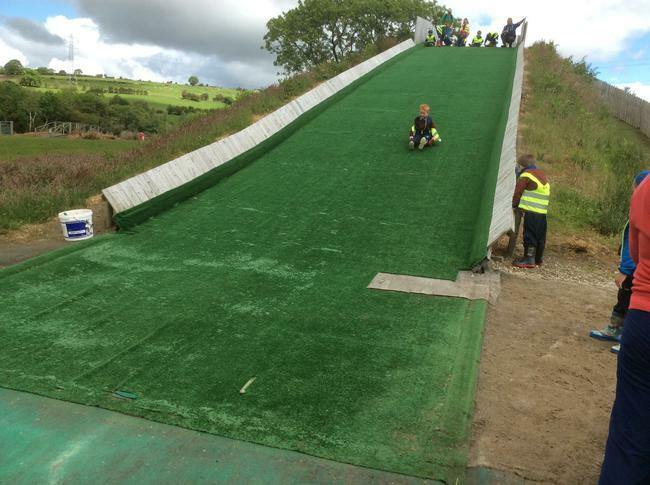 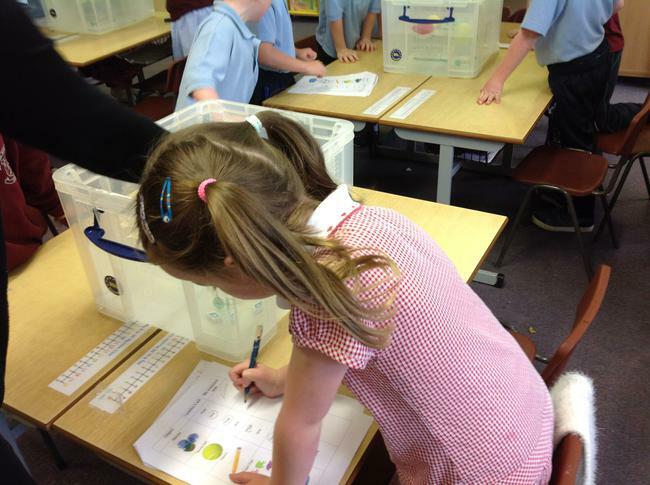 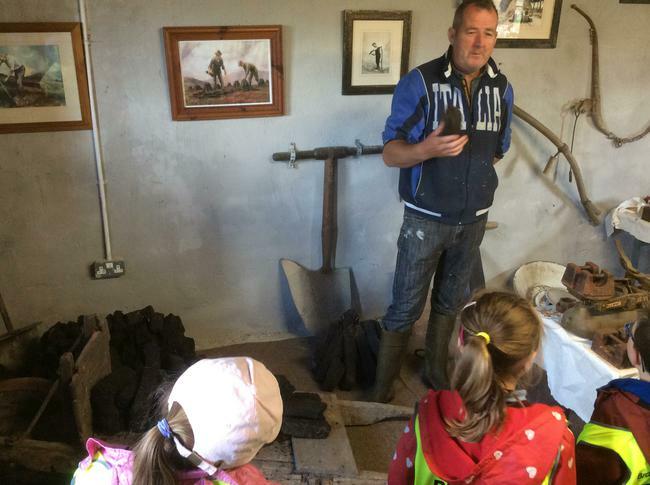 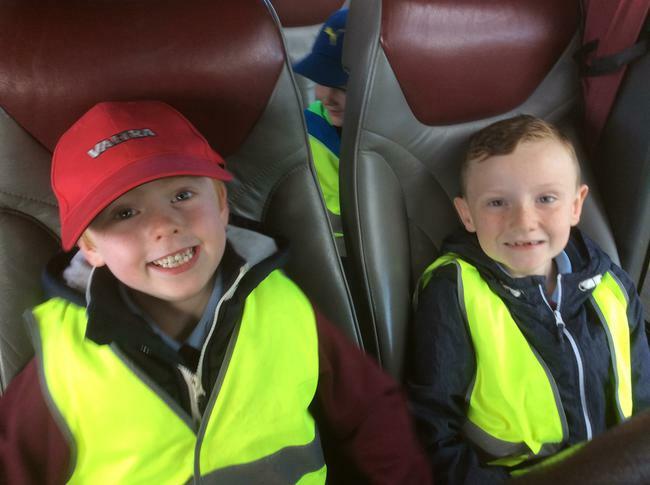 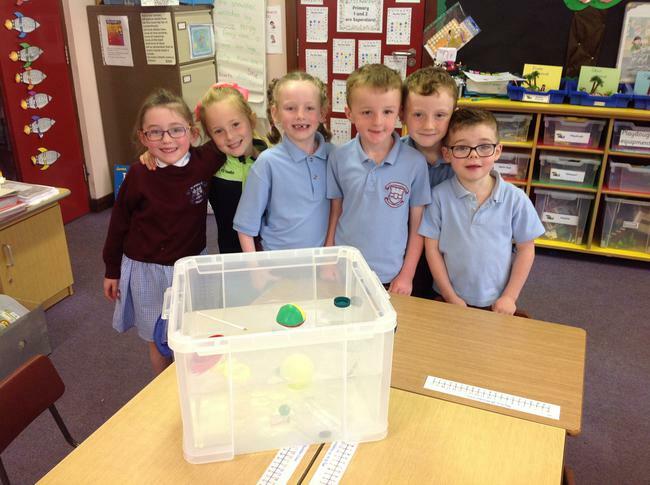 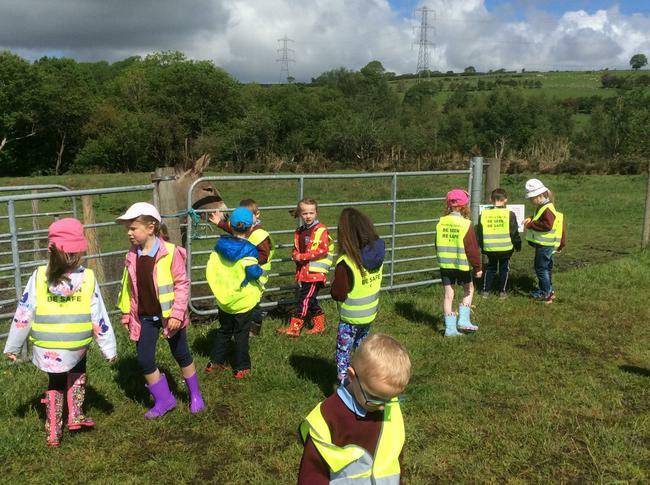 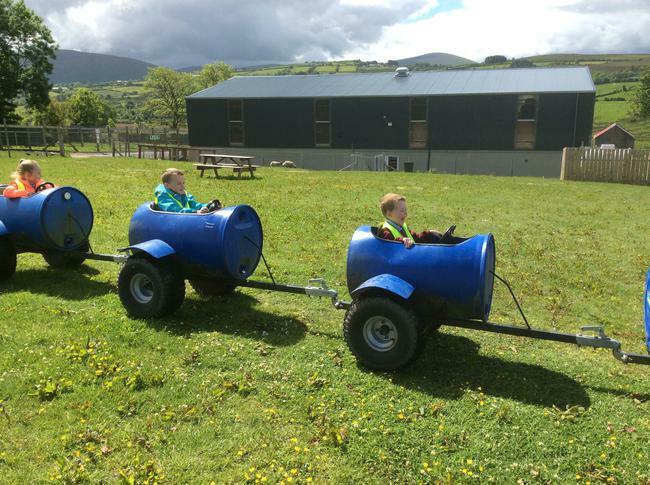 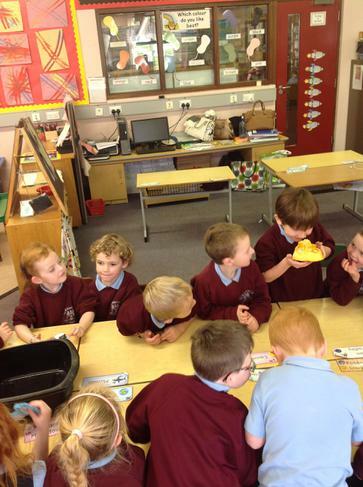 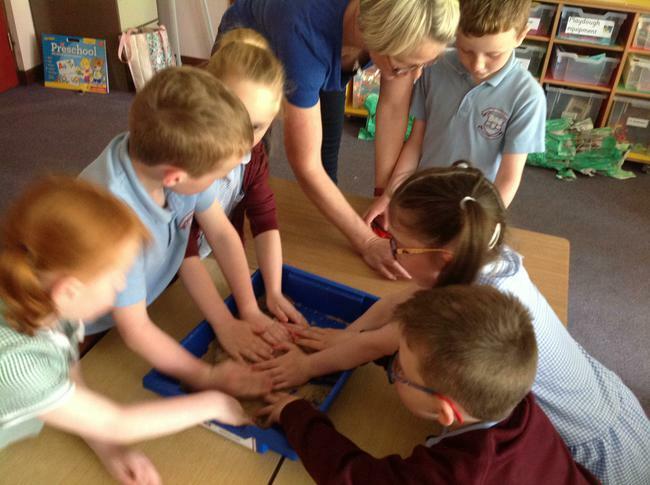 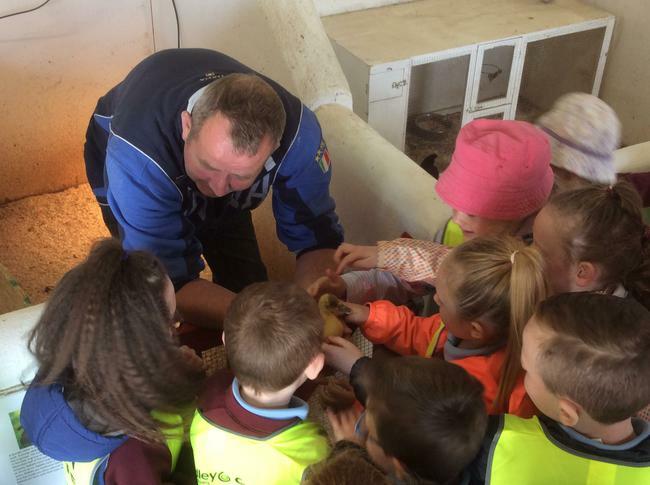 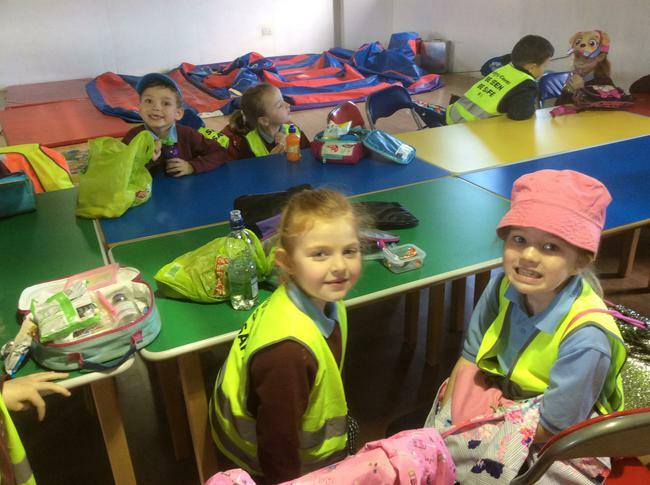 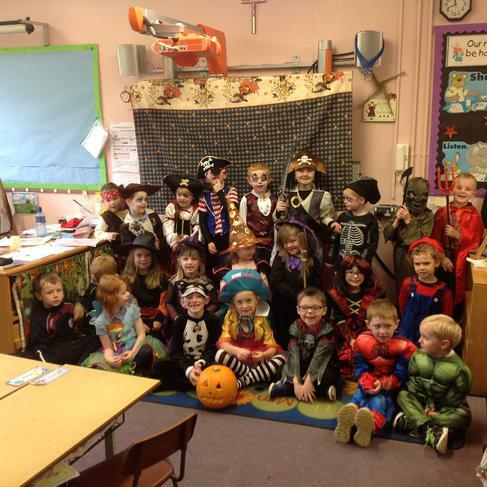 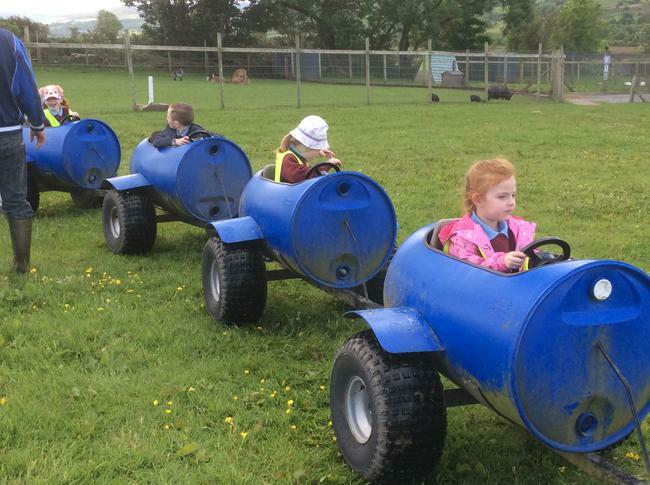 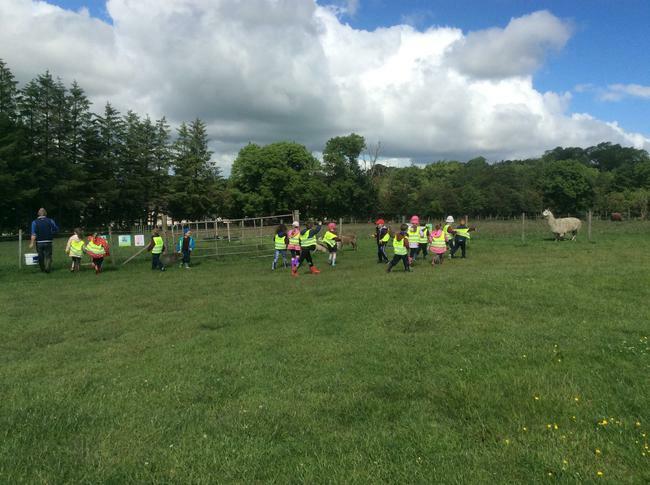 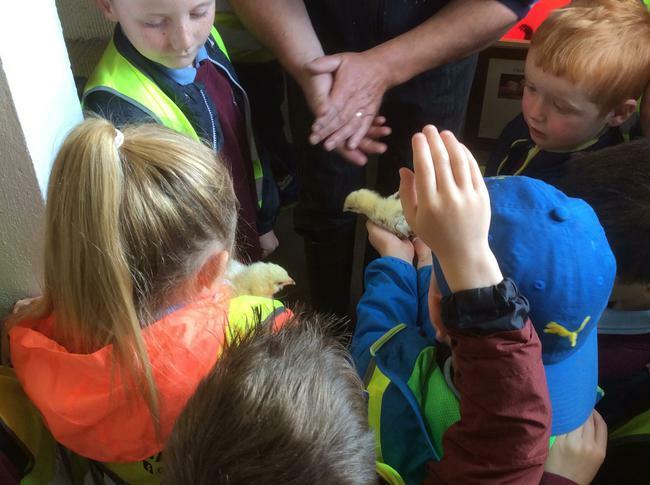 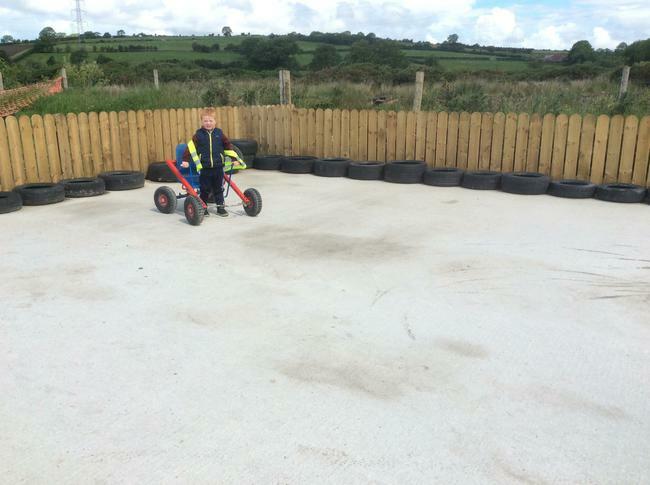 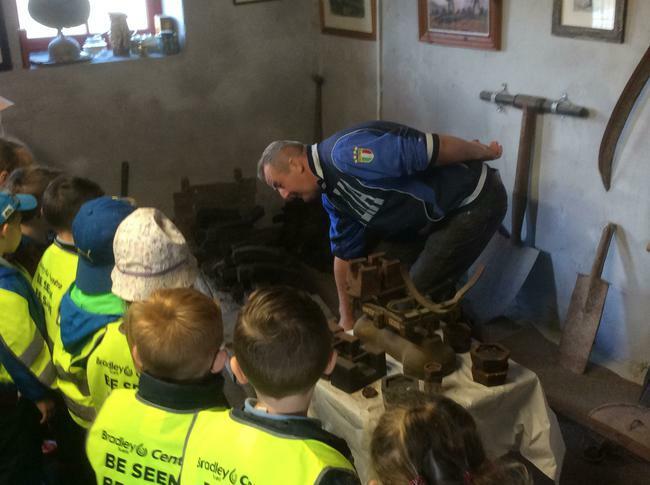 Primary 1 and 2 had an absolutely brilliant time at Sperrin Fun Farm on their school trip! 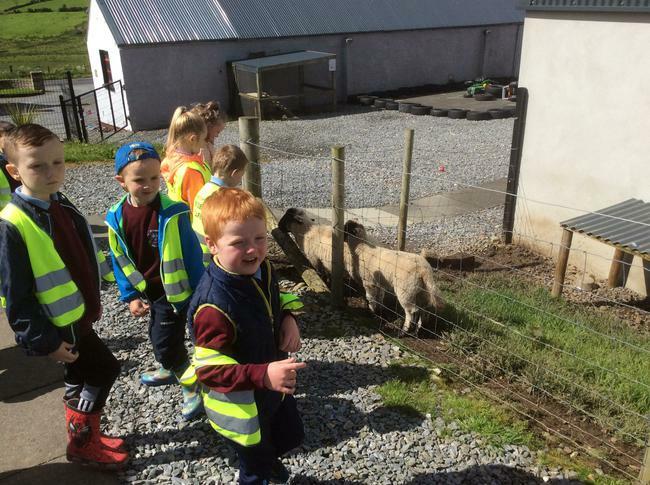 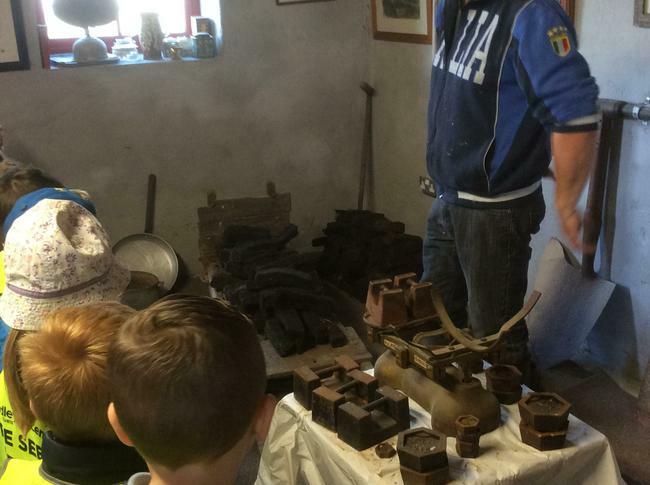 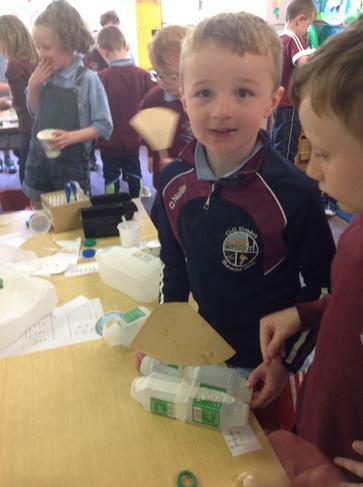 They learned all about the different animals on the farm and the many jobs the farmer has to do to look after the animals and the land. 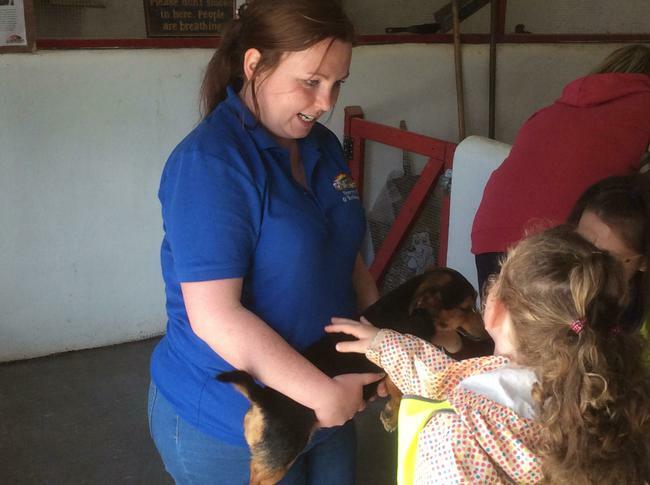 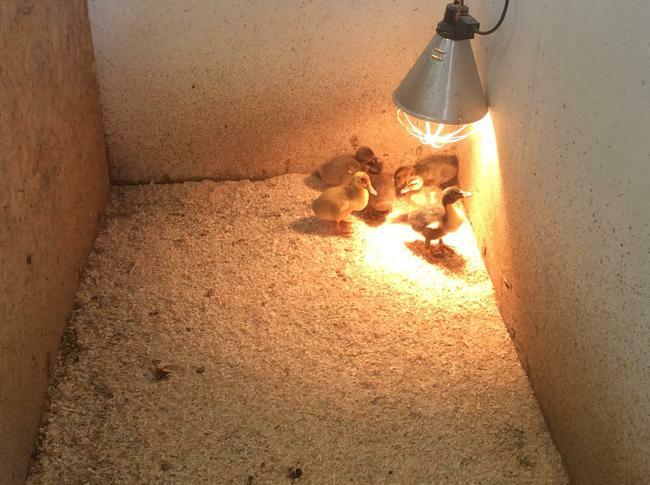 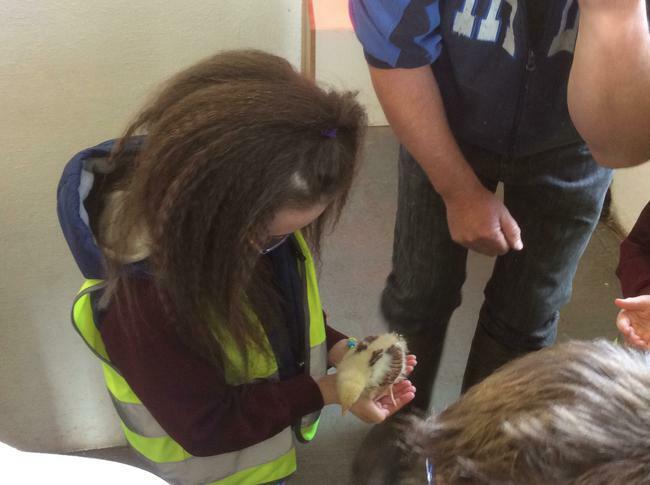 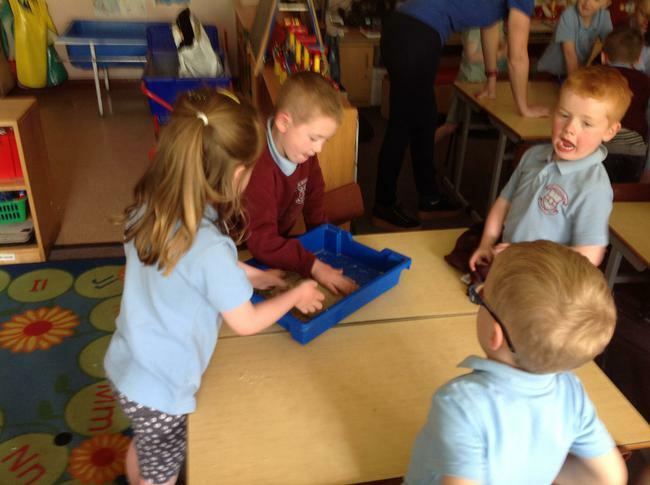 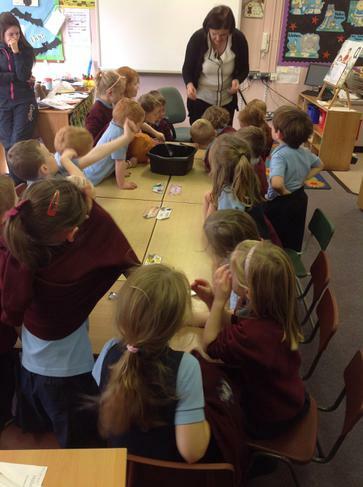 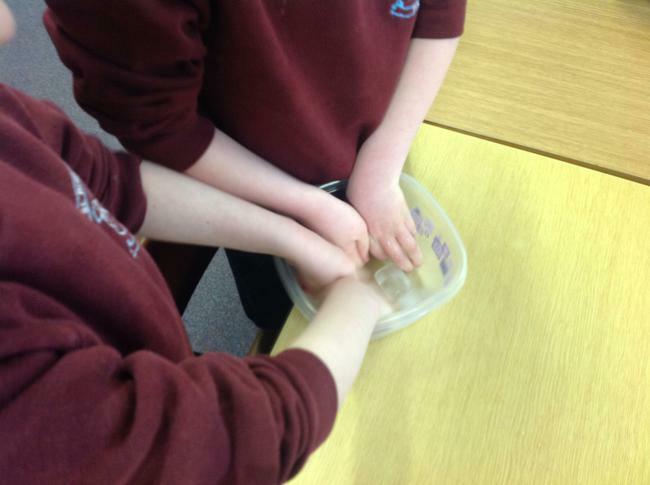 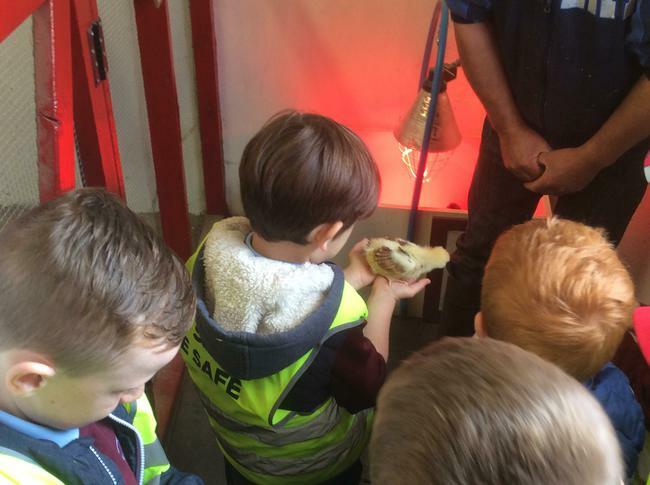 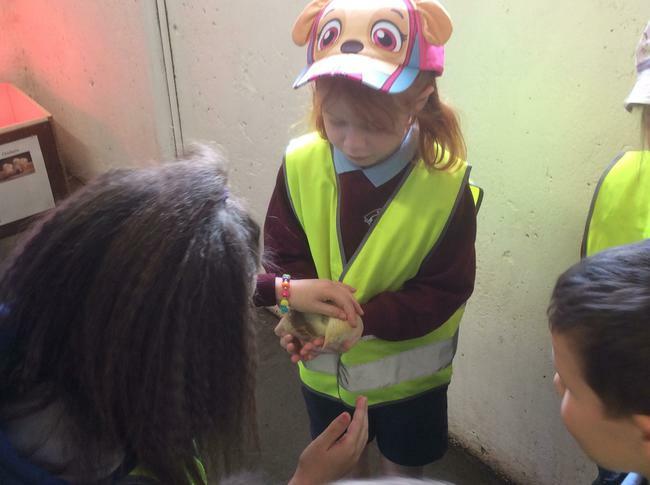 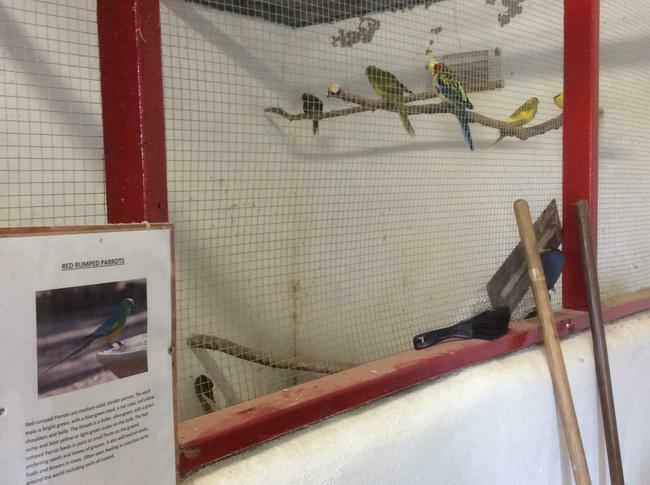 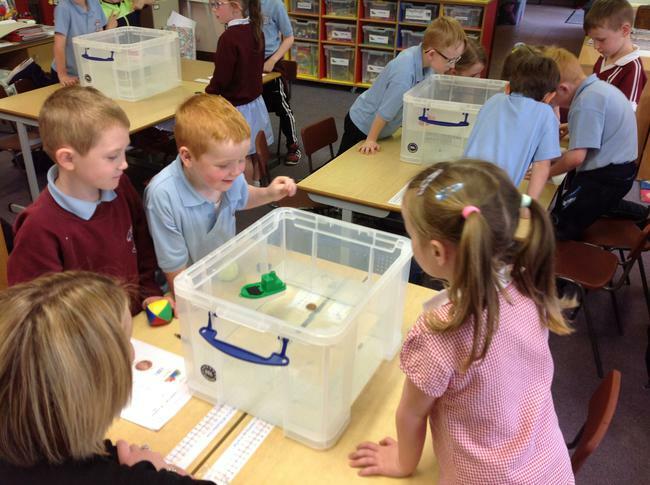 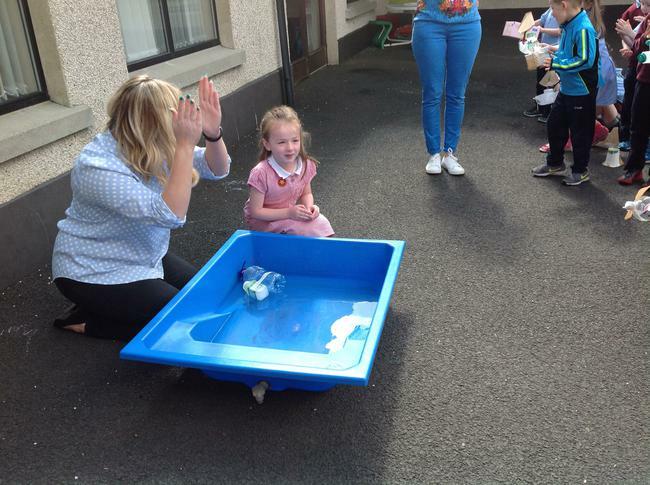 The children loved meeting all the animals and they even got to hold and pet some of them! 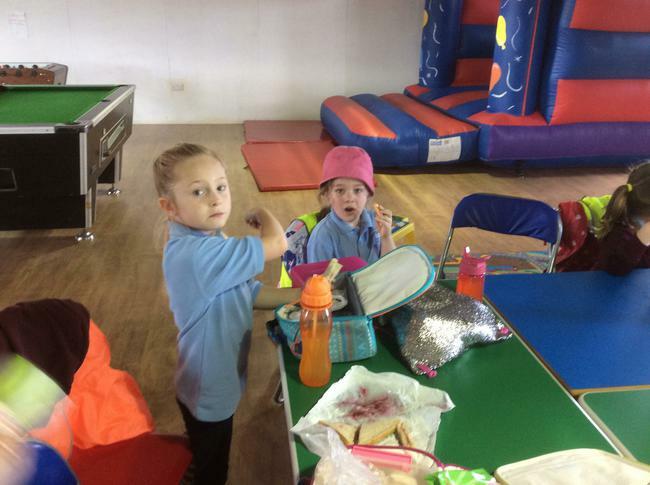 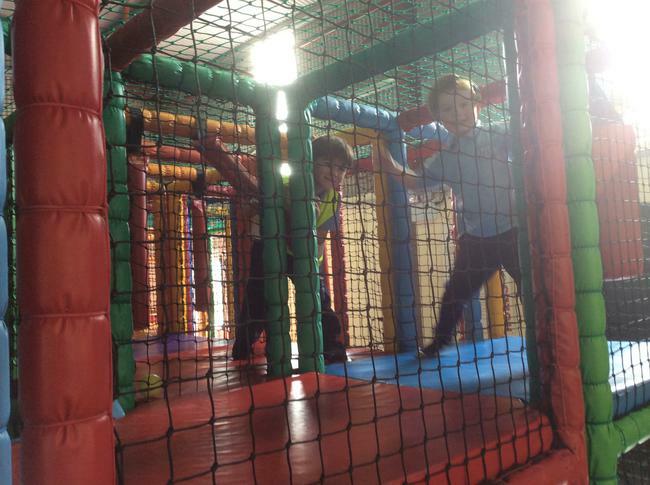 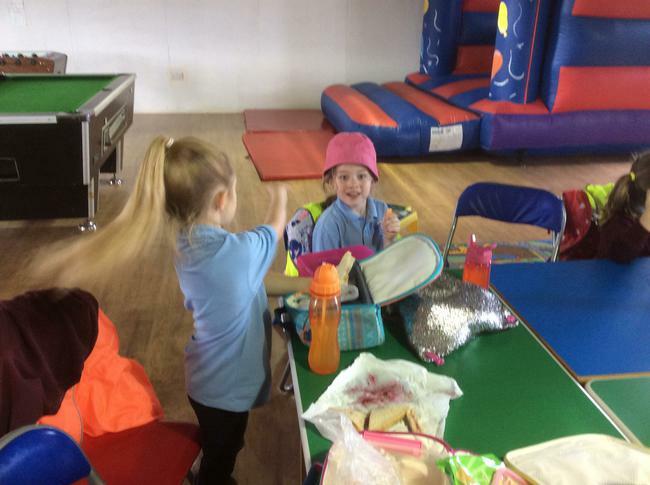 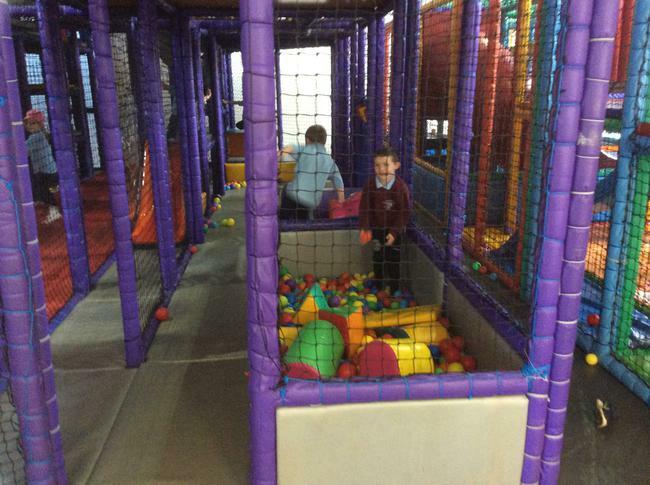 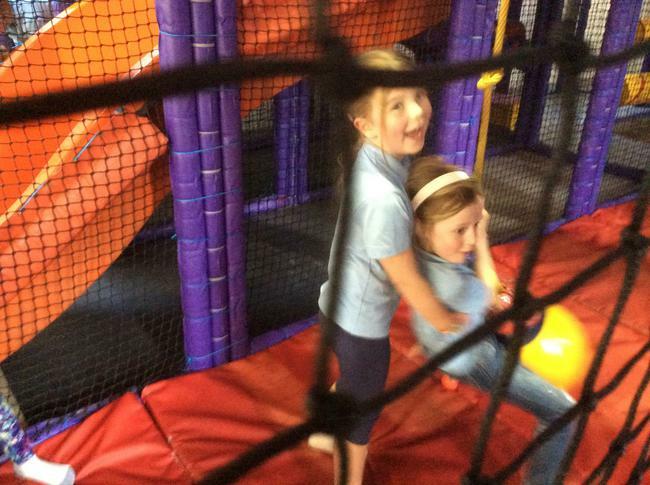 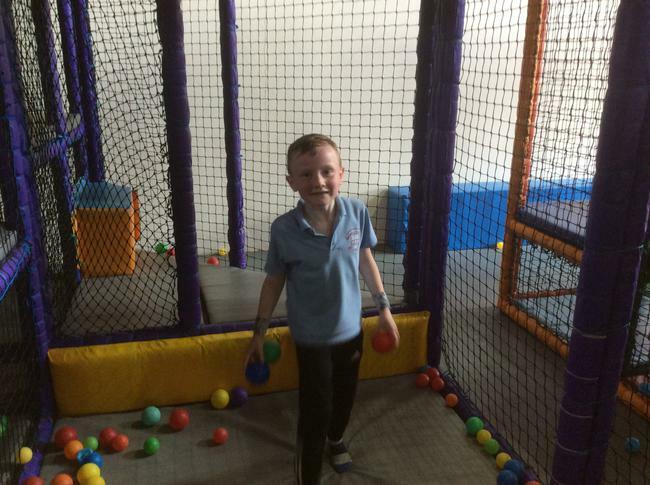 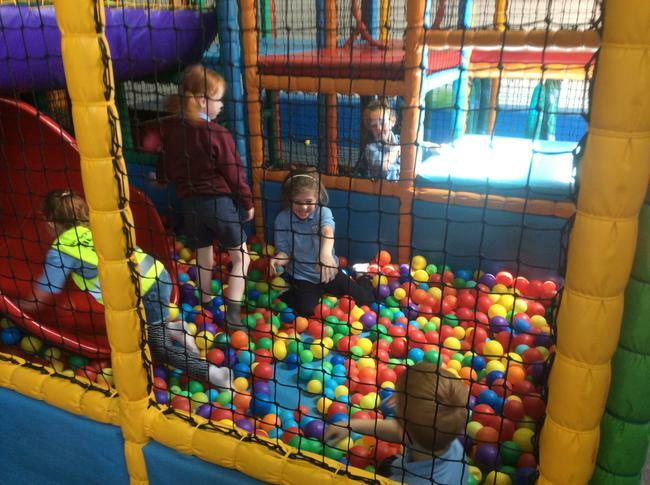 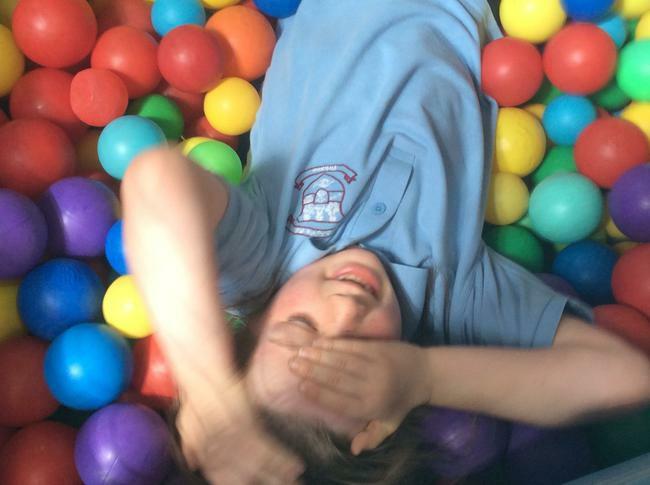 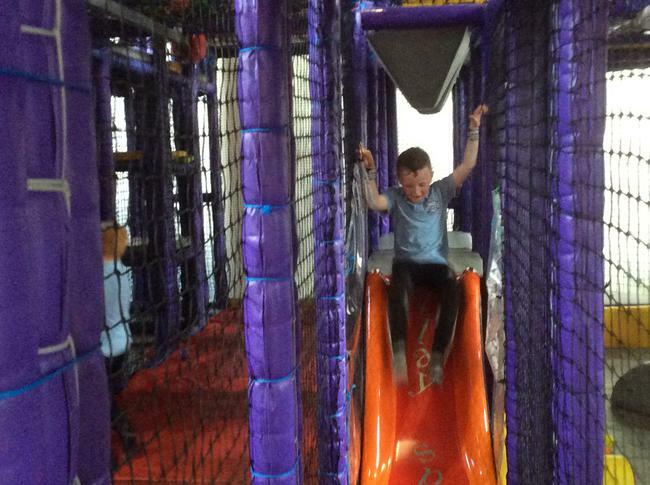 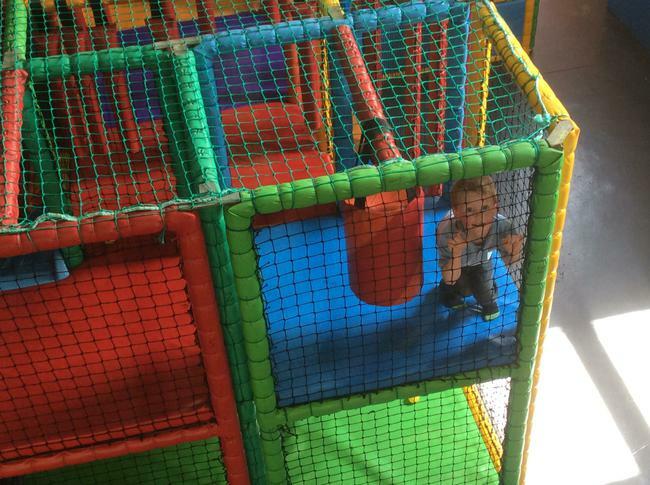 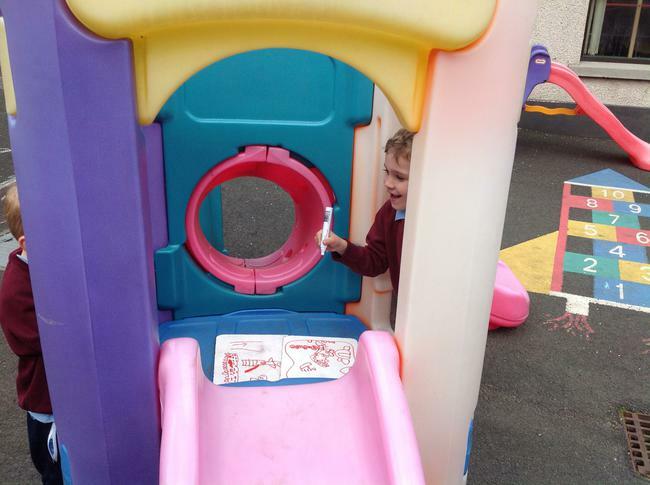 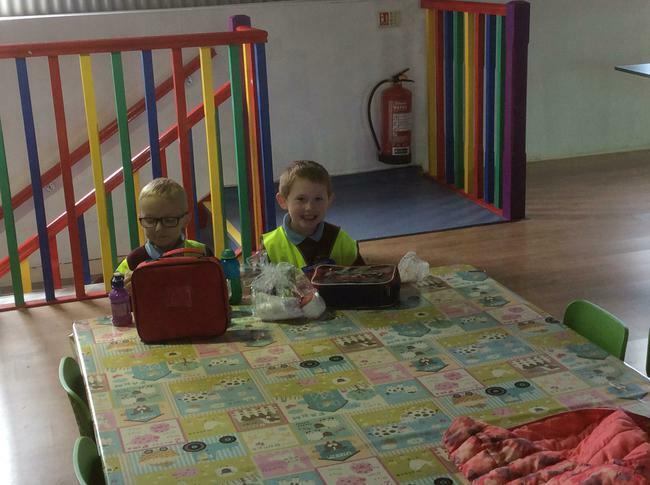 They enjoyed playing outside on the slide and all the outdoor equipment, and indoors in the soft play area and the bouncy castle. 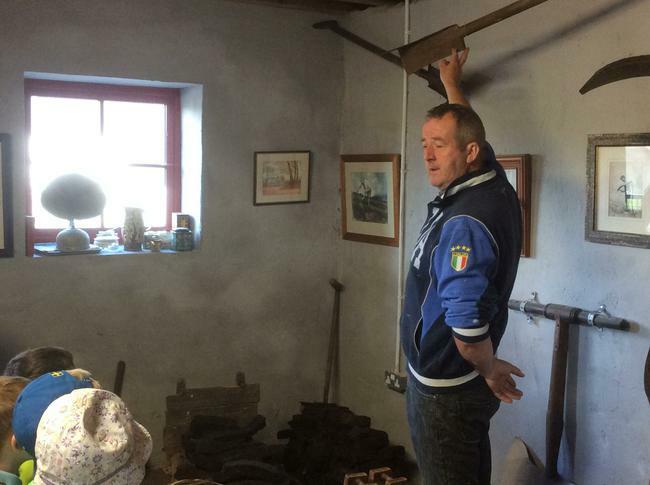 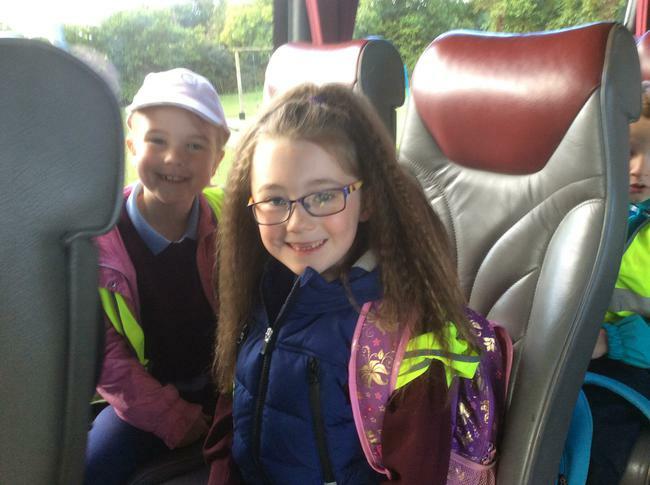 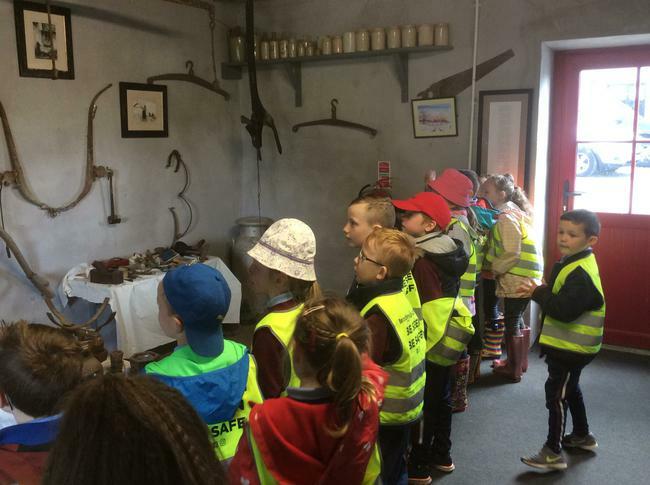 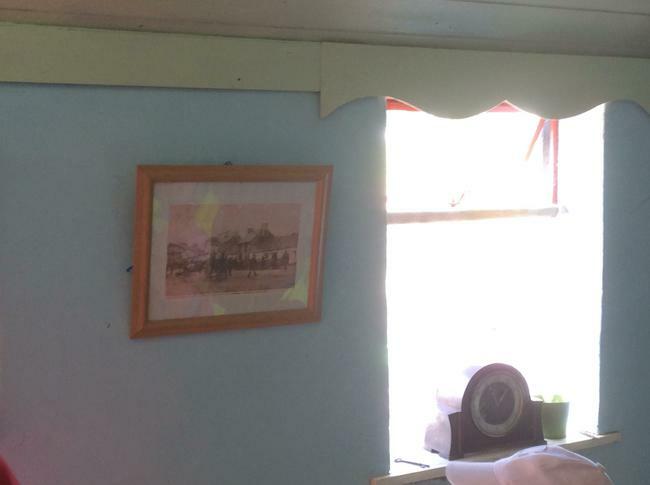 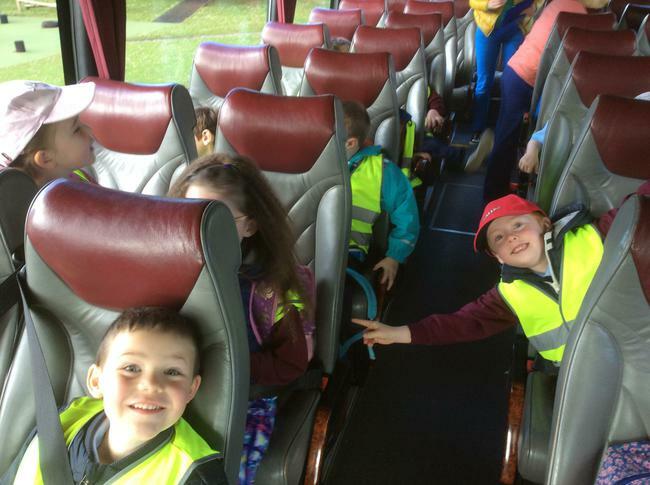 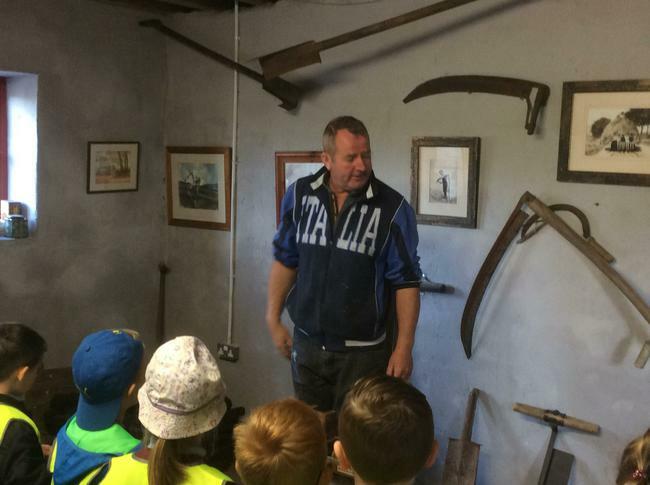 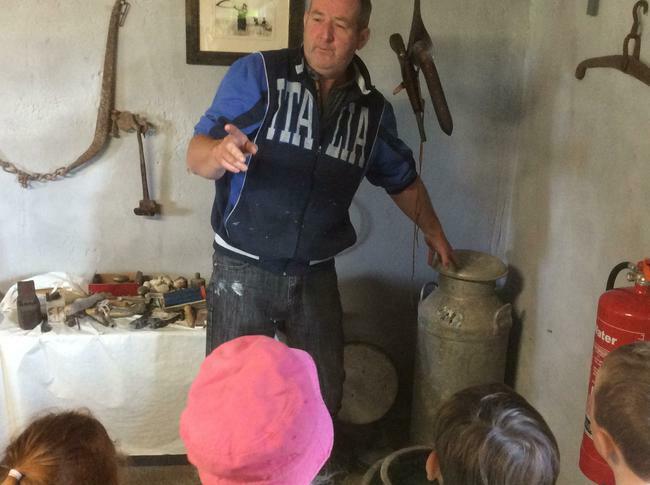 We would all like to say a huge thank you to our wonderful bus driver John, and the fantastic staff at Sperrin Fun Farm, who made our trip so enjoyable. 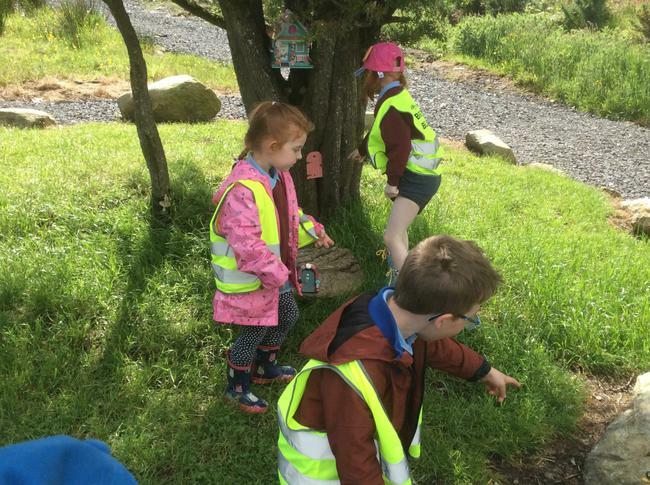 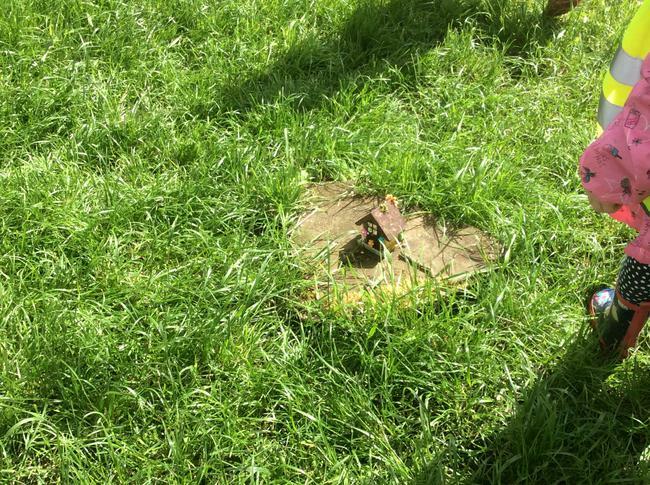 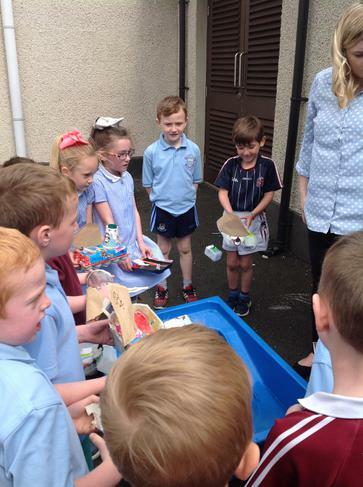 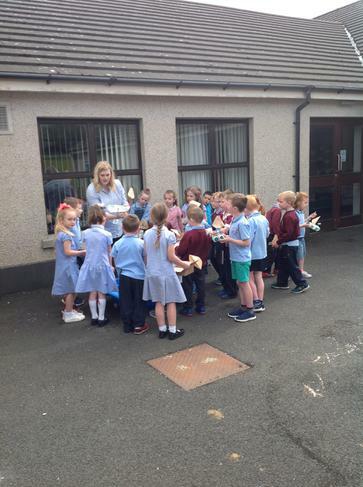 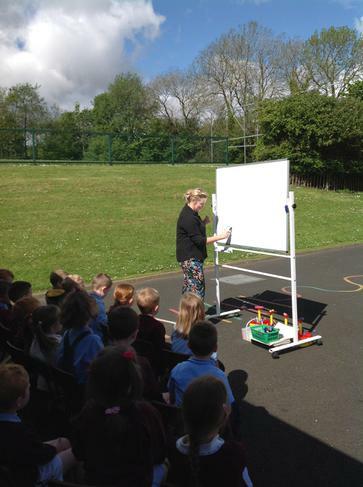 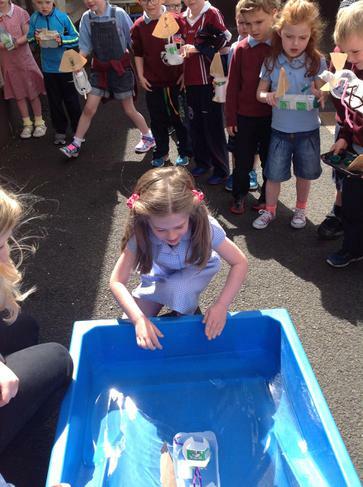 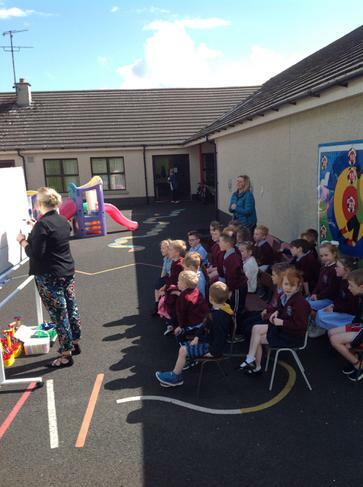 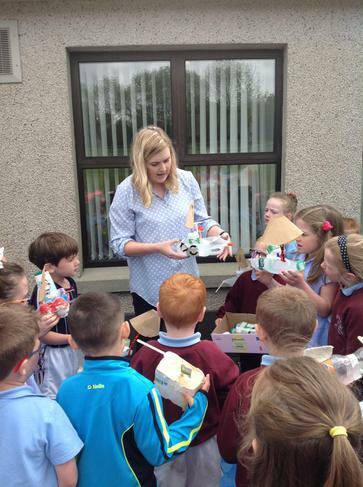 Thursday 18th May marked Outdoor Classroom Day. 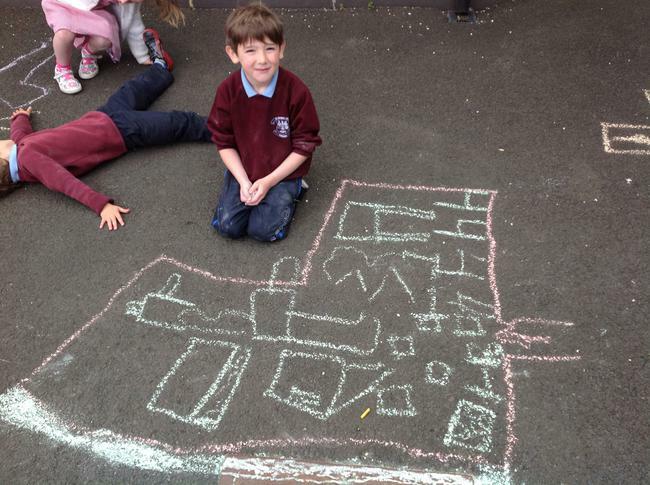 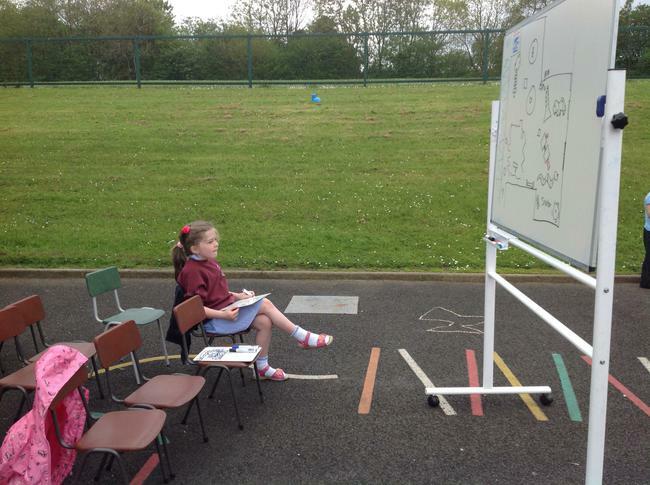 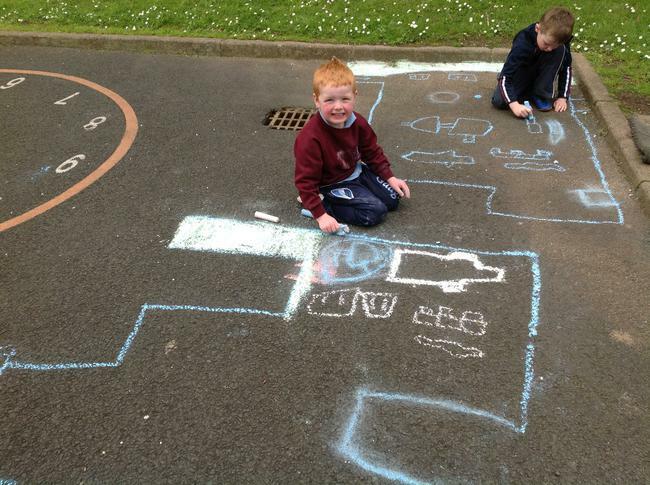 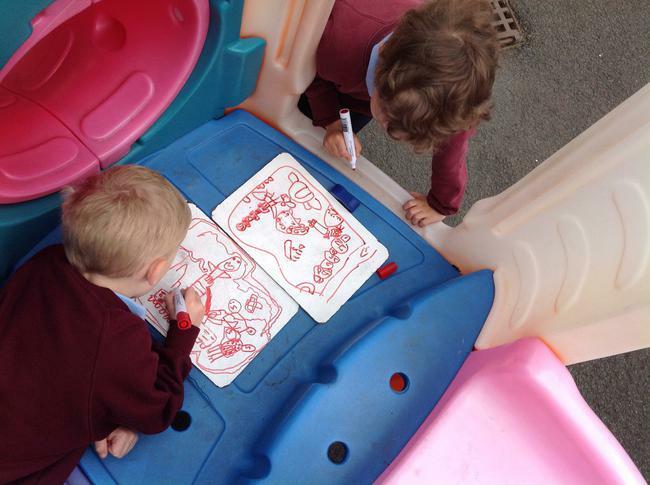 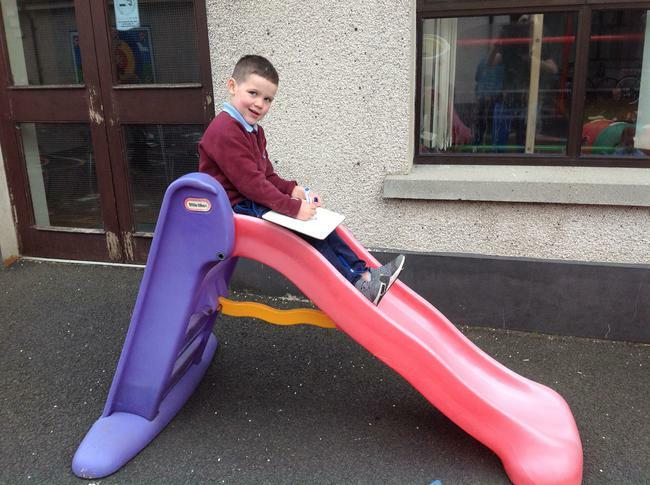 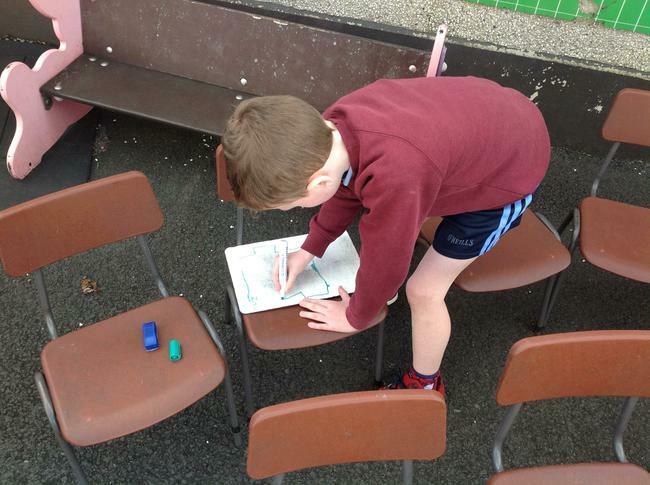 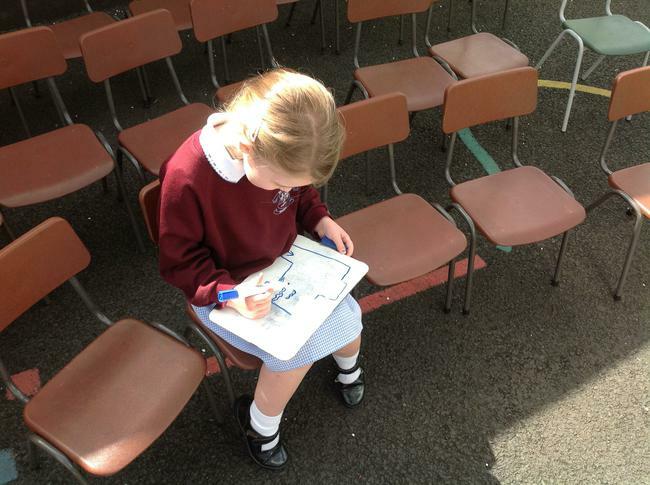 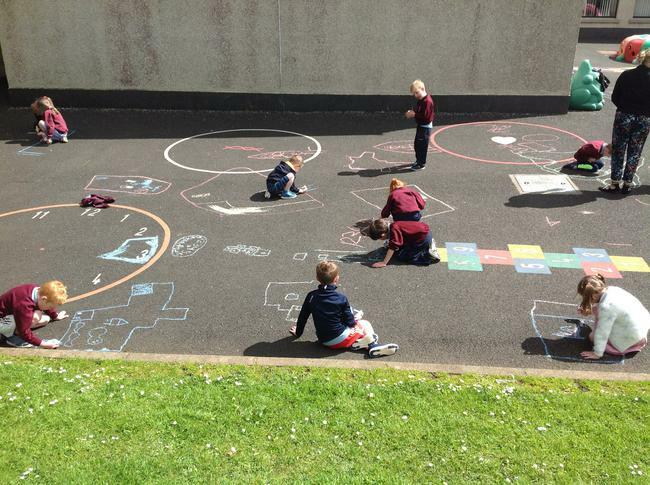 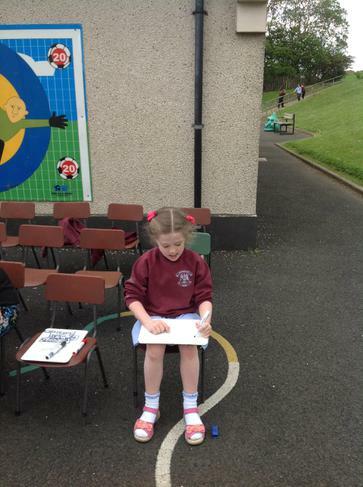 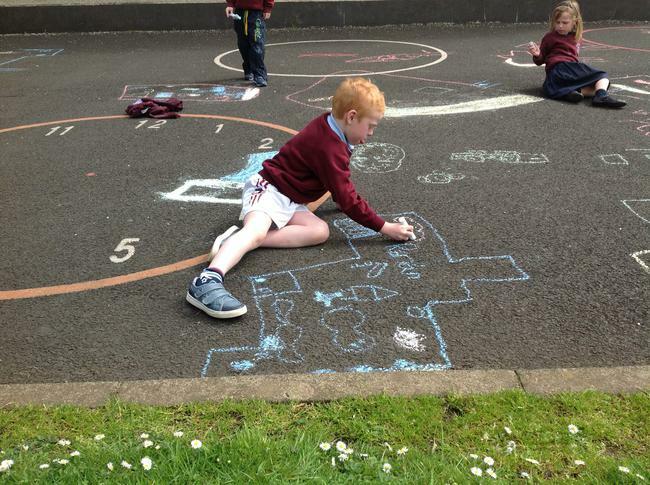 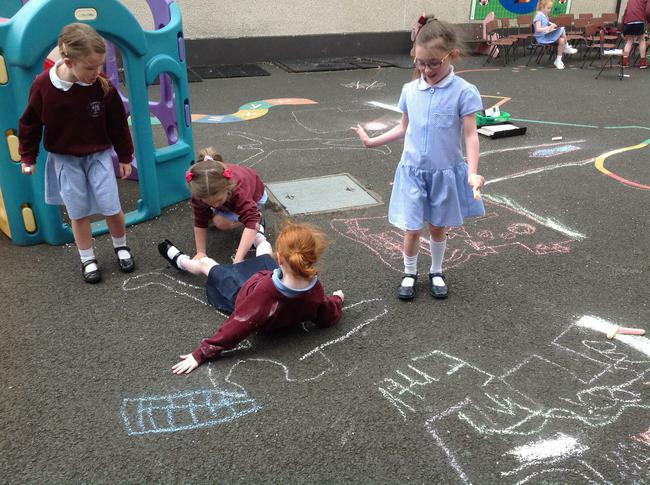 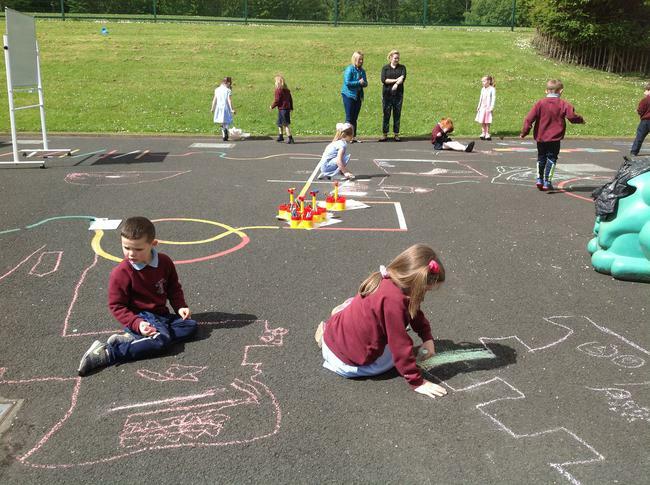 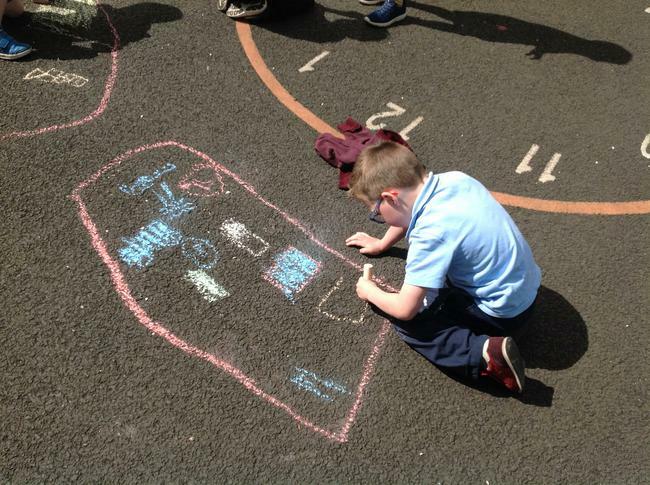 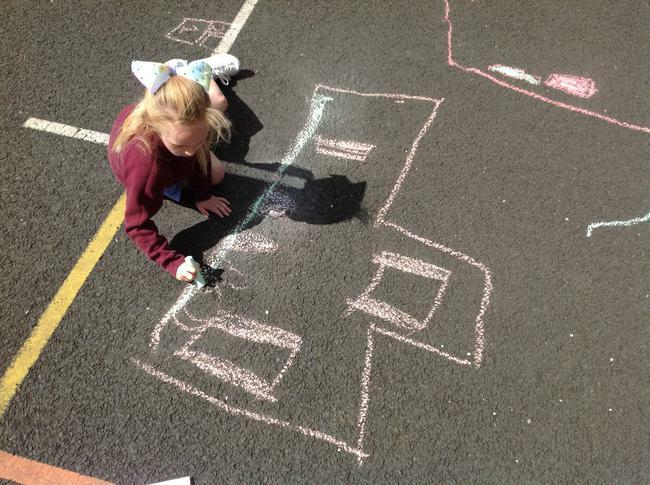 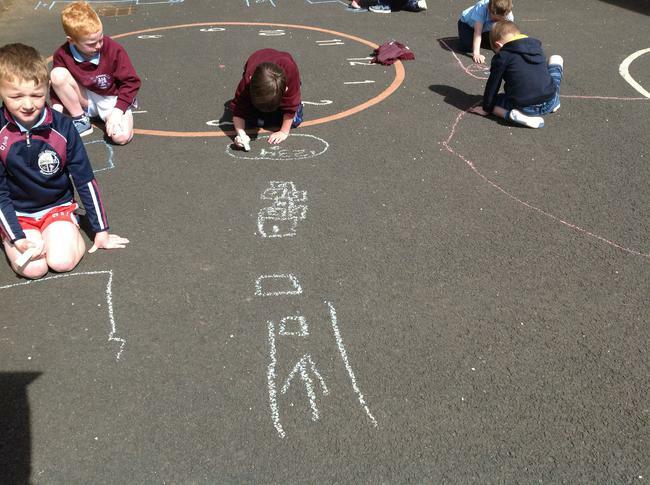 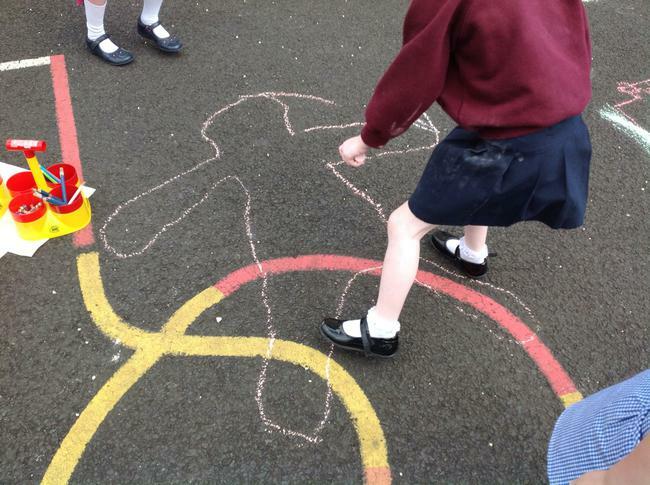 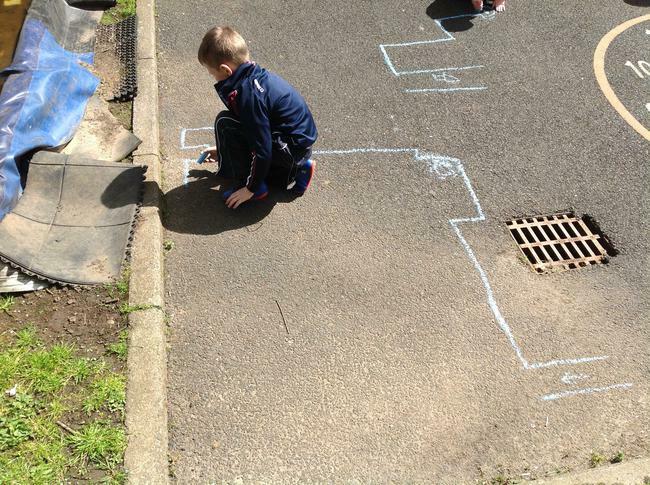 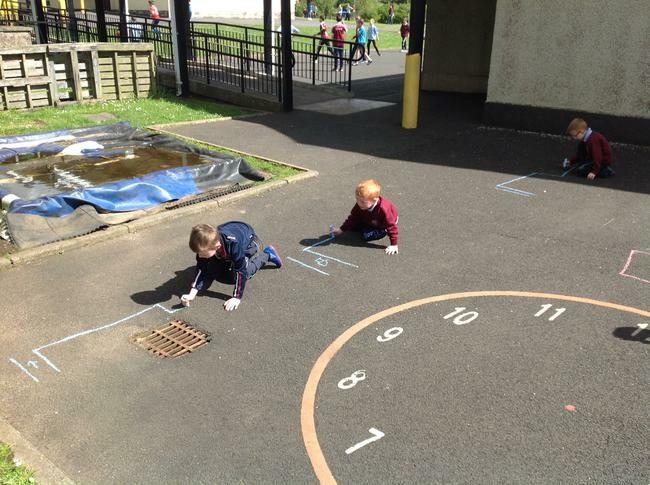 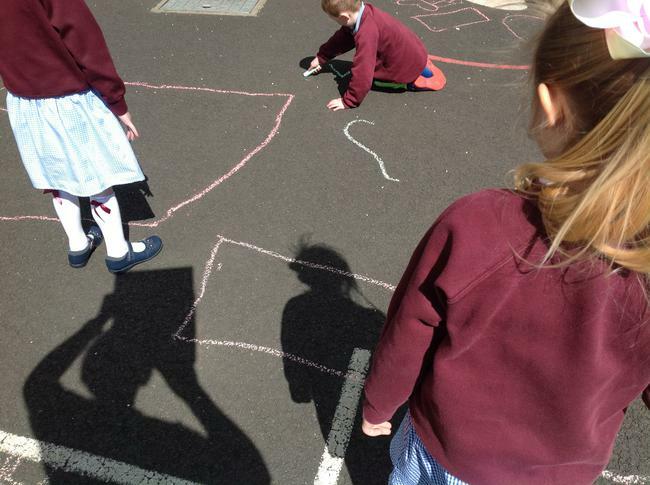 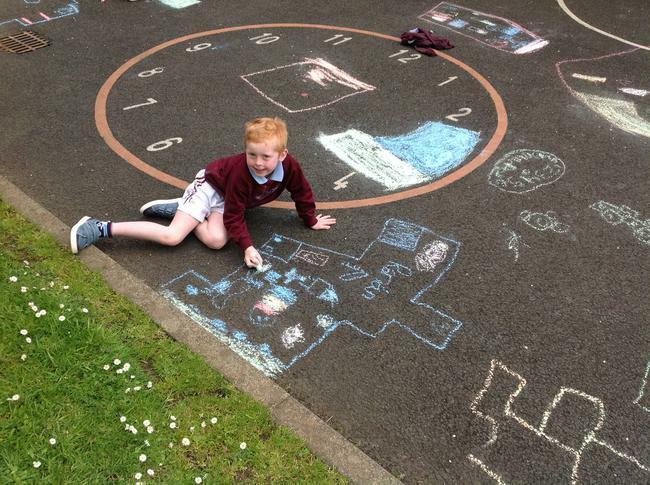 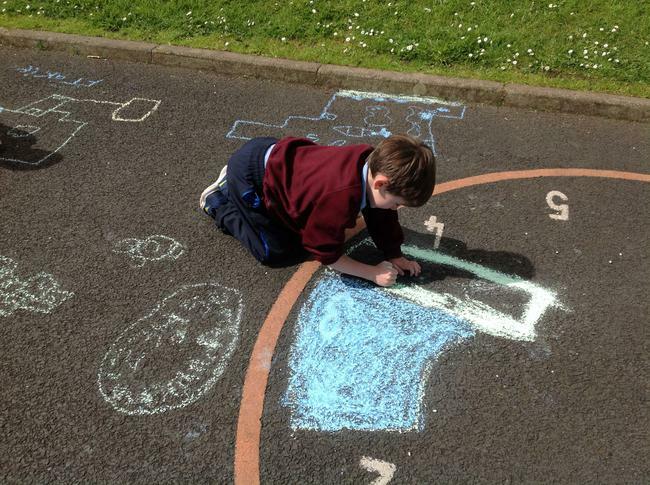 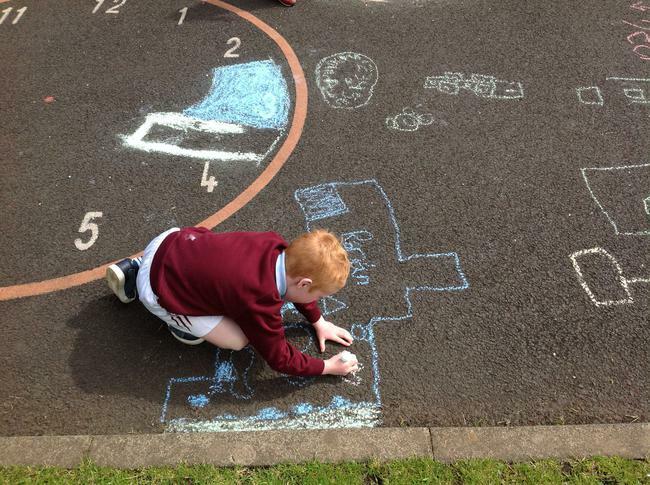 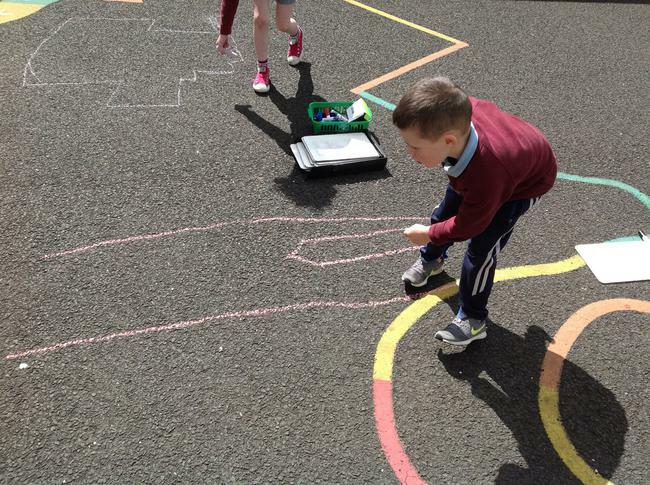 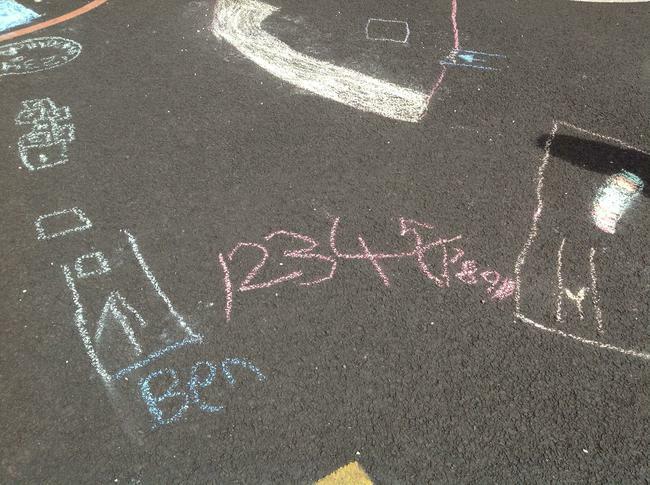 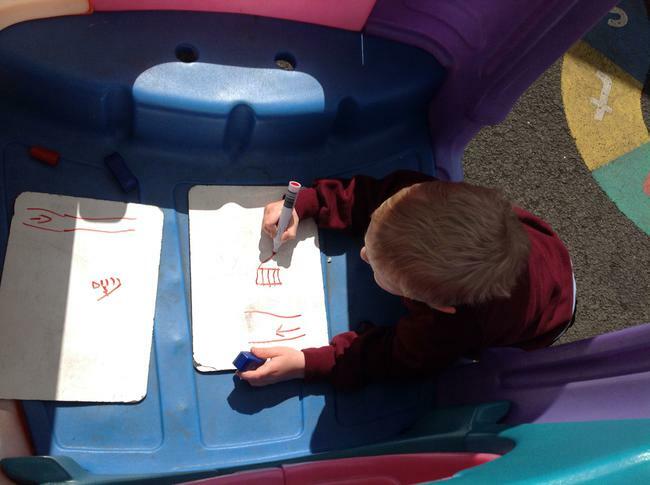 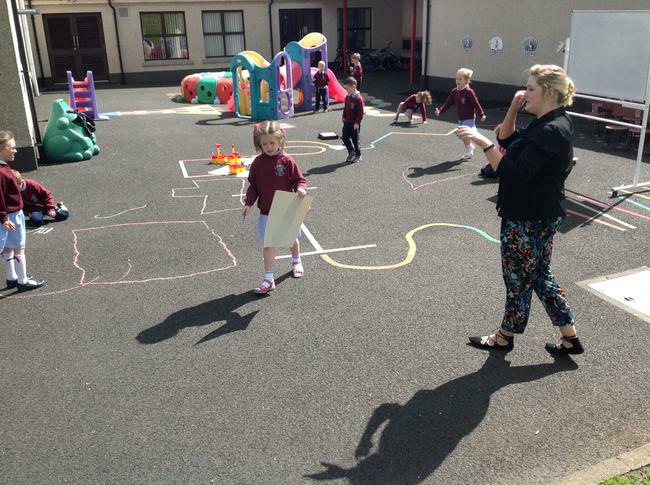 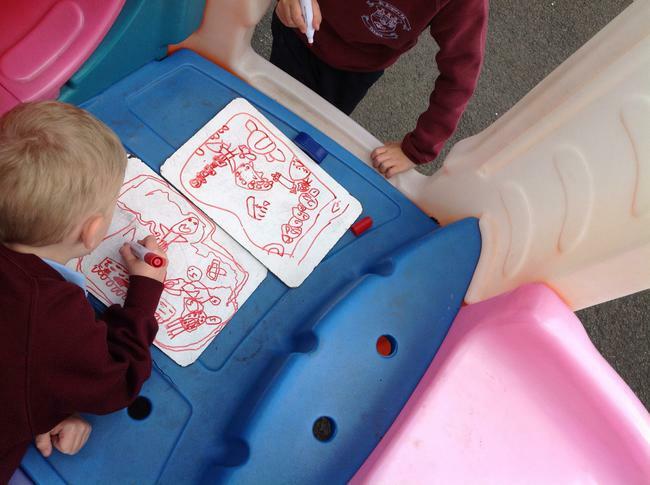 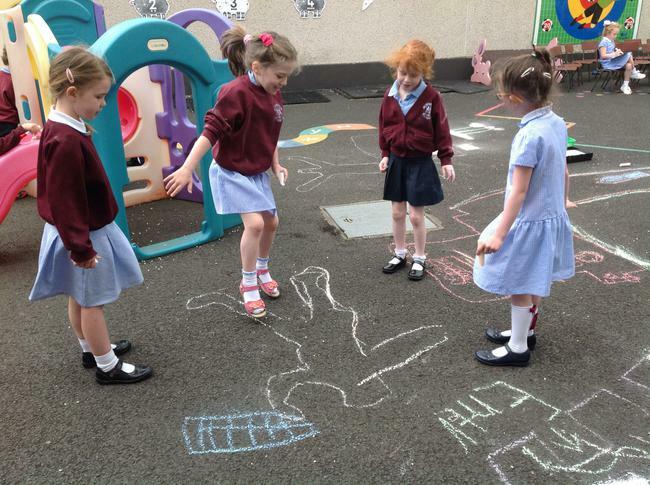 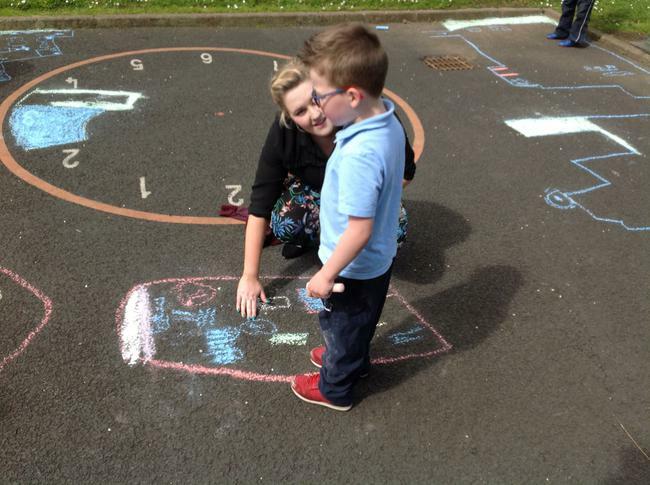 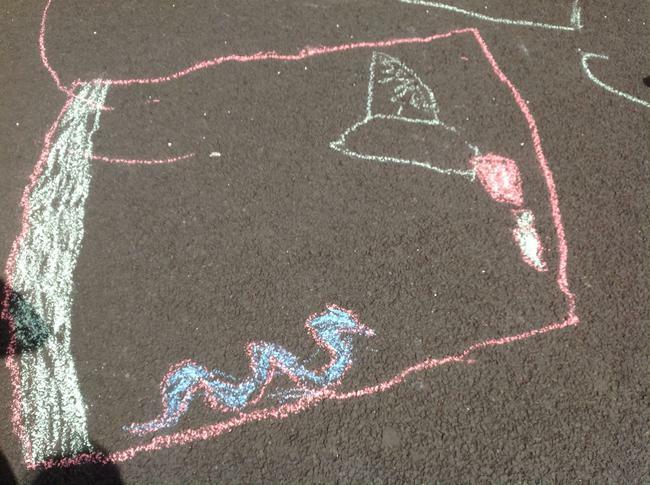 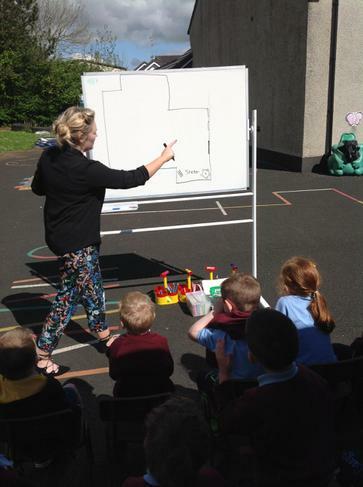 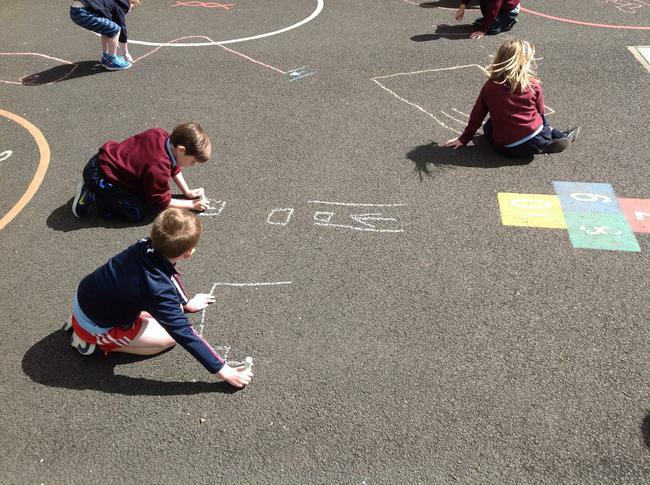 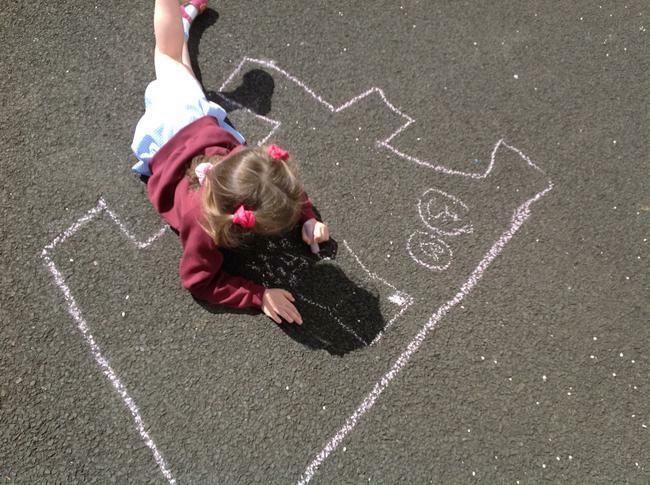 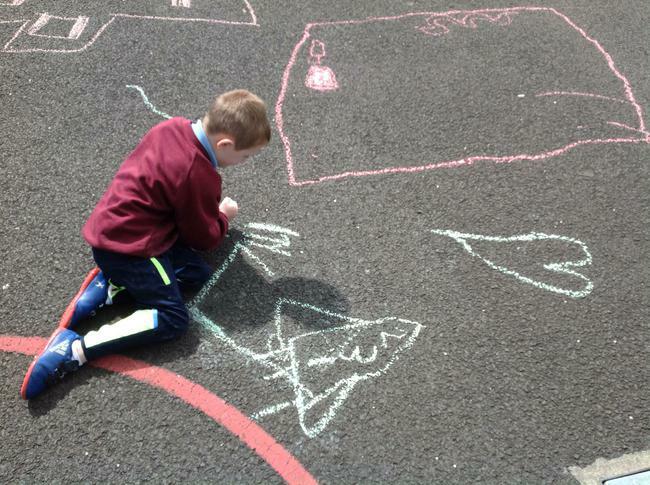 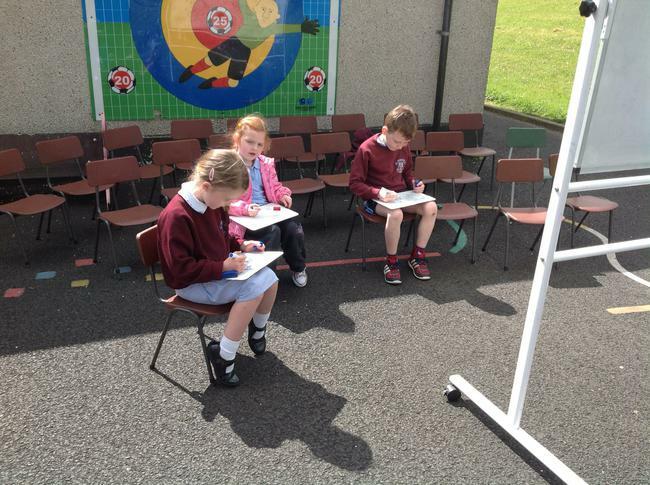 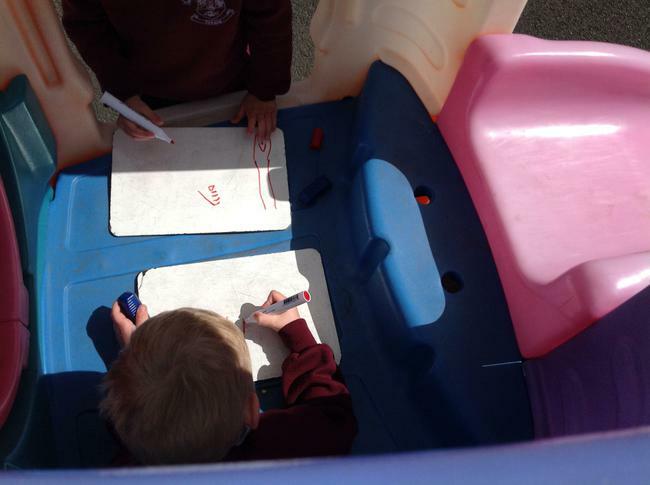 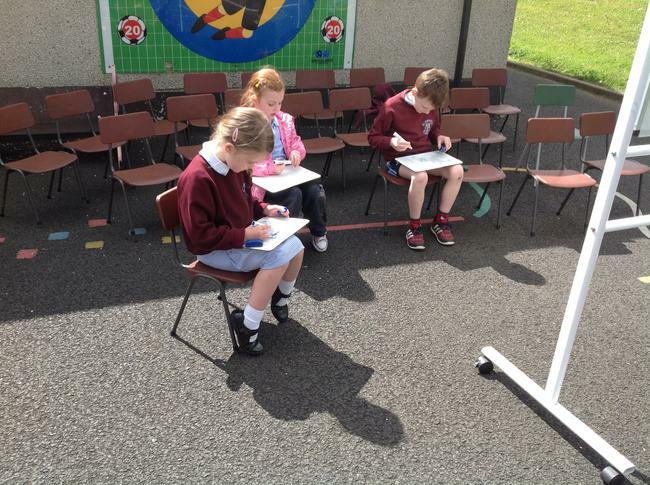 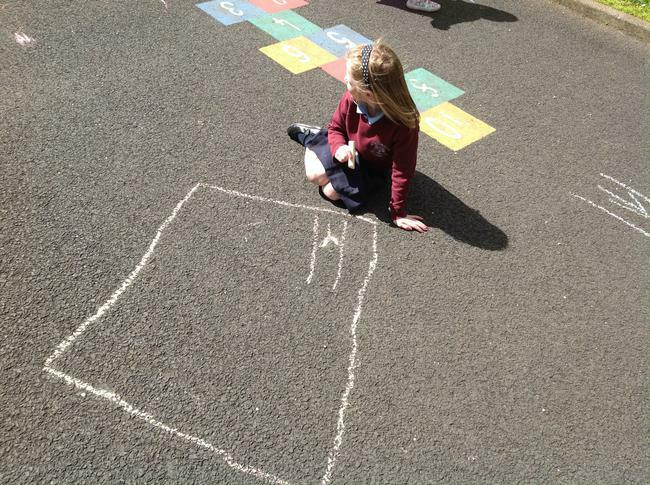 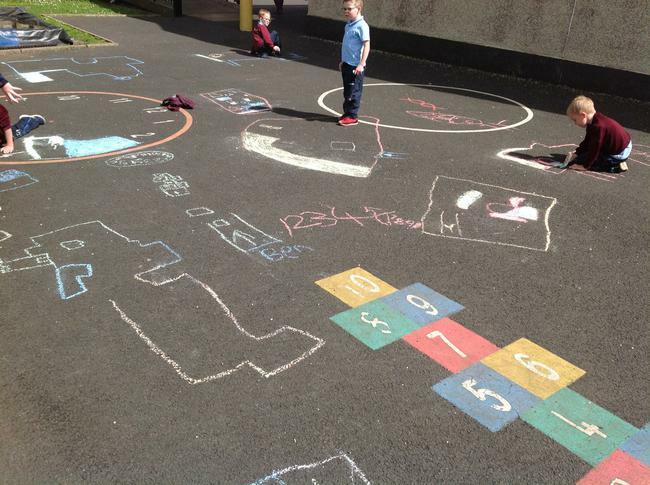 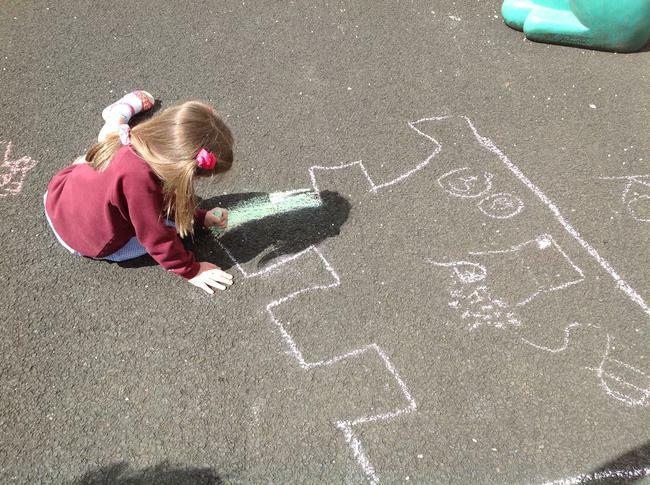 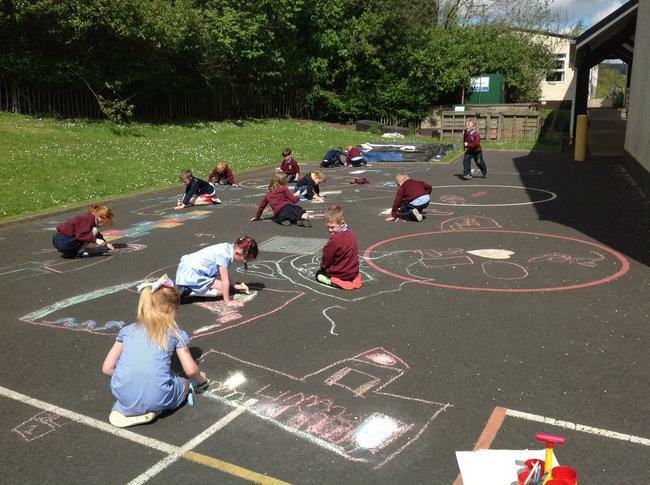 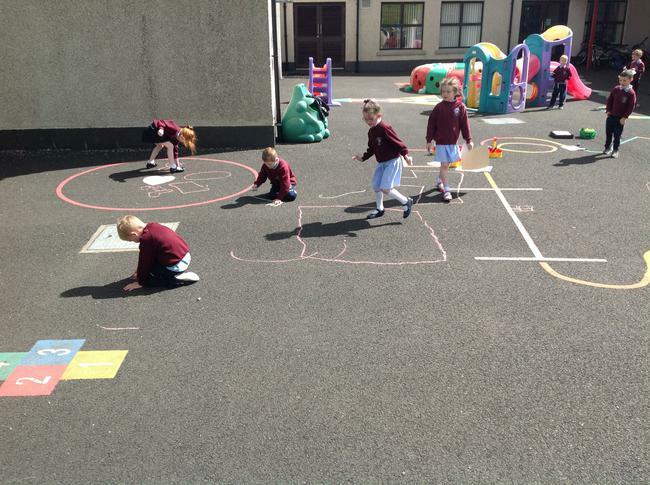 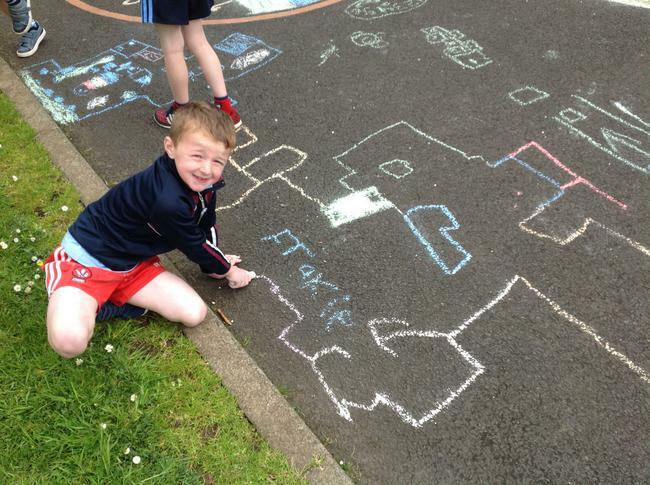 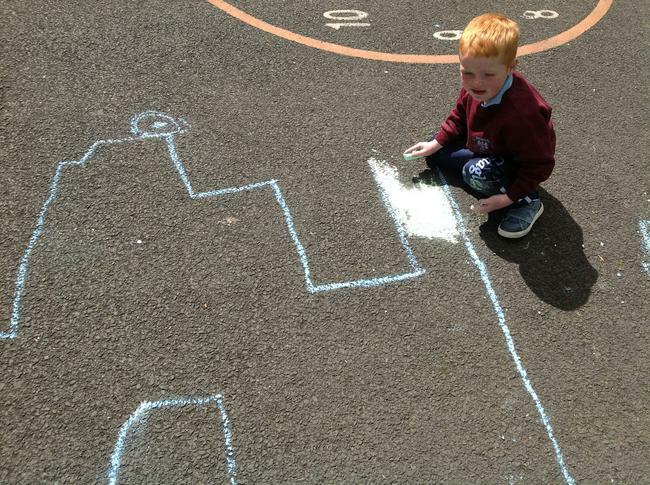 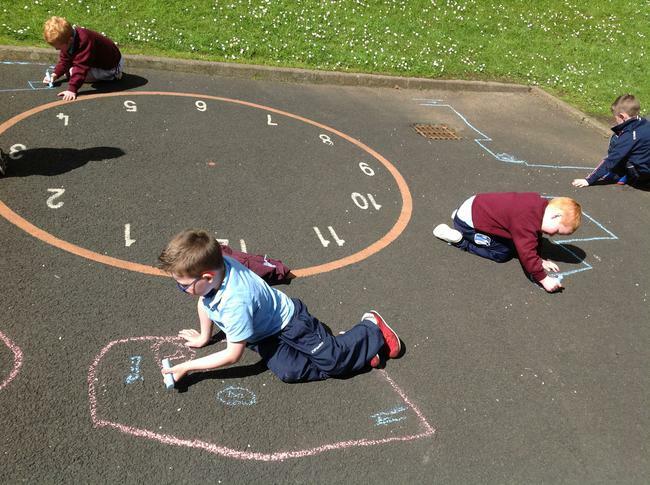 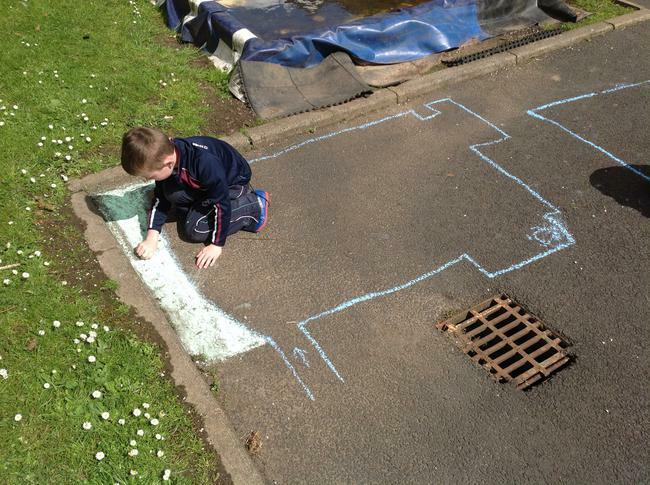 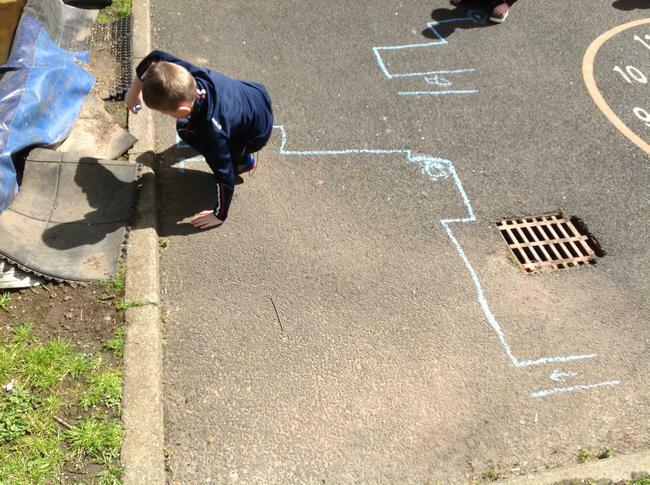 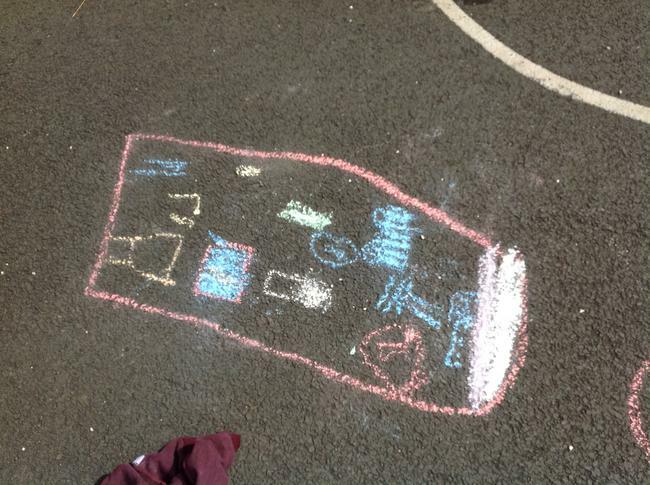 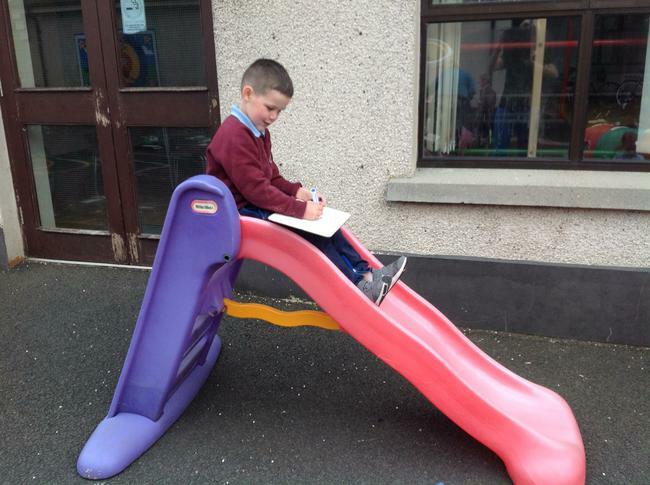 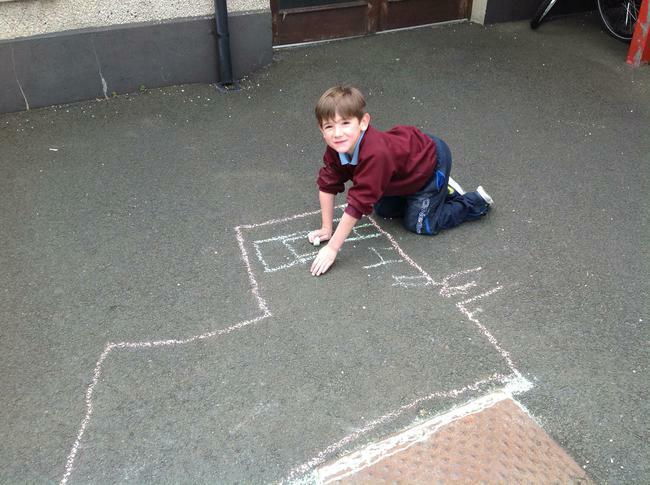 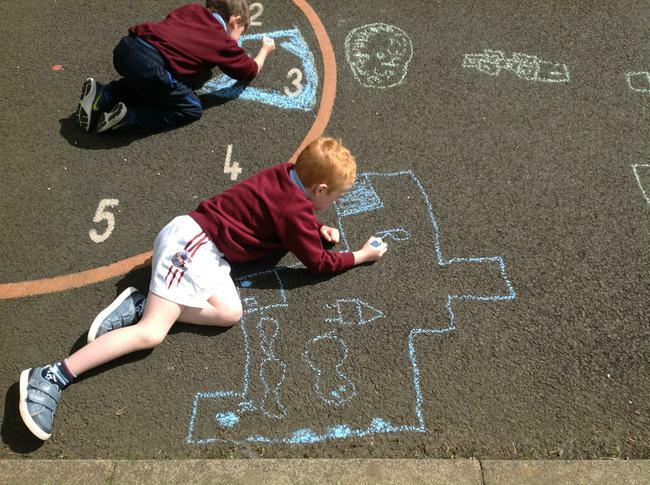 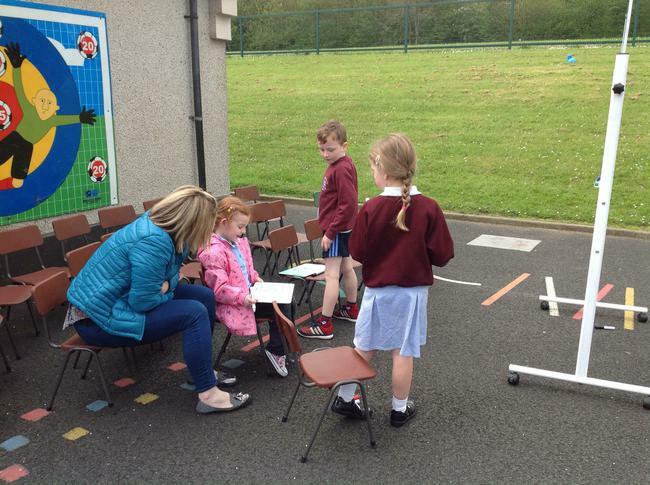 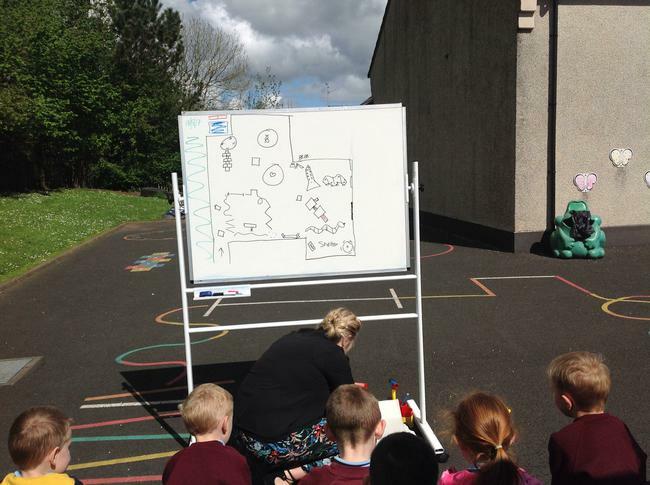 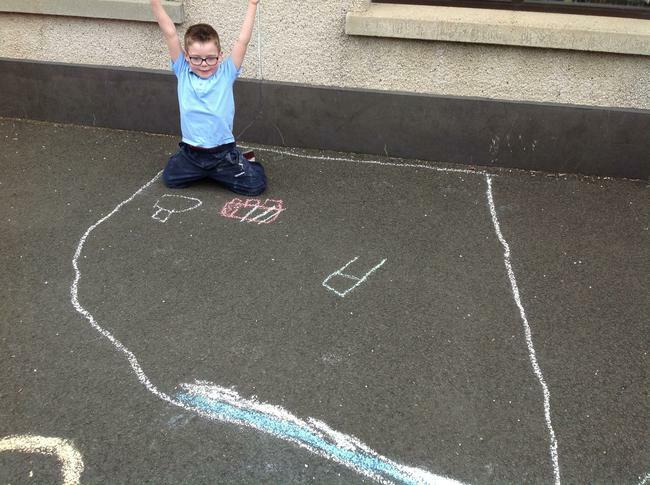 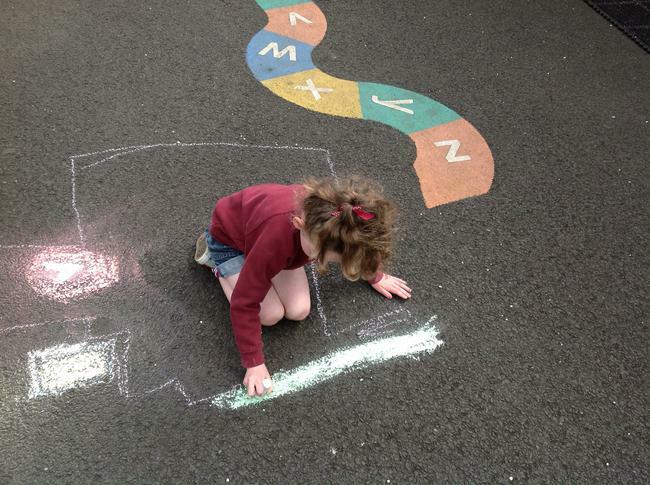 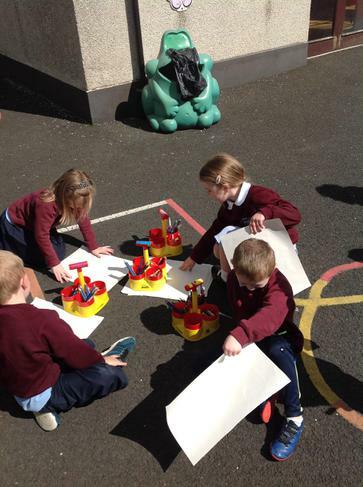 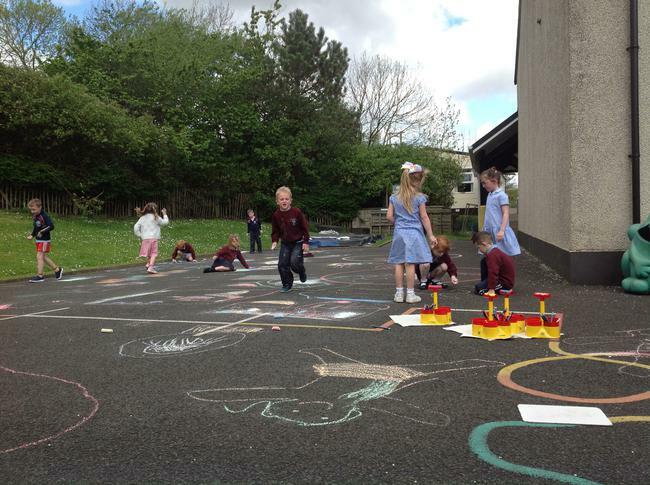 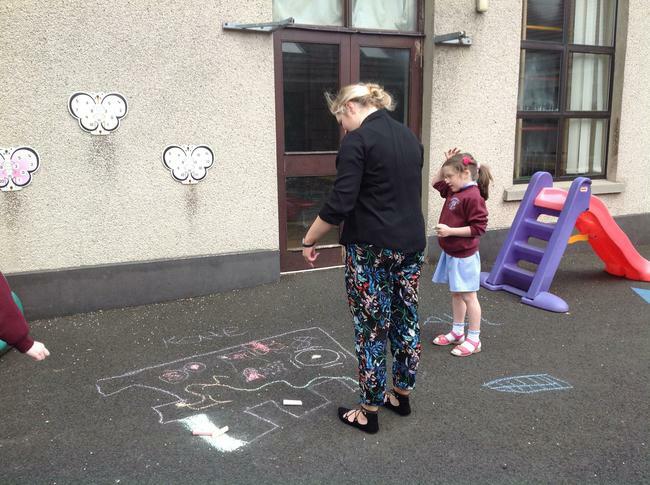 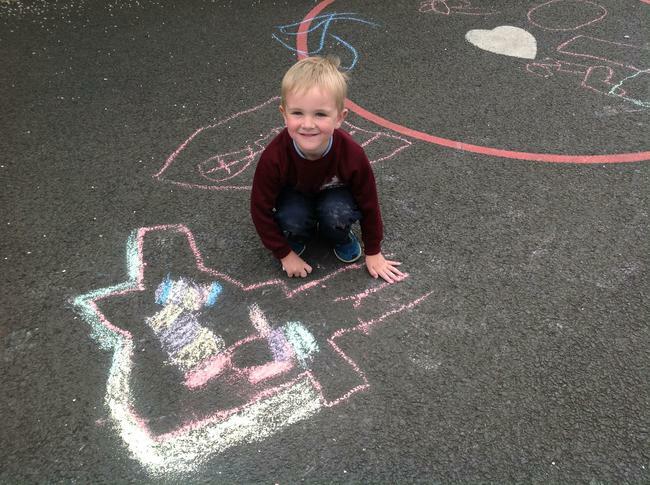 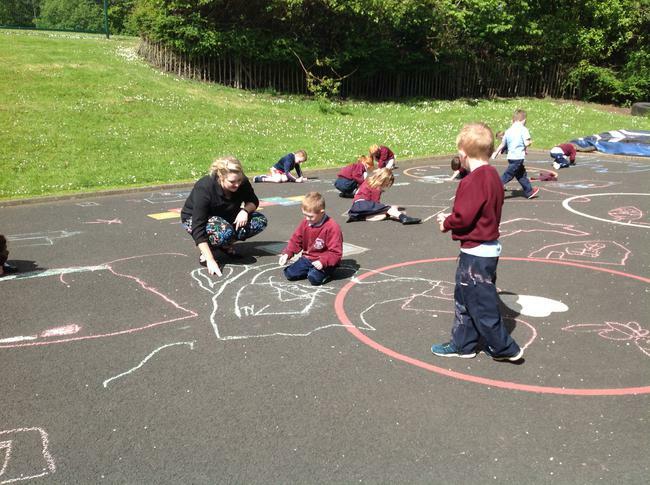 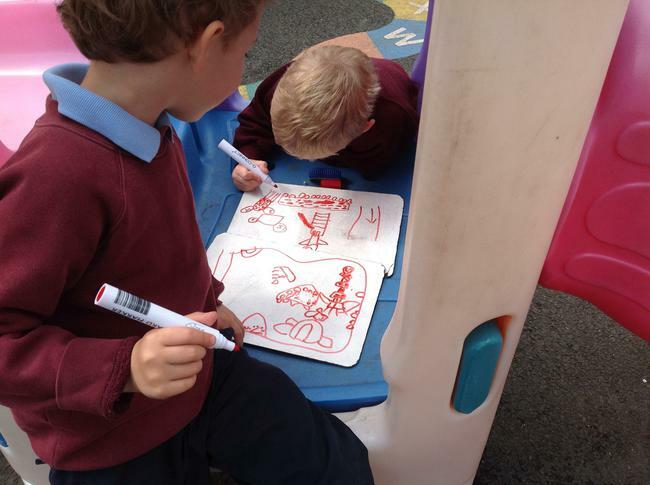 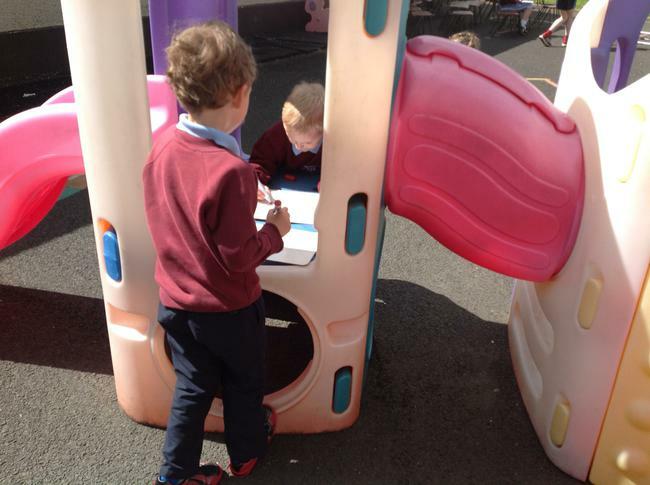 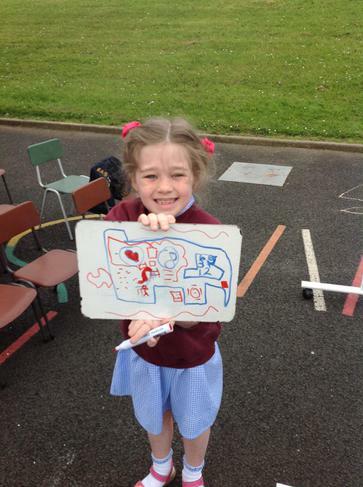 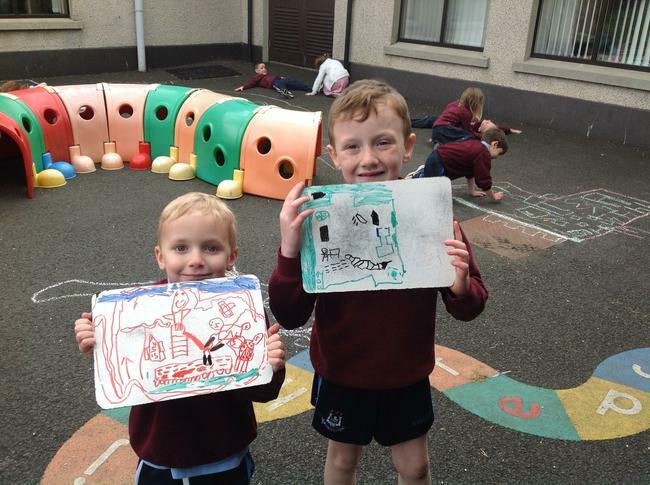 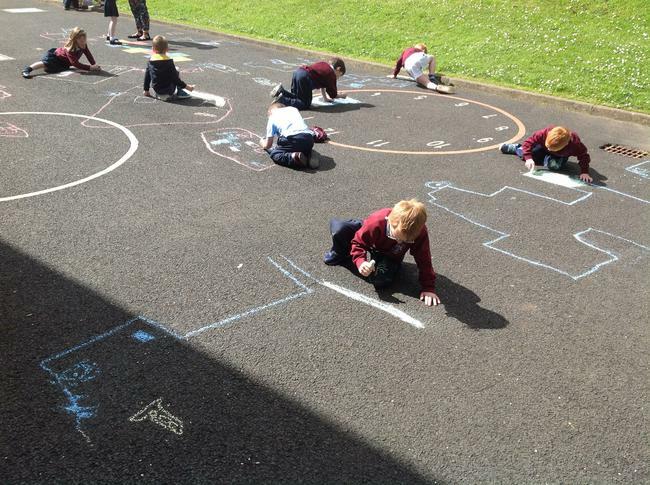 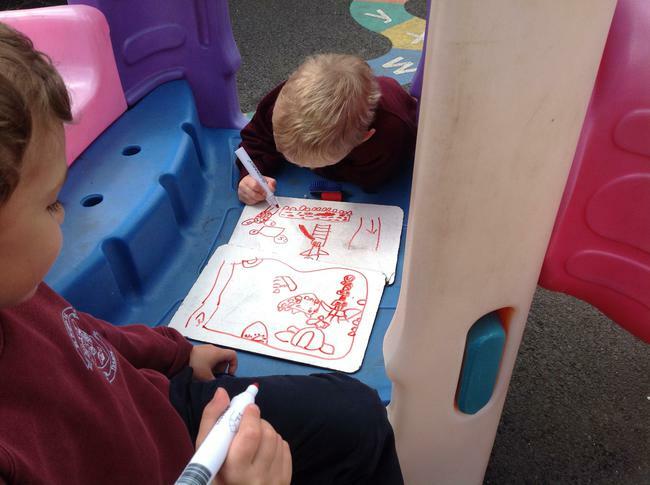 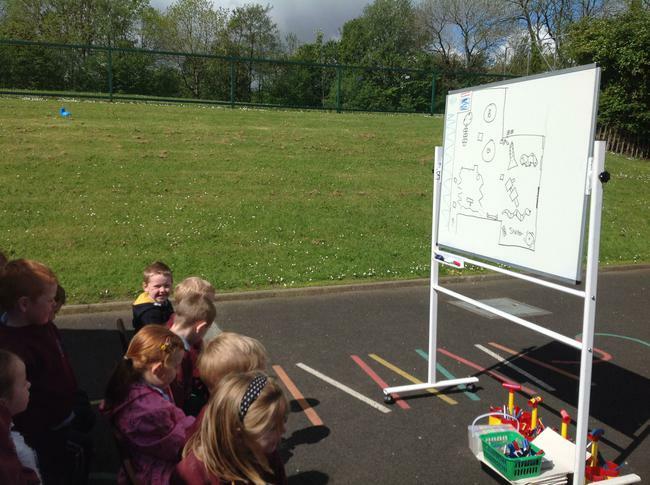 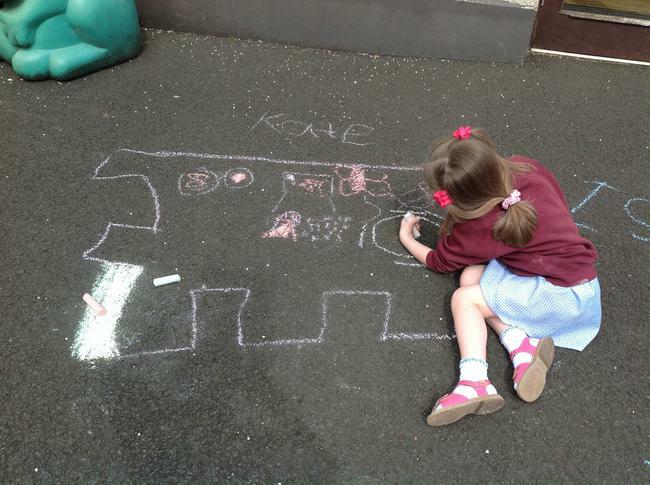 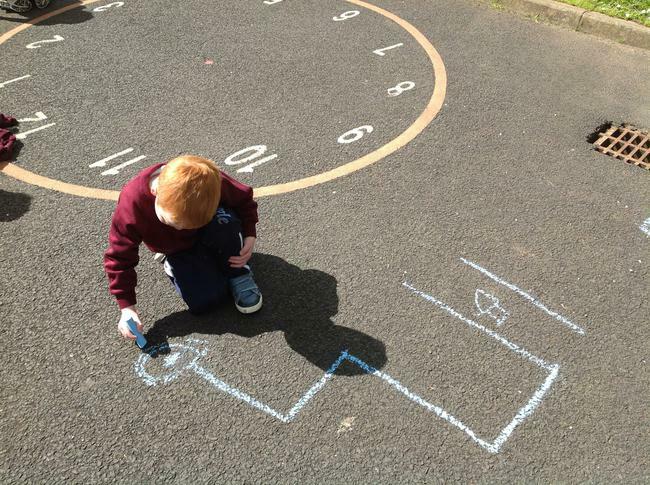 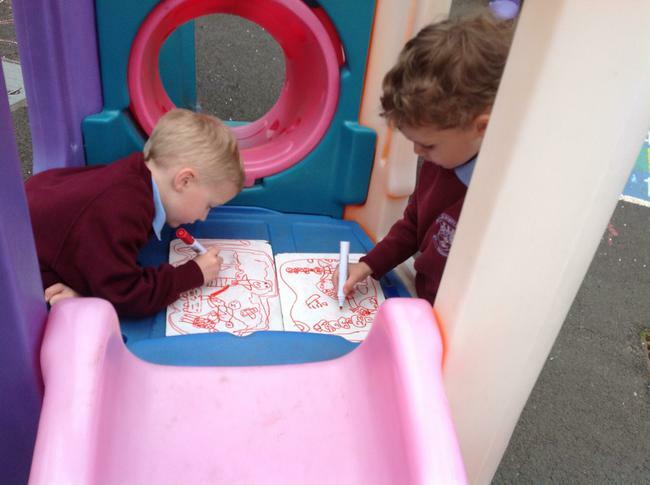 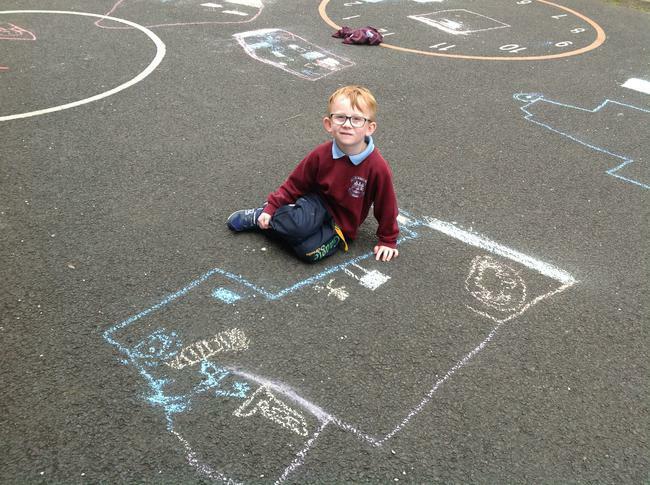 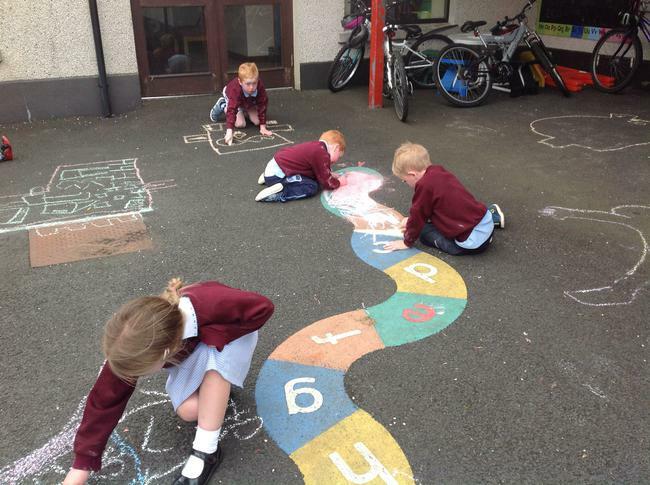 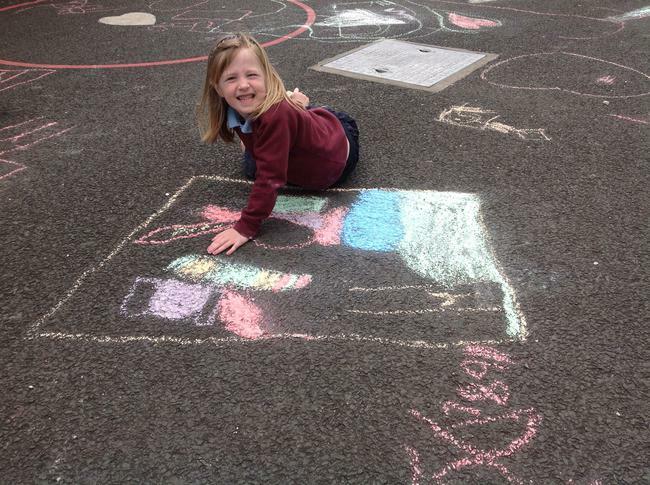 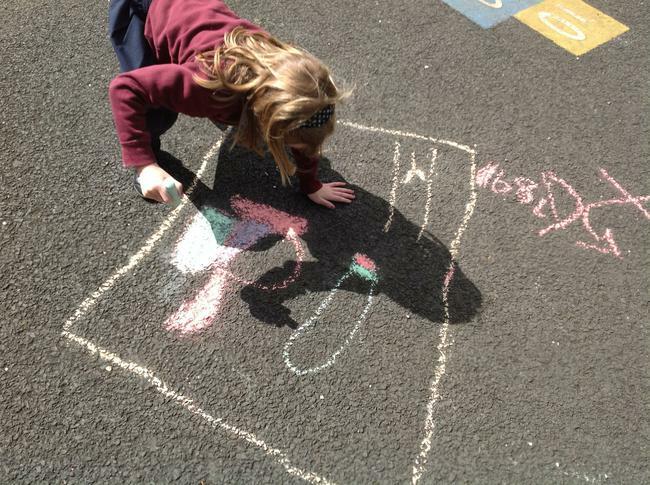 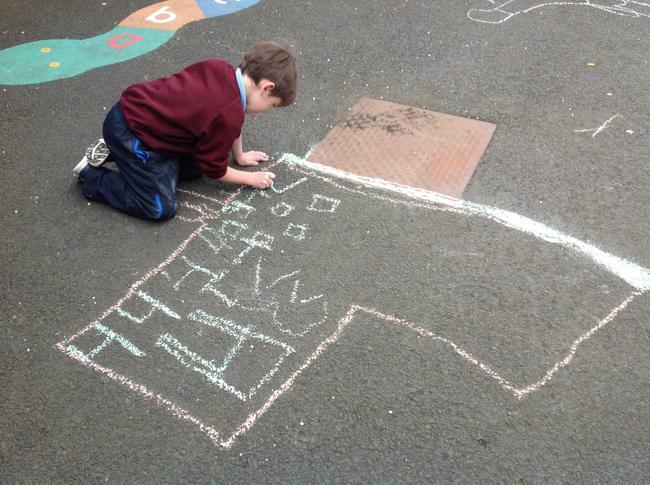 To celebrate, we brought our learning outdoors, drawing maps of our playground. 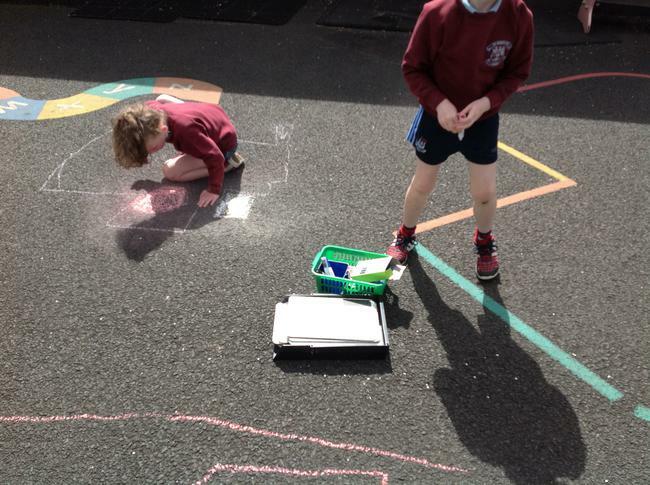 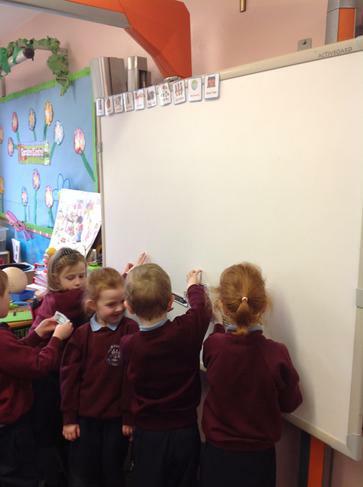 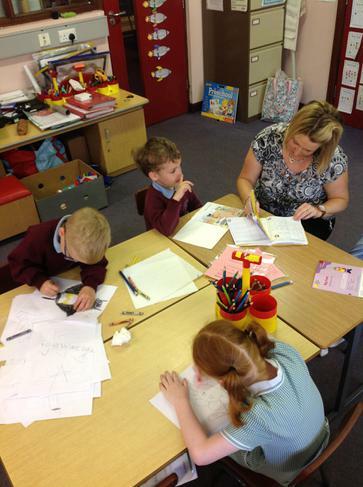 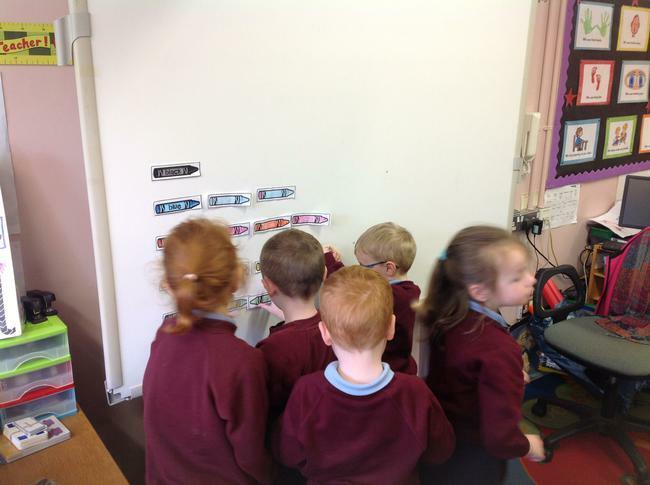 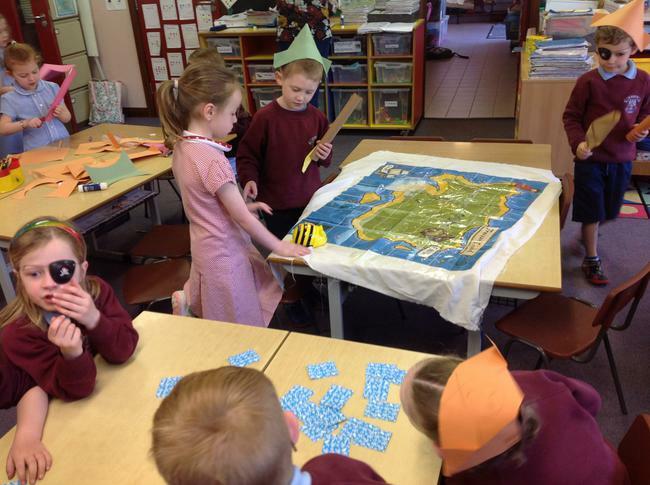 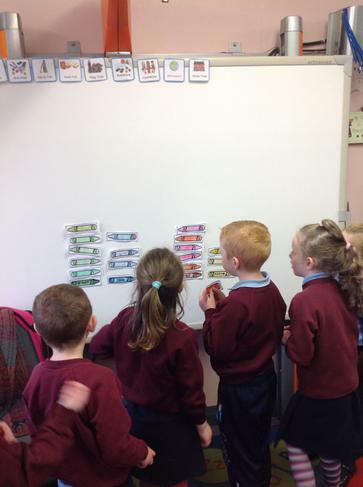 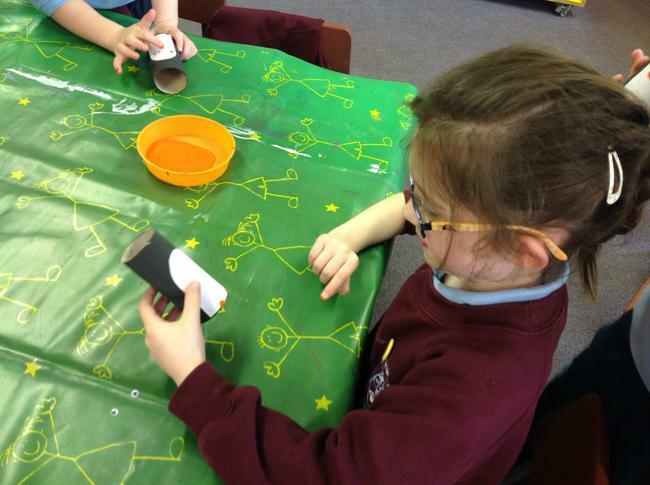 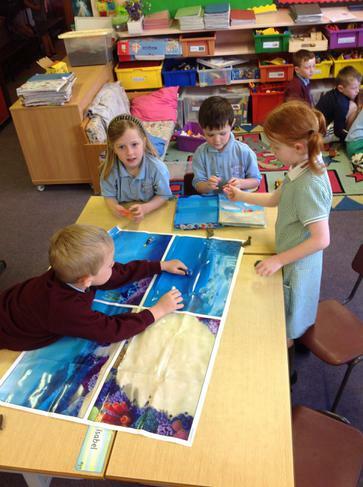 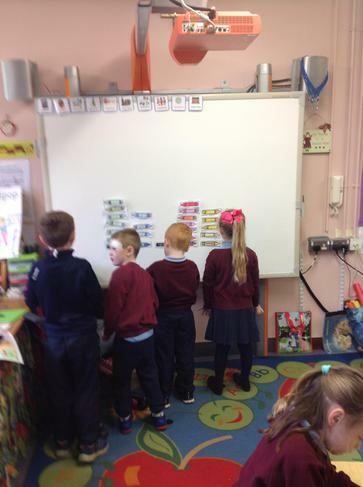 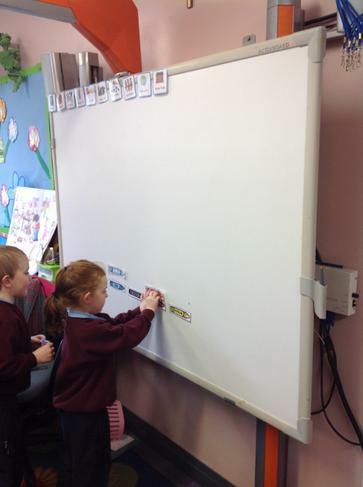 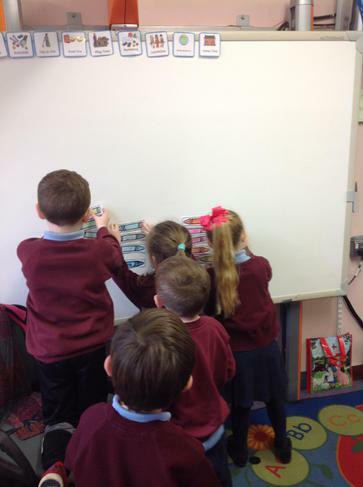 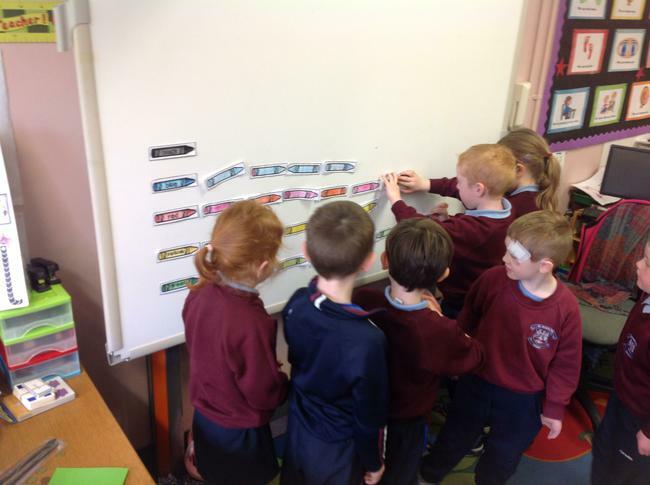 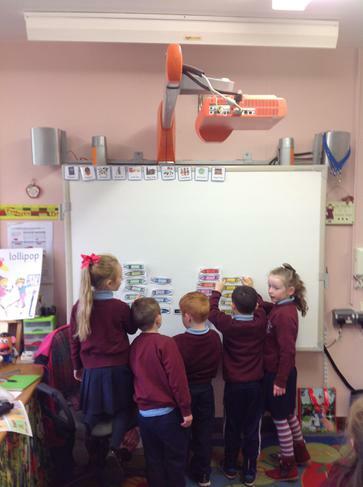 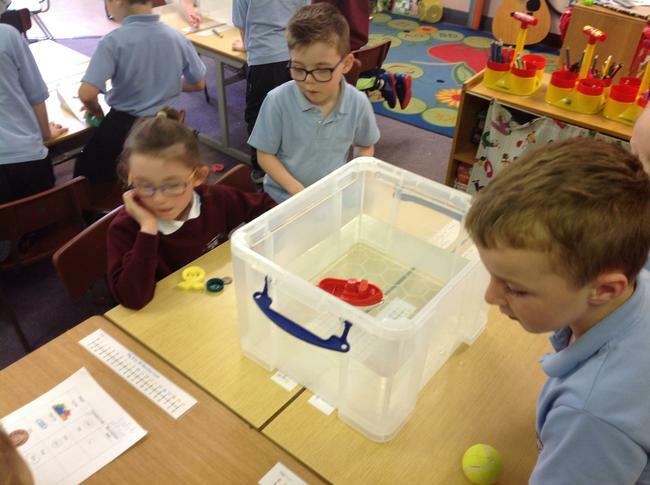 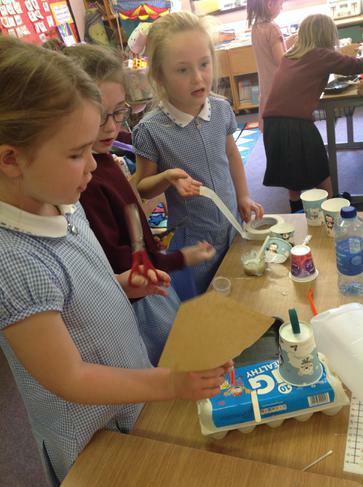 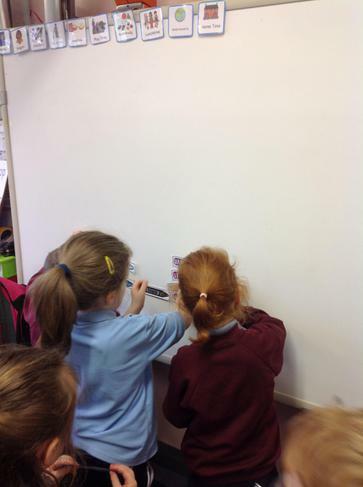 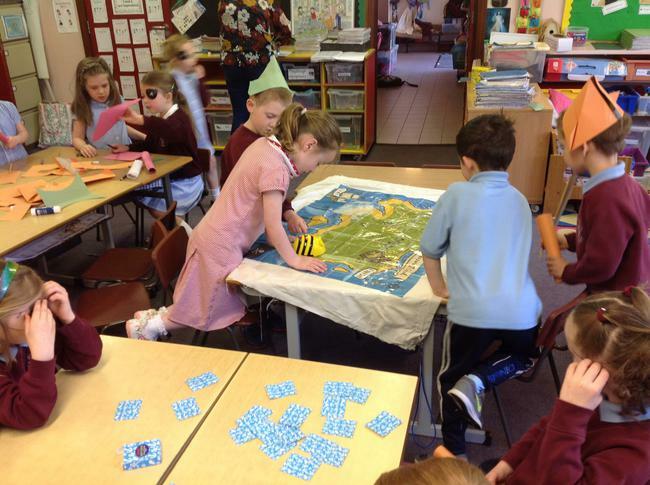 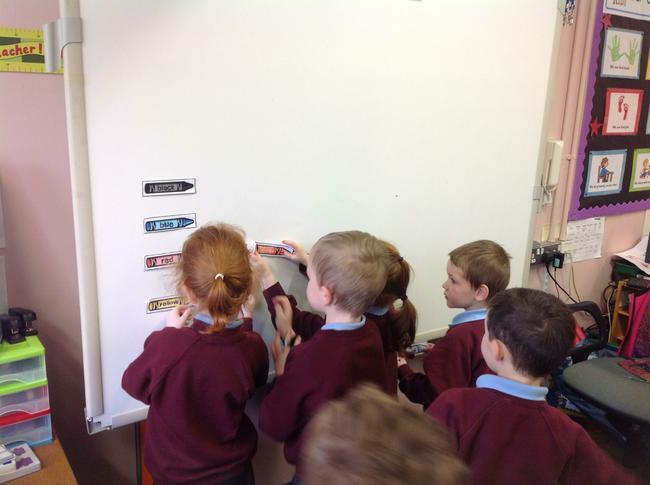 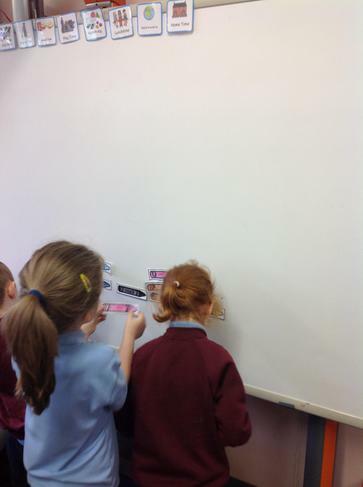 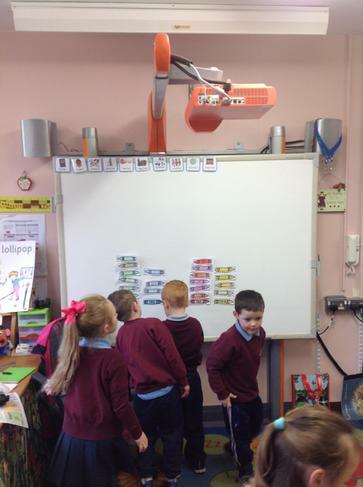 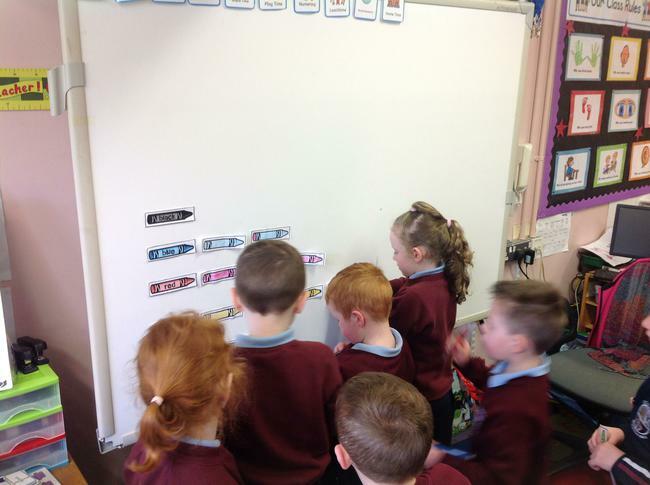 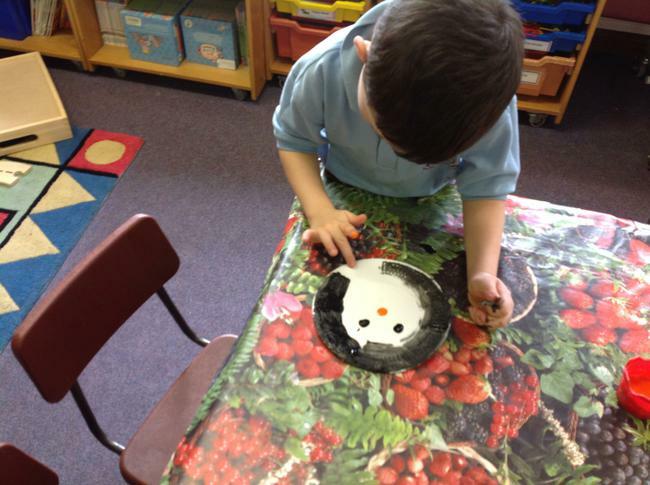 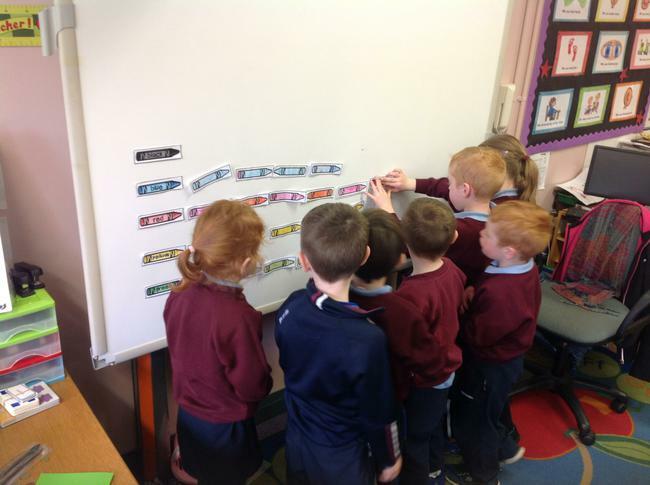 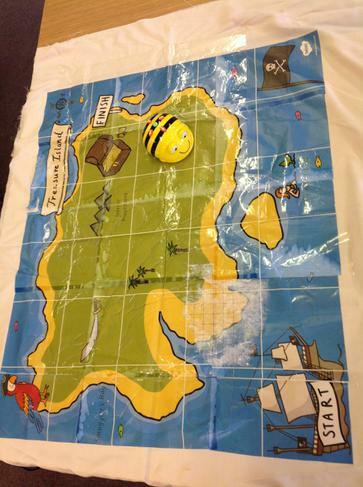 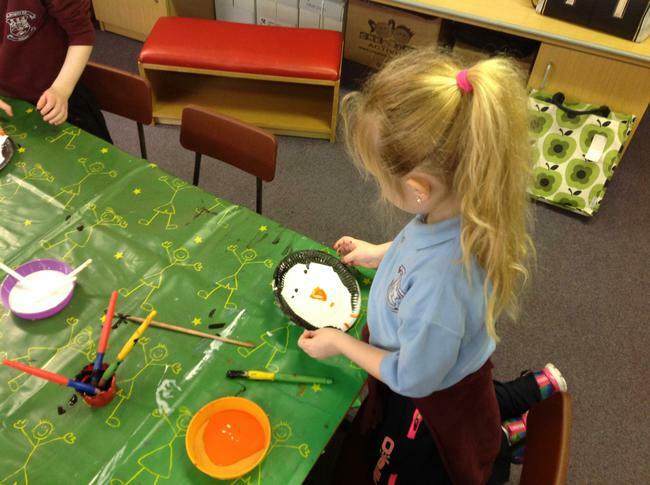 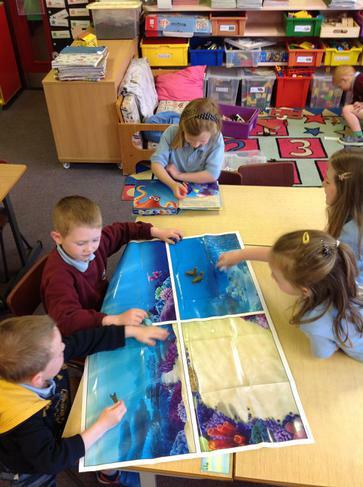 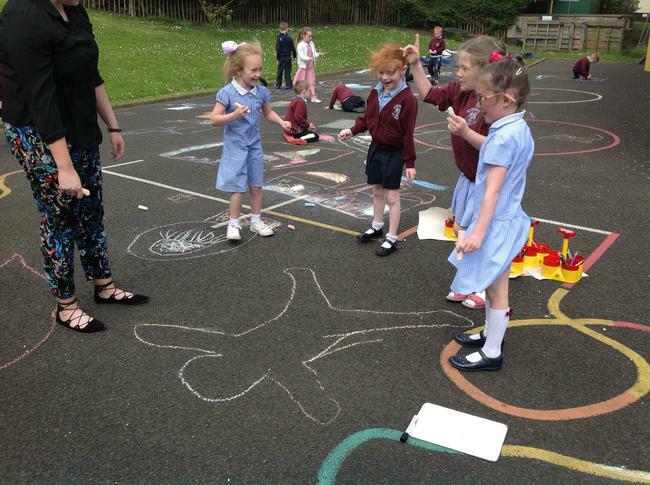 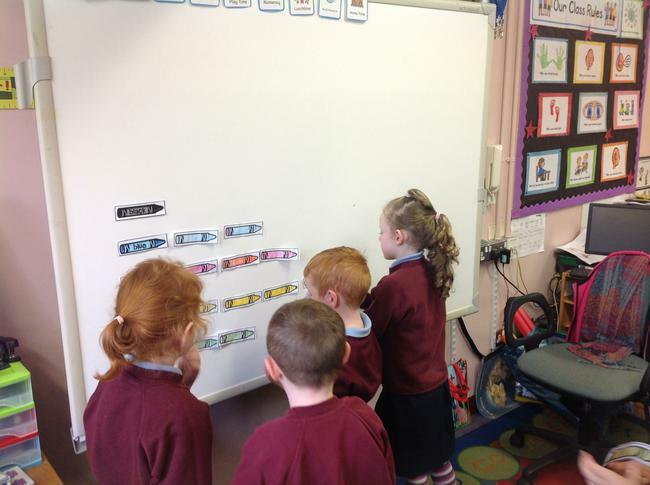 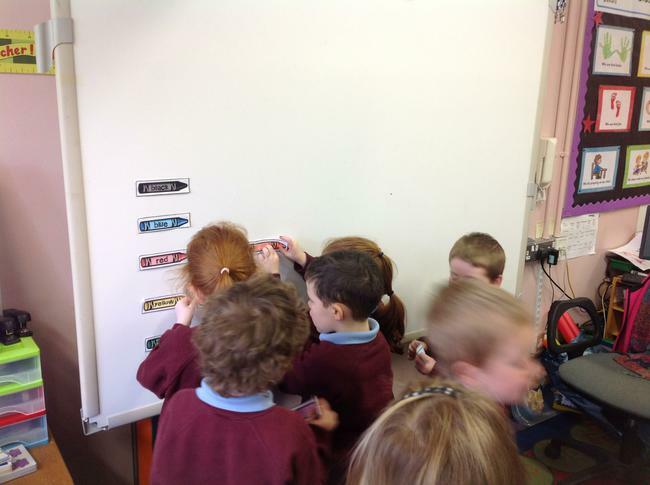 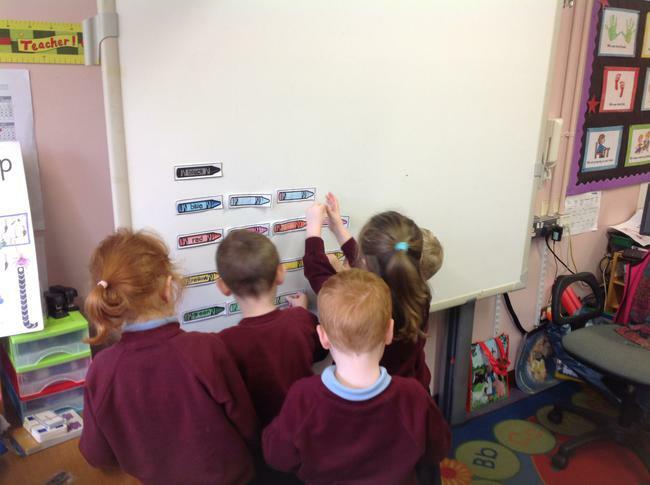 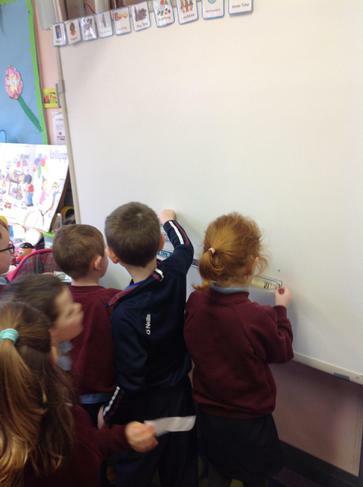 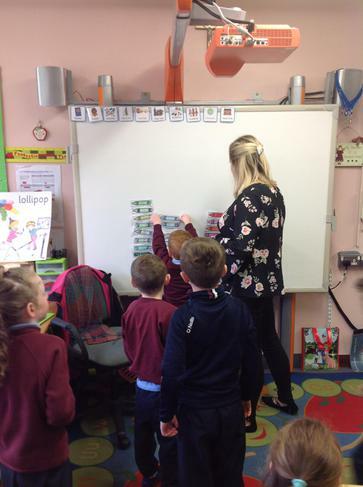 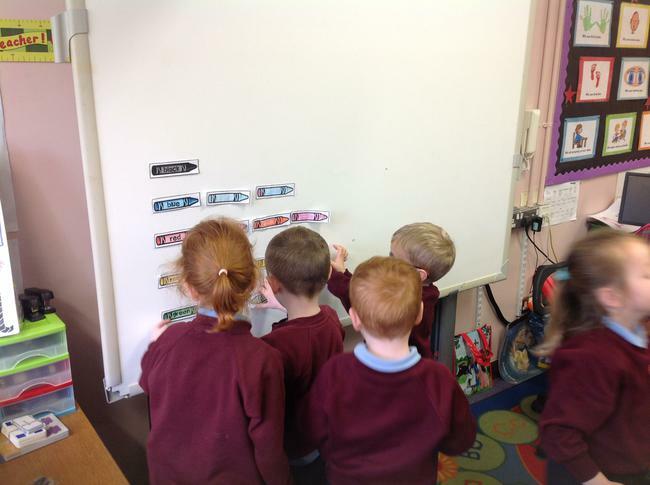 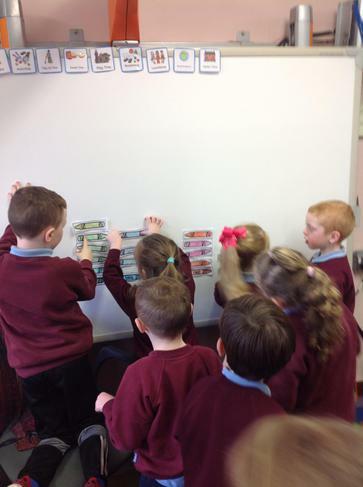 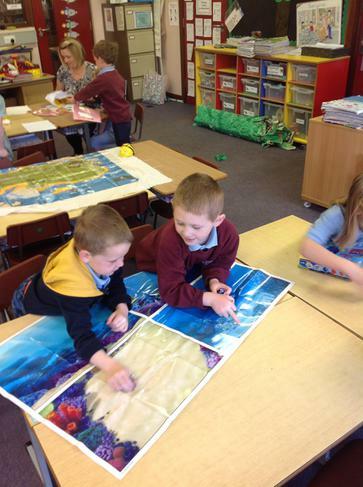 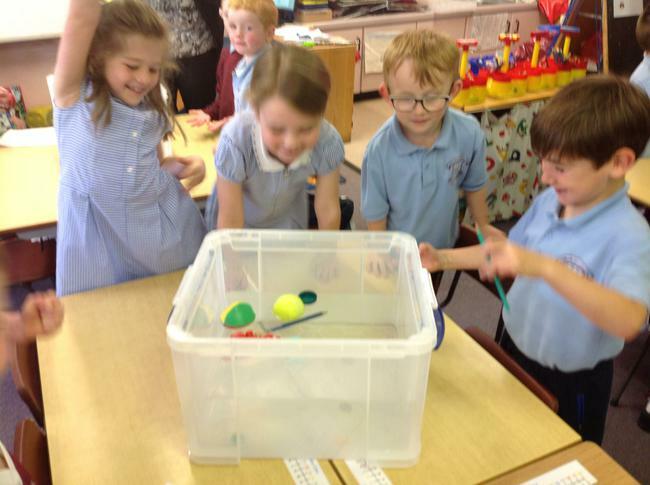 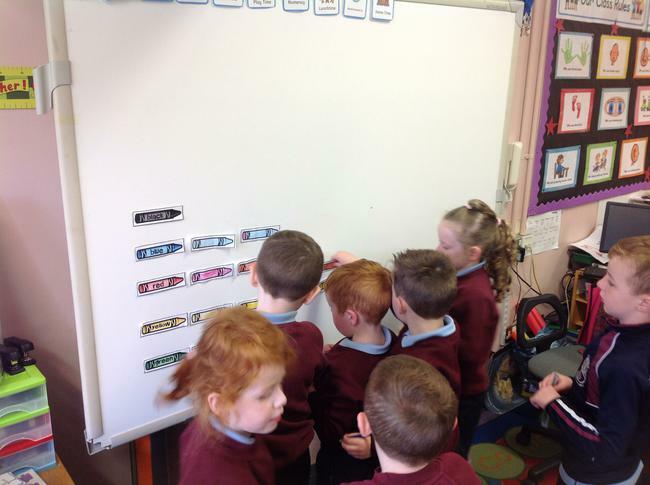 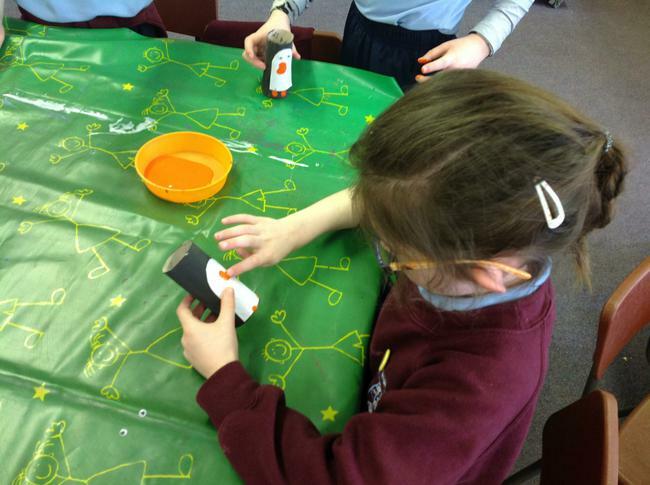 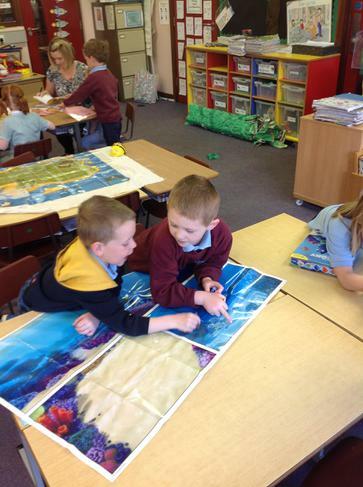 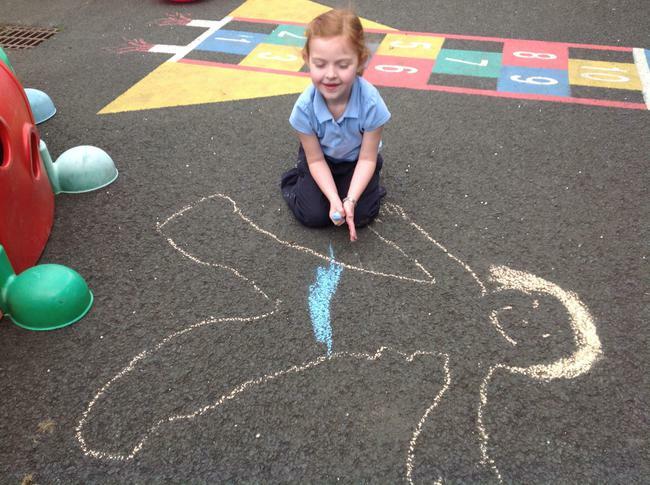 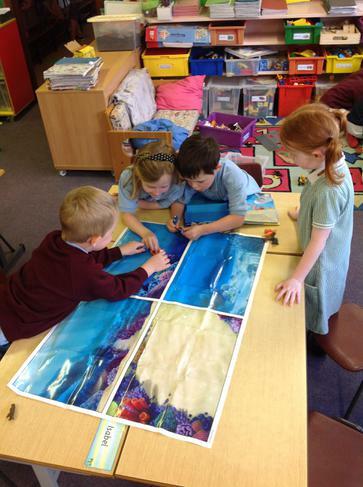 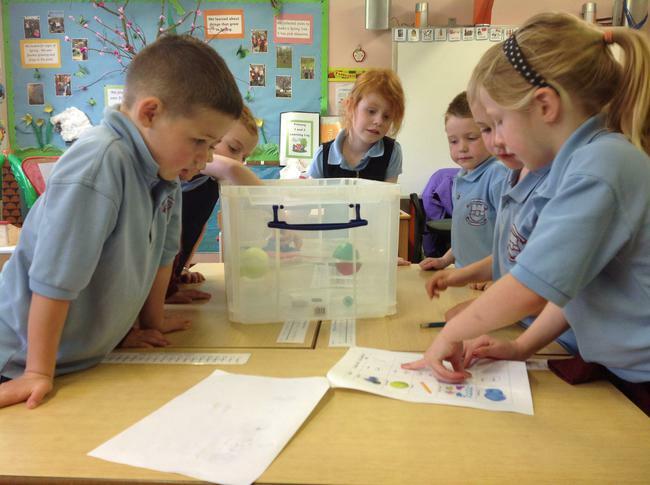 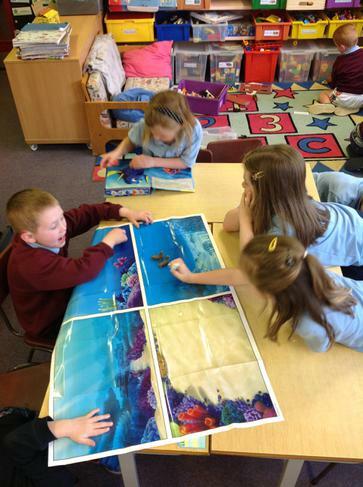 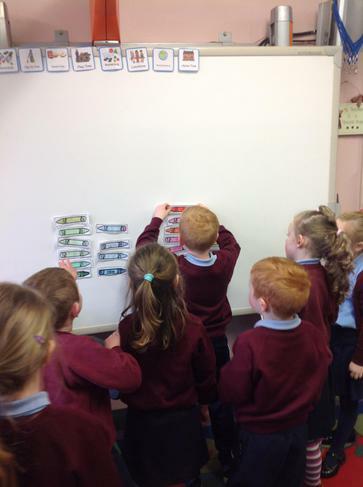 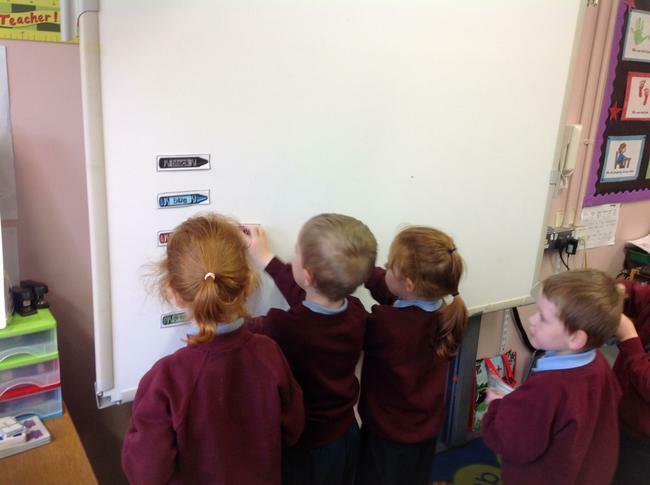 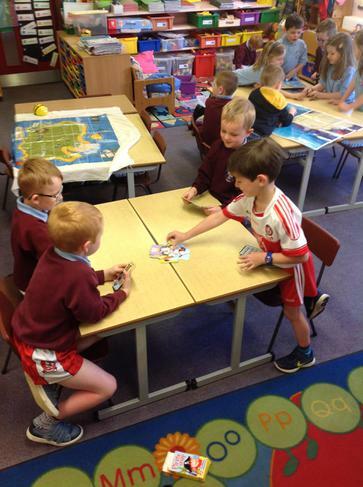 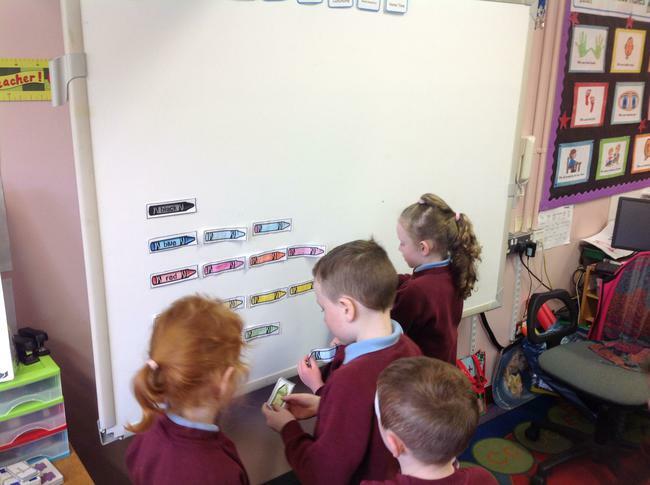 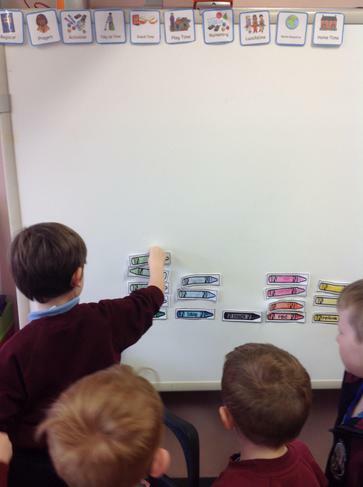 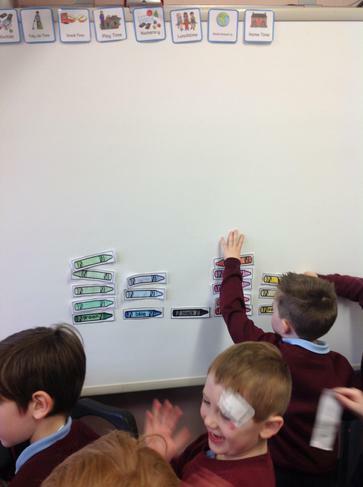 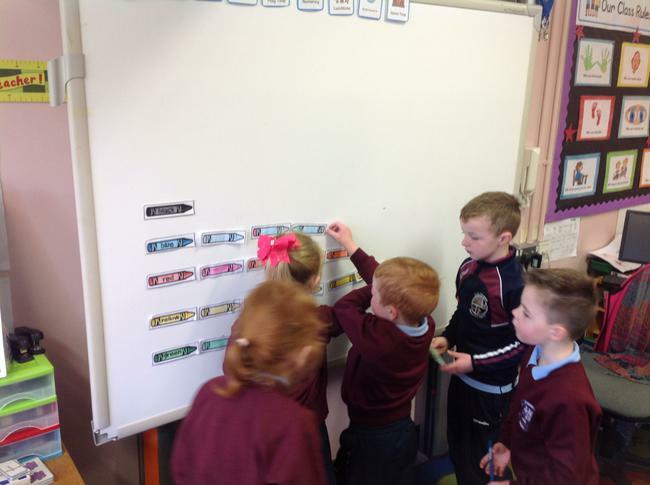 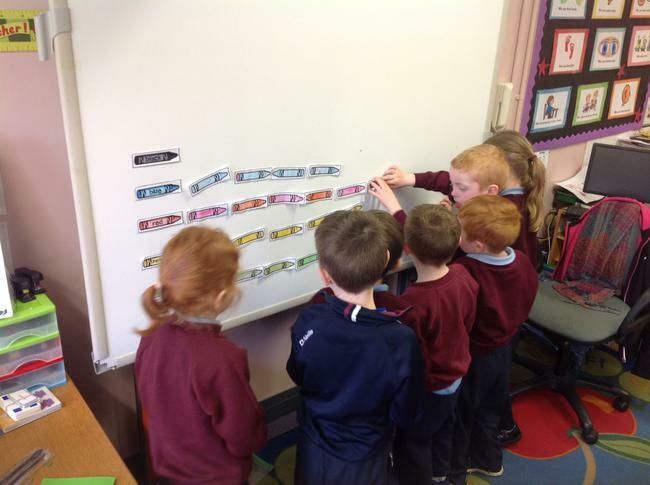 The children chose how they would like to draw their map, and could choose between using chalk, whiteboards and markers or paper and crayons for their creations. 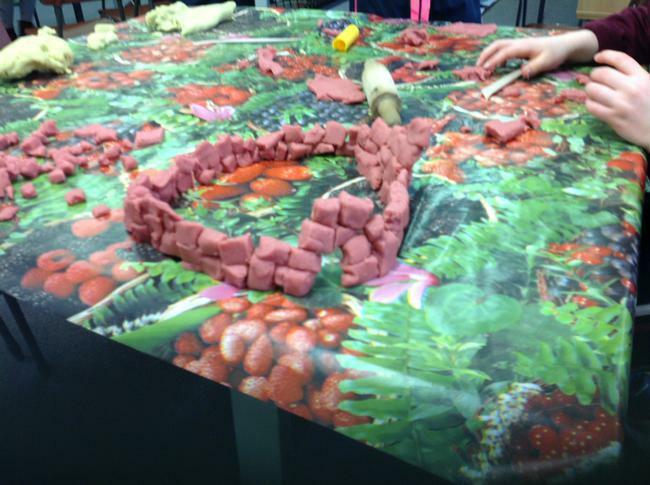 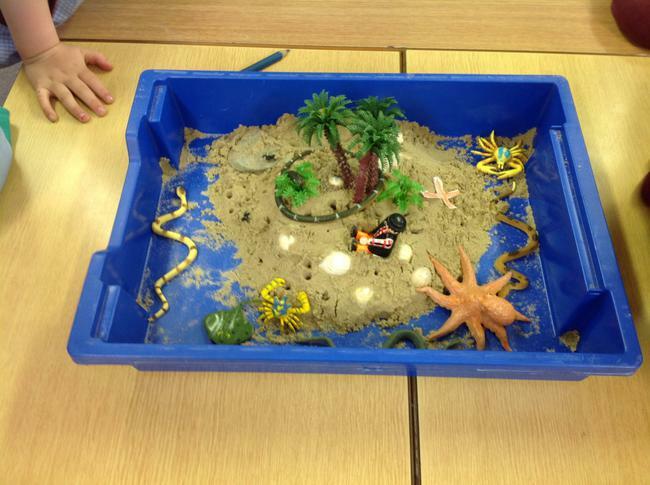 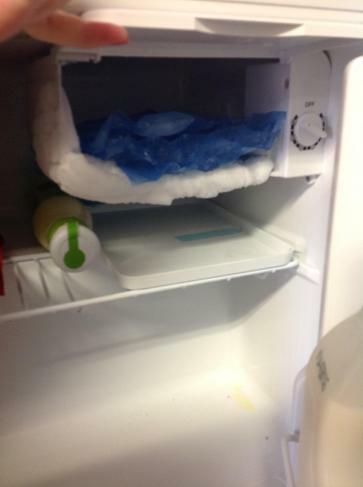 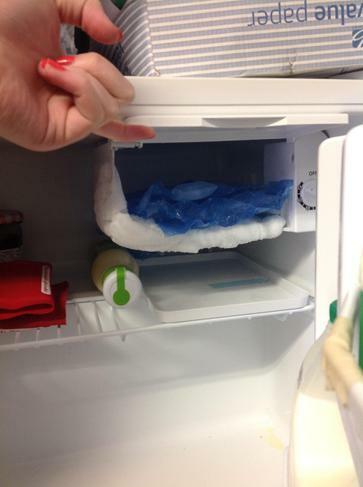 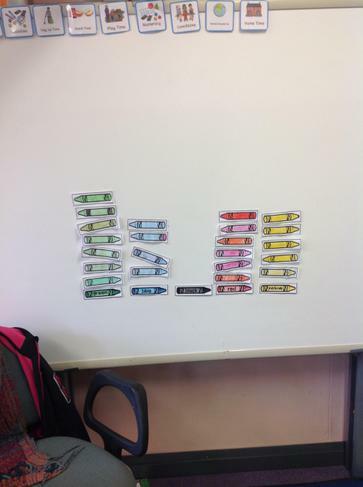 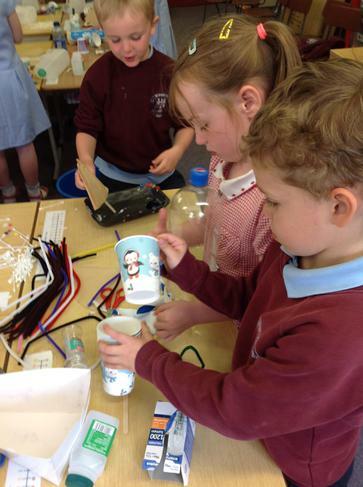 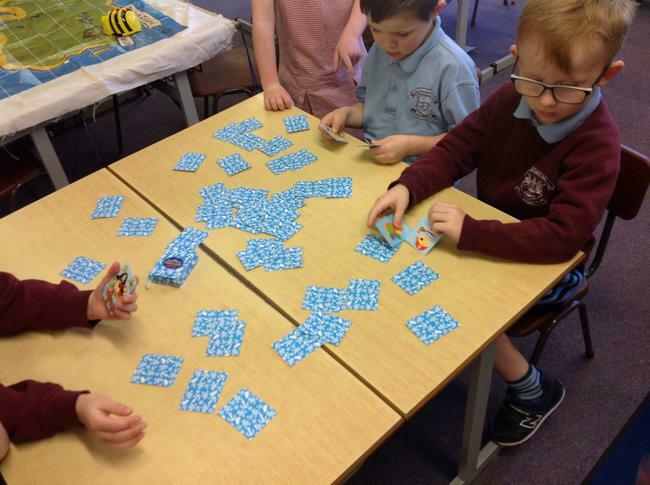 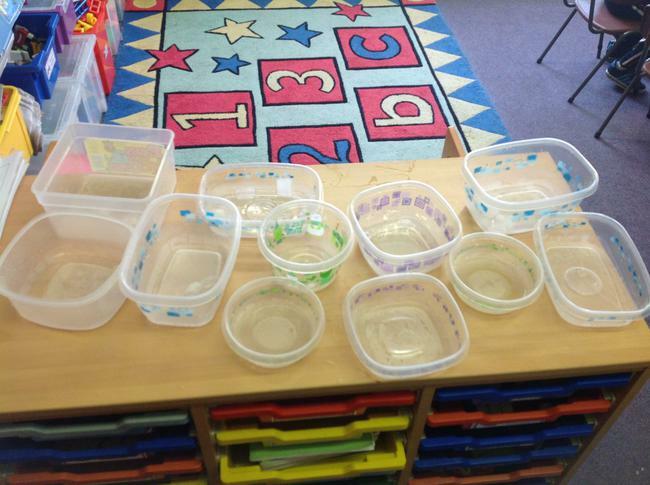 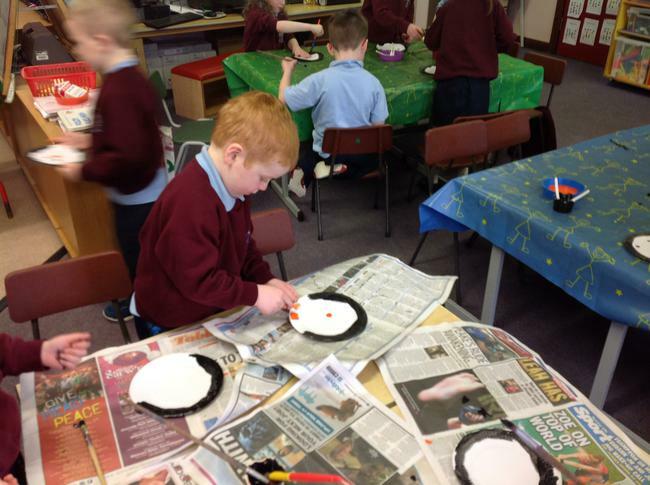 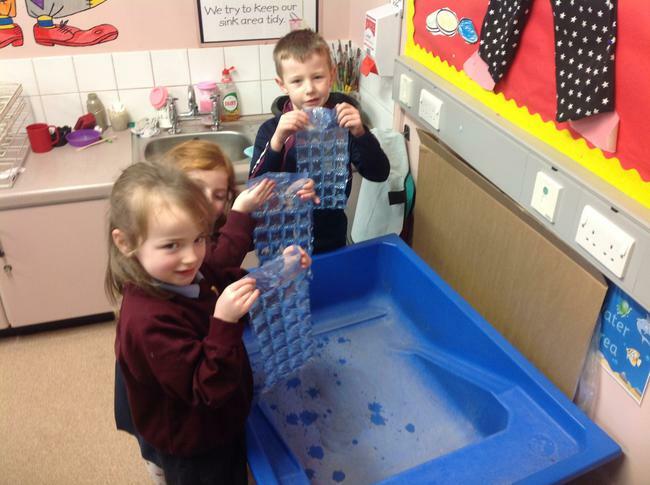 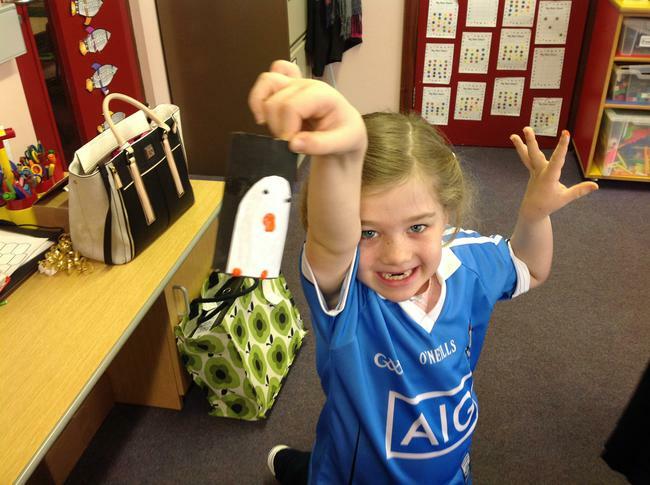 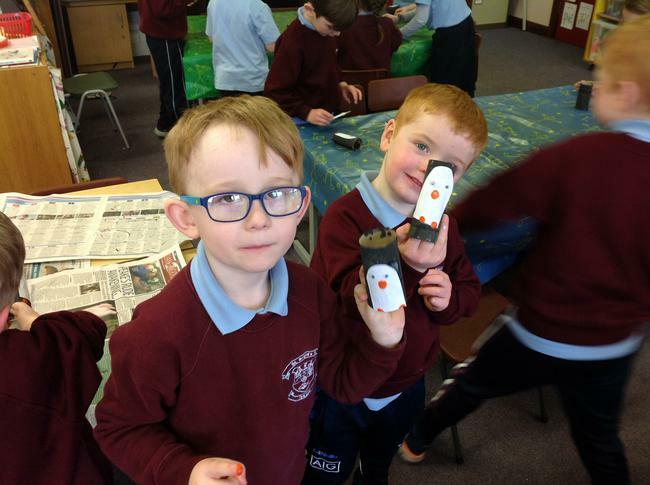 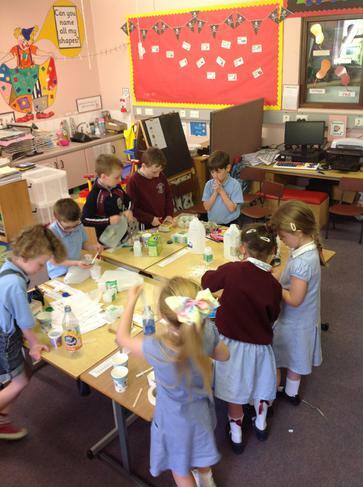 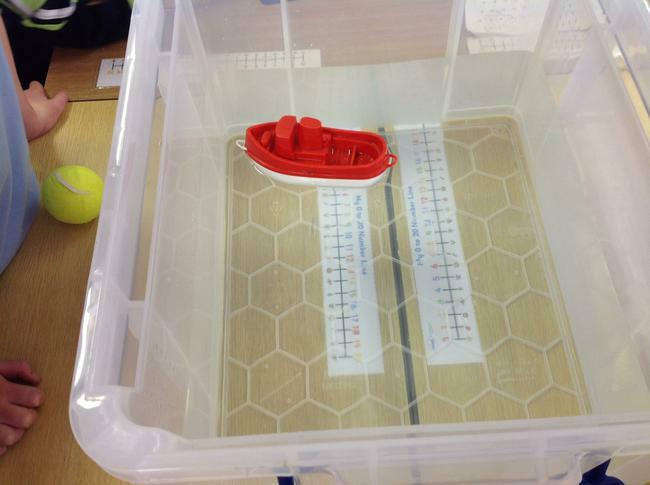 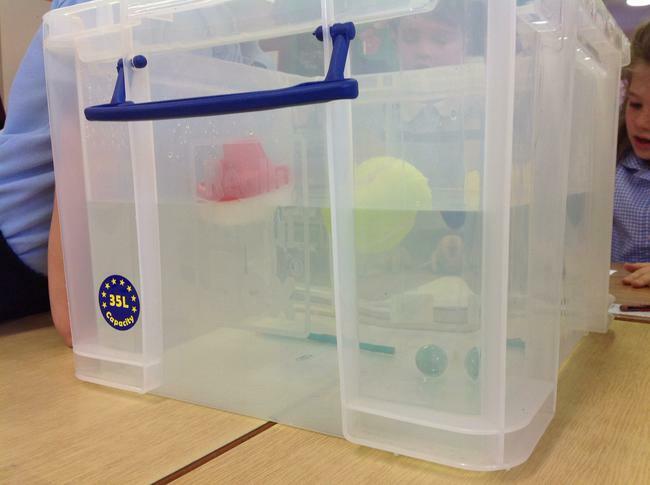 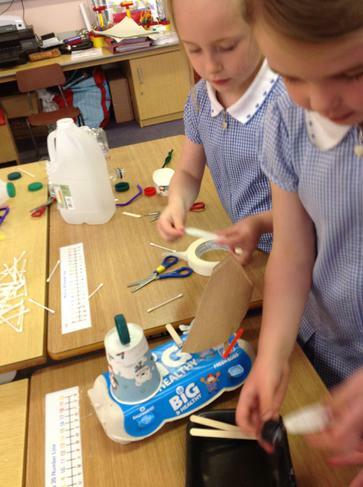 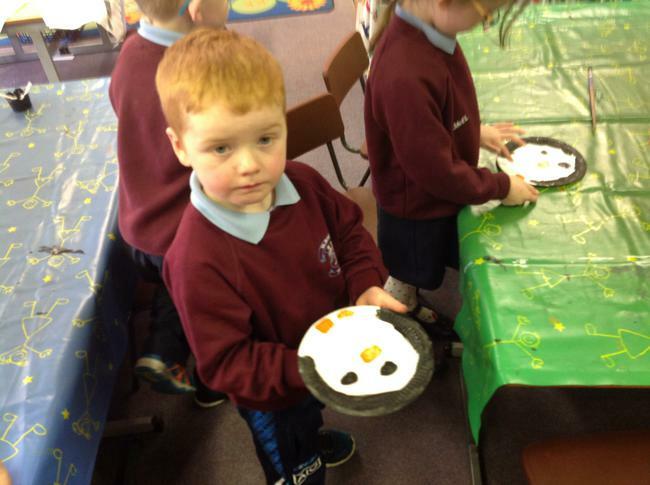 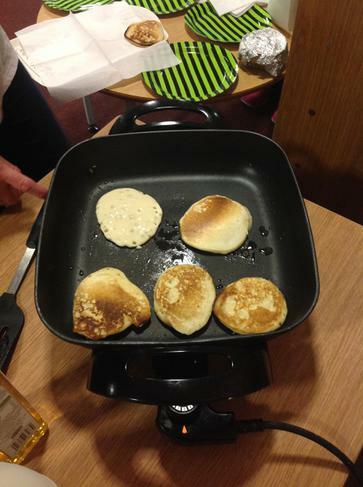 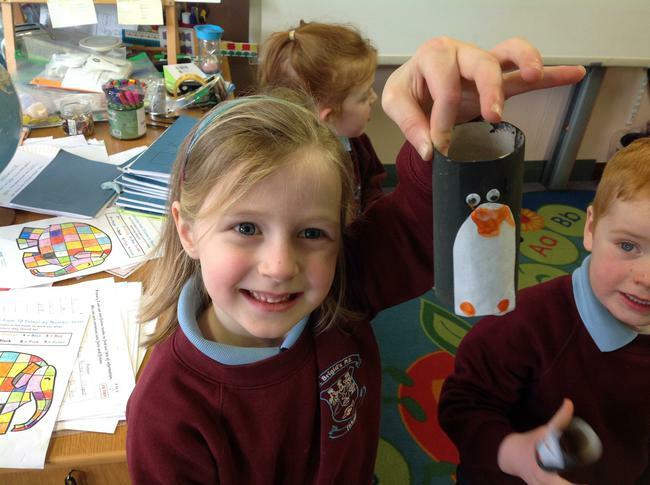 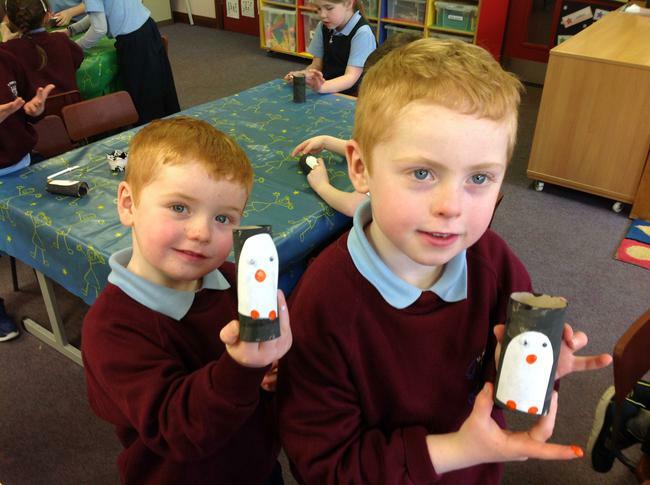 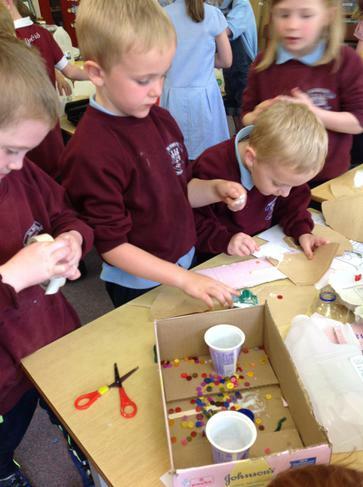 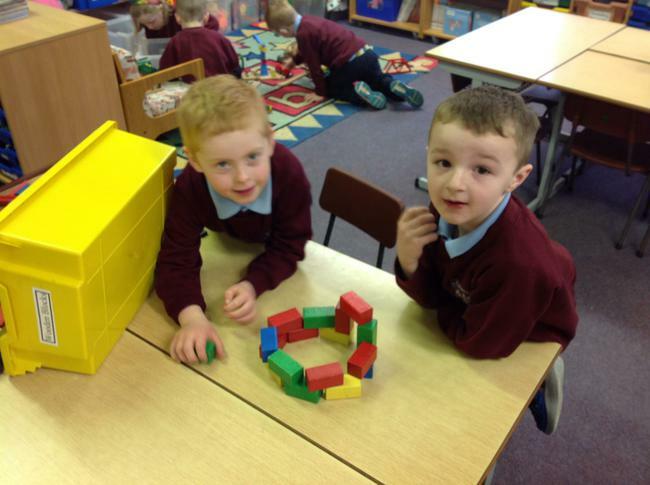 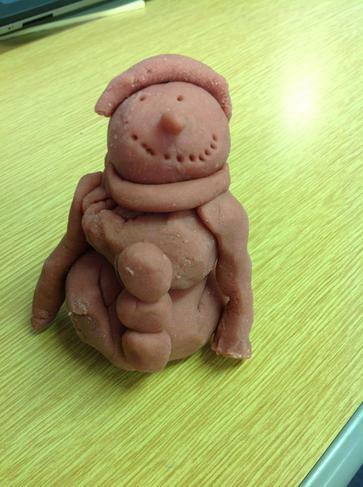 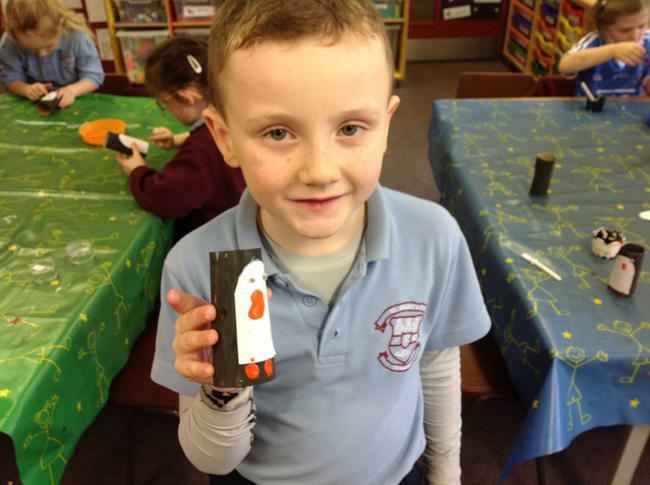 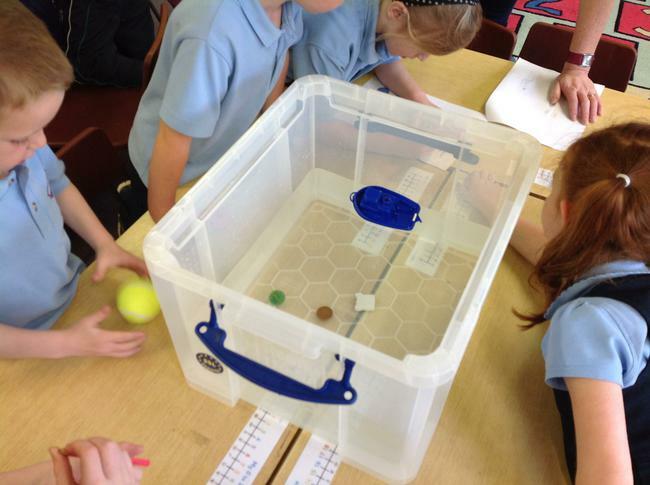 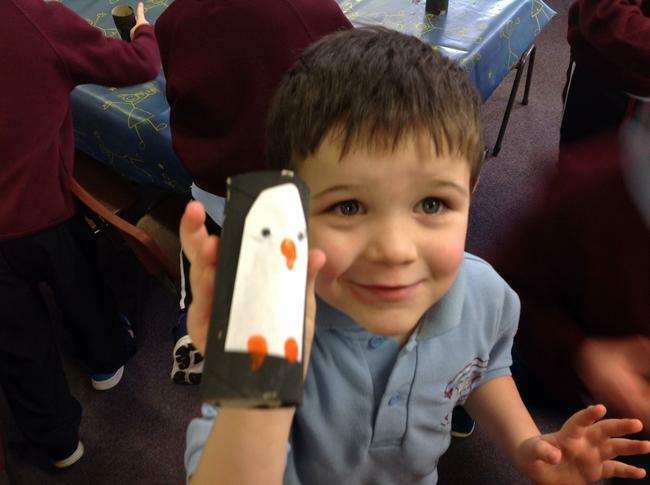 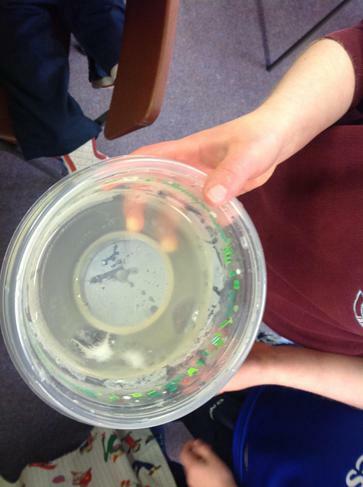 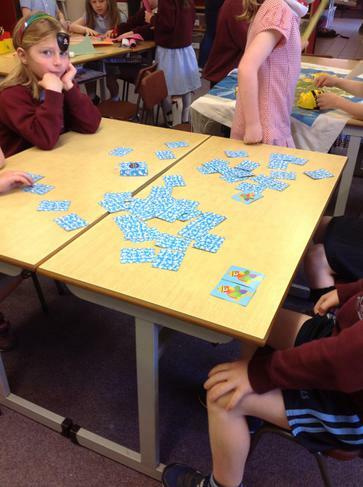 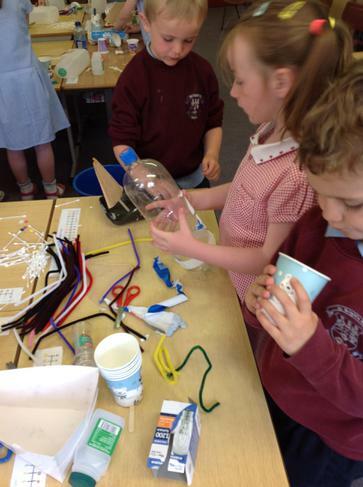 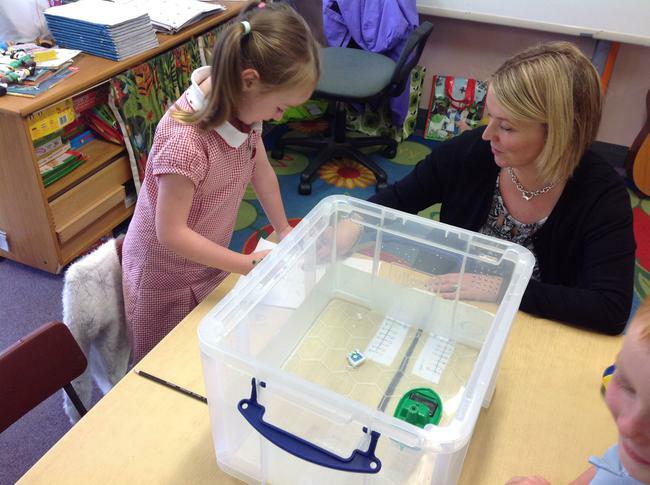 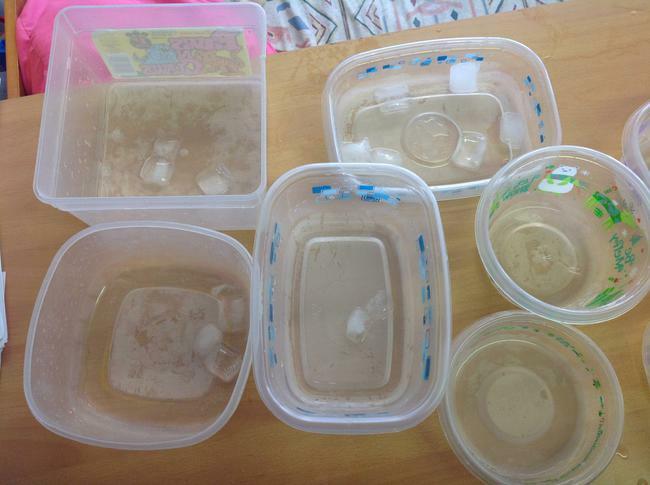 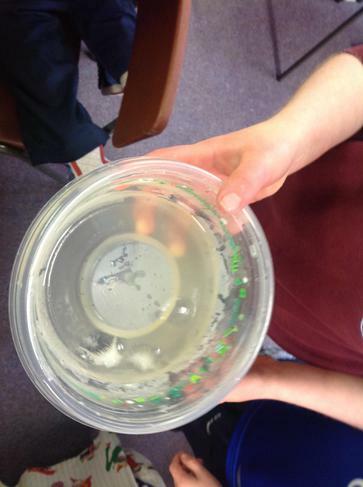 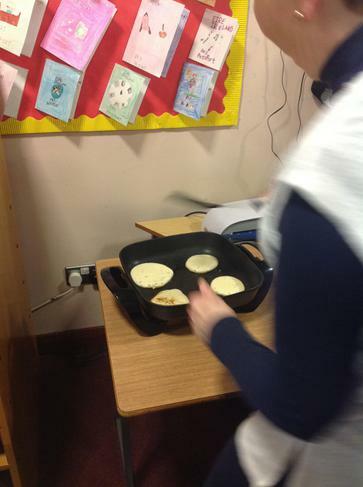 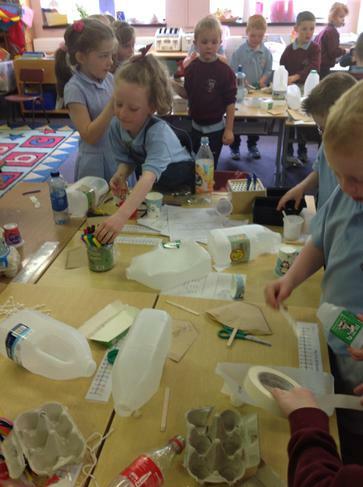 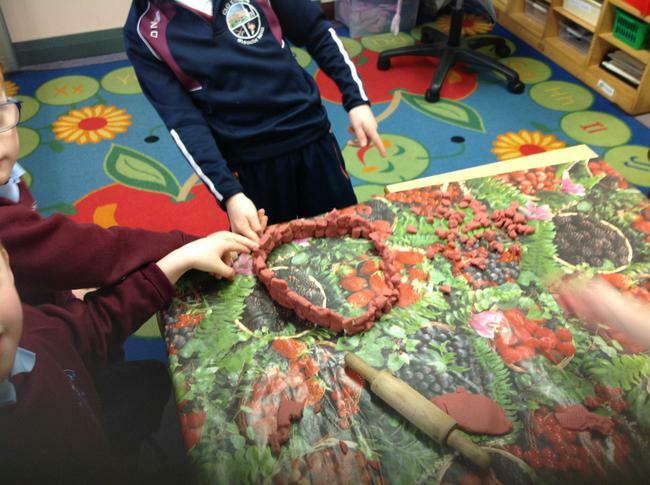 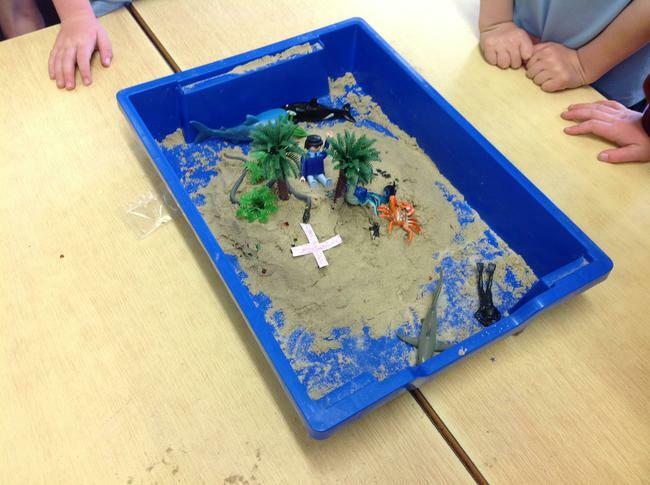 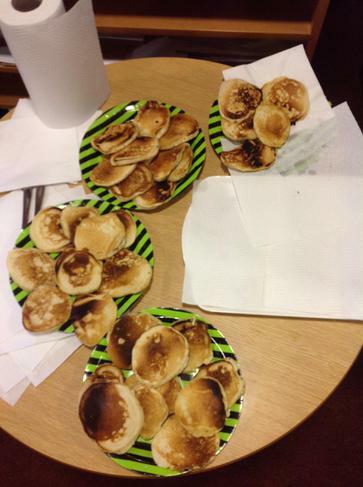 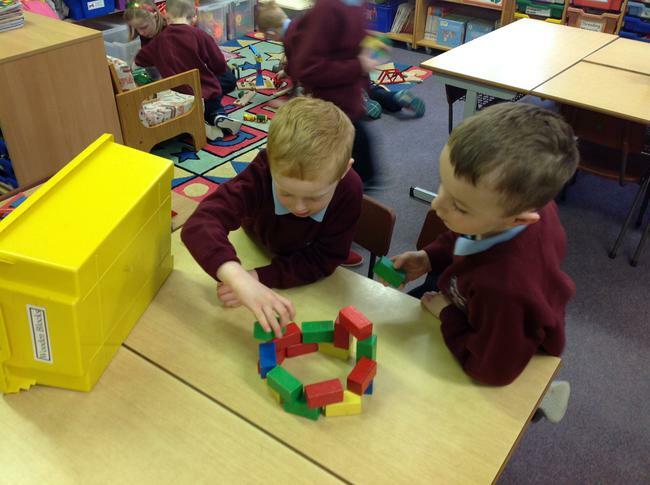 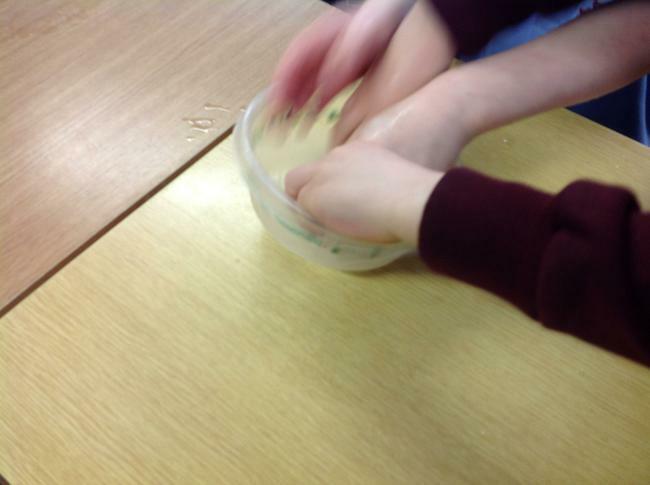 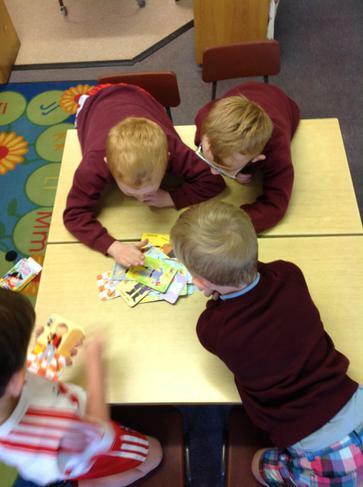 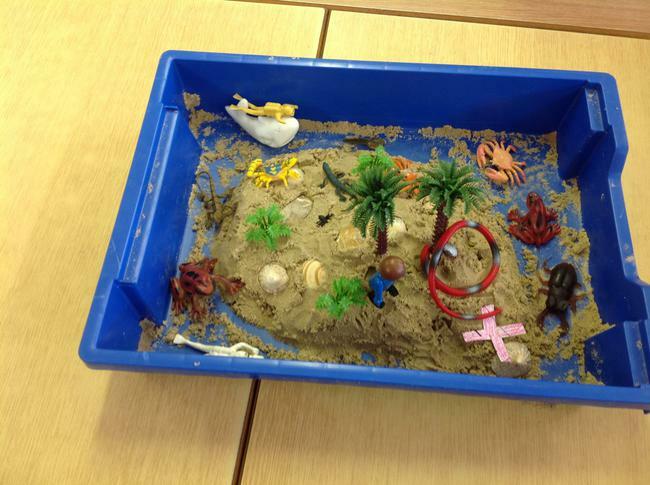 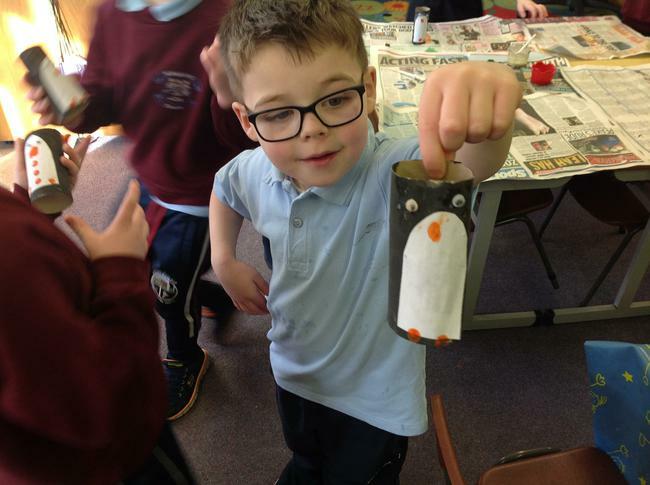 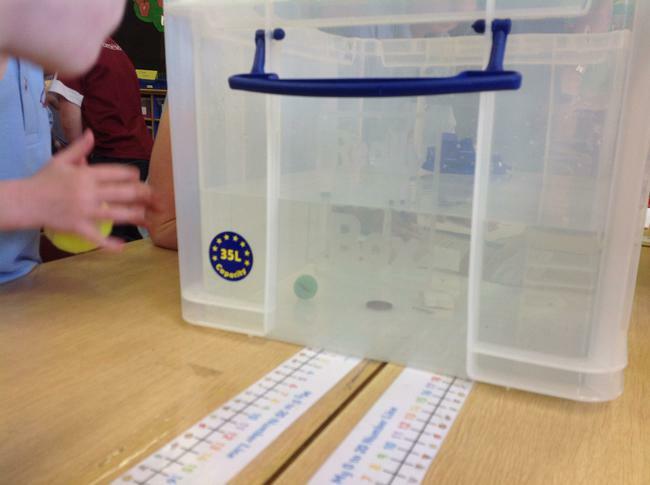 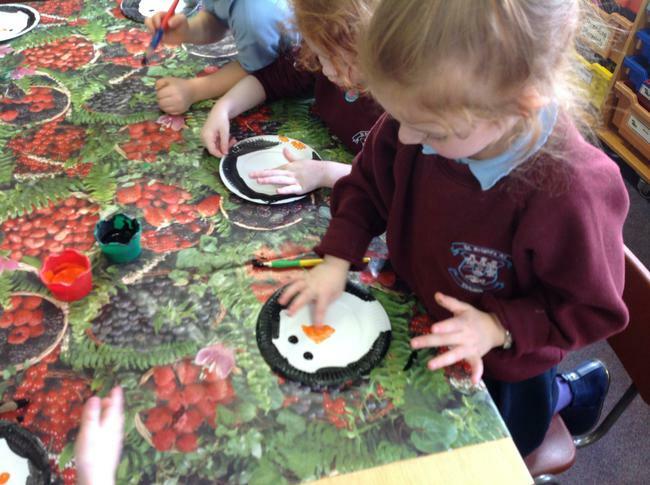 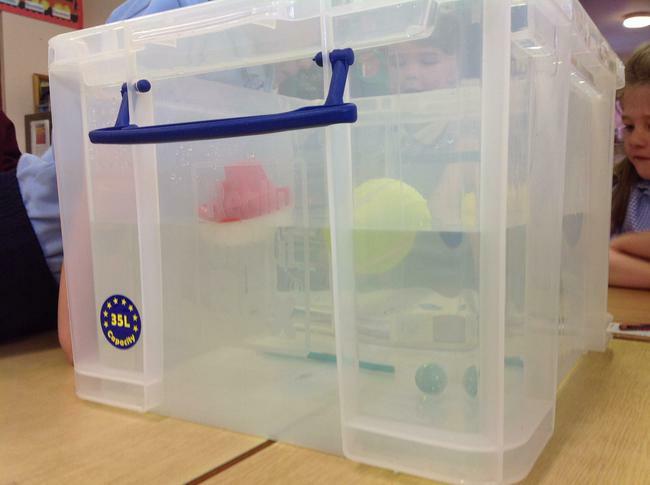 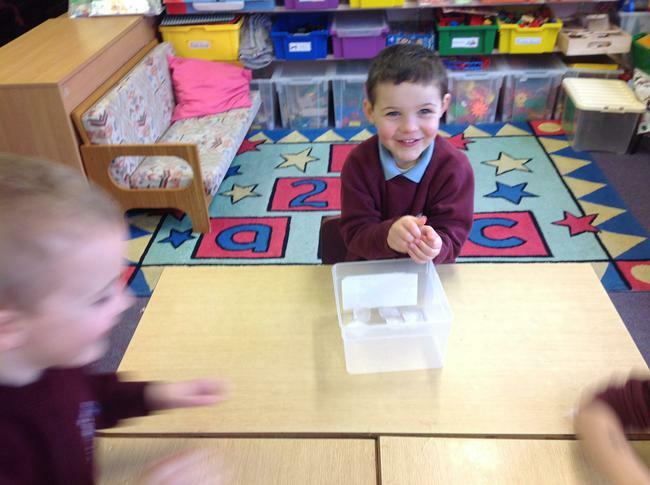 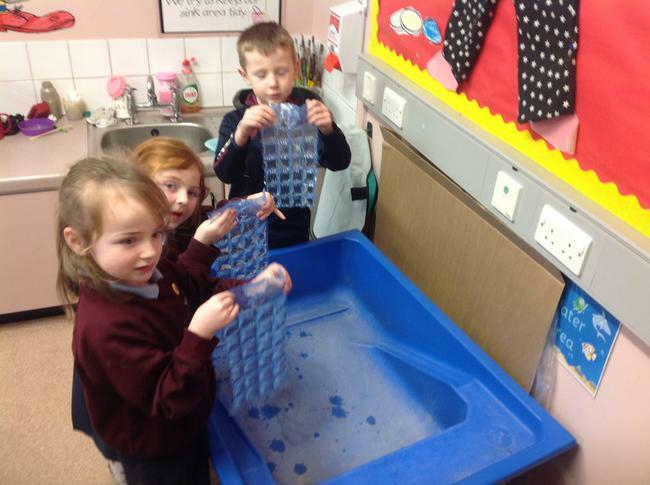 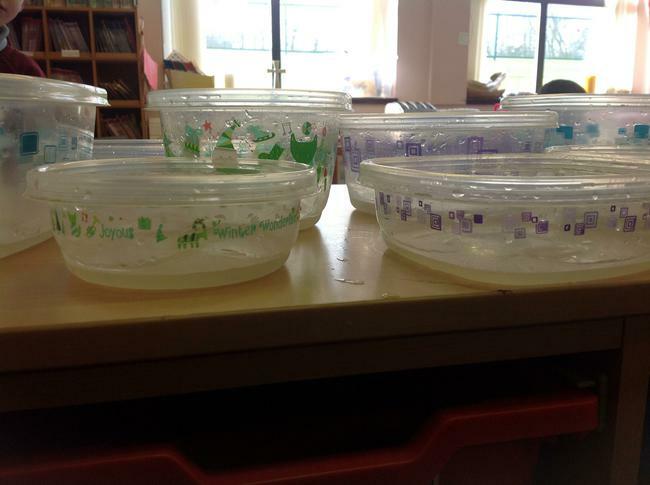 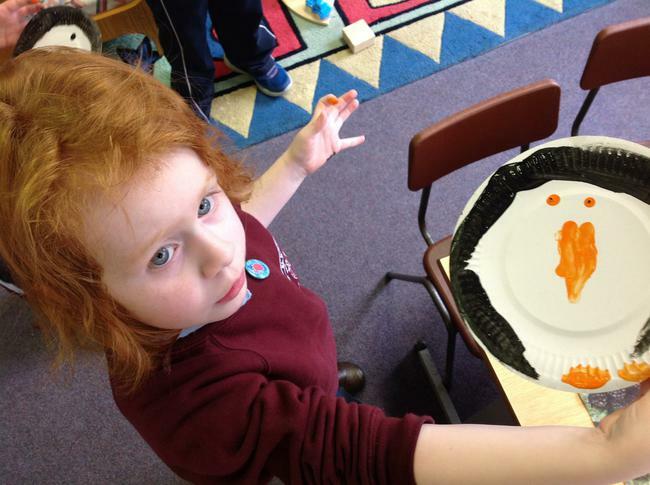 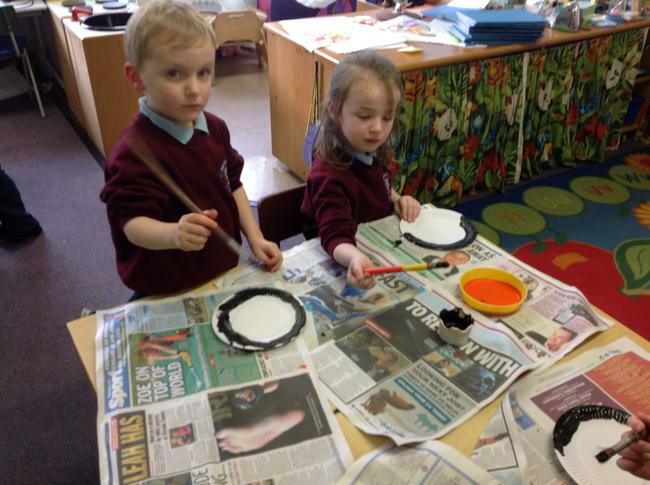 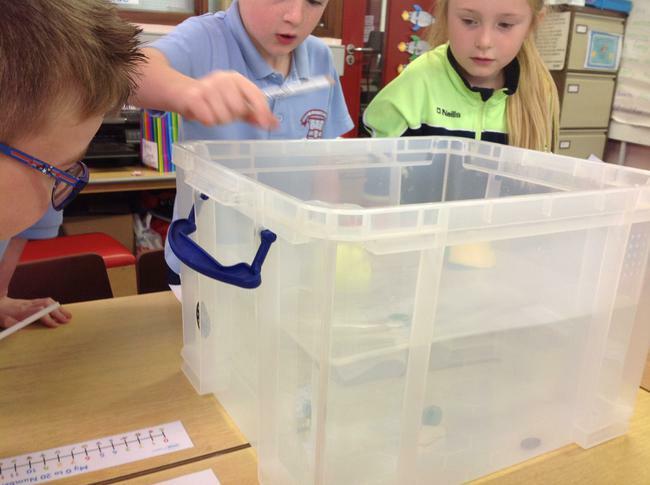 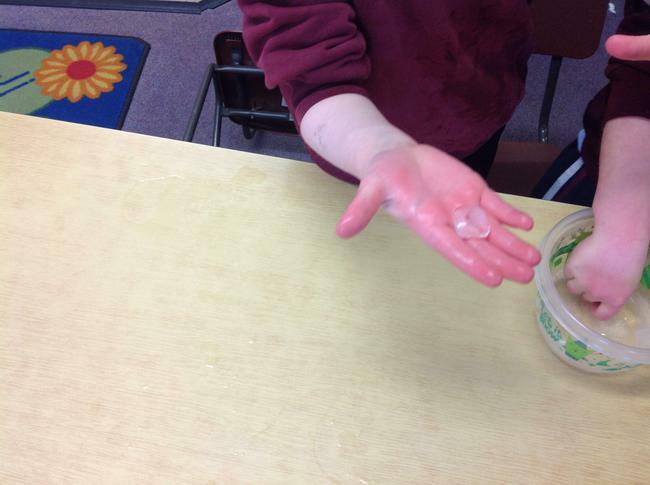 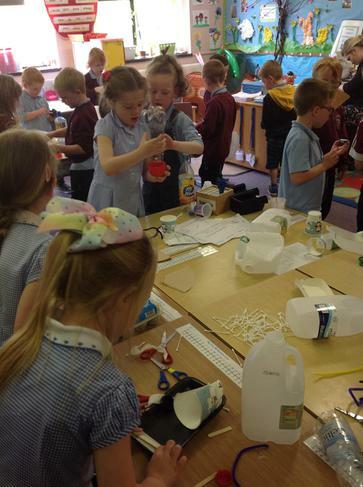 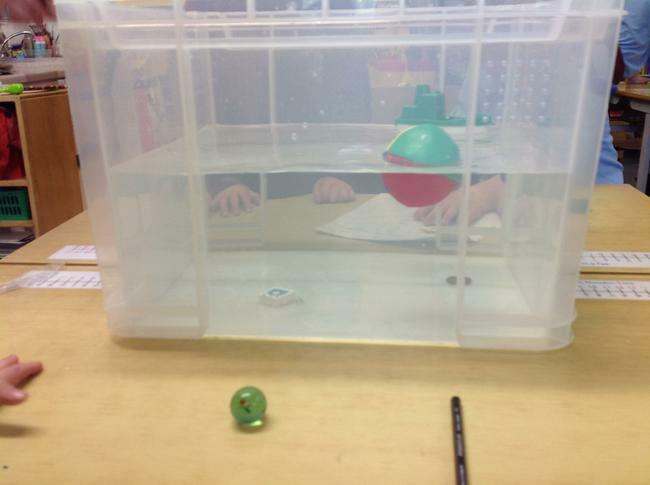 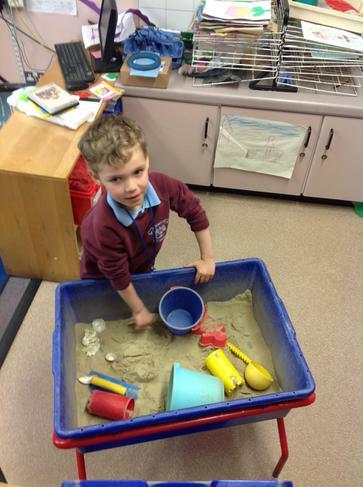 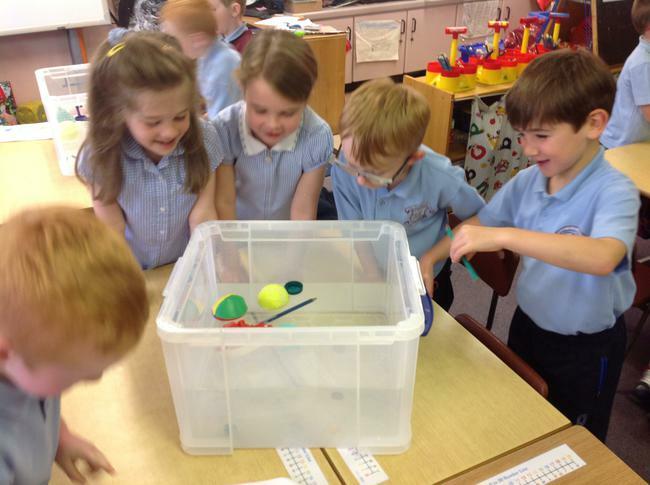 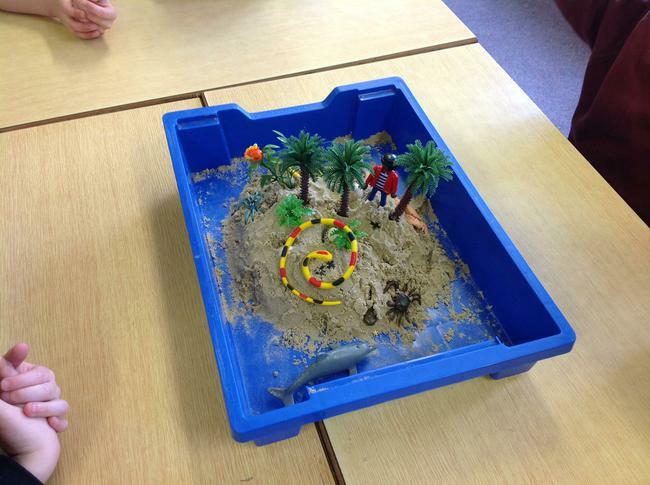 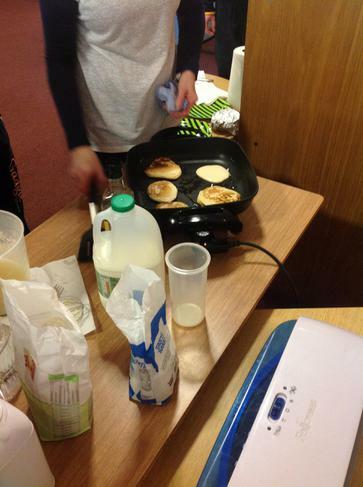 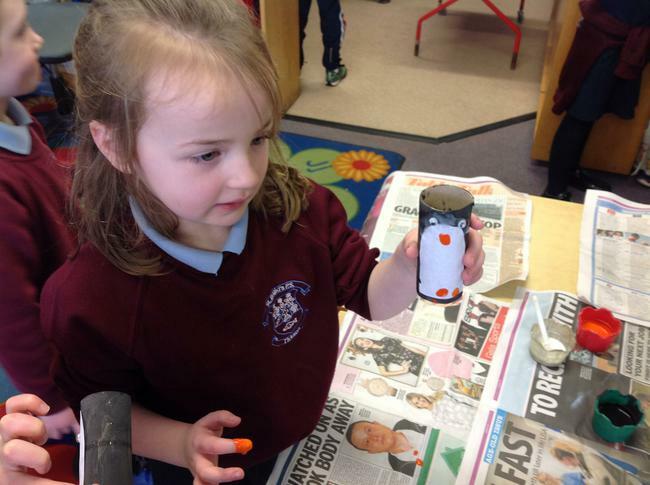 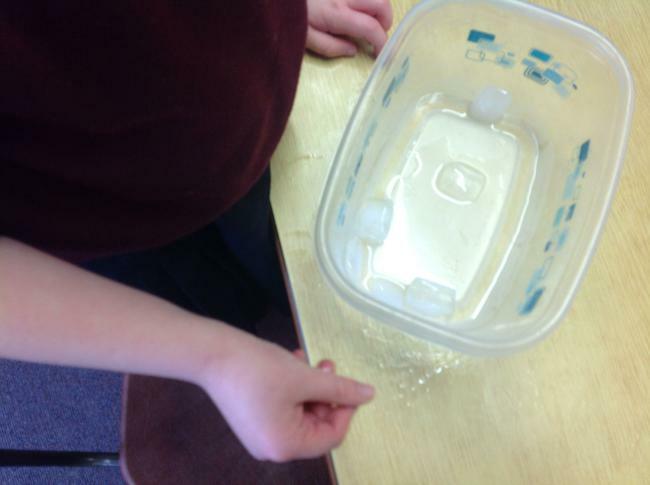 We produced some fabulous work! 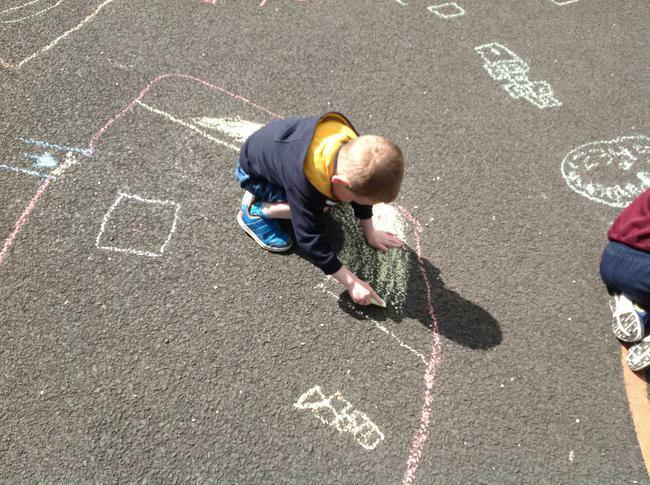 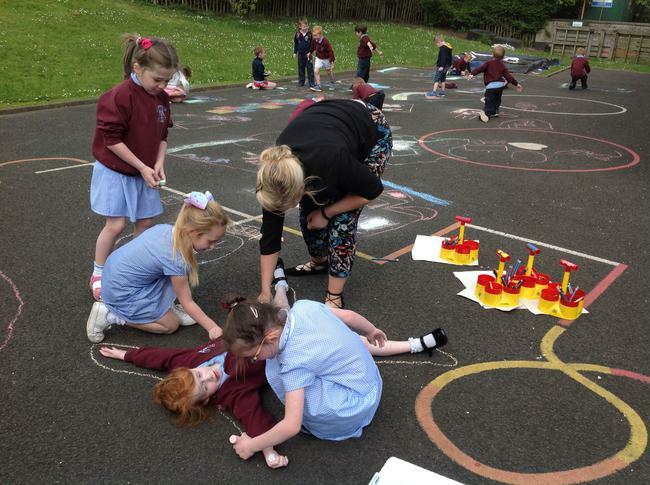 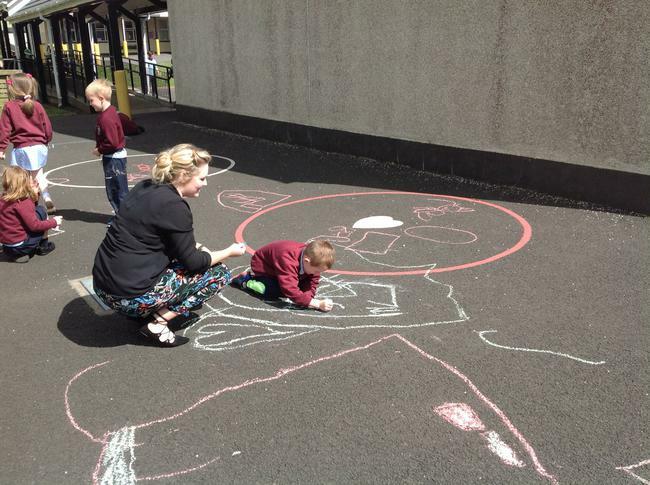 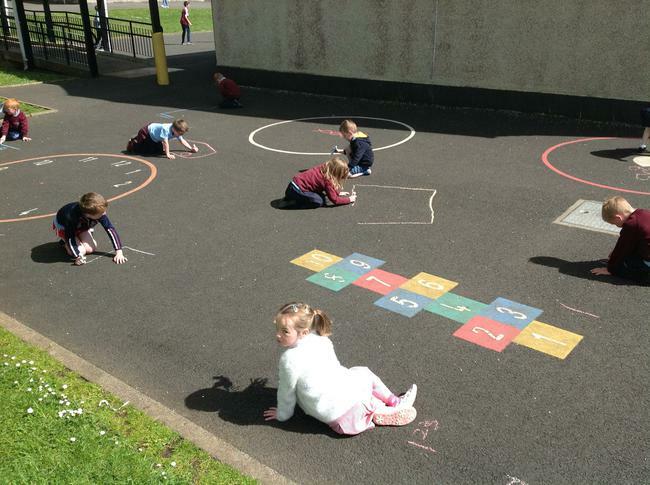 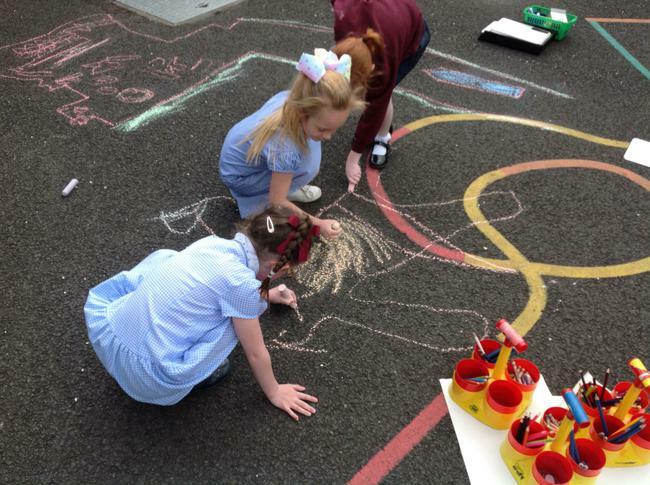 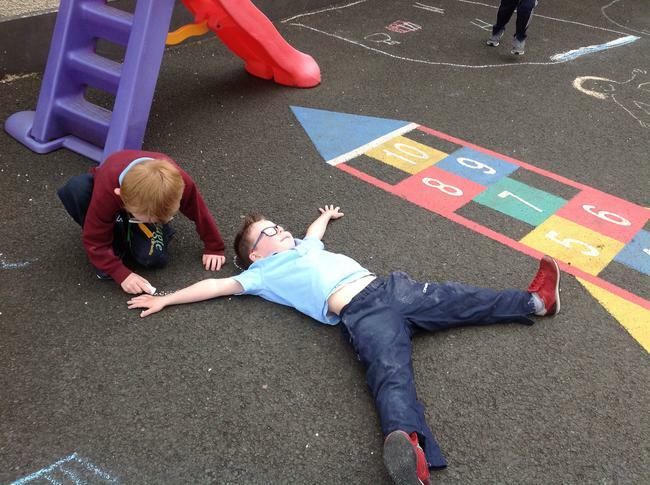 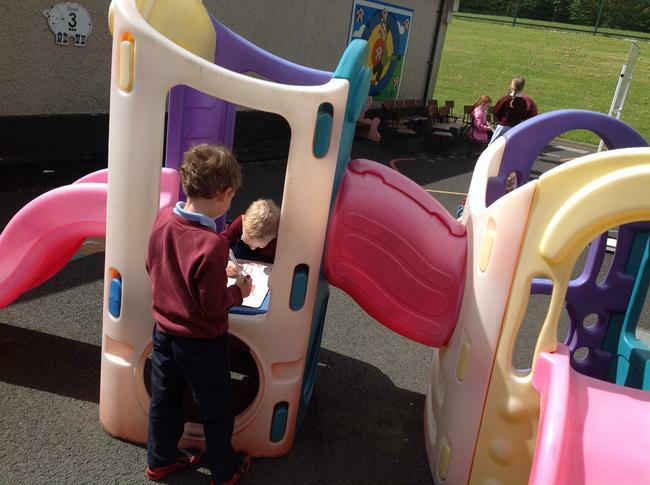 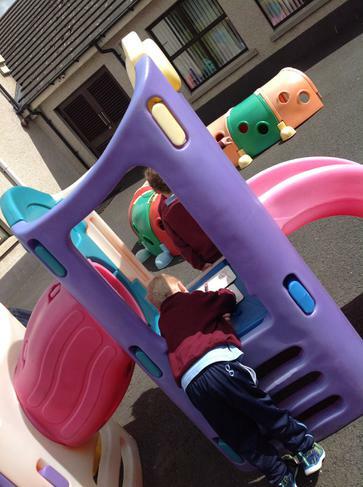 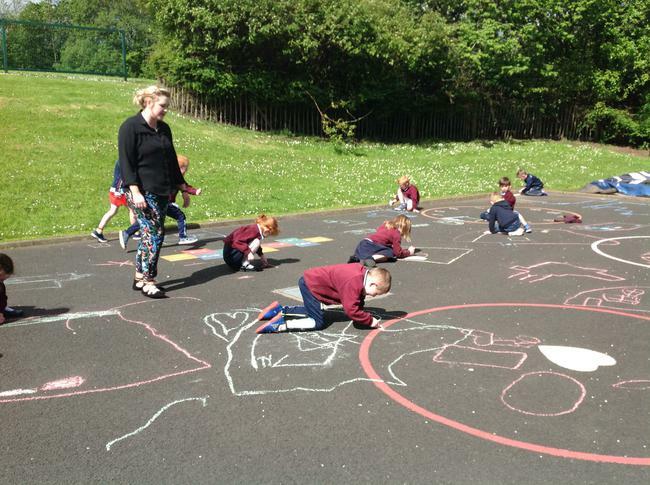 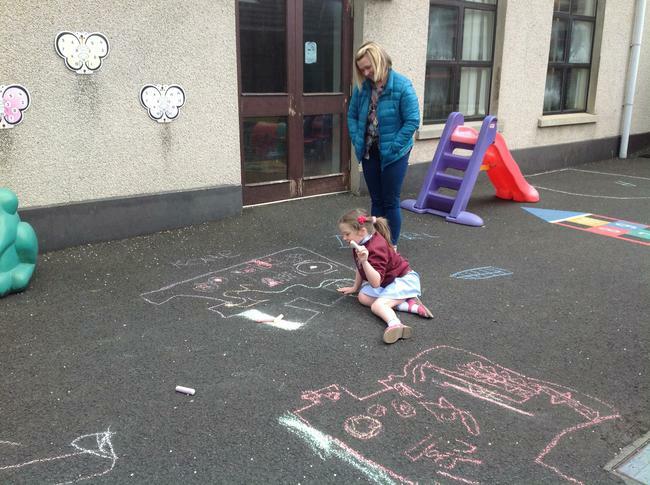 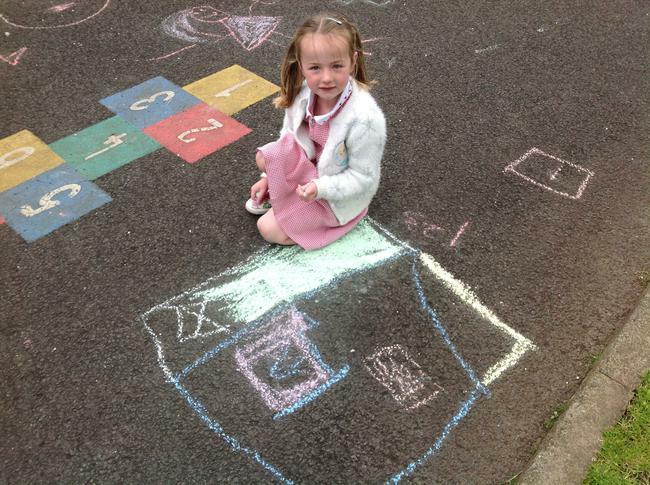 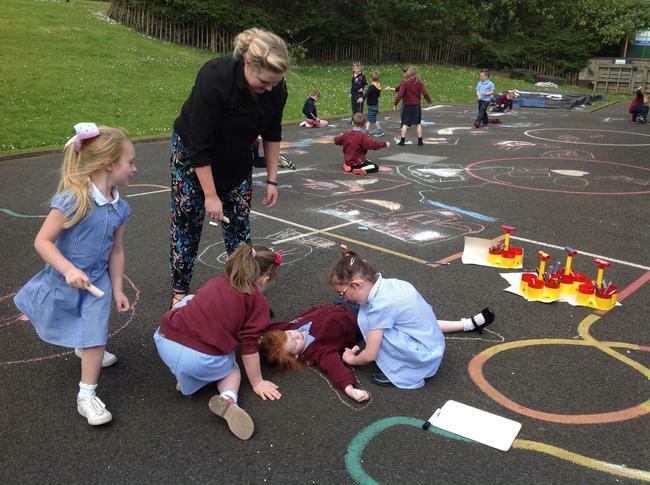 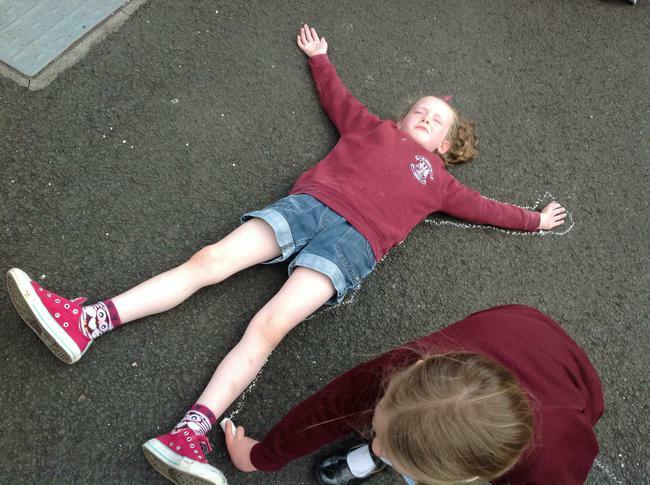 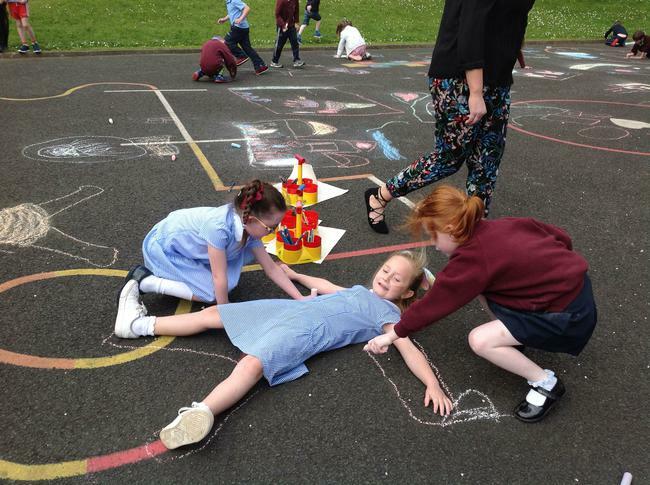 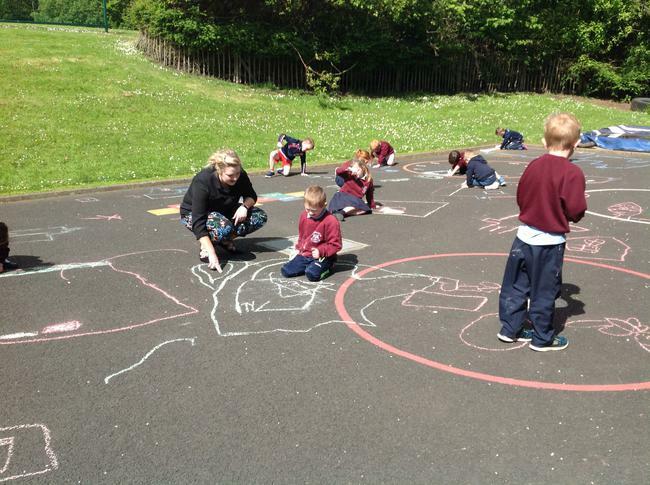 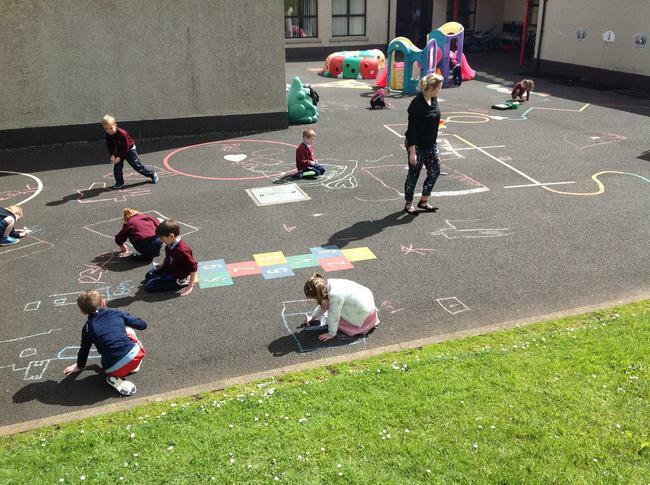 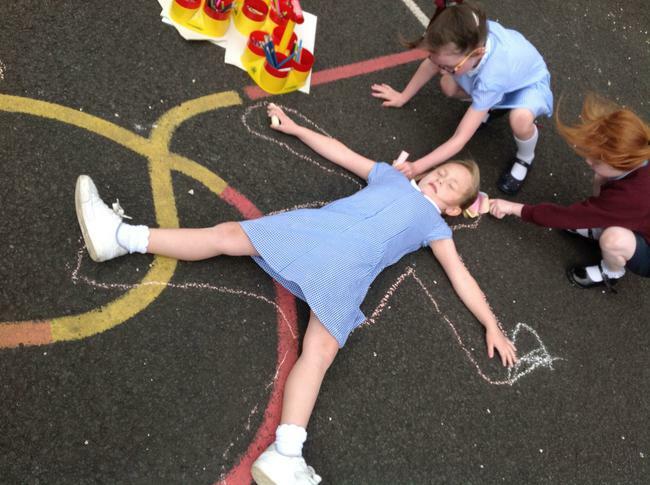 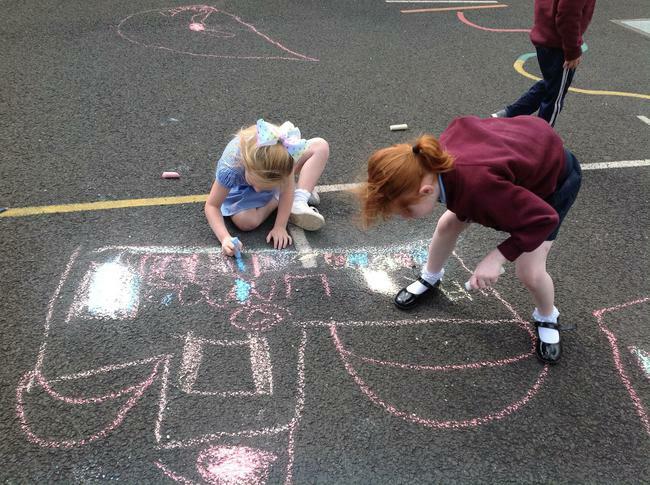 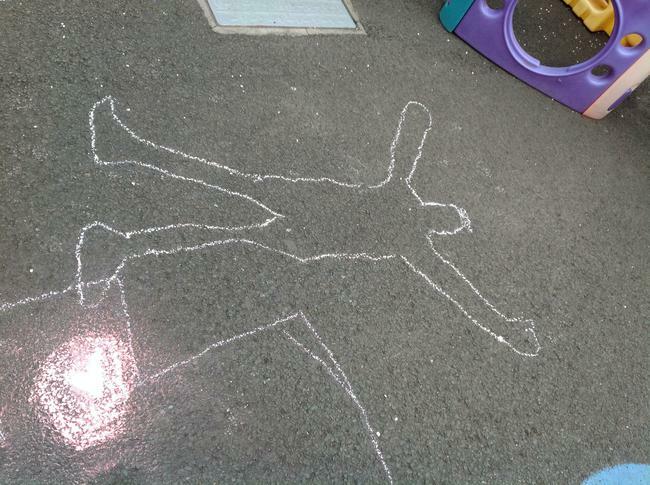 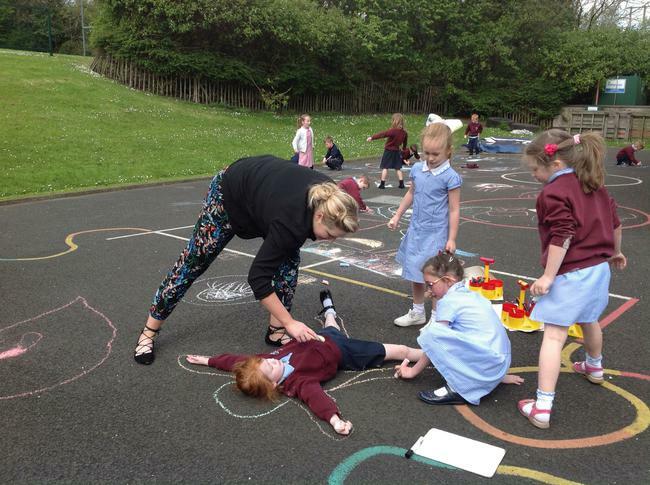 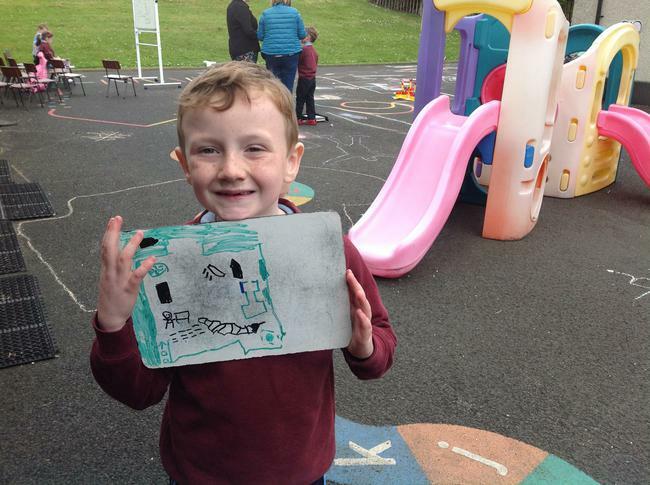 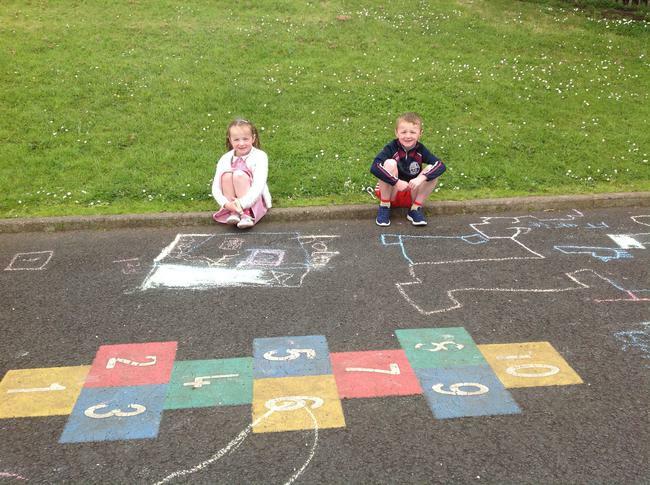 Once we were finished, the children enjoyed playing outside , drawing around their friends and drawing pictures on the playground. 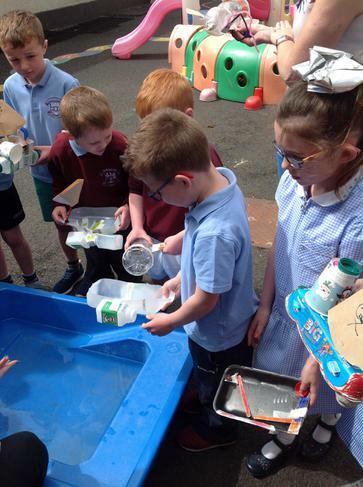 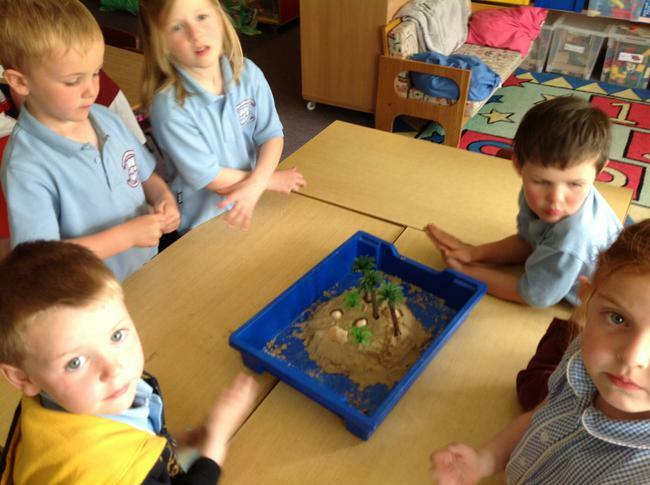 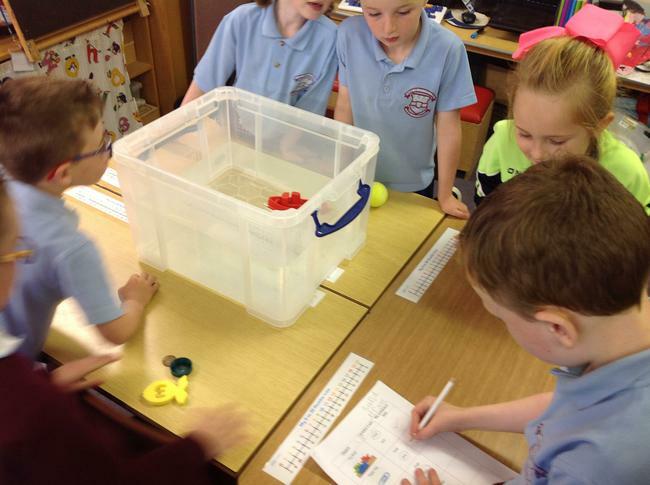 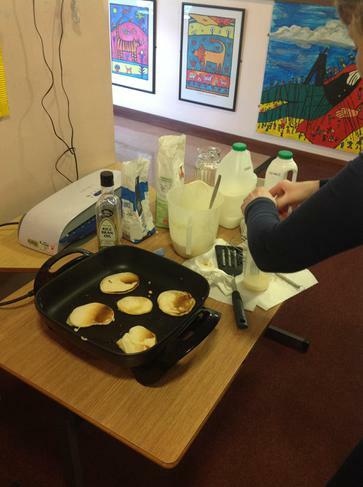 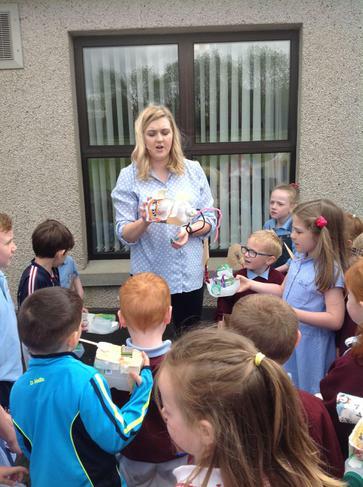 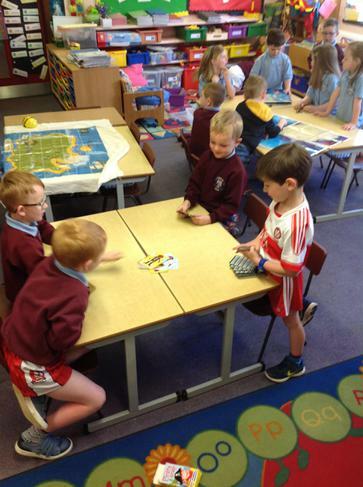 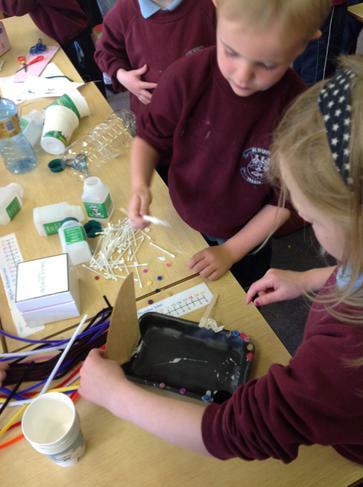 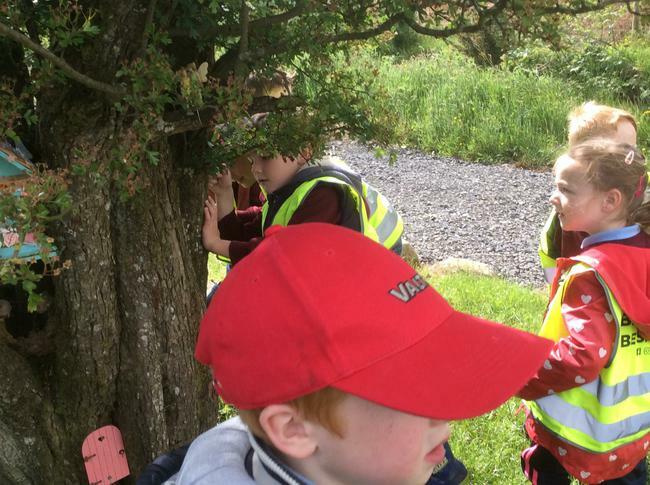 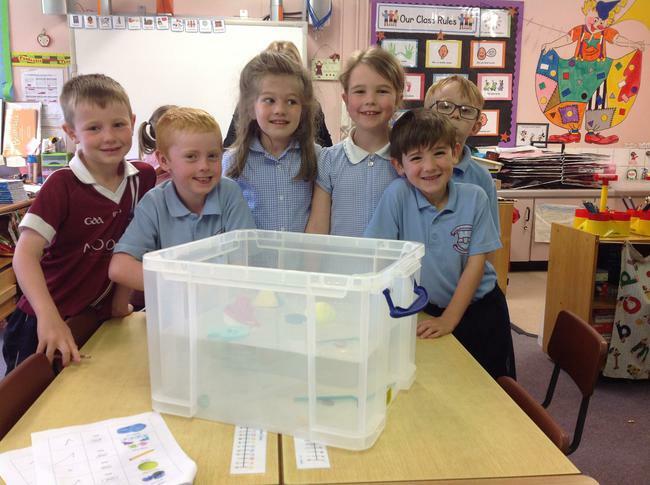 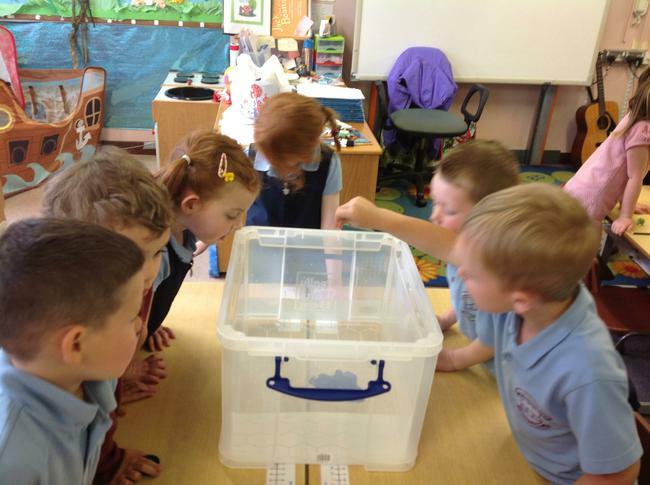 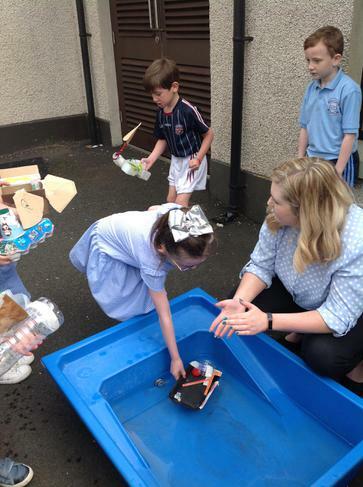 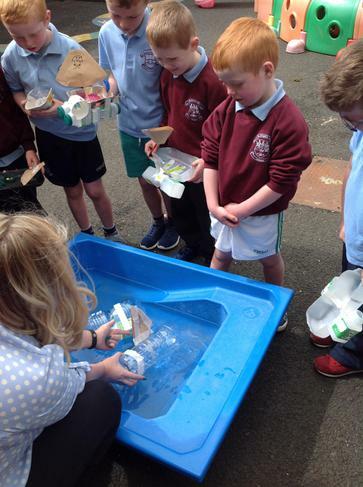 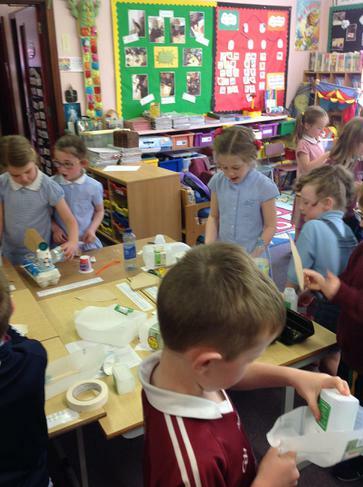 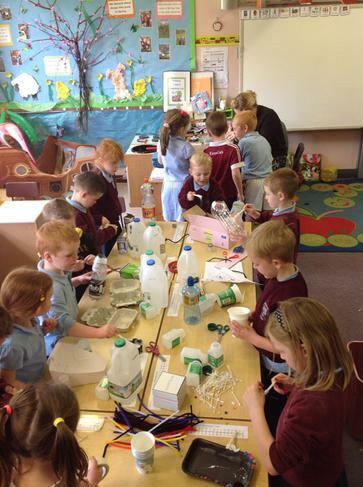 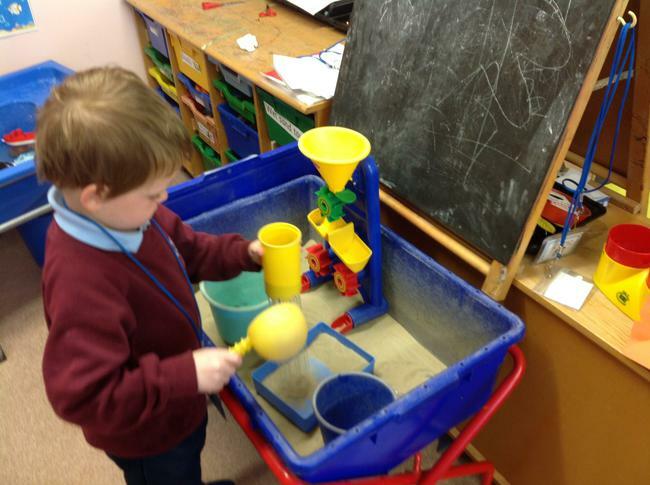 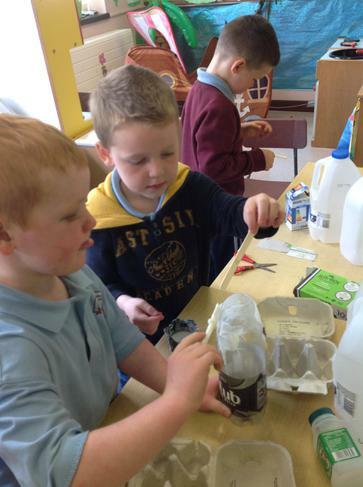 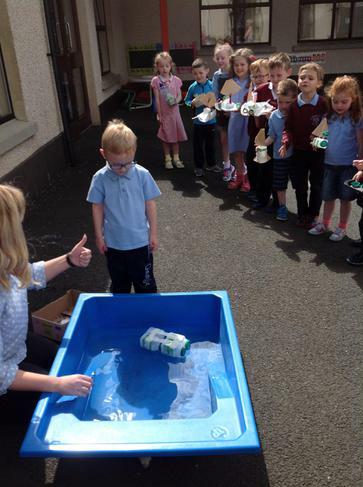 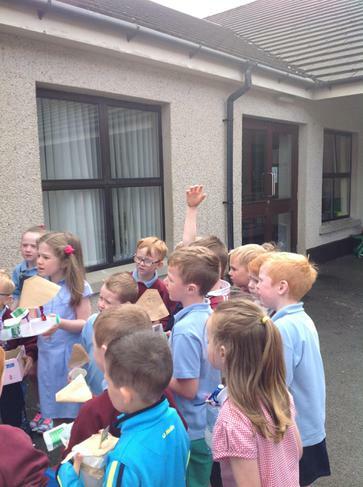 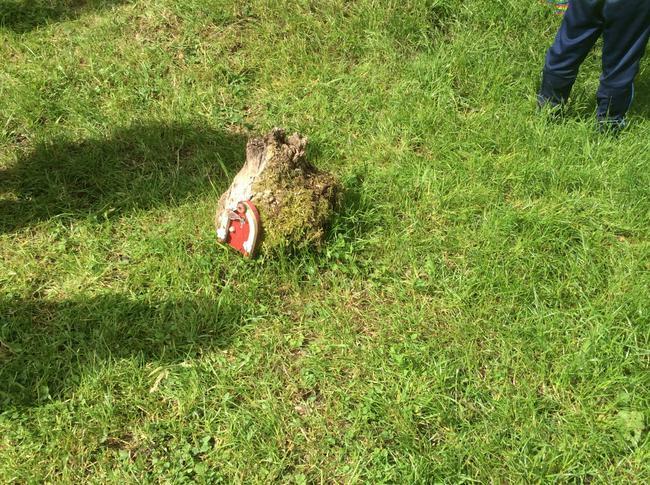 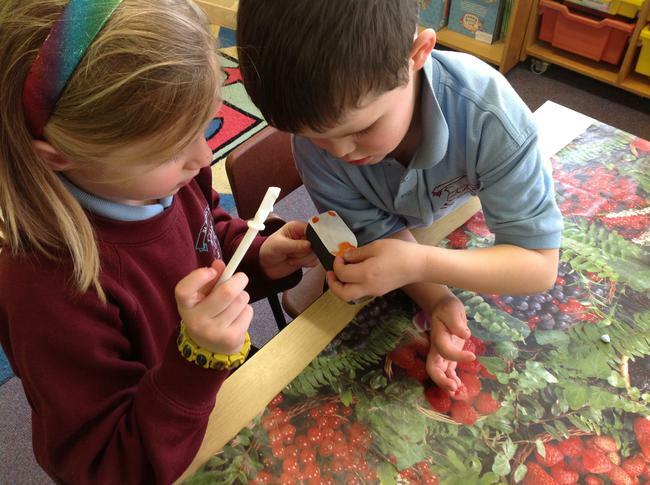 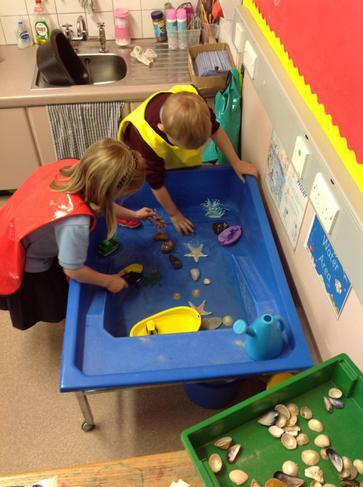 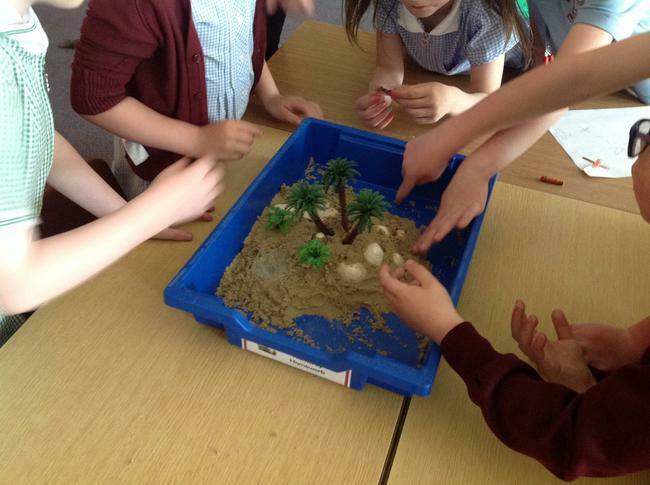 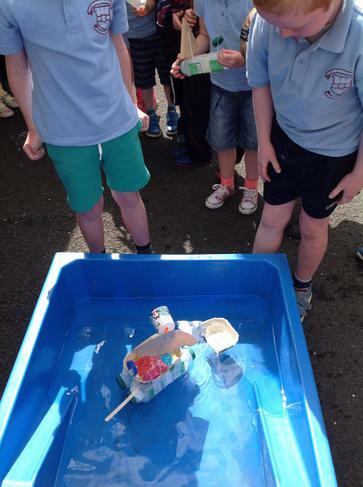 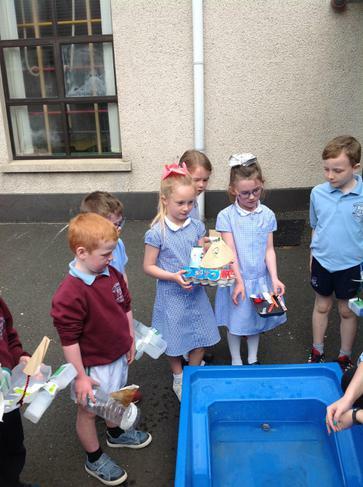 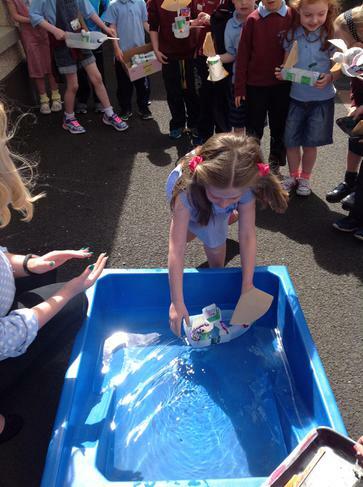 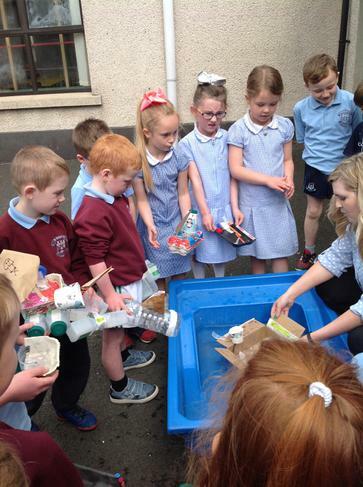 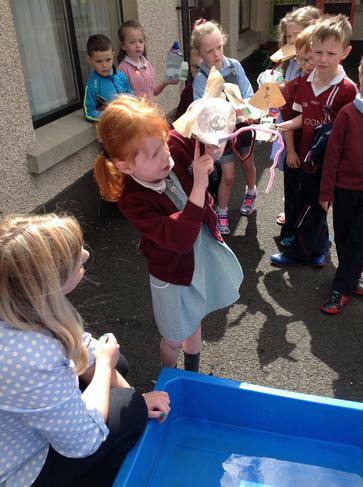 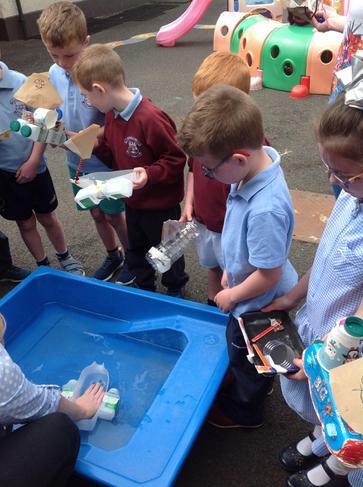 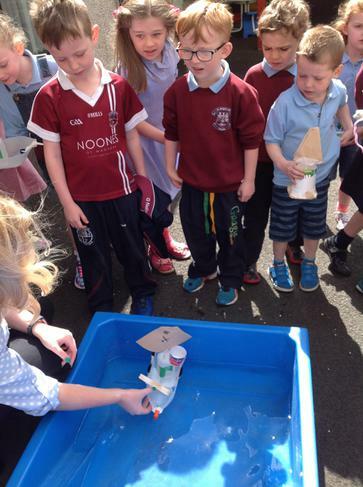 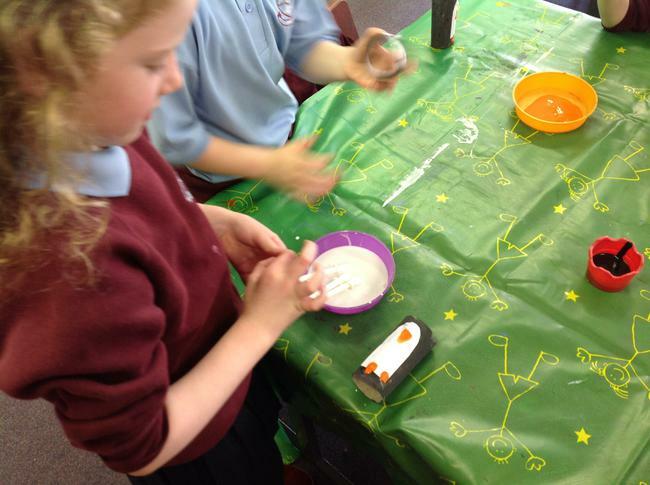 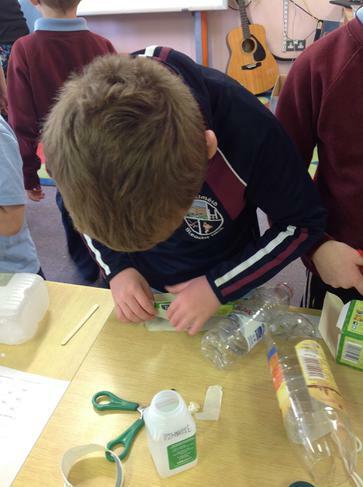 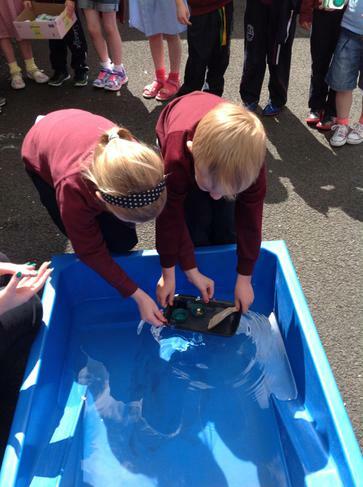 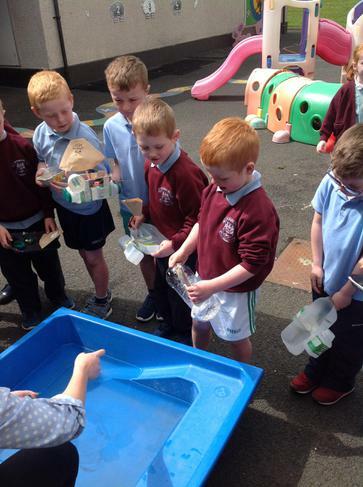 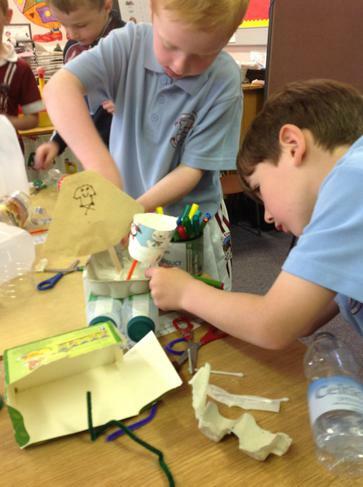 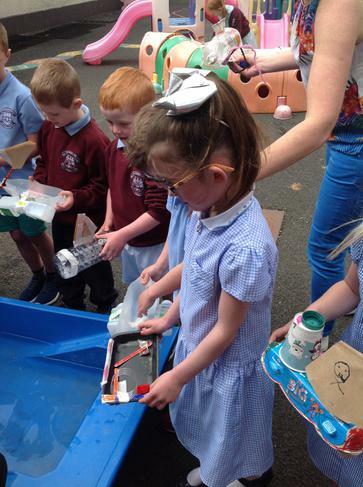 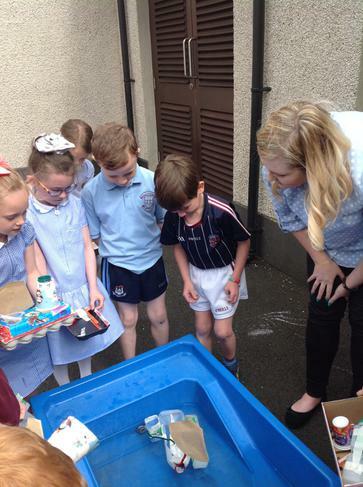 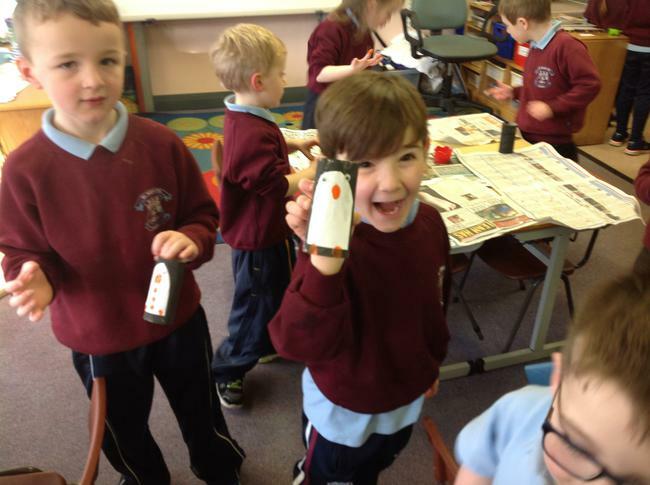 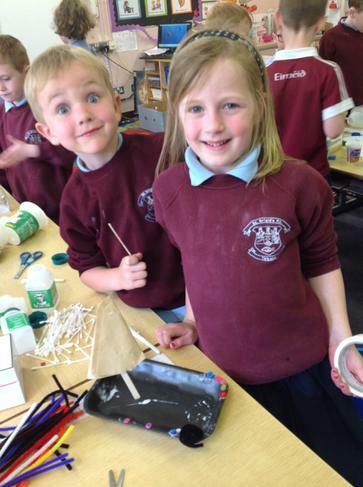 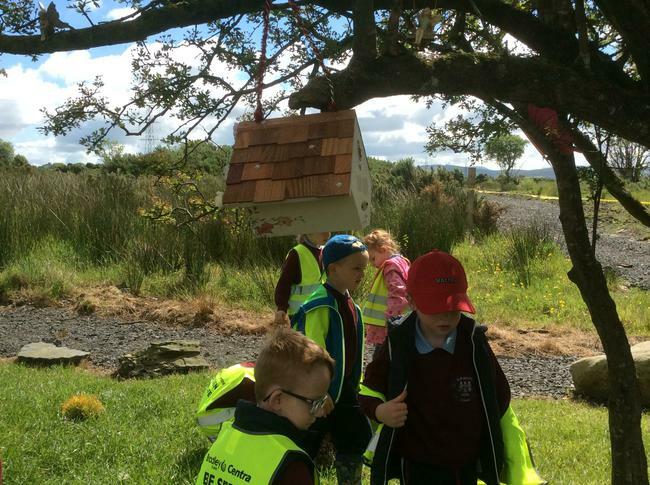 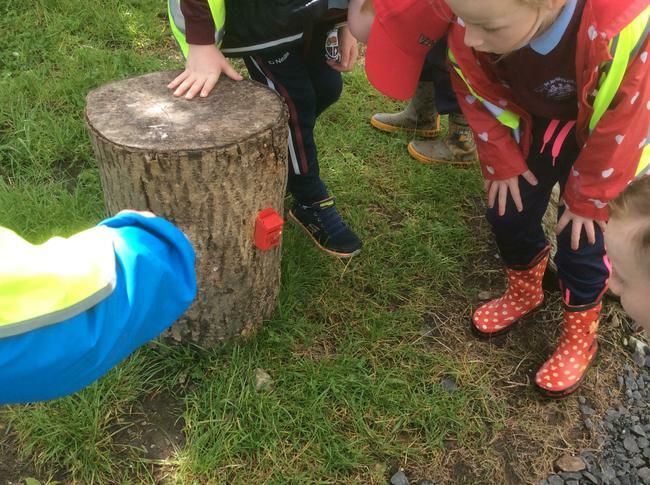 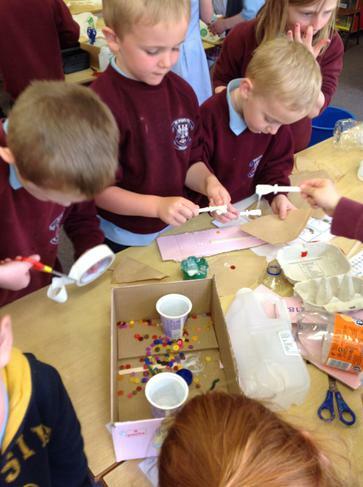 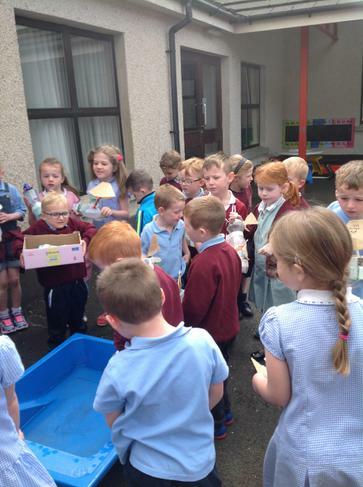 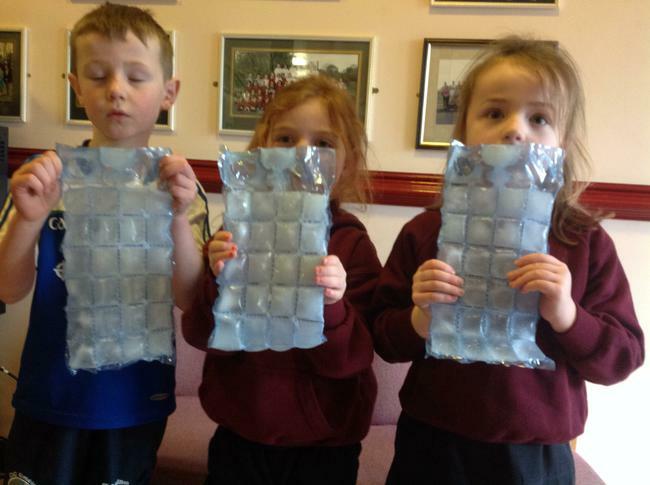 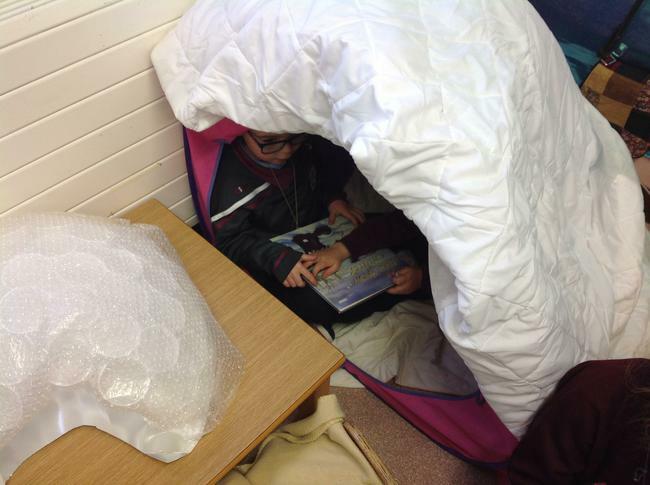 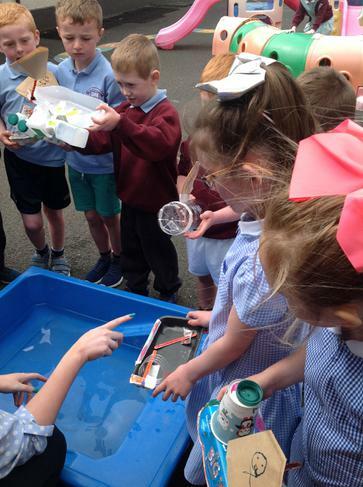 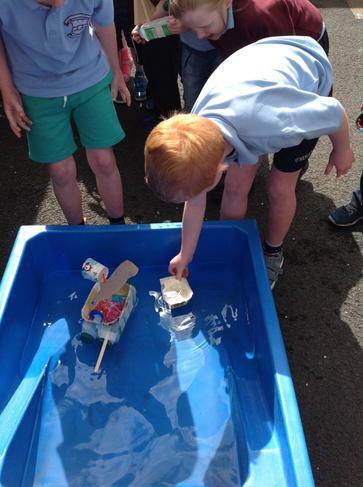 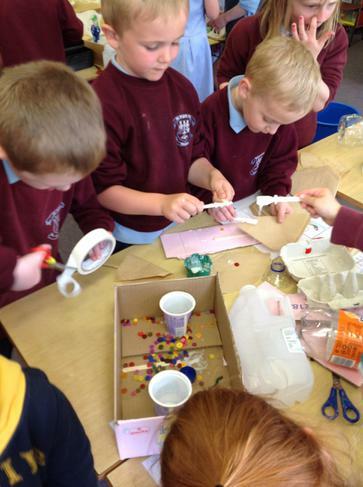 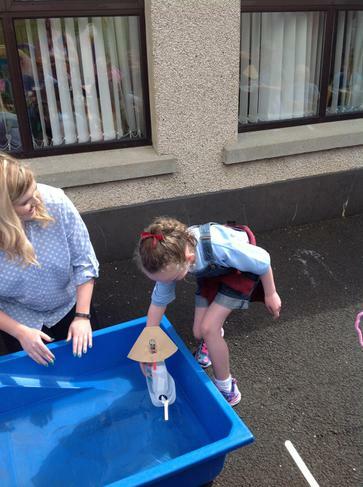 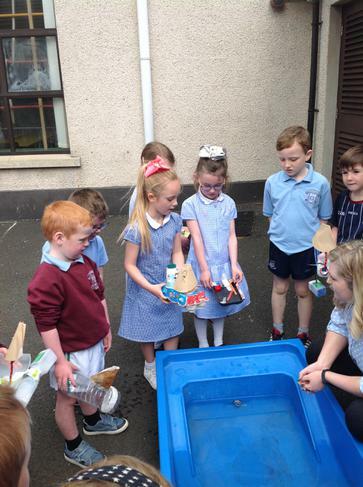 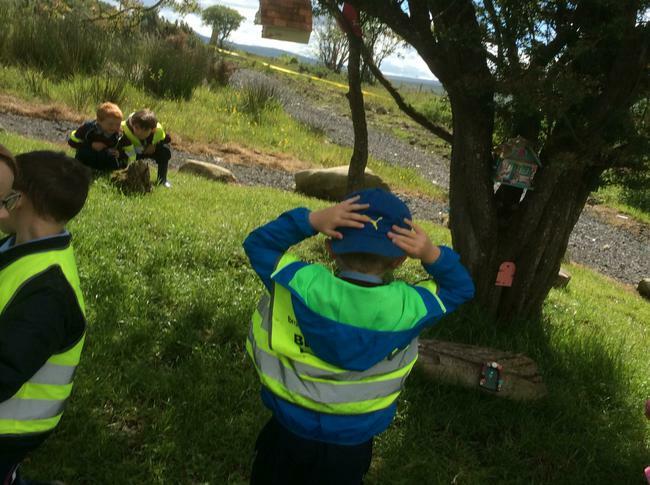 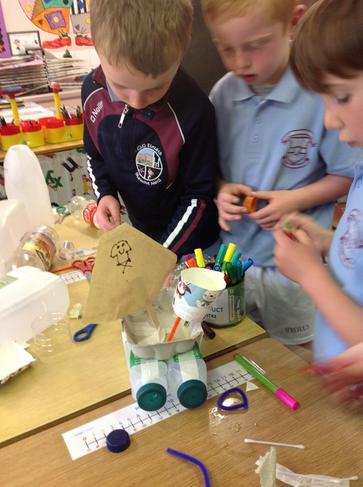 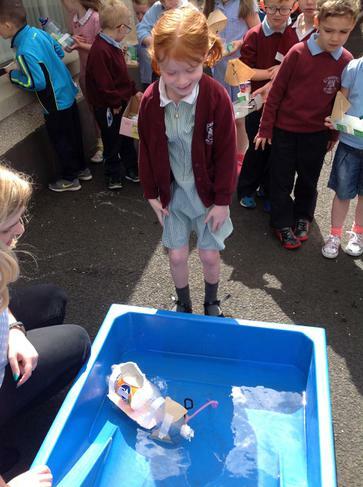 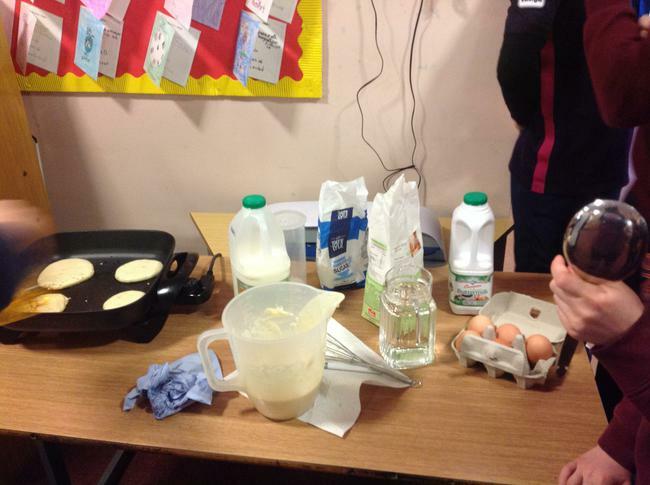 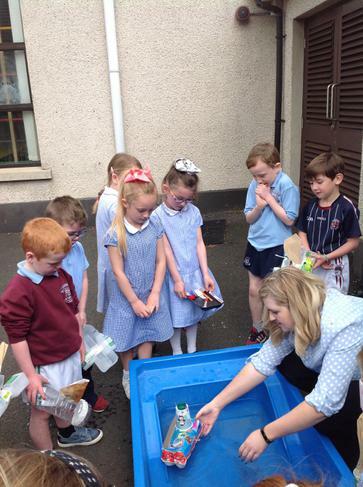 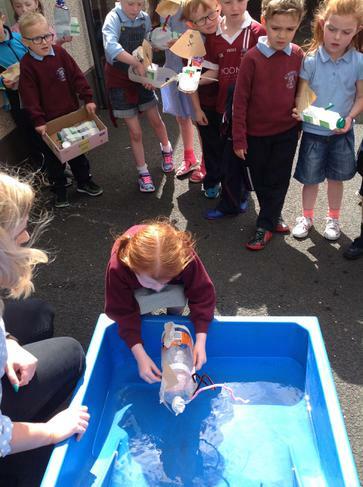 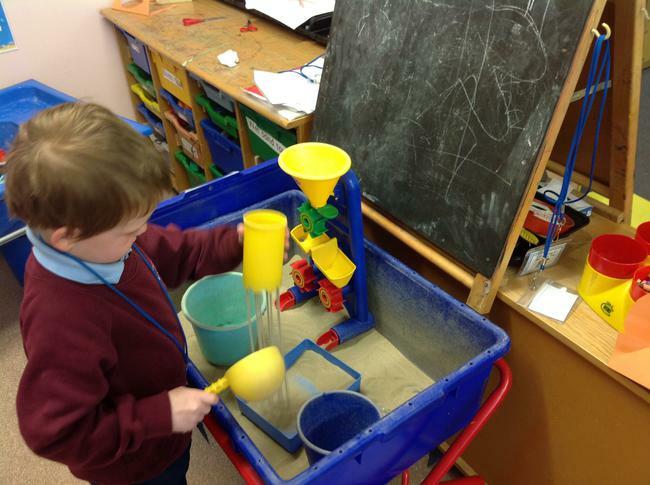 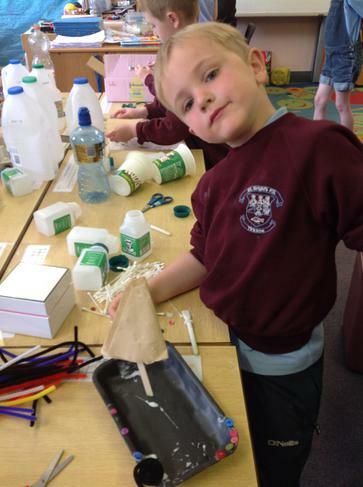 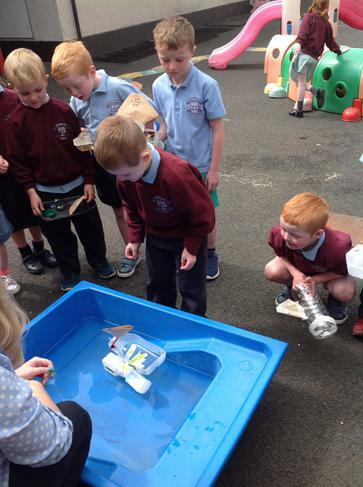 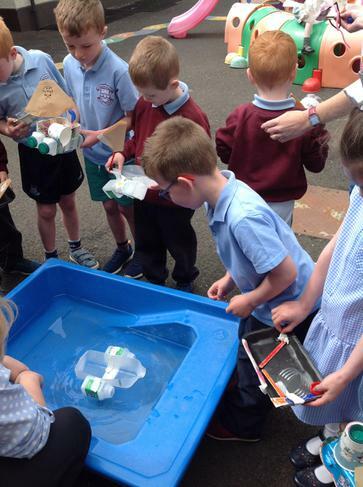 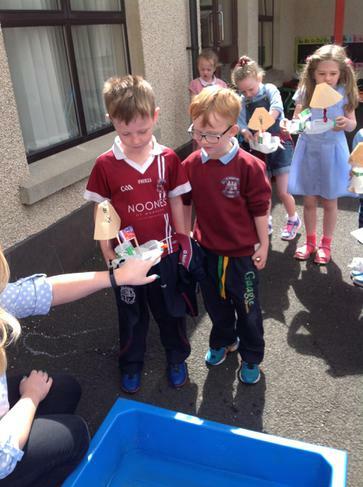 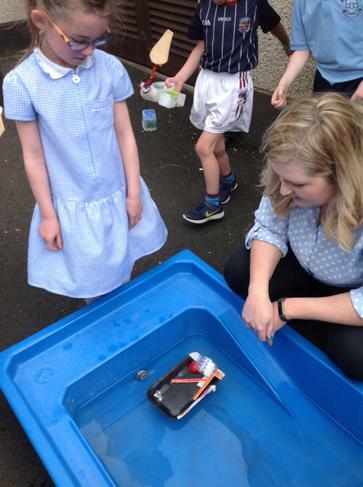 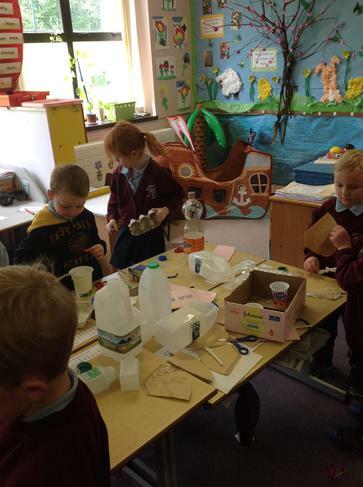 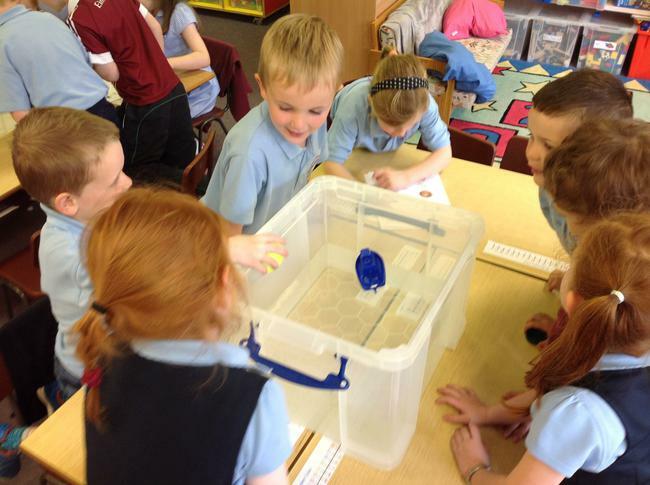 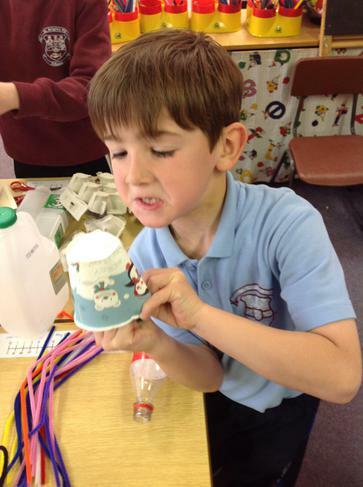 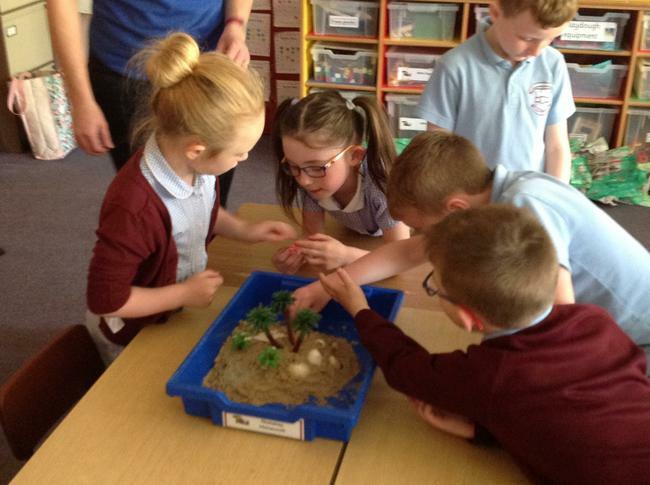 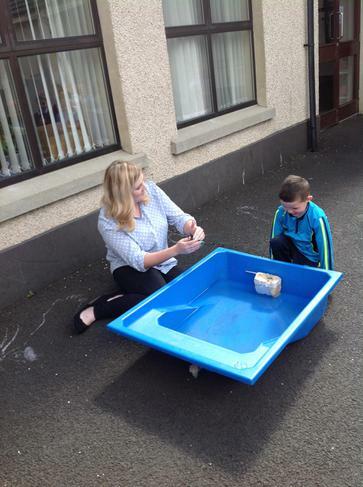 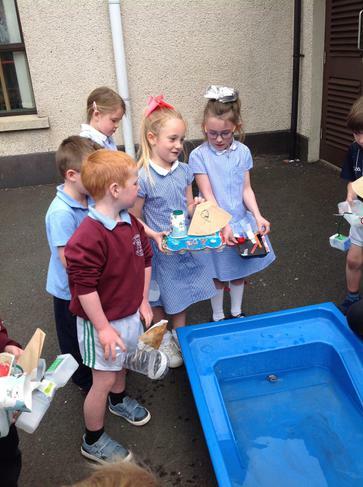 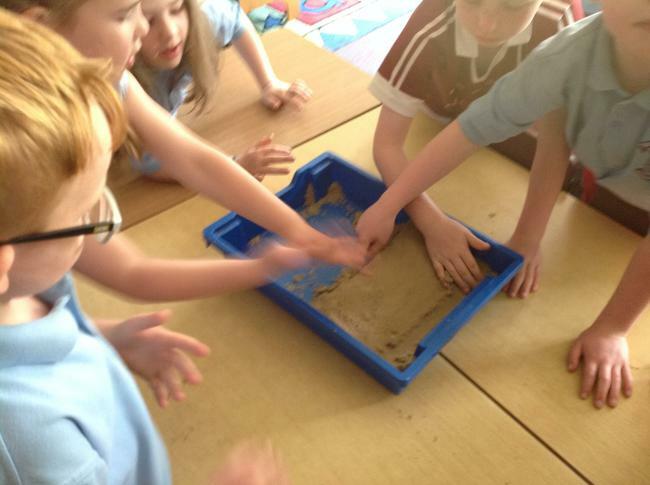 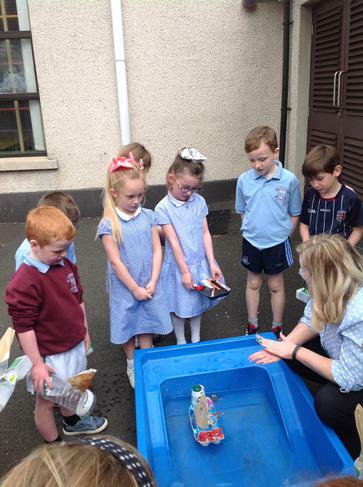 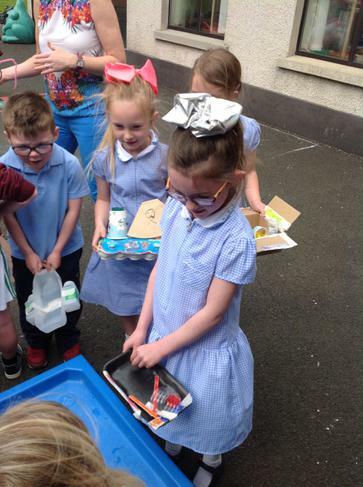 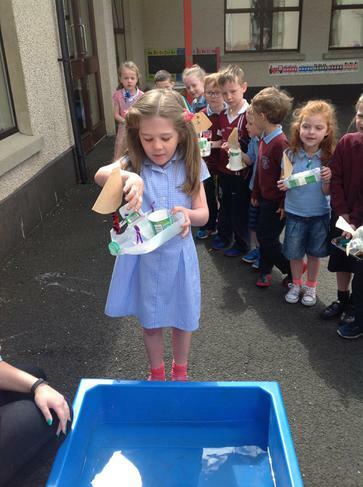 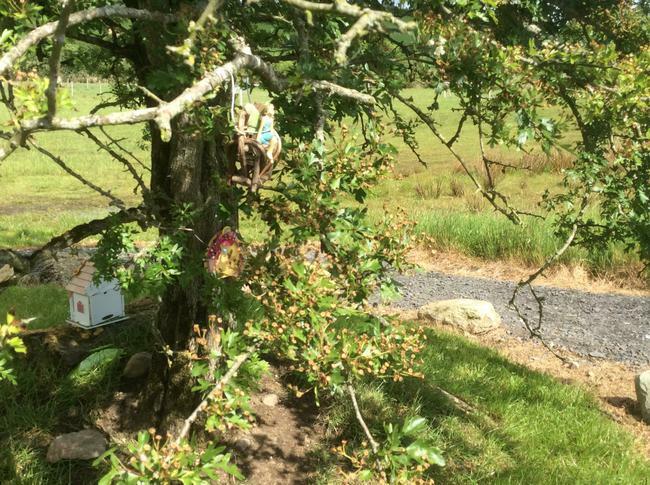 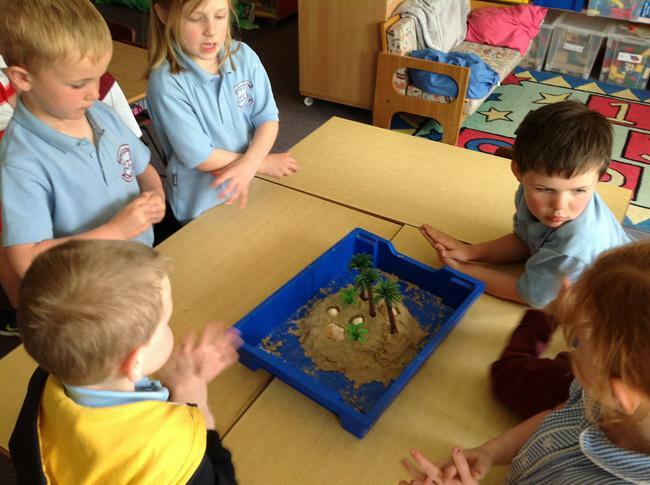 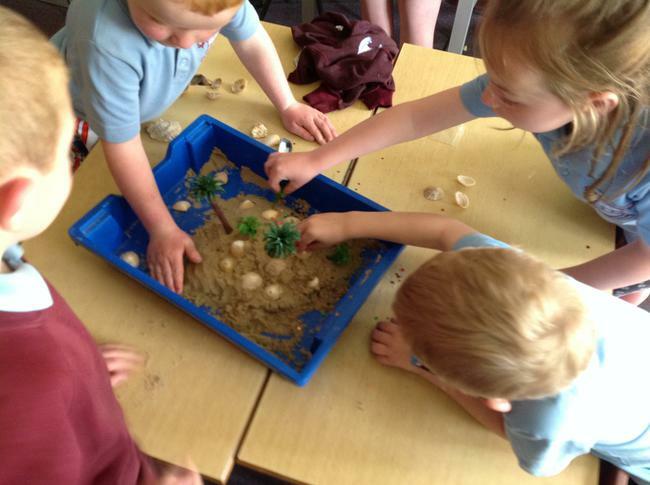 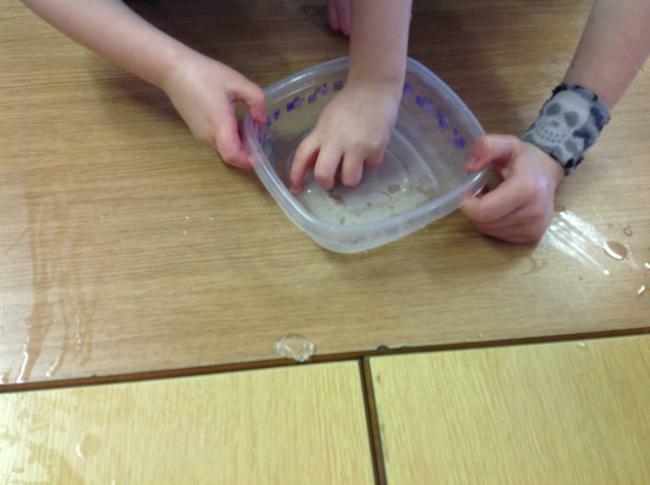 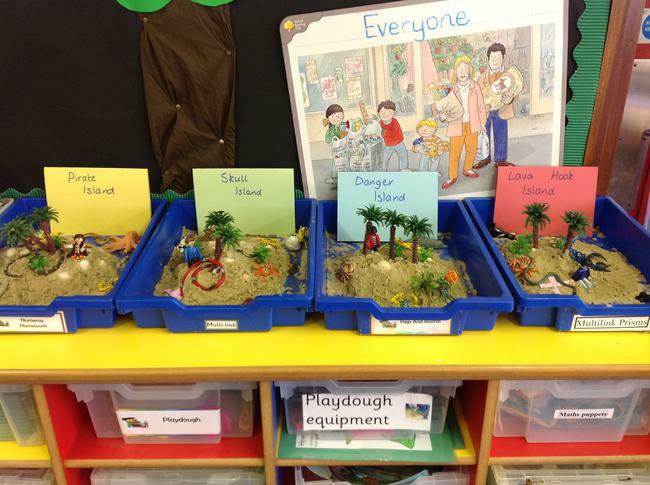 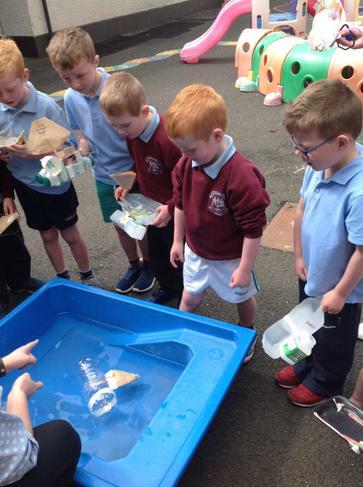 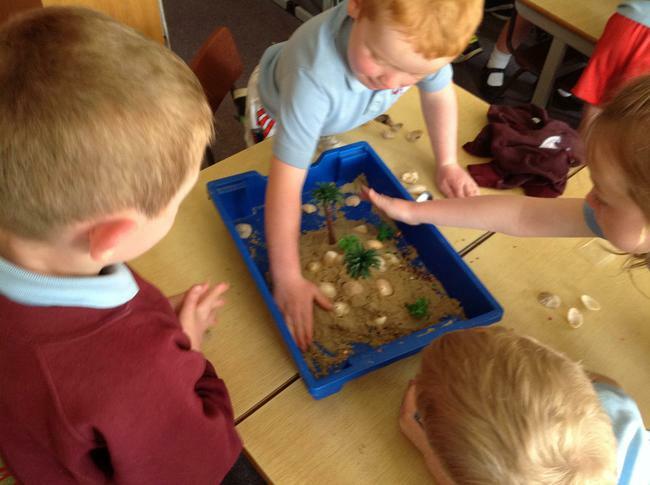 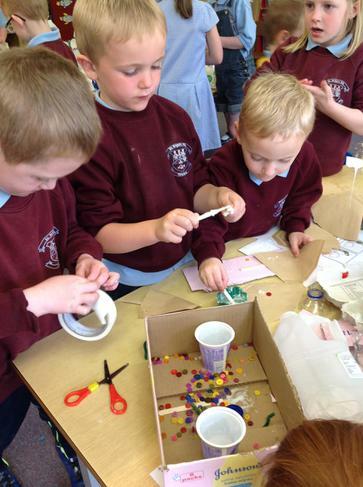 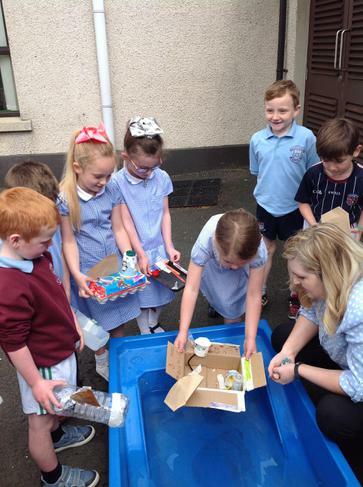 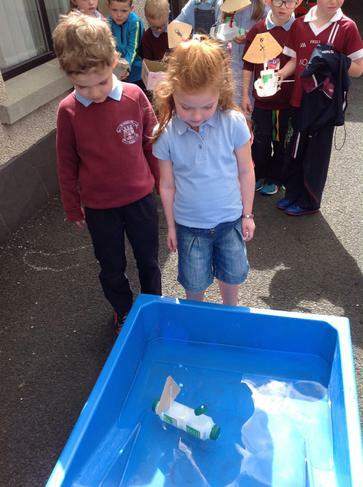 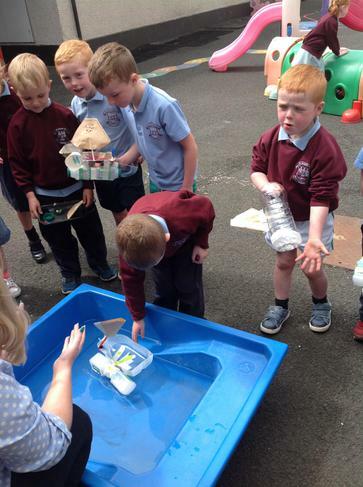 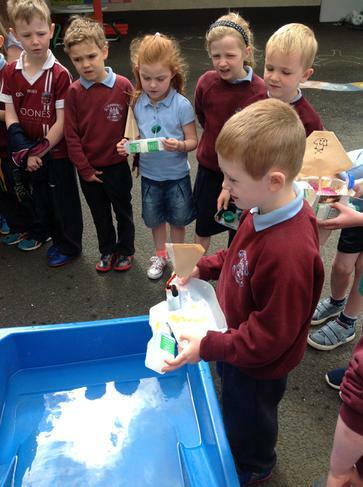 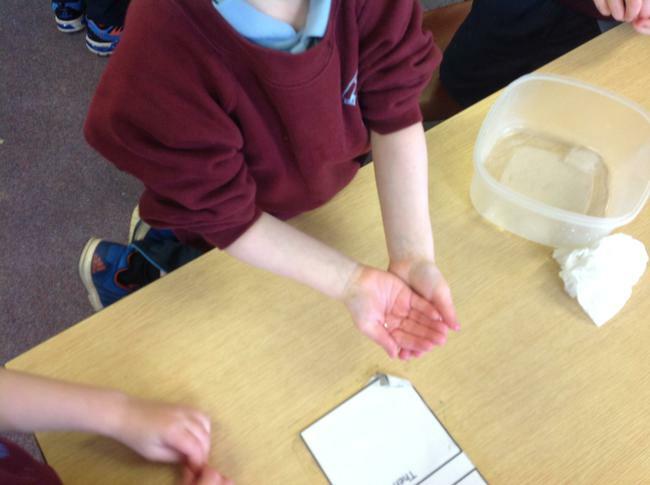 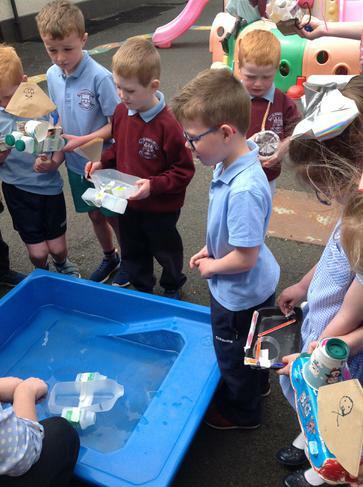 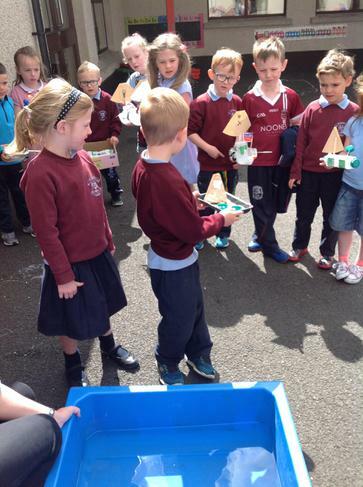 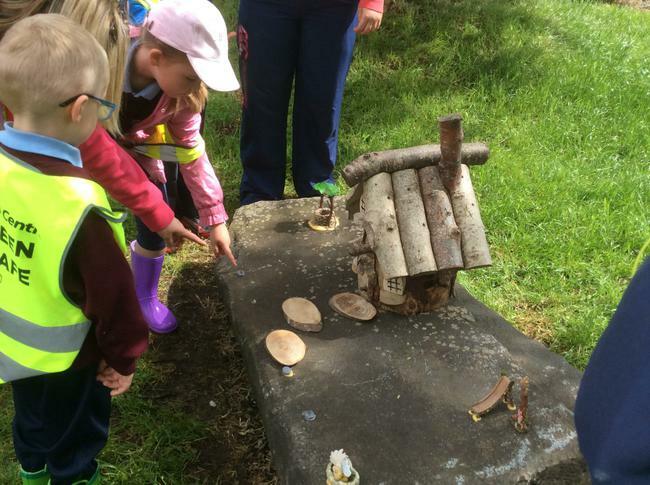 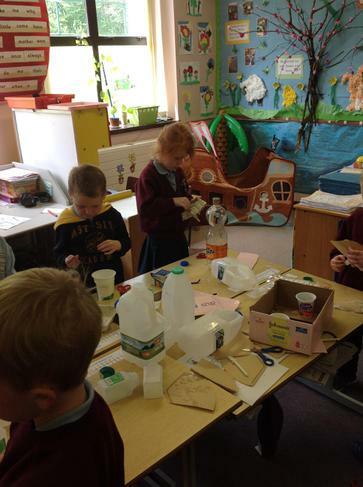 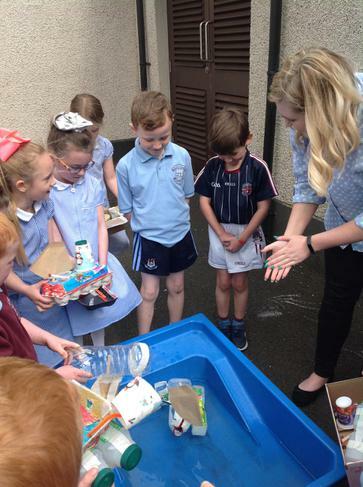 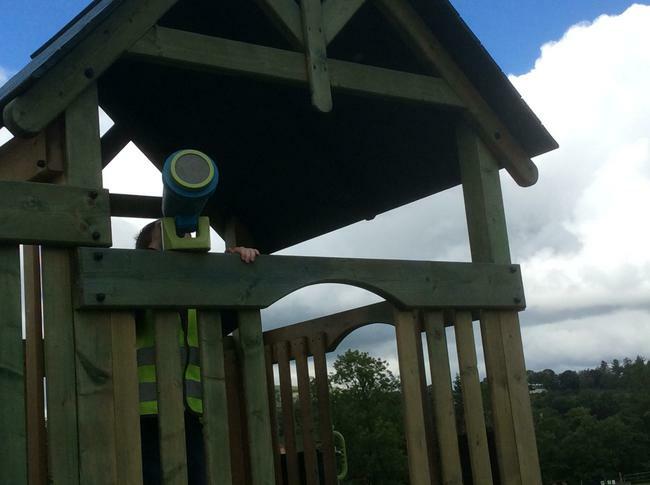 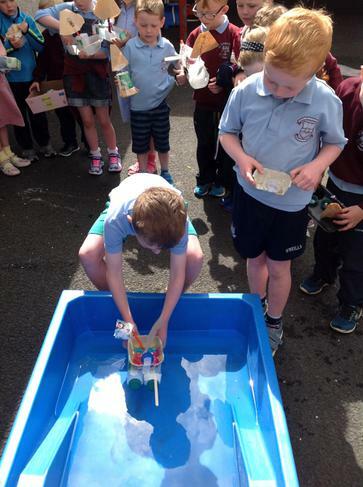 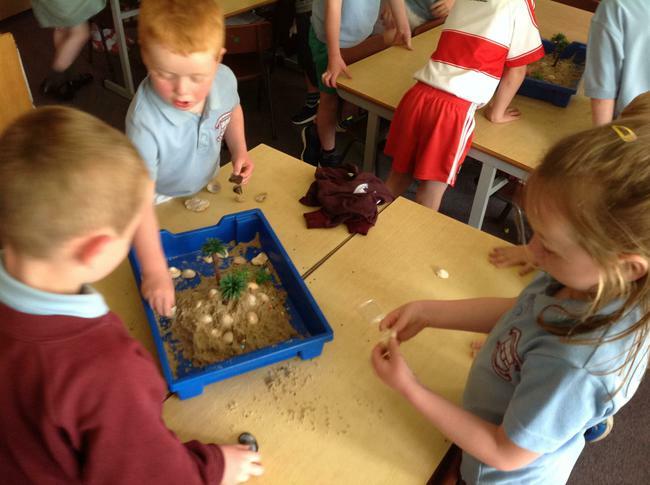 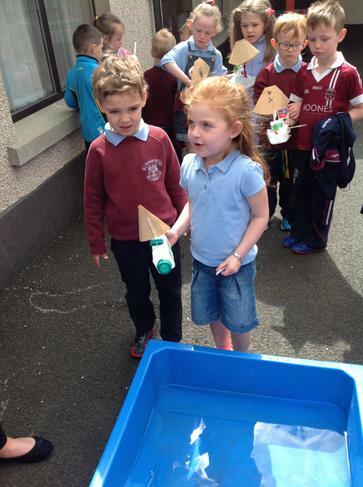 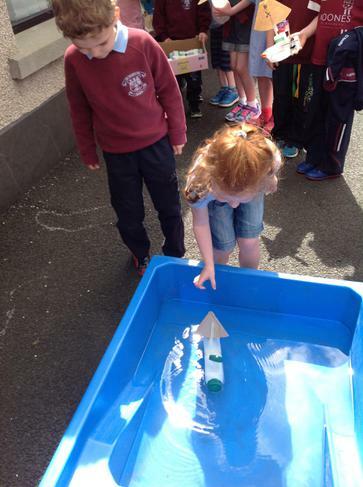 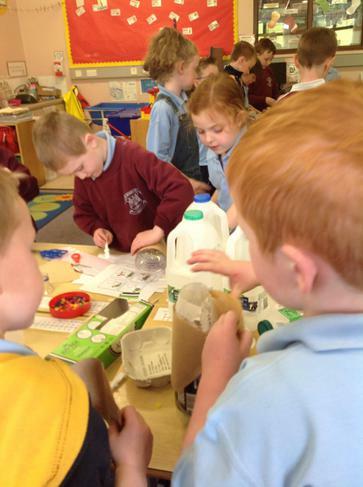 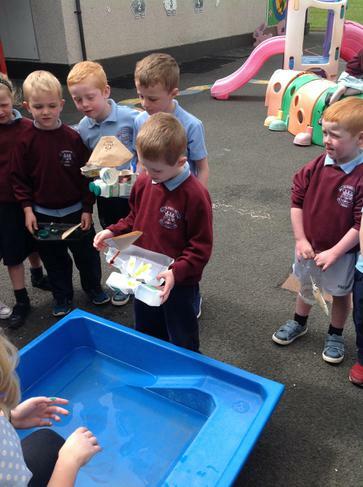 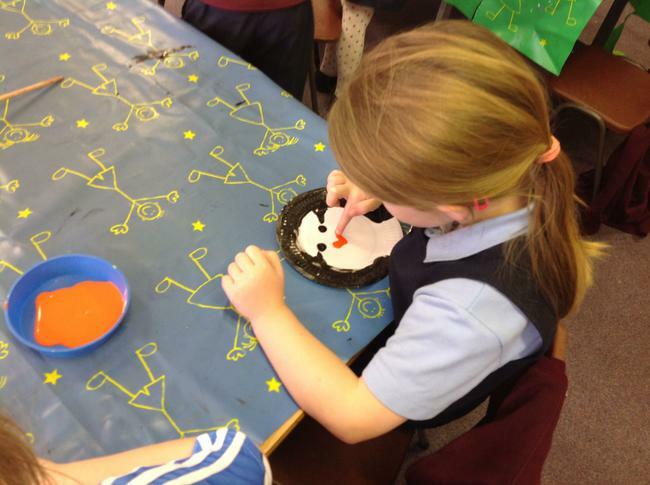 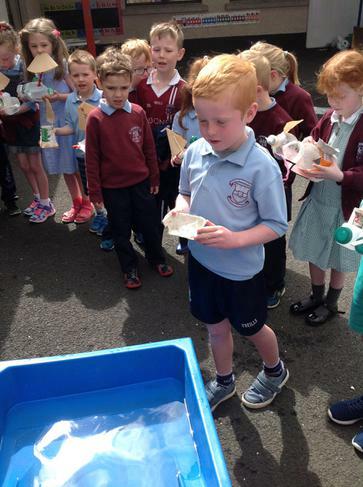 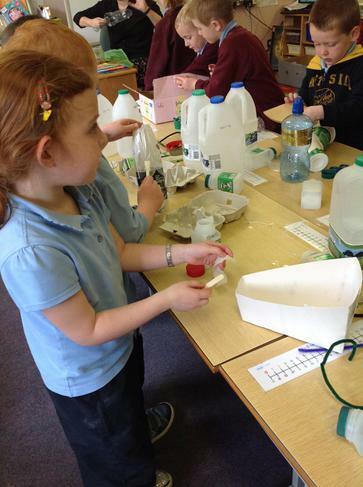 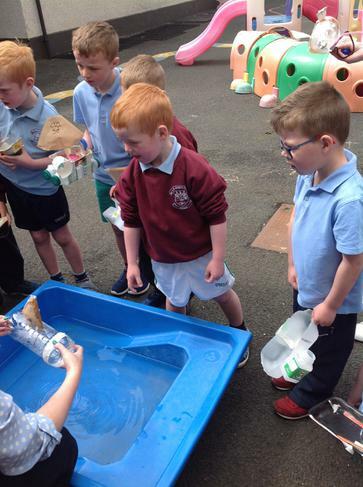 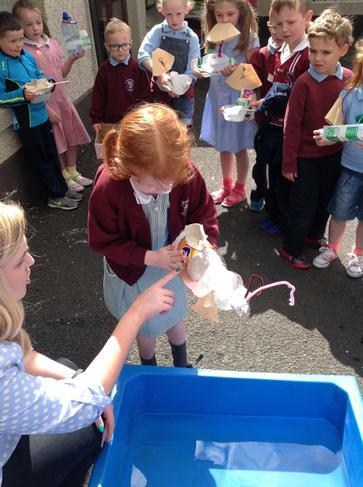 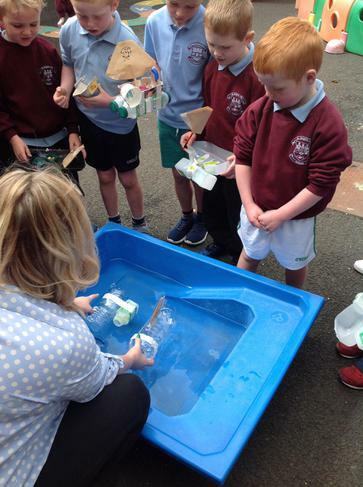 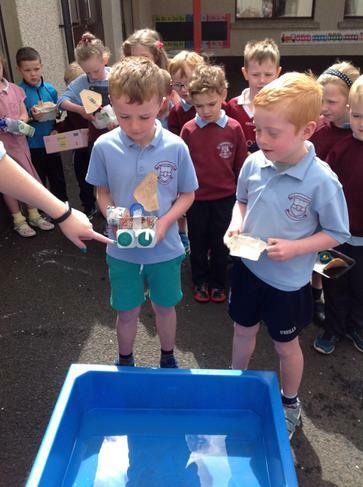 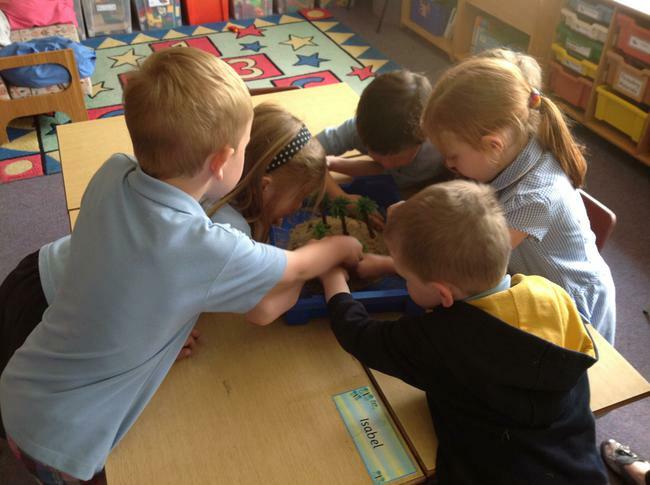 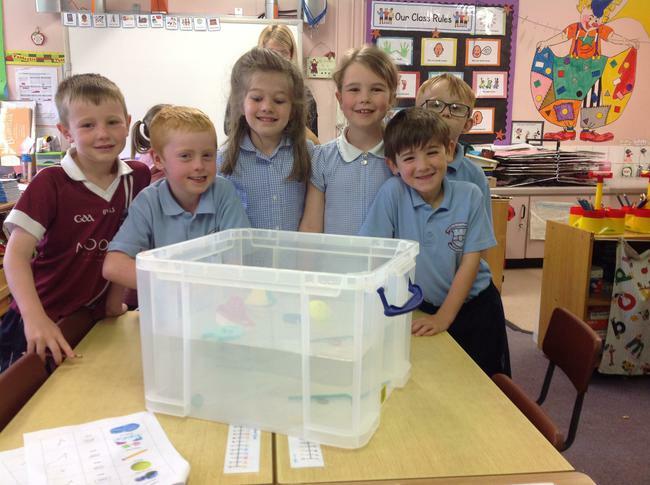 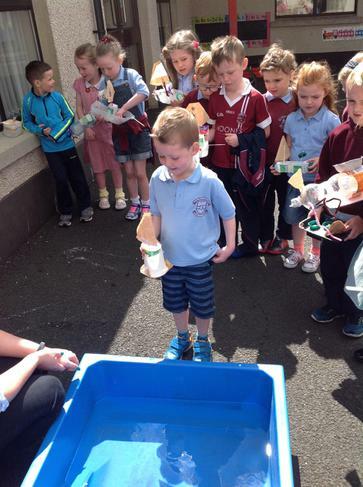 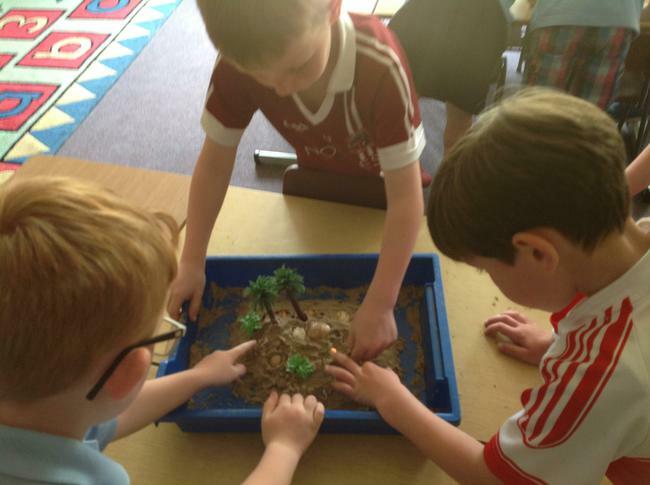 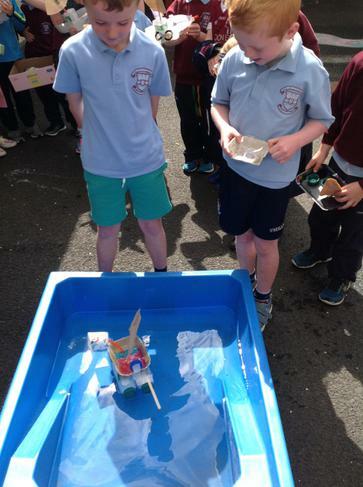 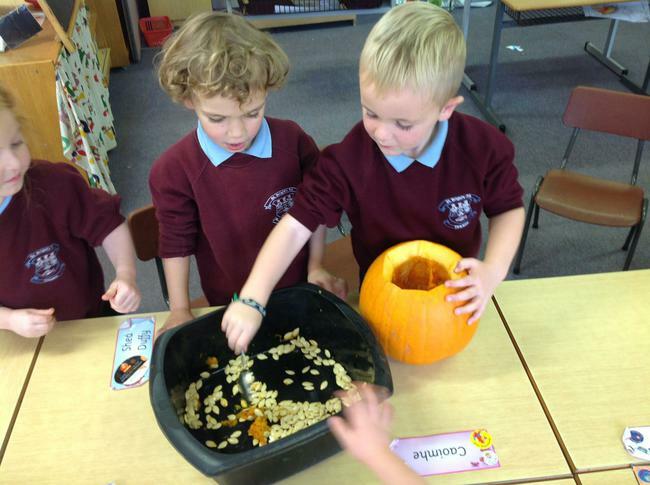 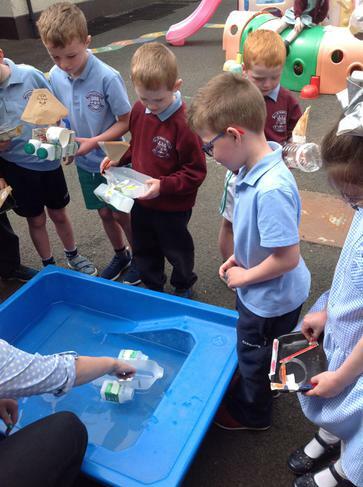 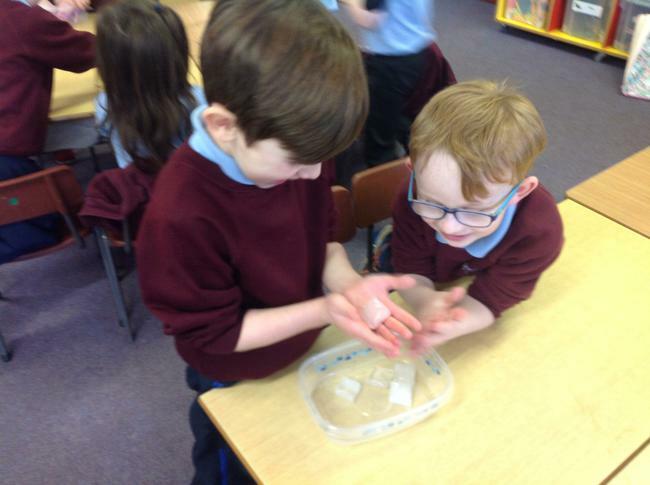 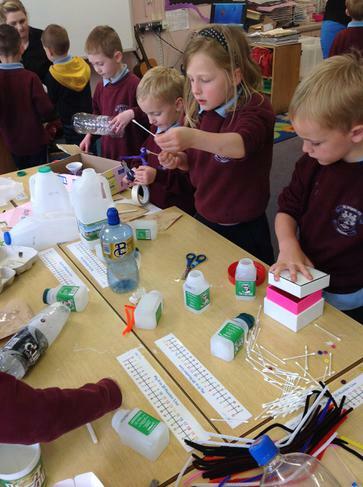 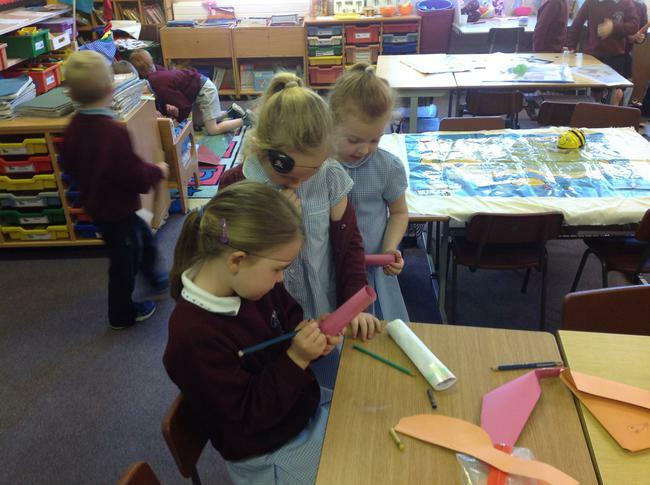 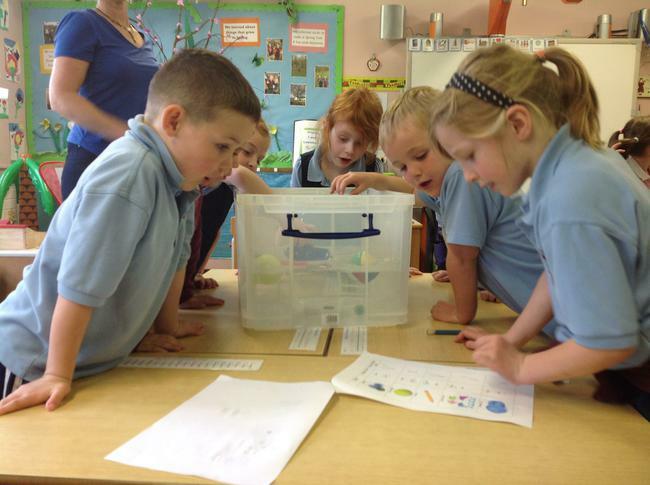 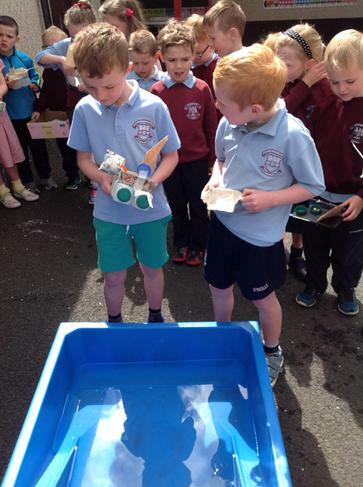 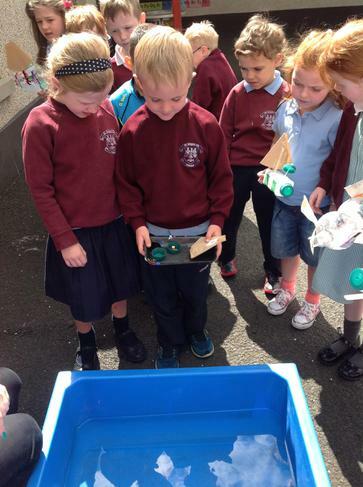 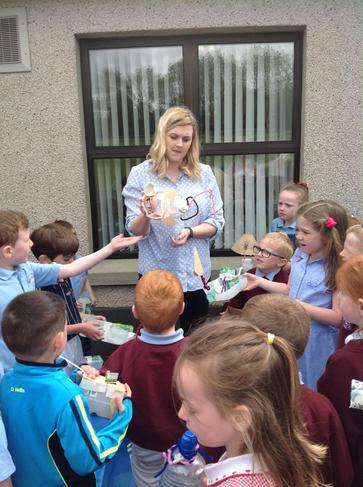 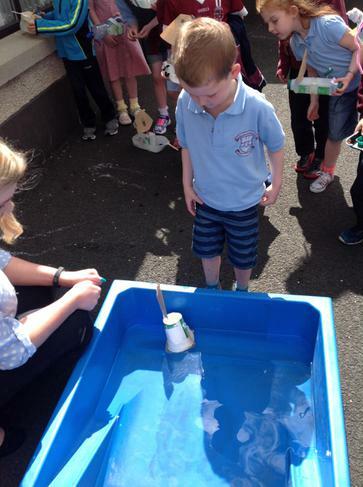 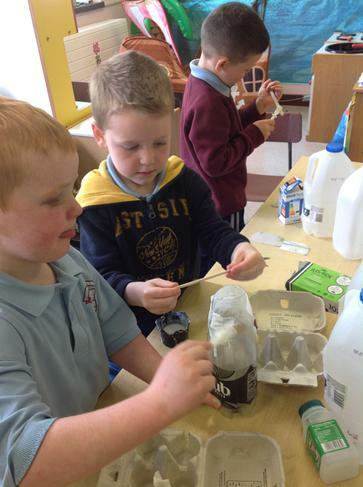 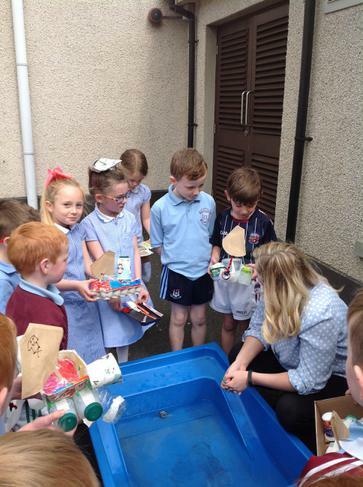 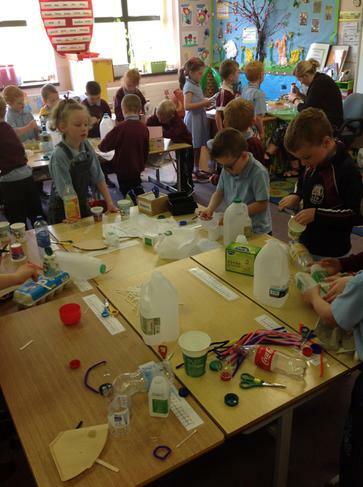 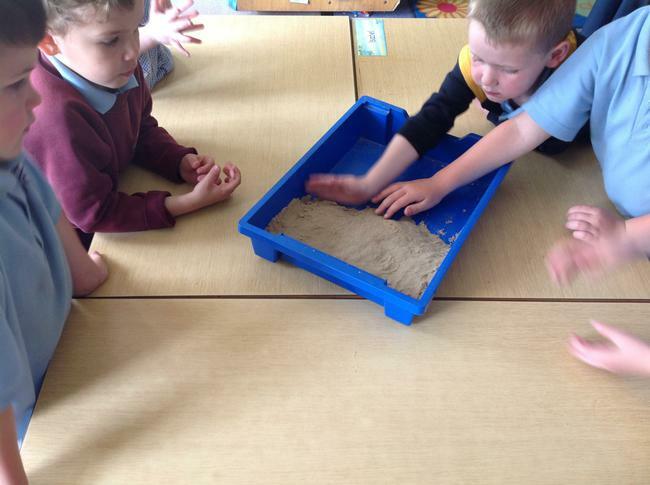 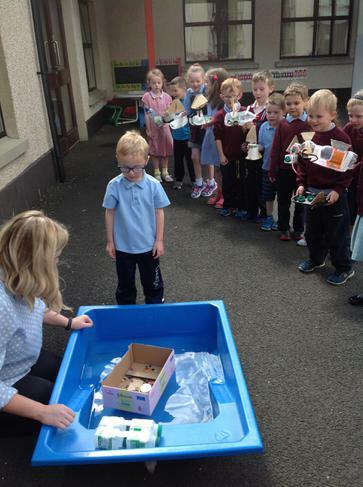 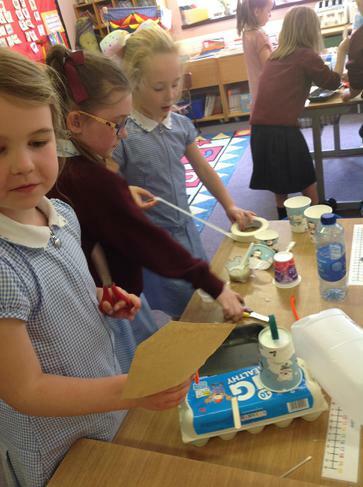 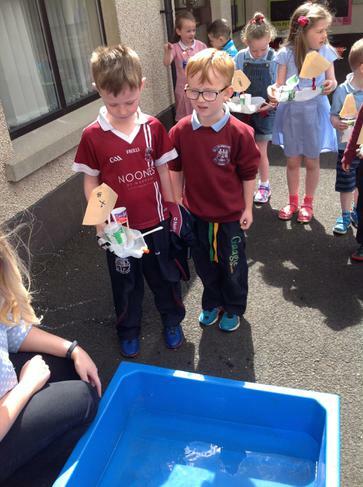 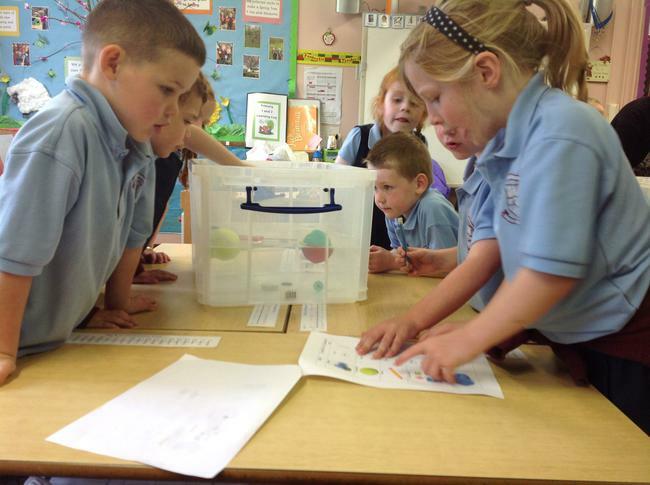 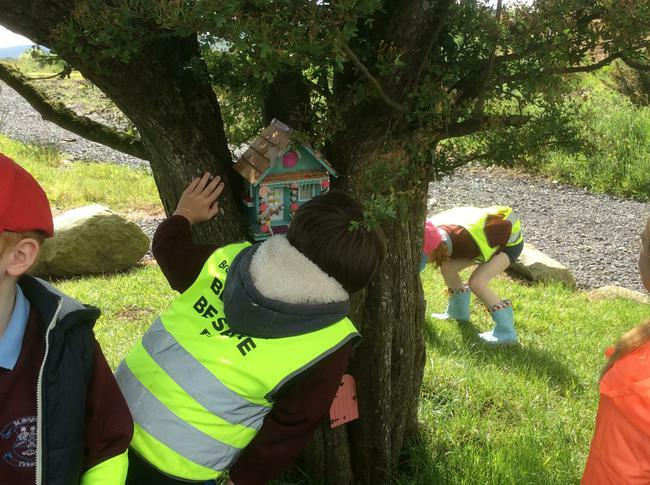 To find out more about Outdoor Learning Day, see link below. 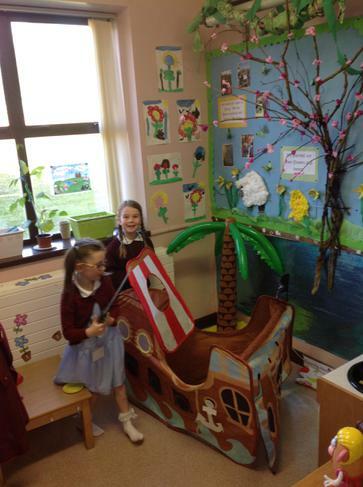 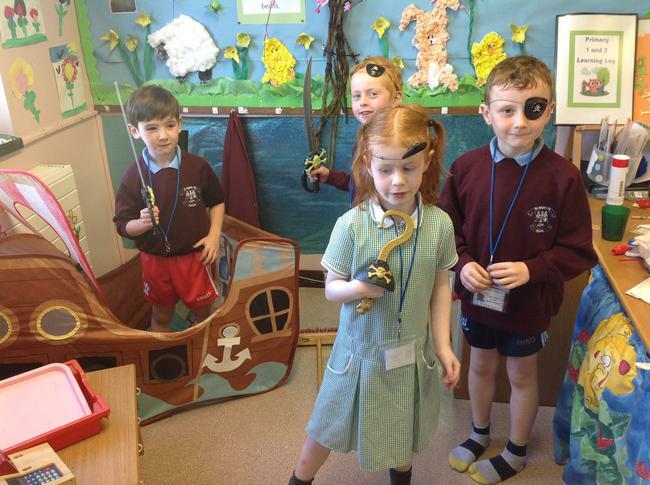 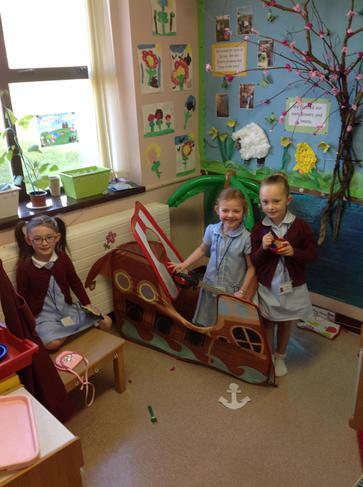 Pirates in P1 and P2!! 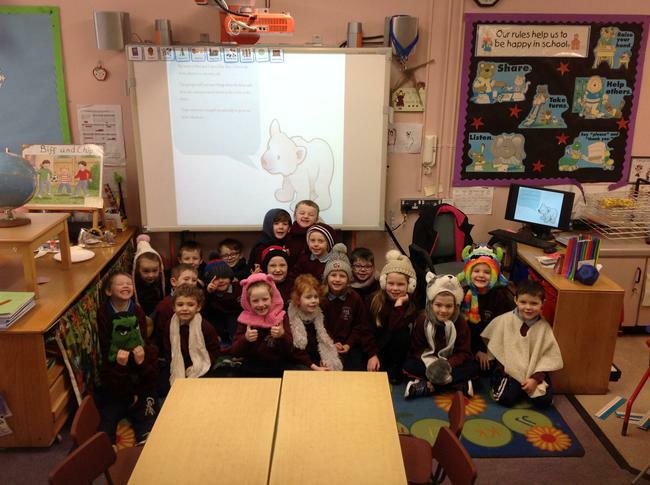 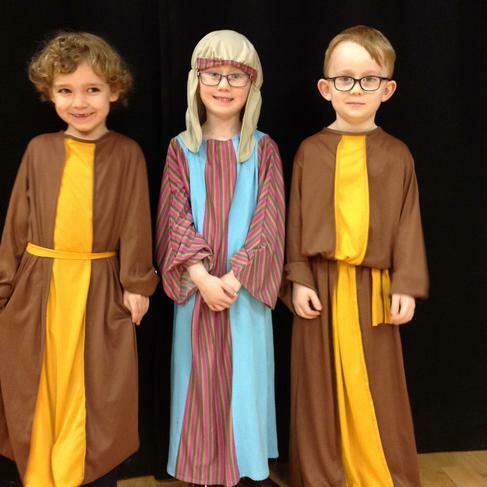 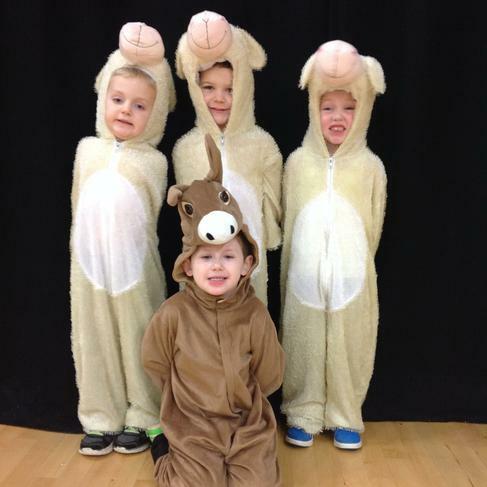 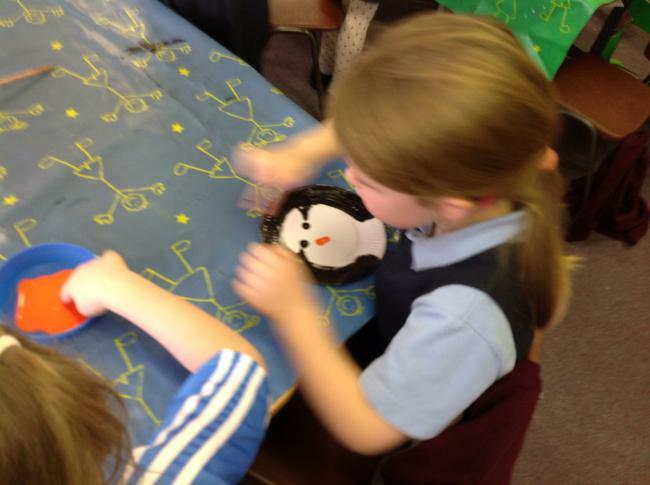 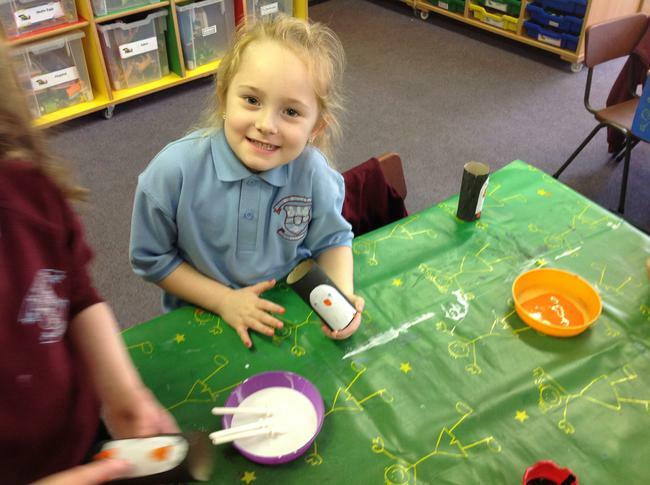 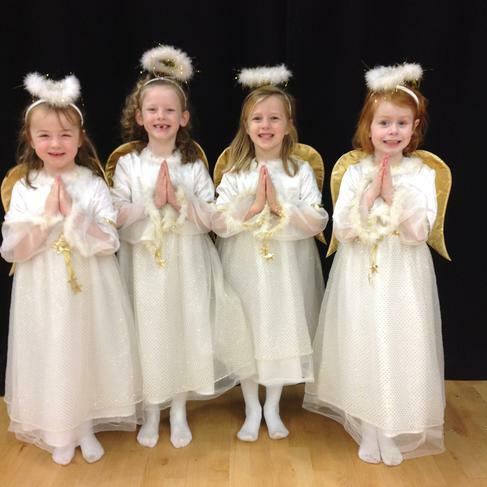 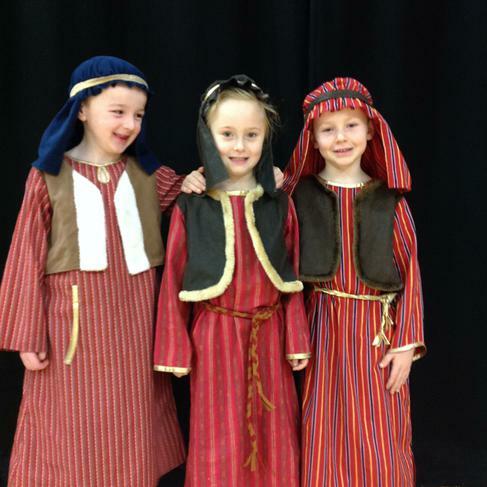 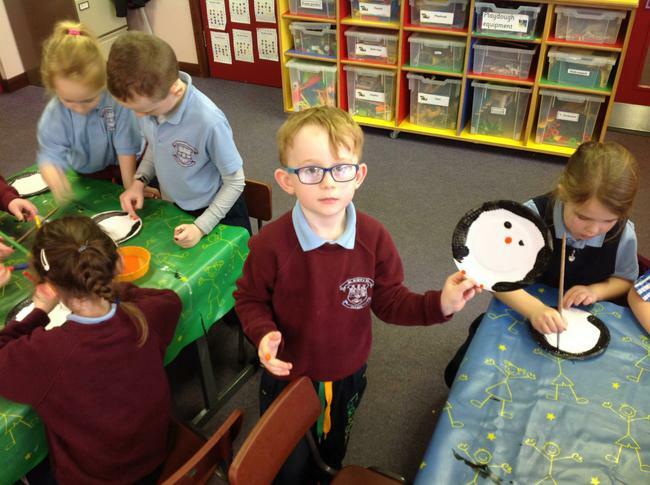 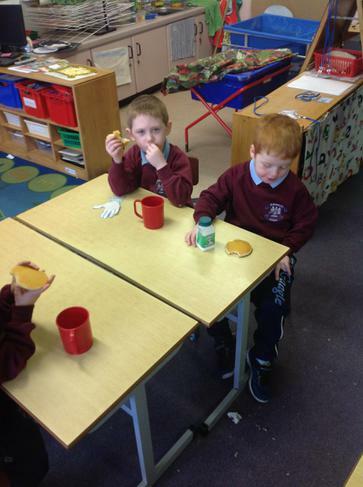 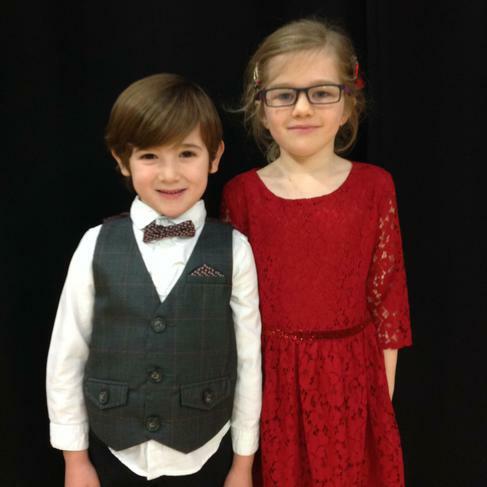 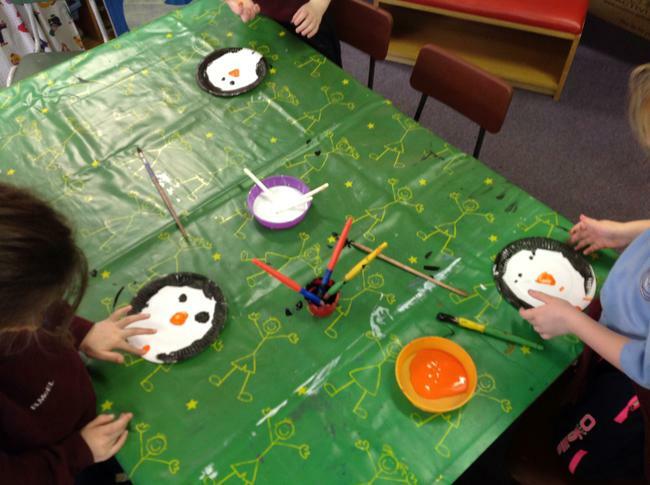 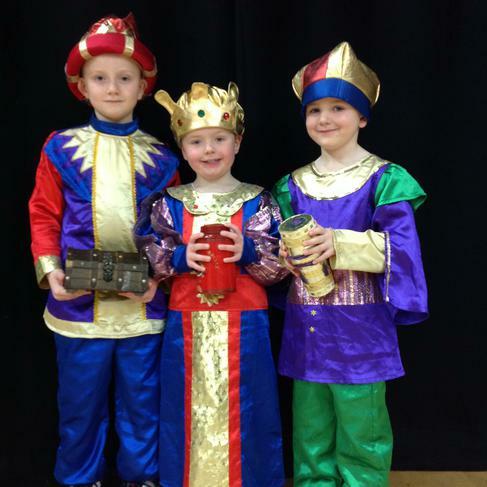 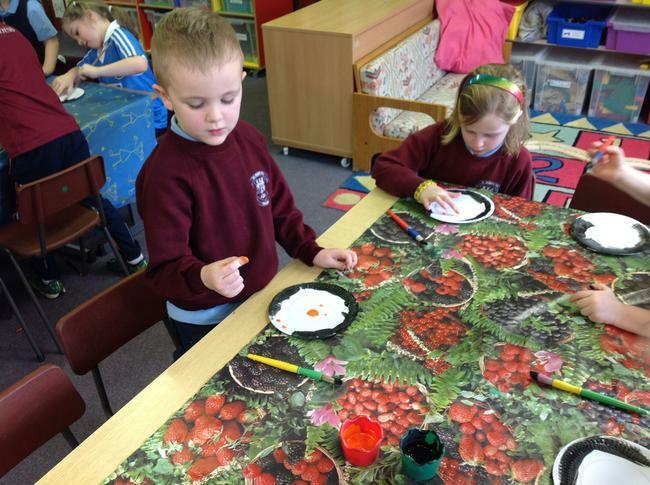 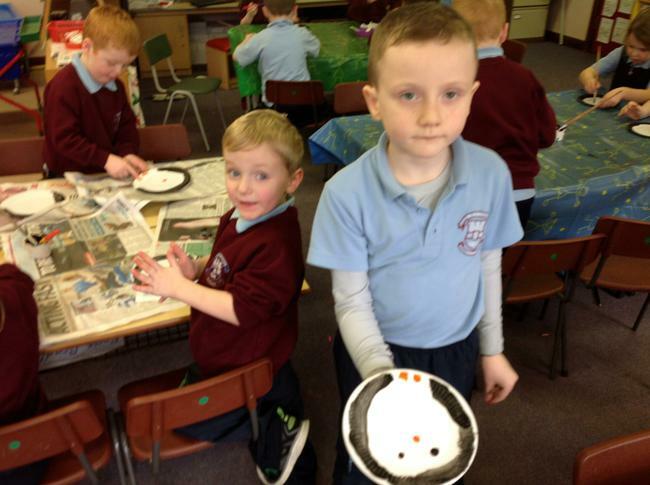 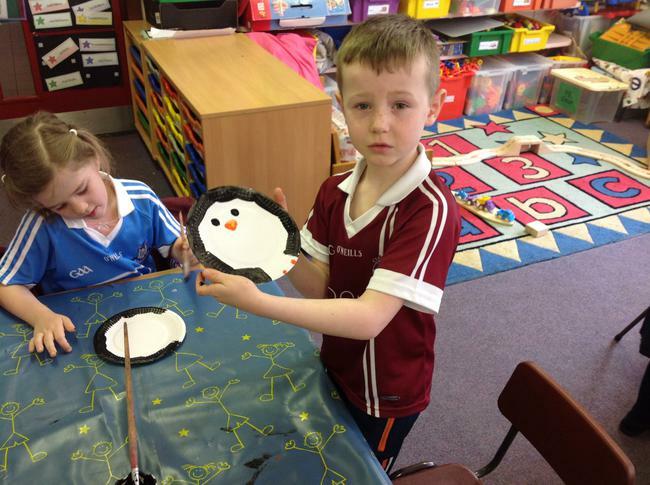 Merry Christmas from Primary 1 and Primary 2!